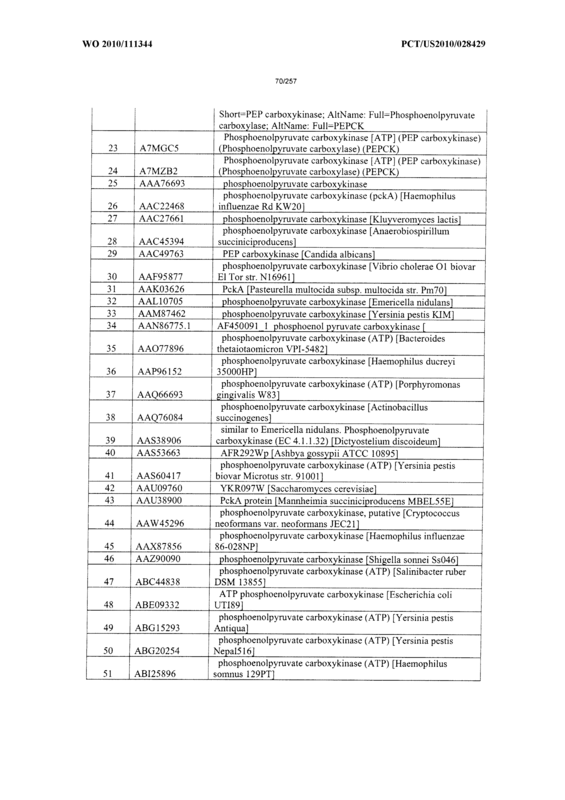 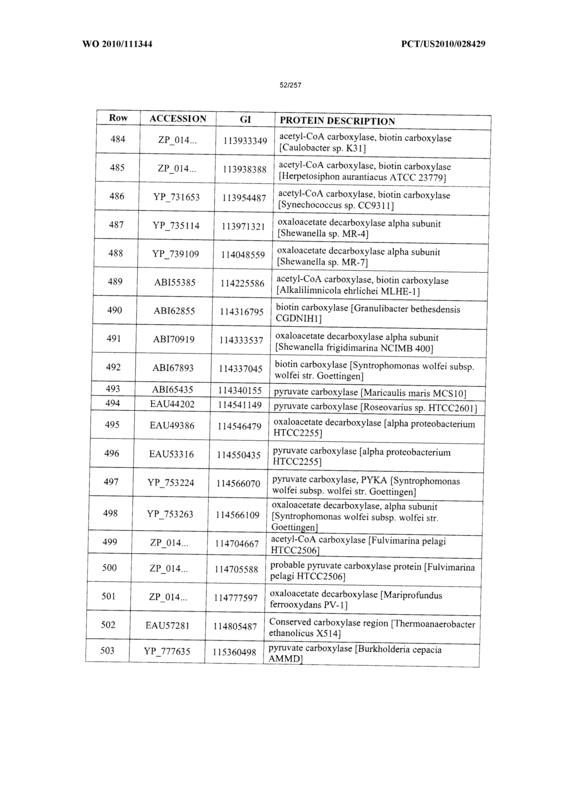 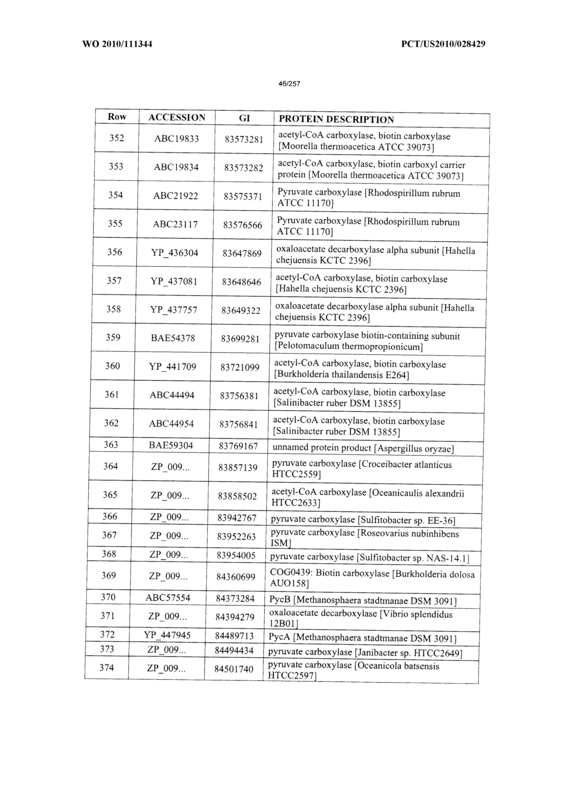 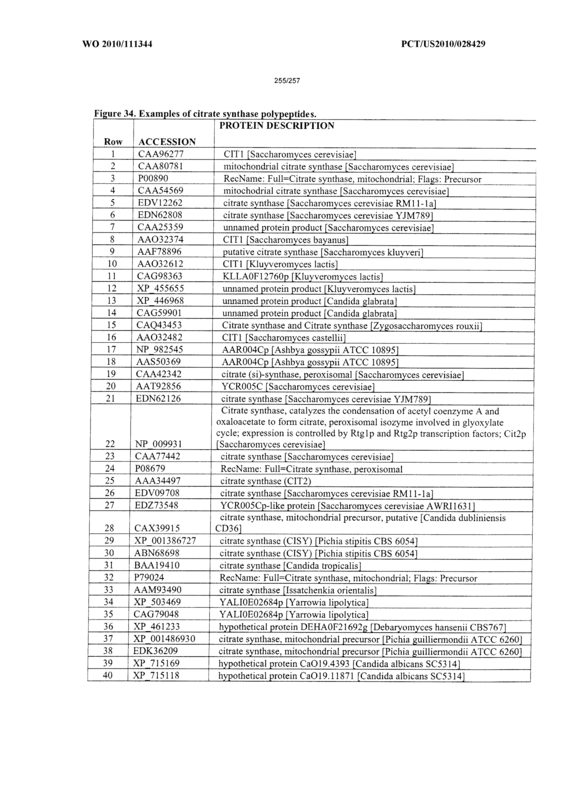 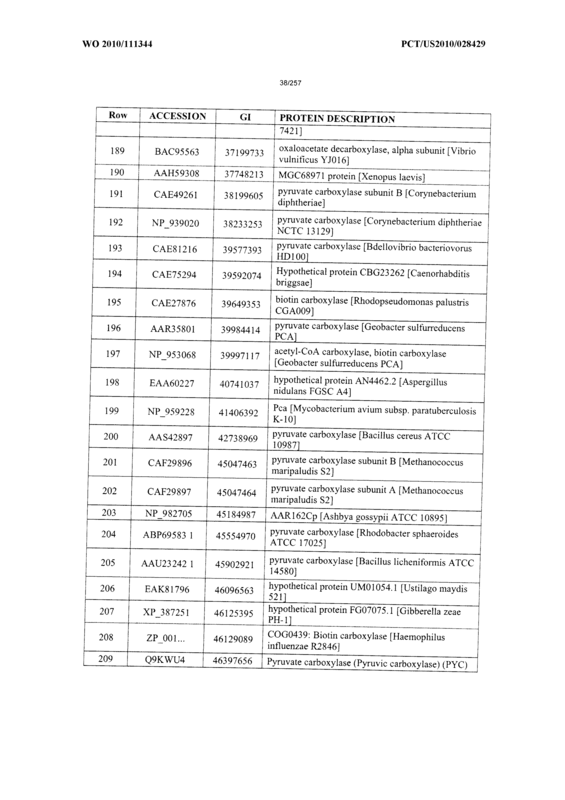 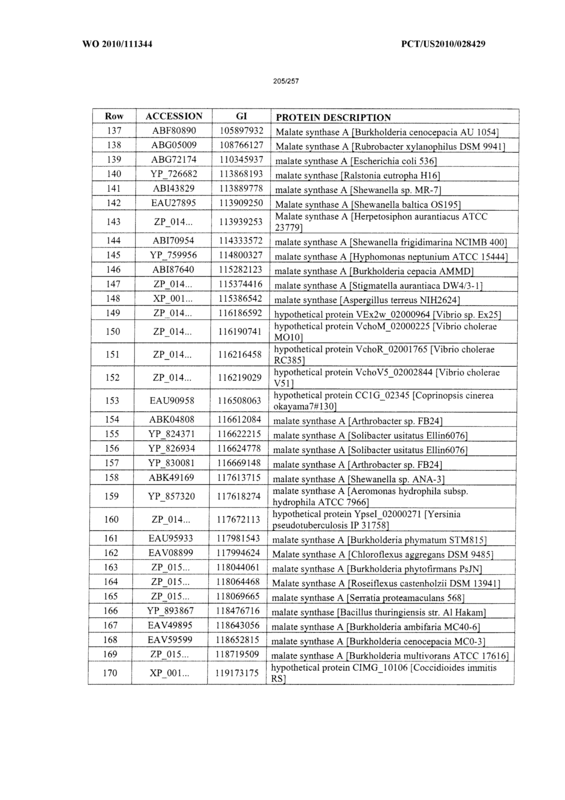 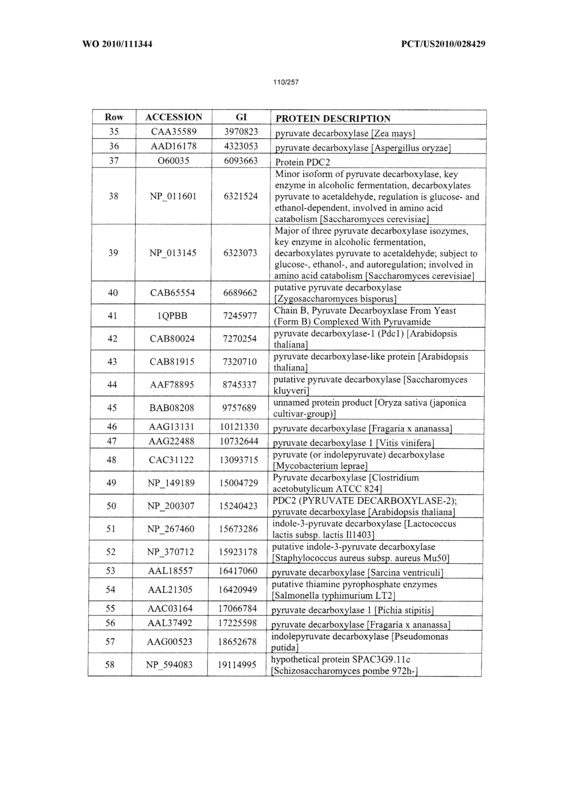 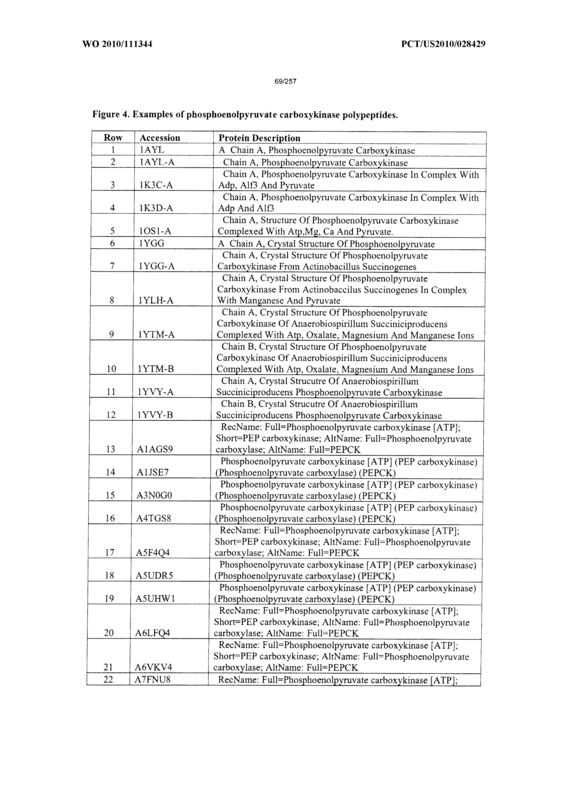 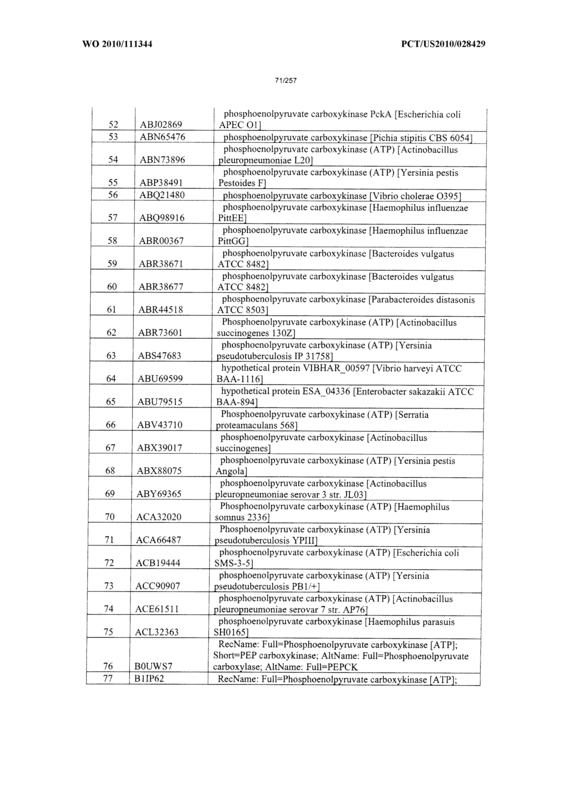 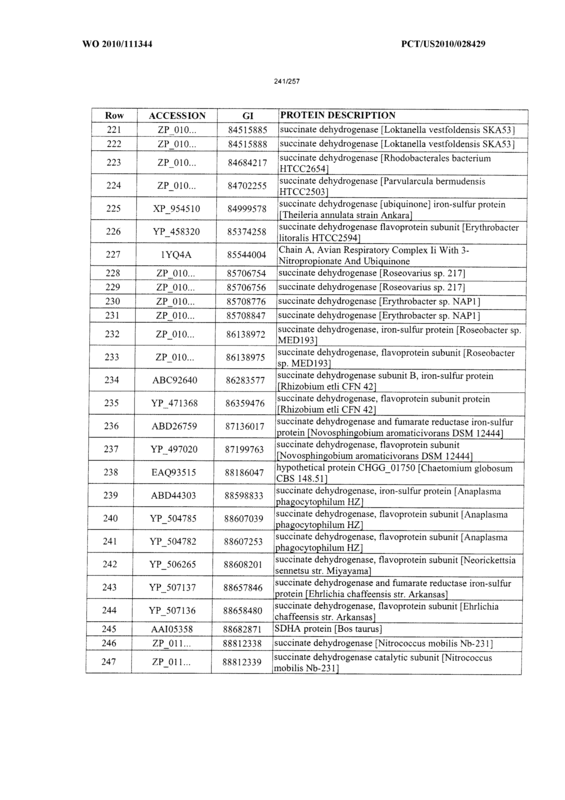 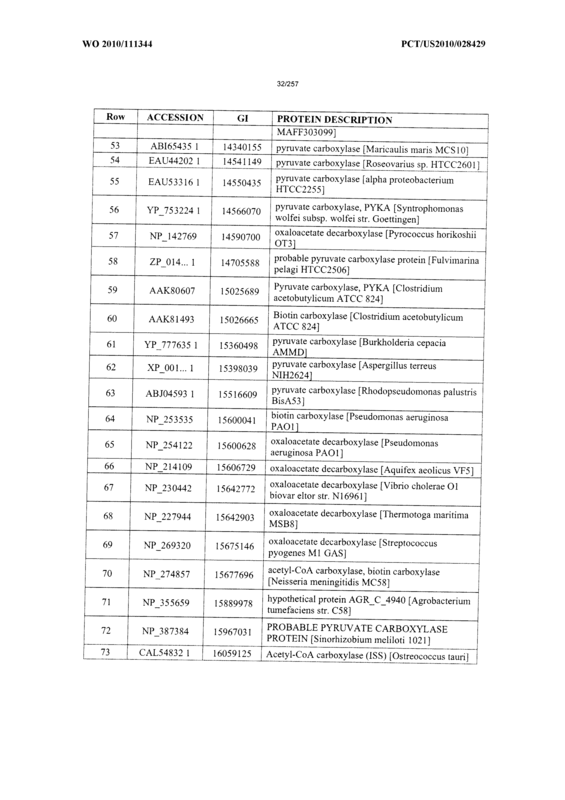 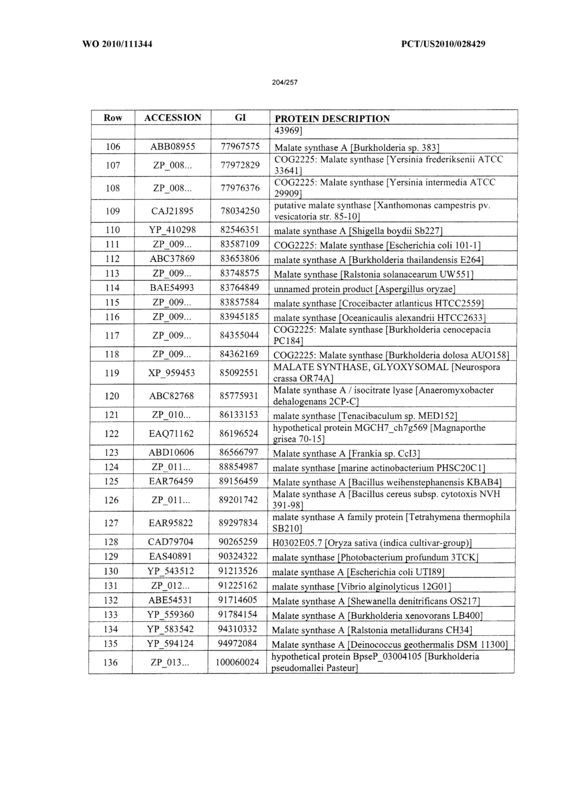 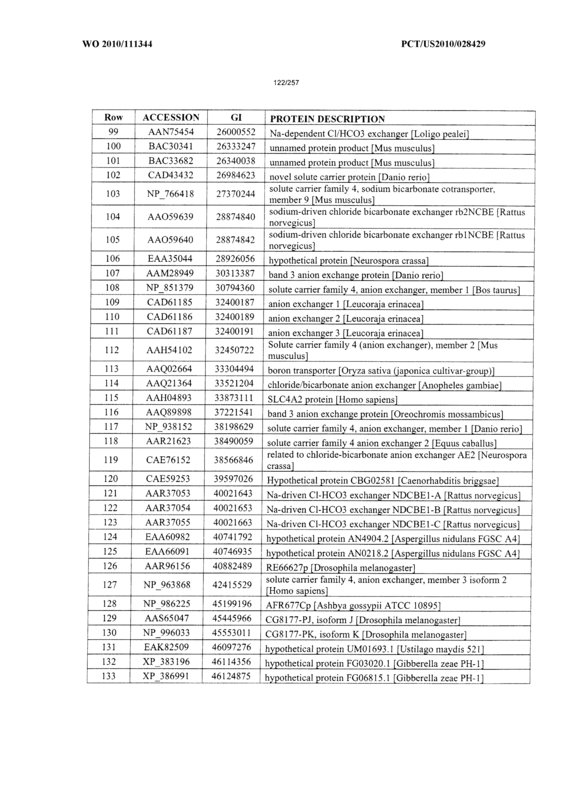 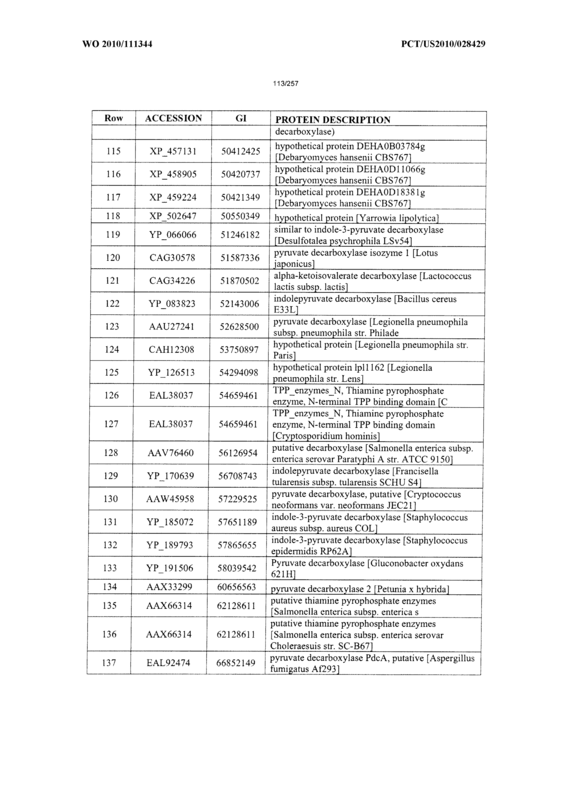 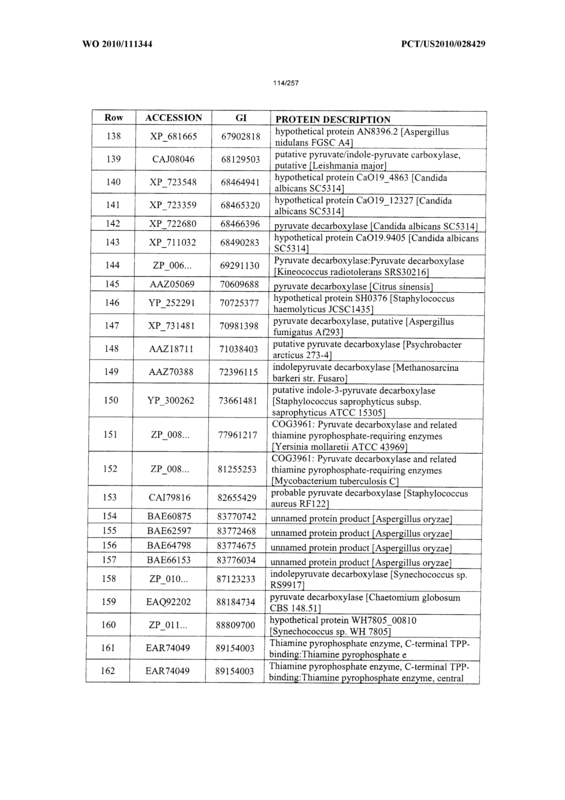 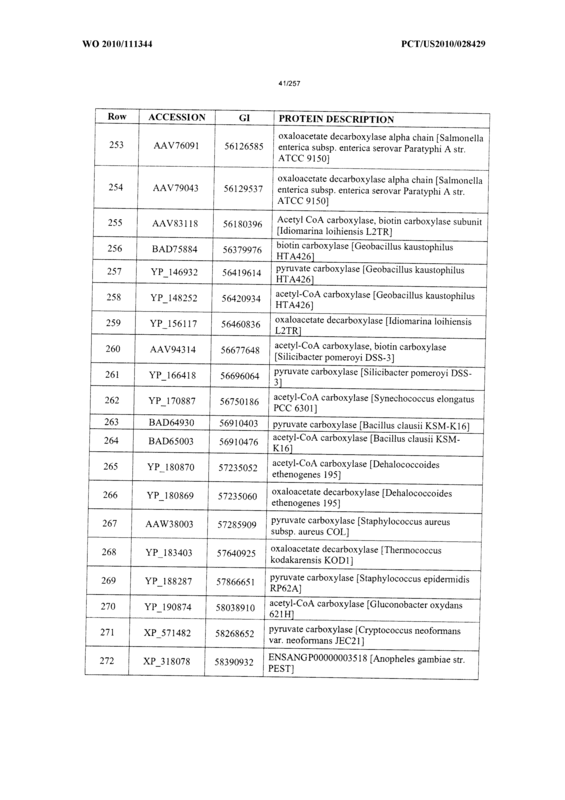 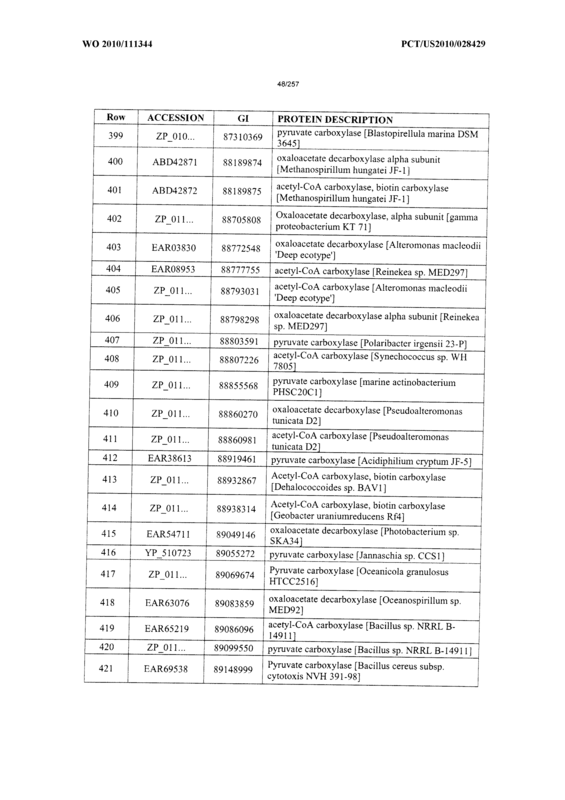 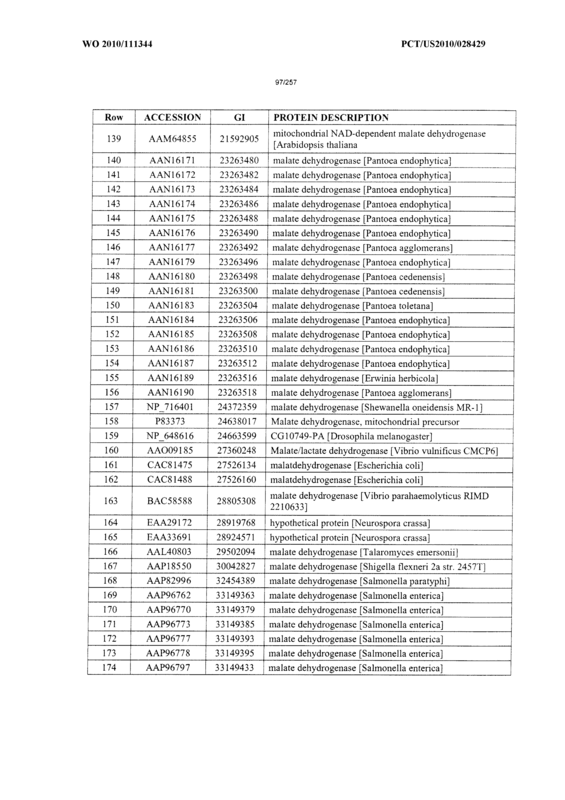 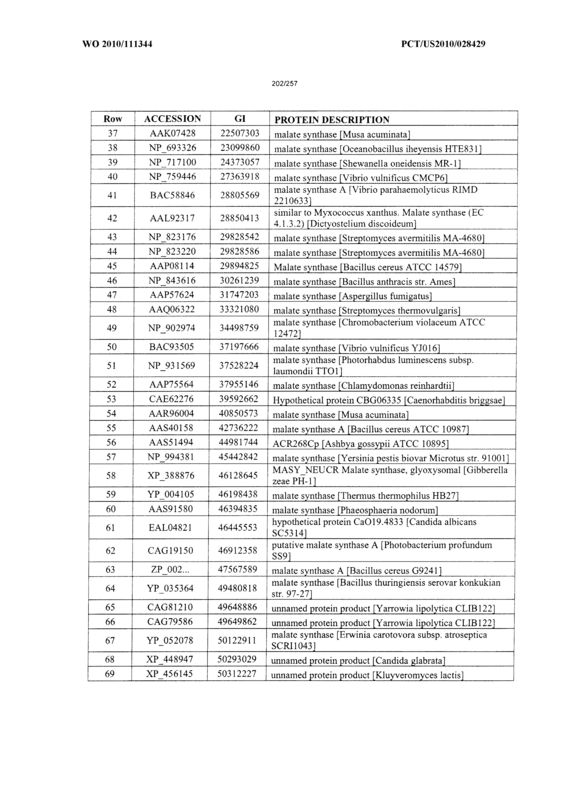 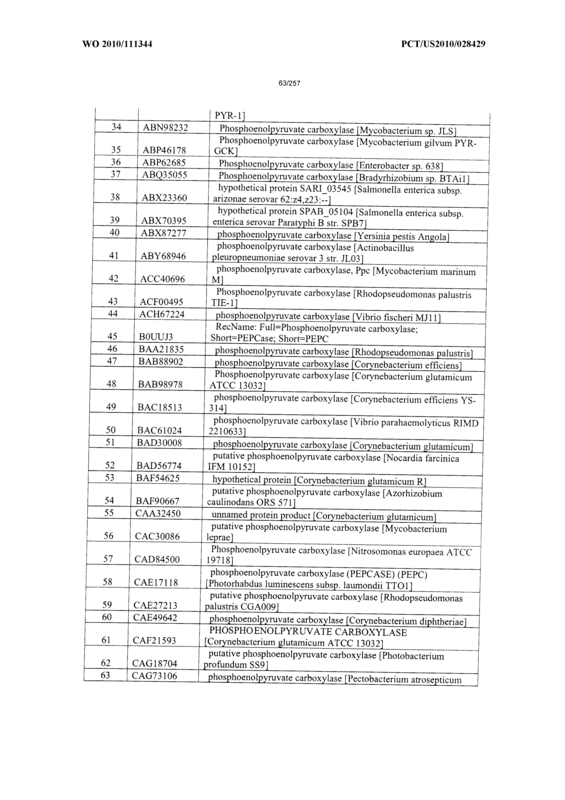 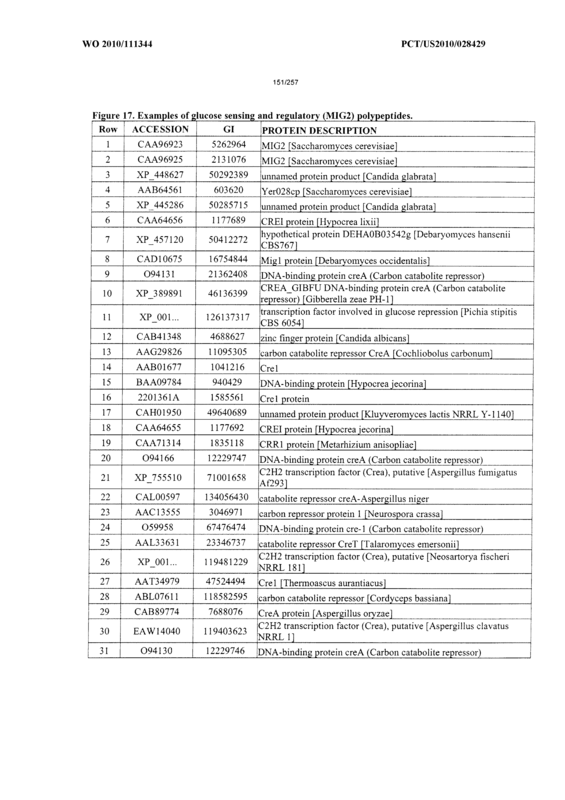 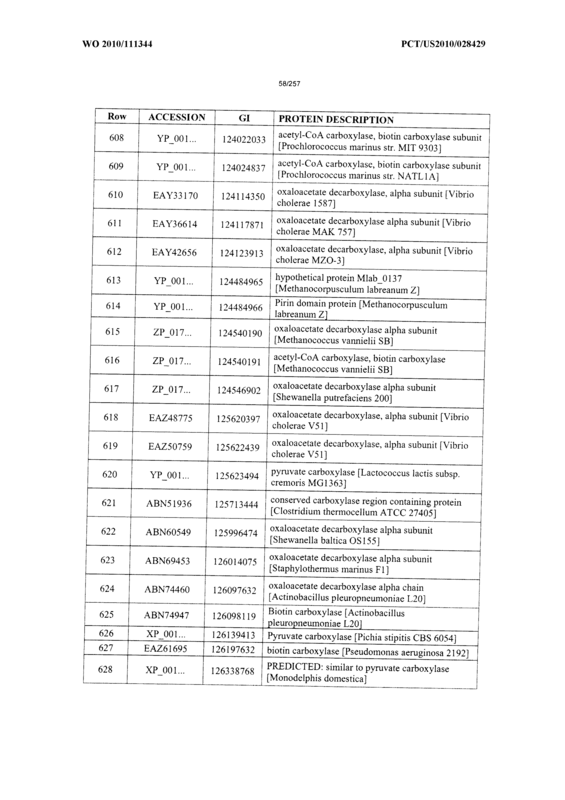 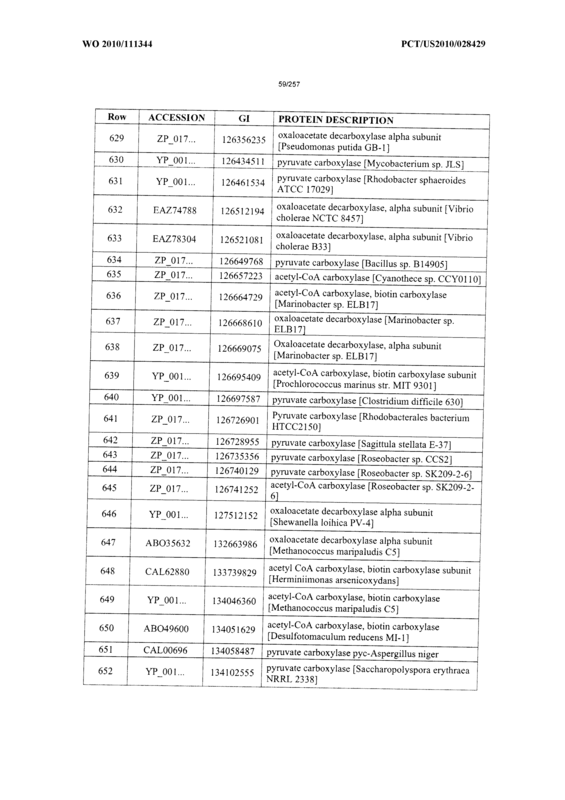 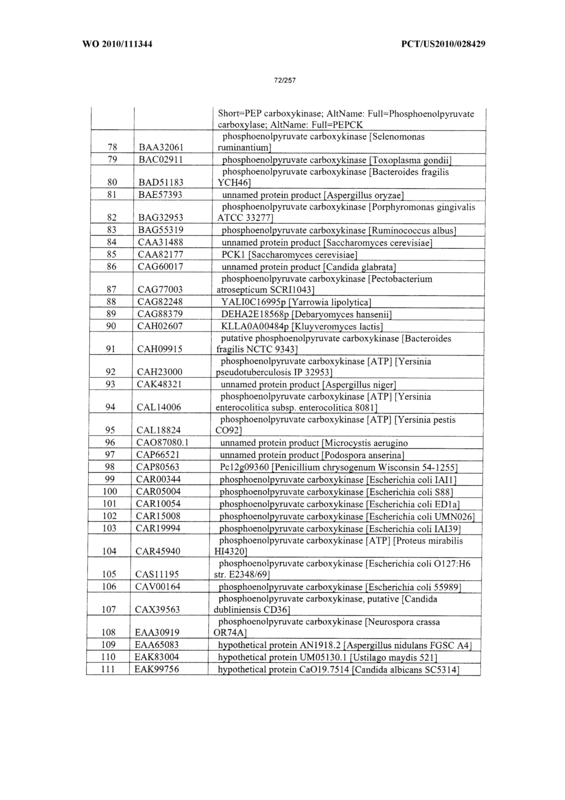 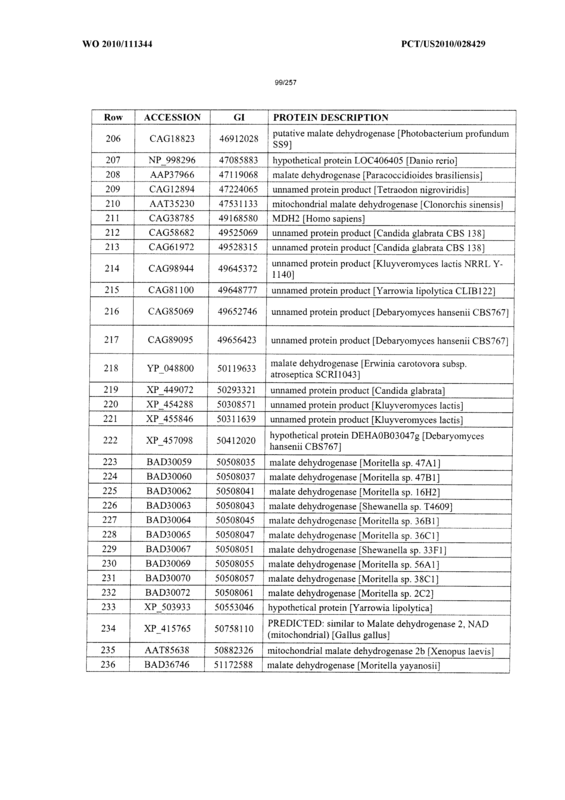 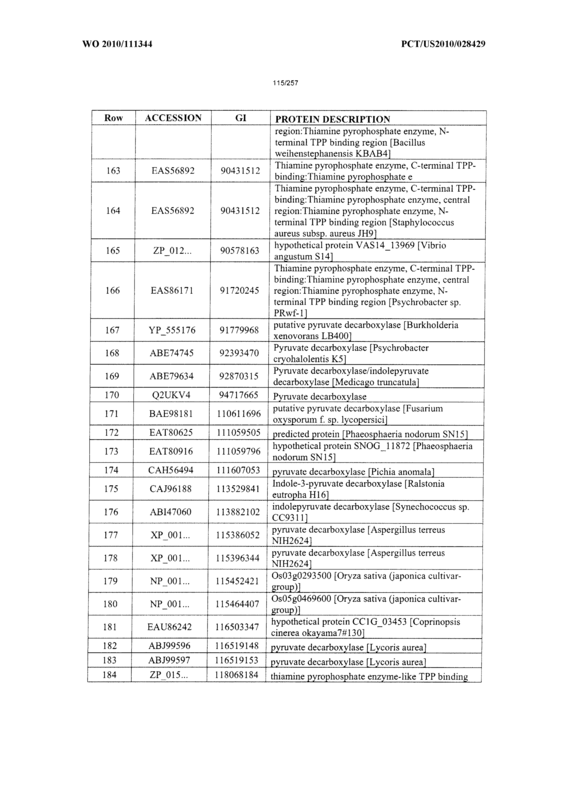 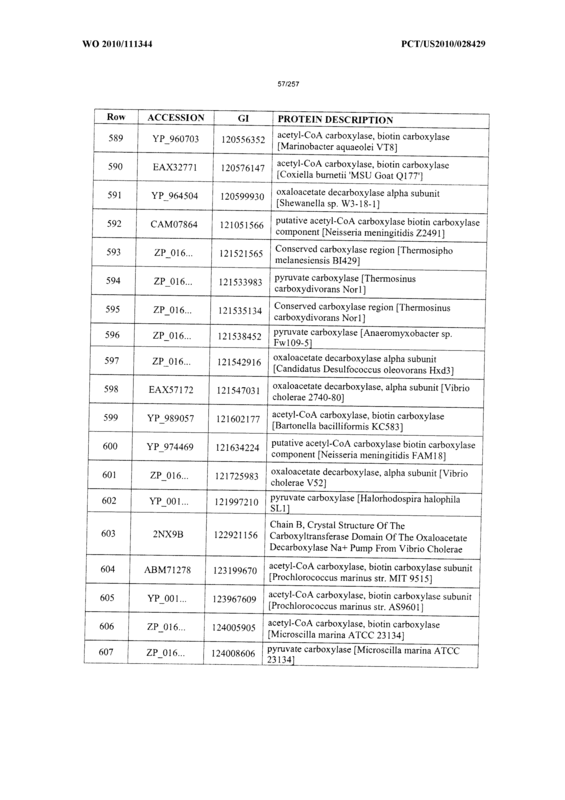 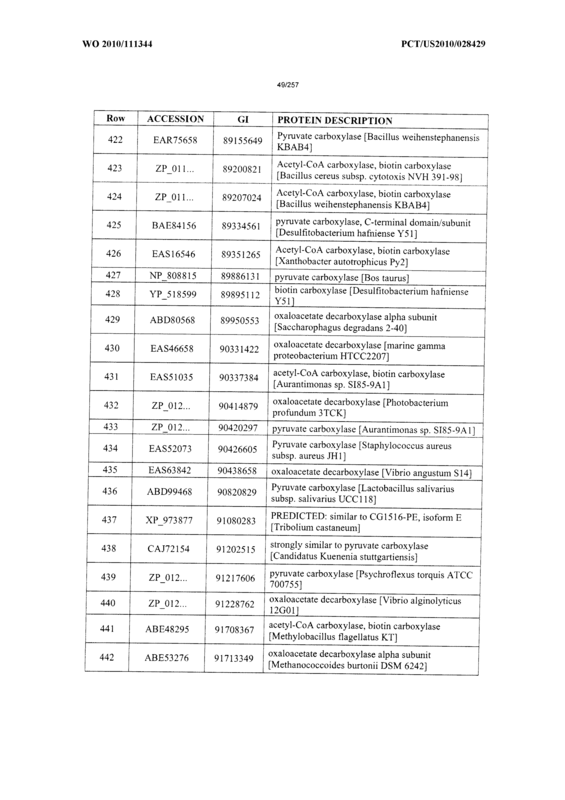 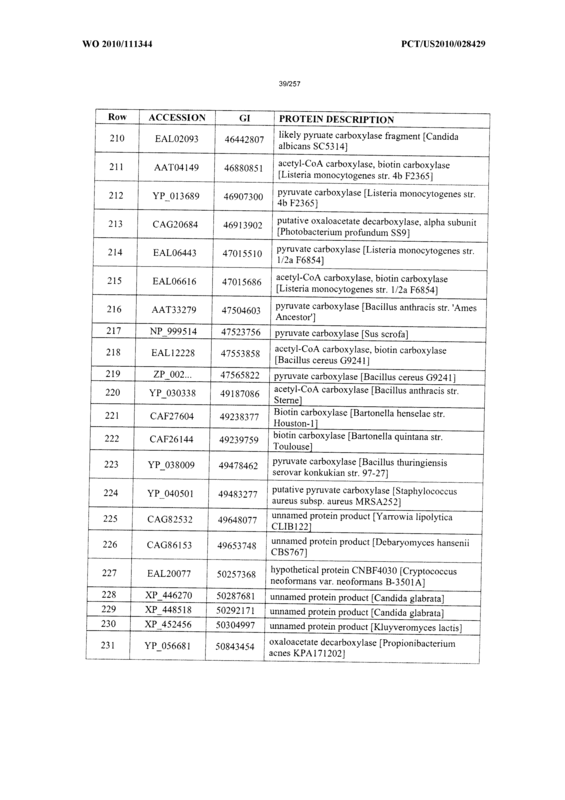 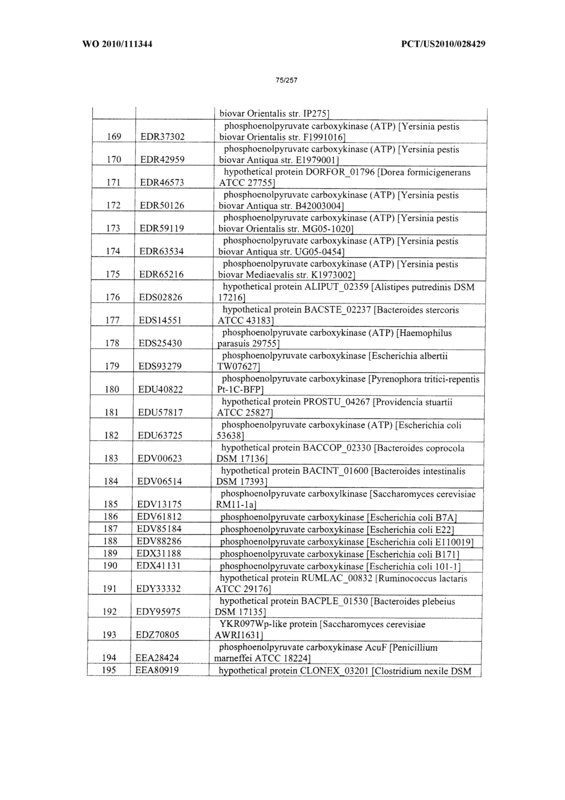 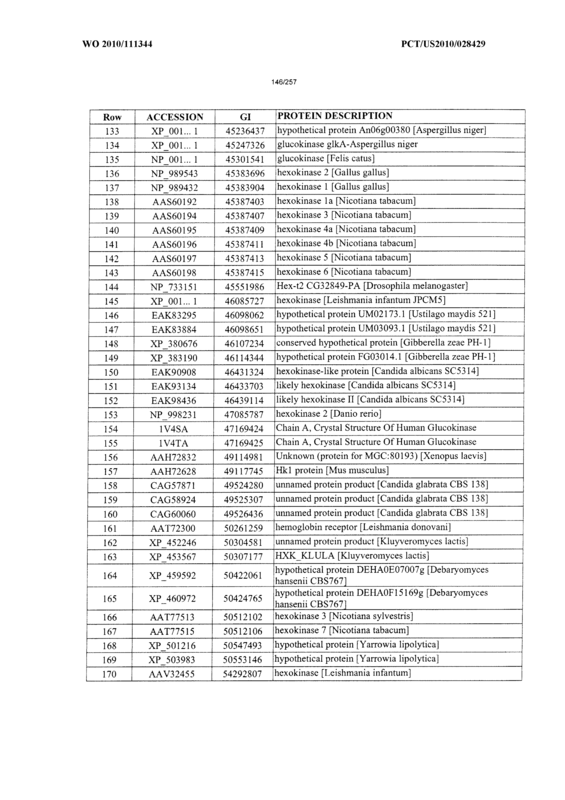 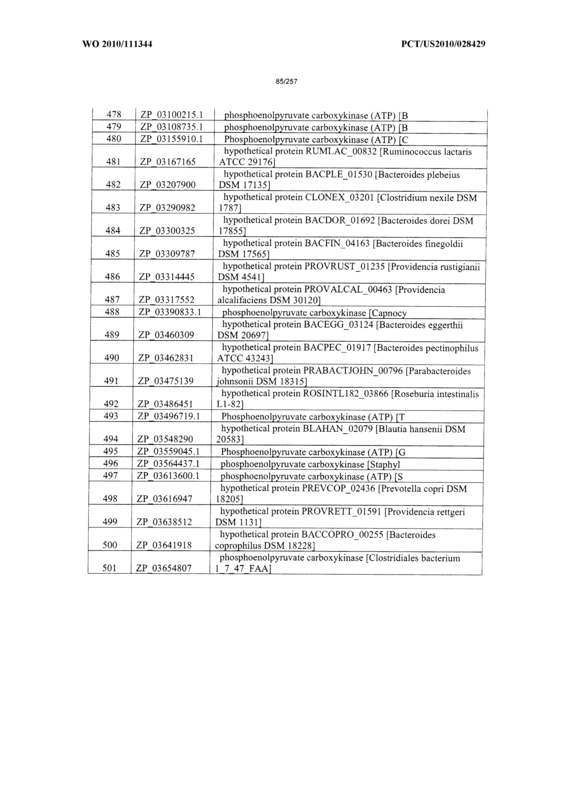 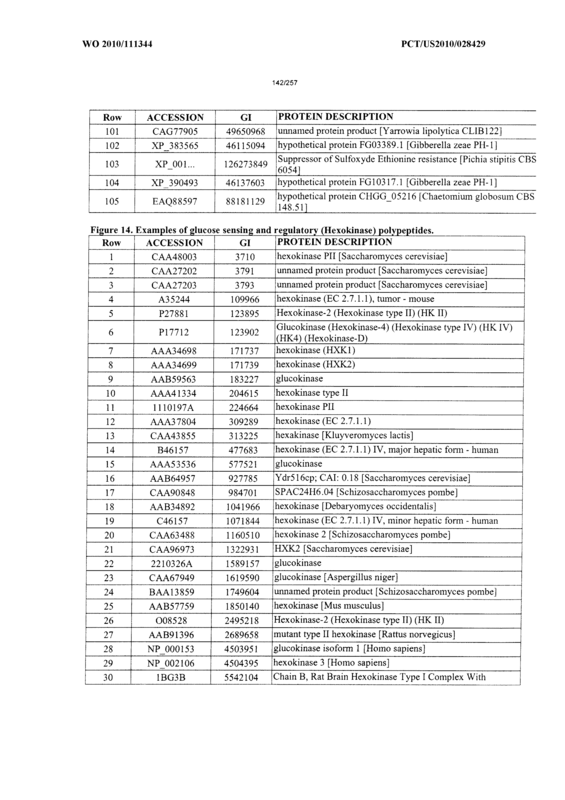 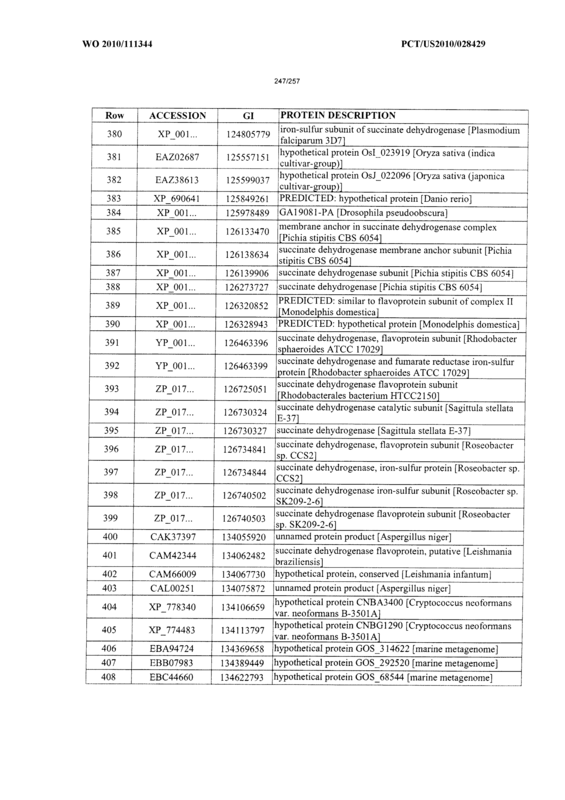 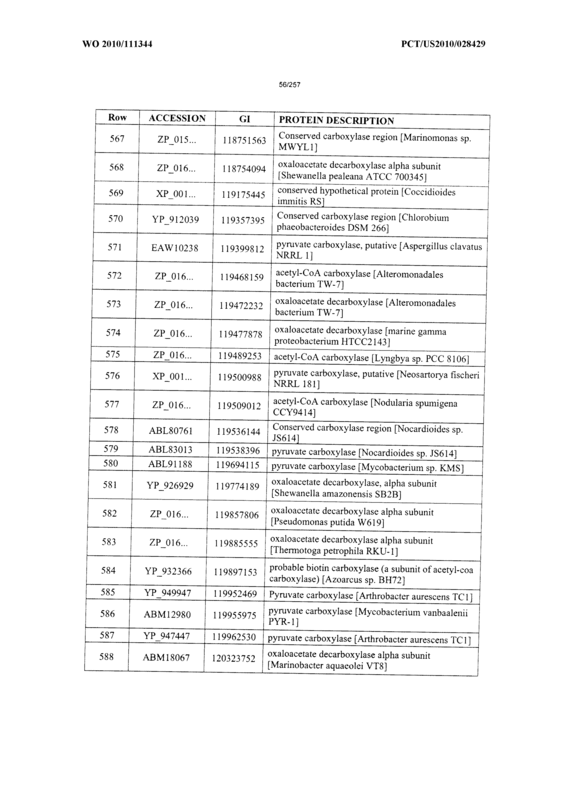 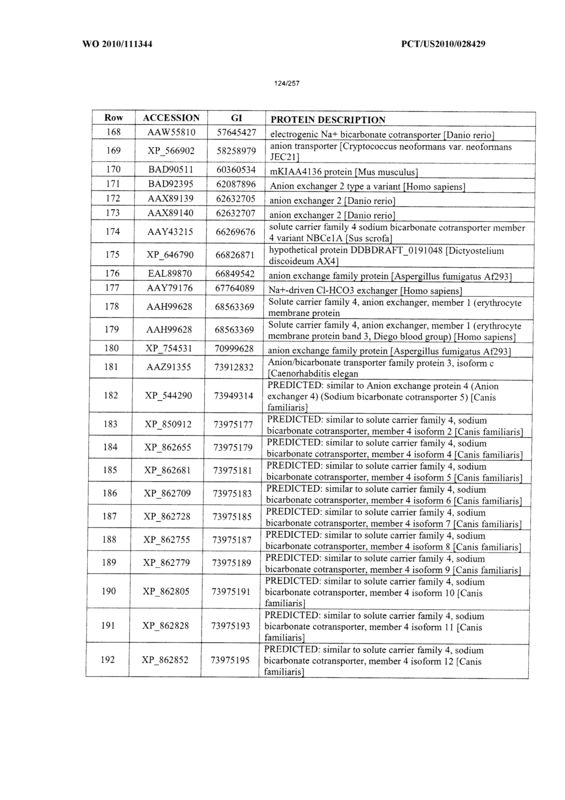 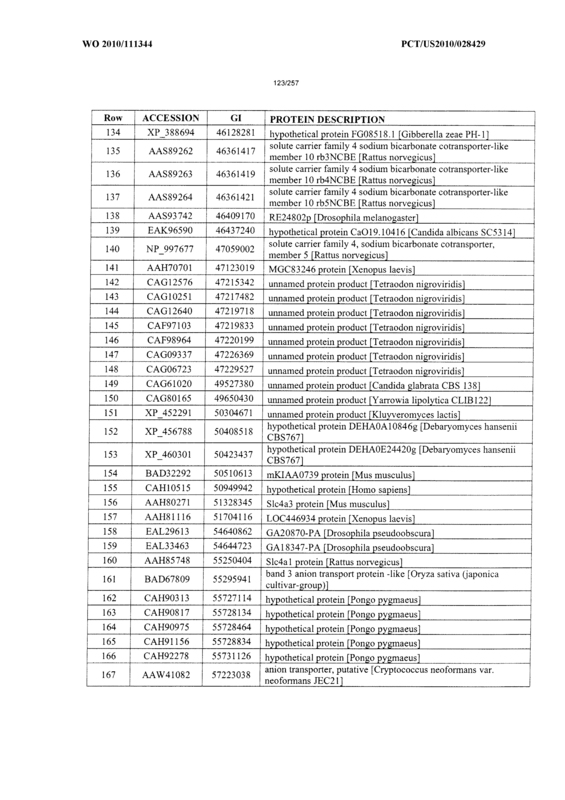 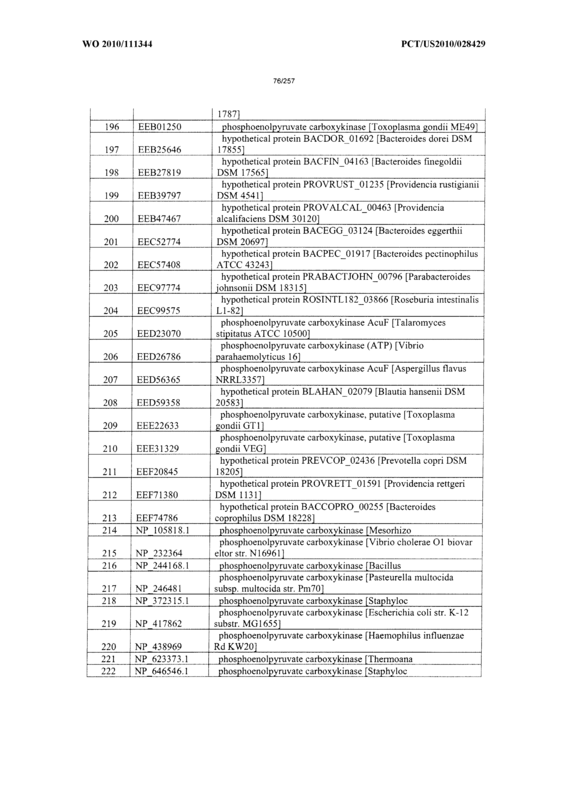 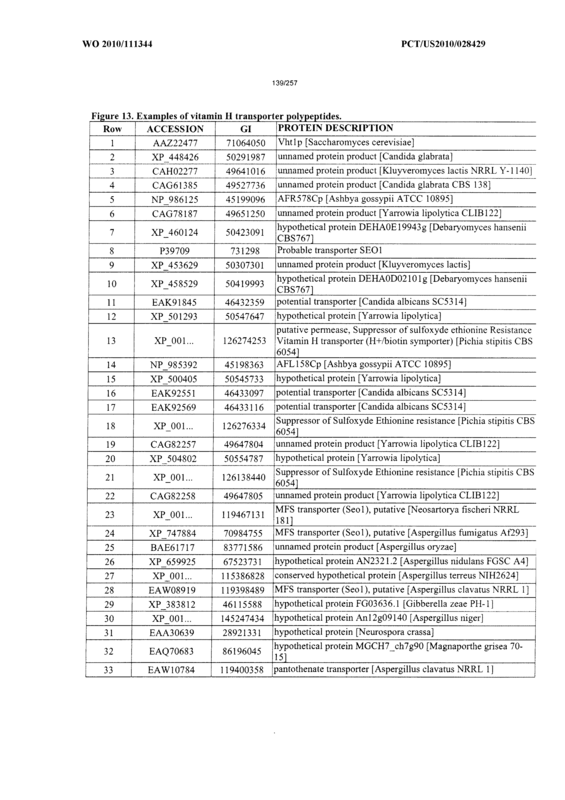 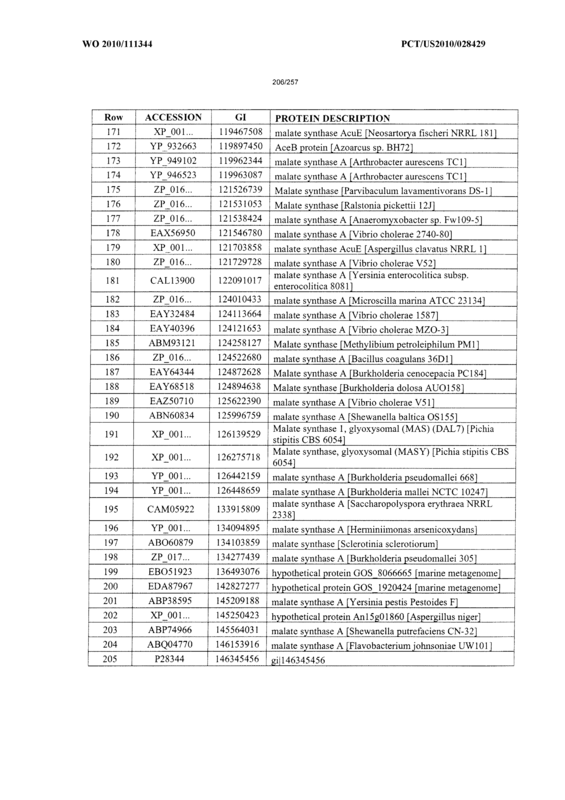 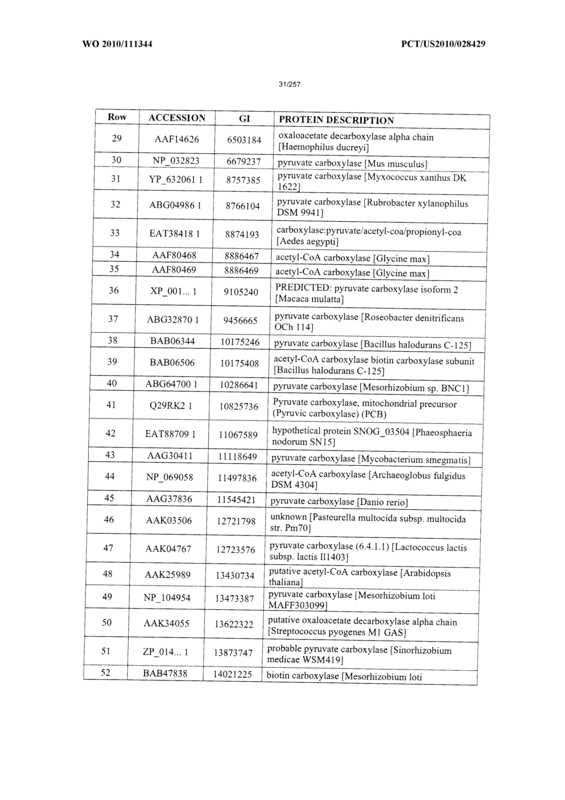 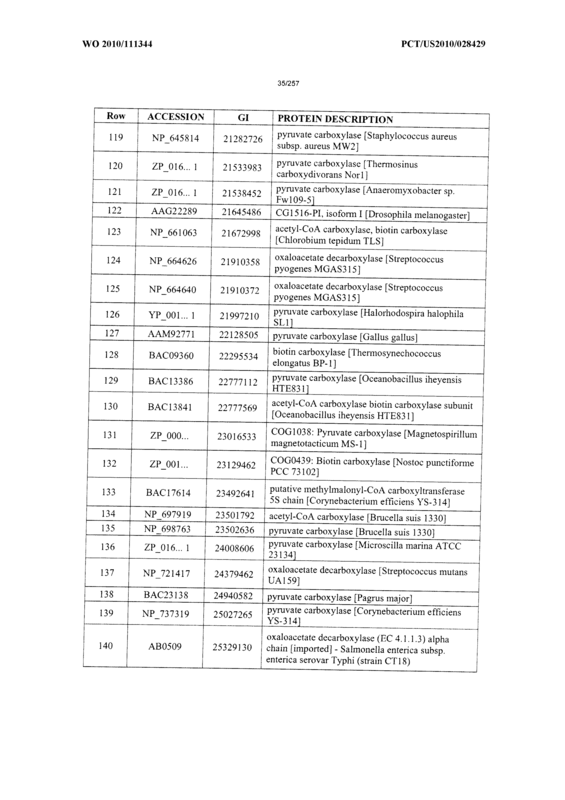 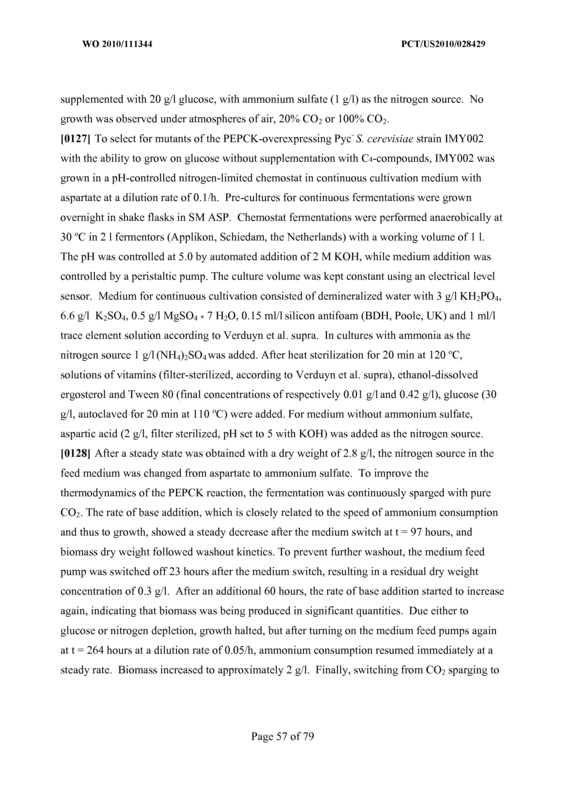 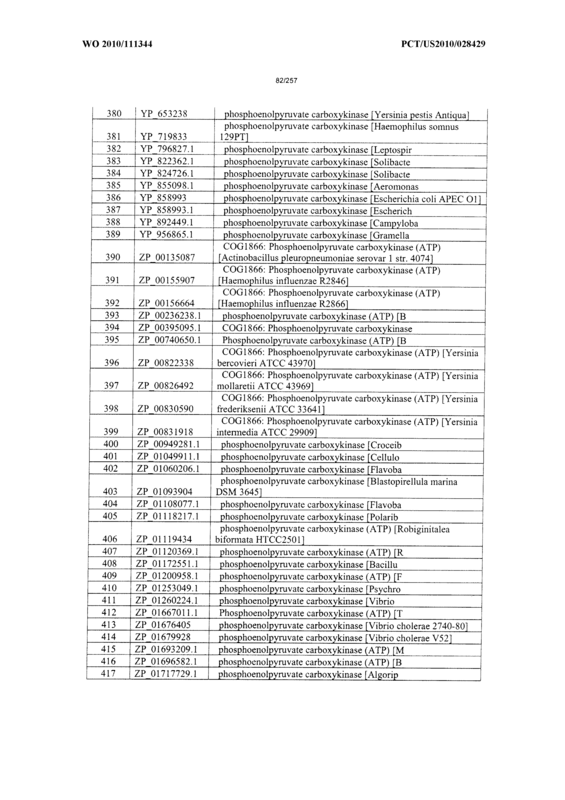 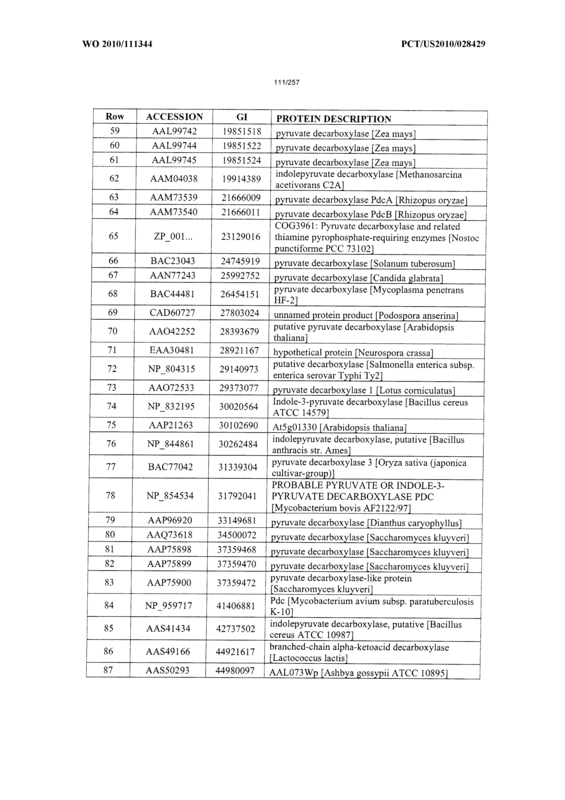 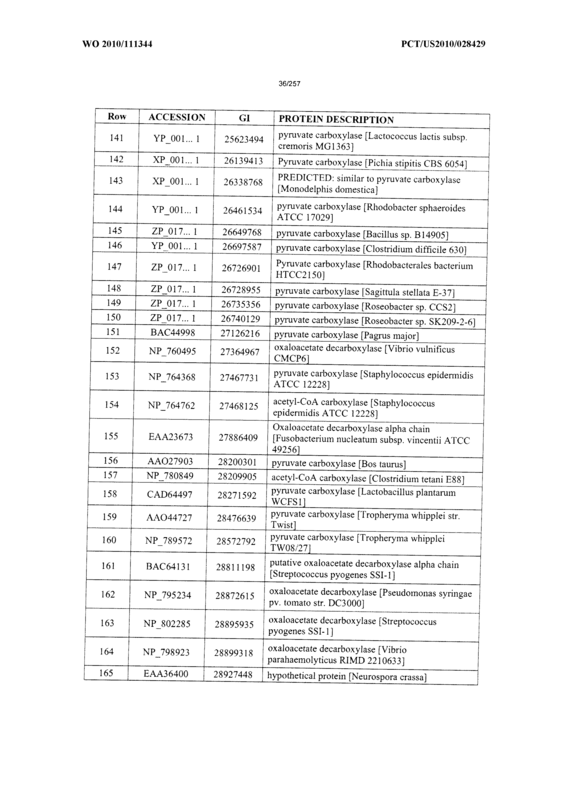 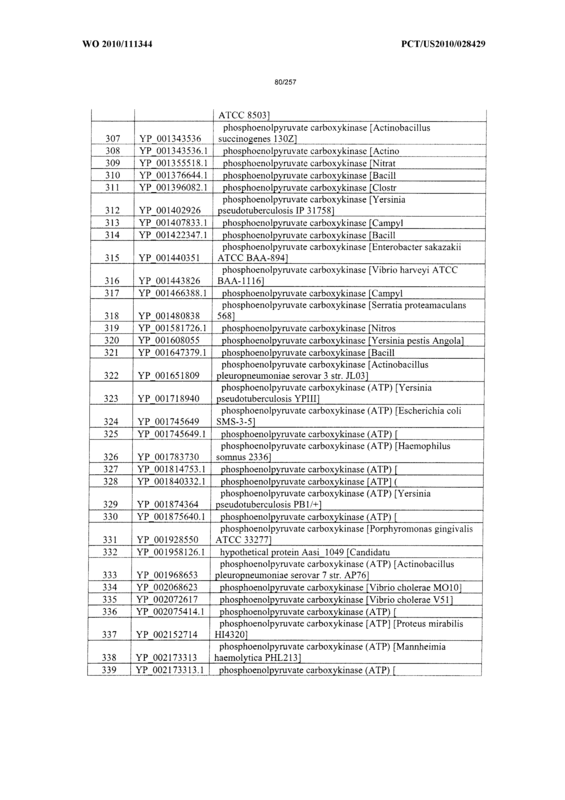 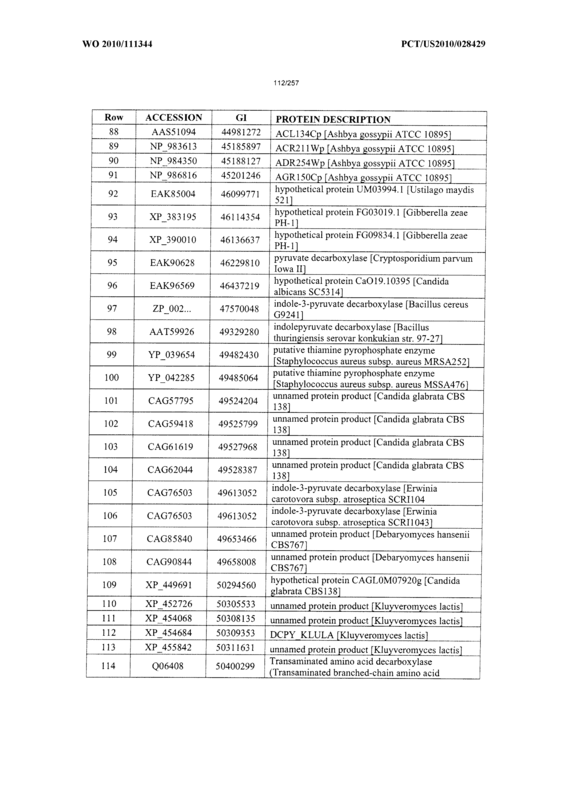 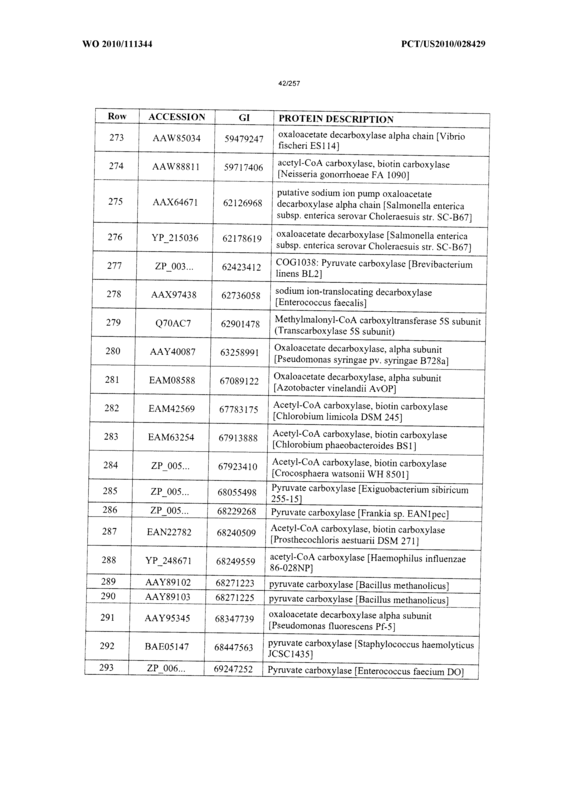 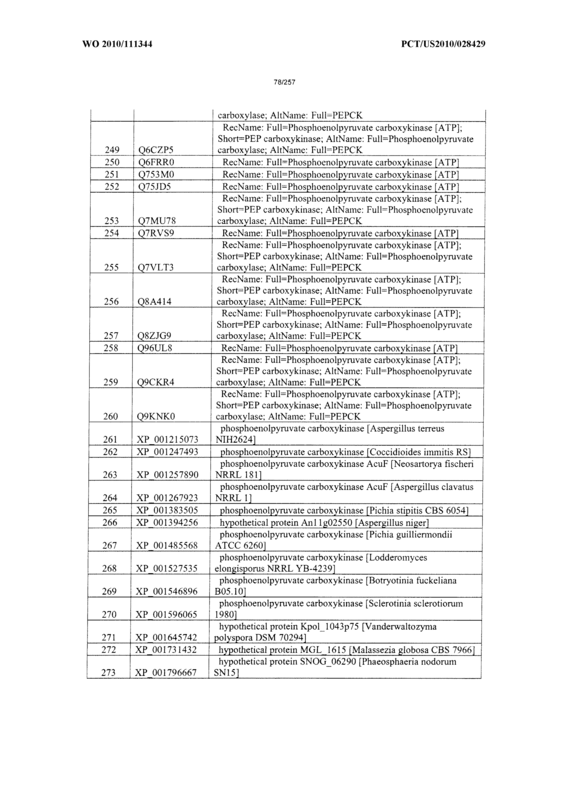 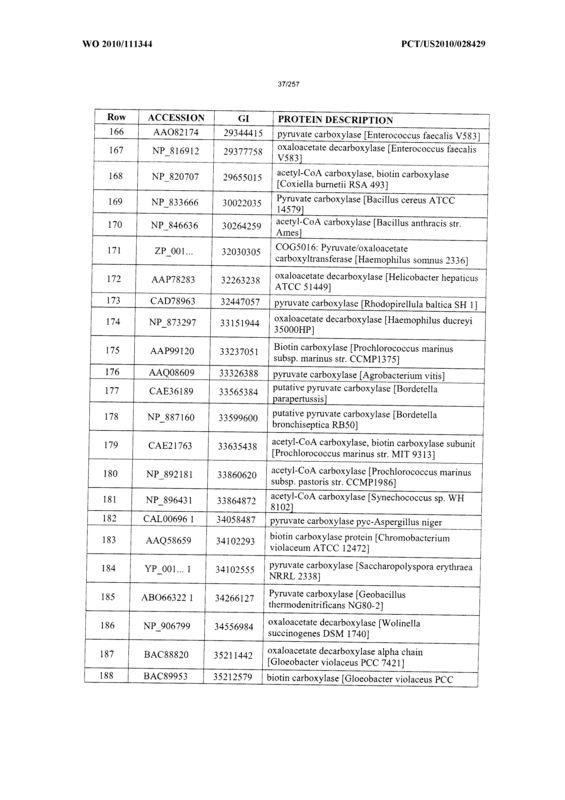 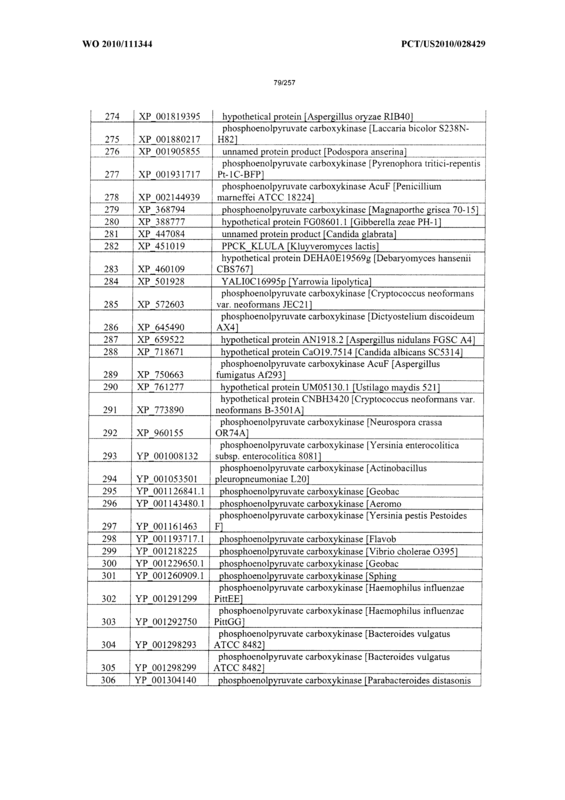 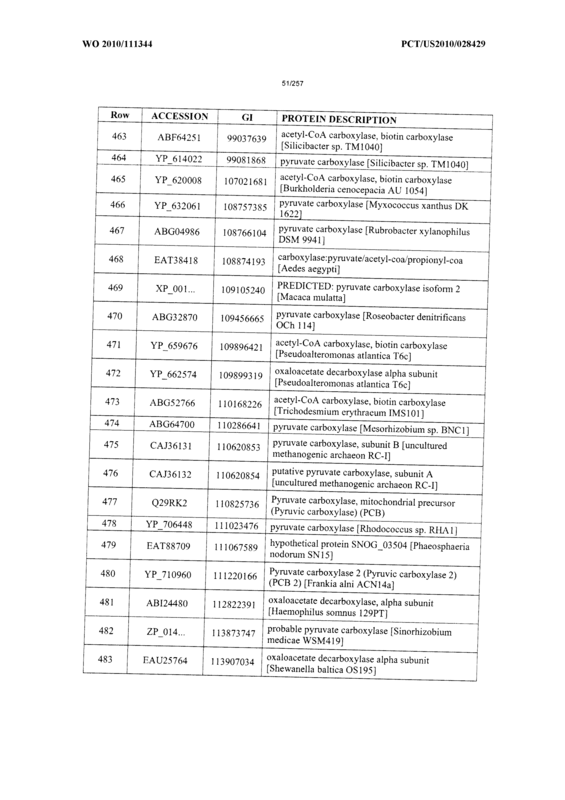 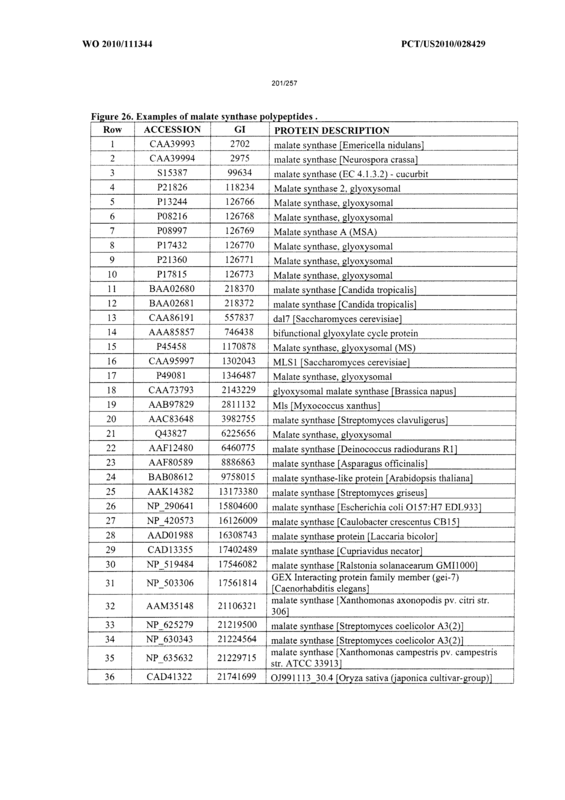 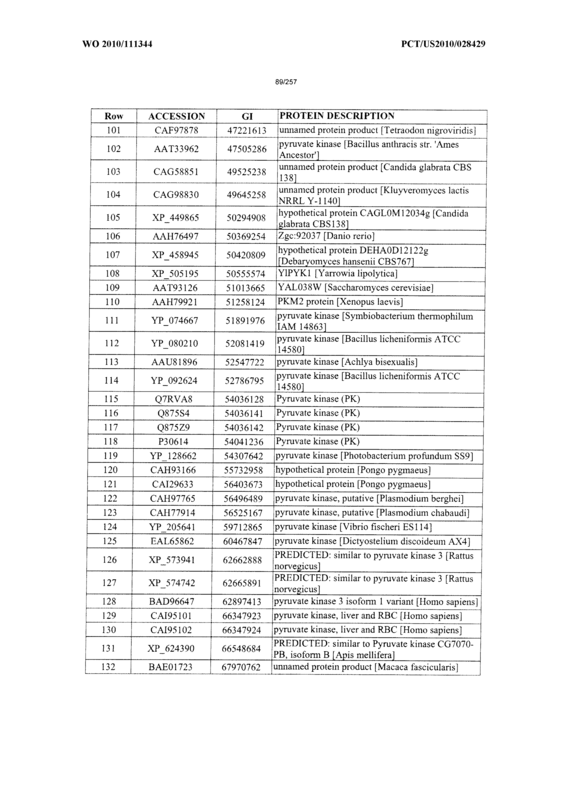 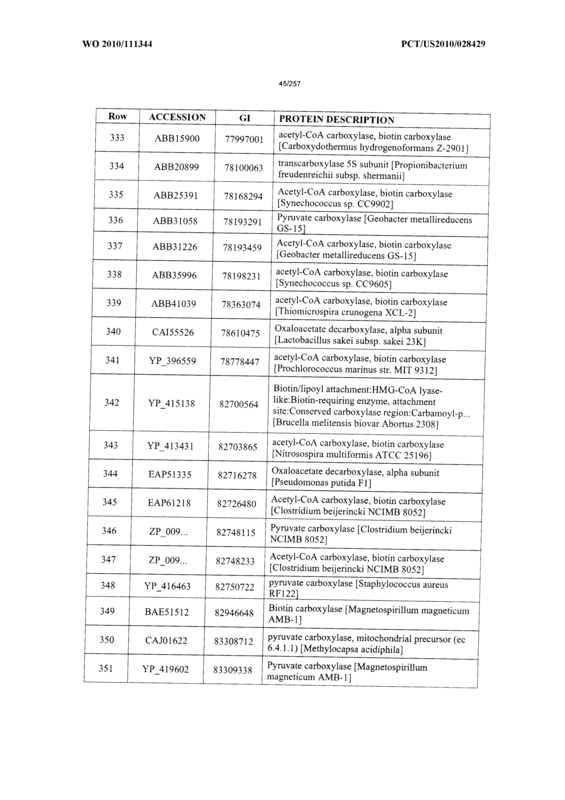 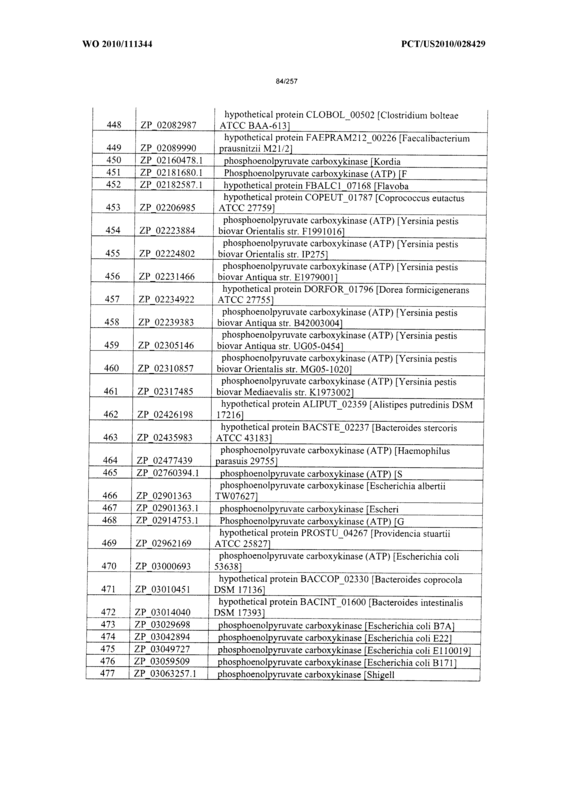 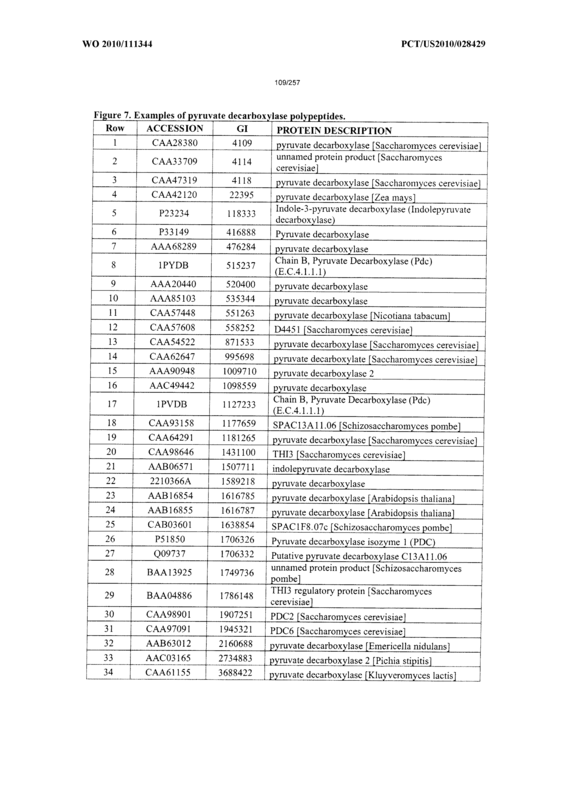 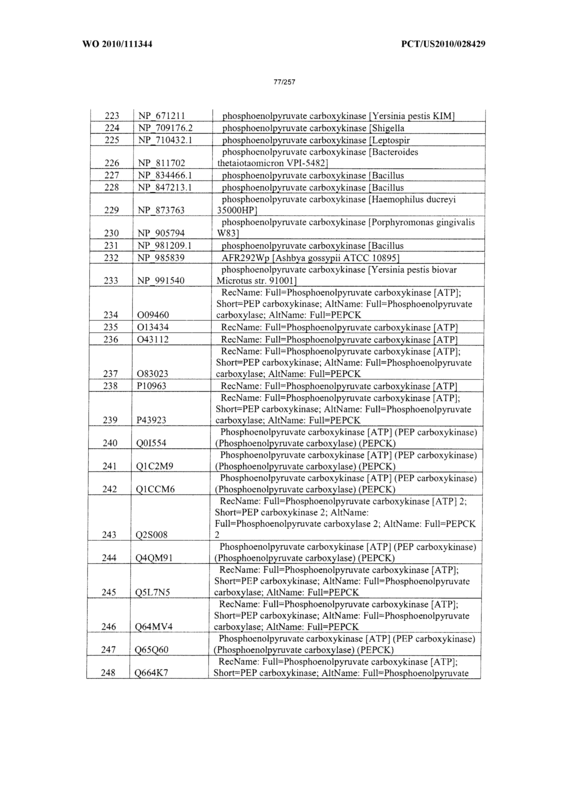 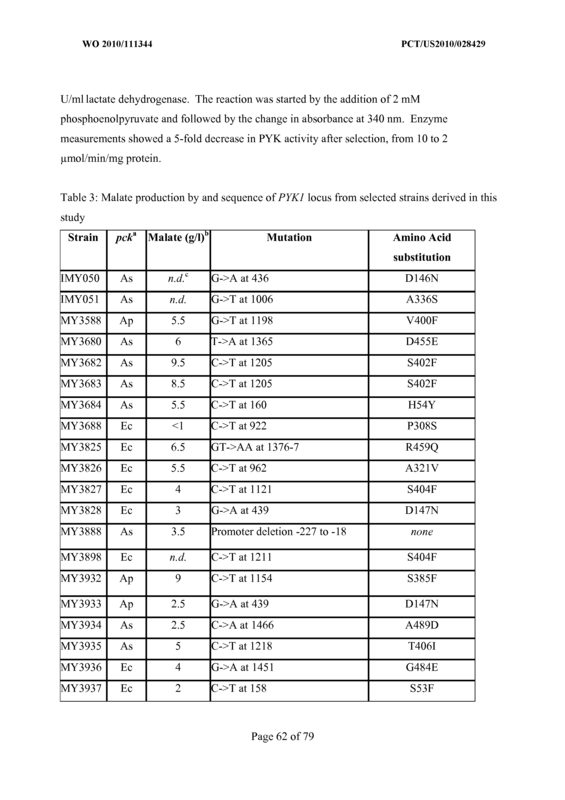 Methods and recombinant microorganisms for the biological production of C4-dicarboxylic acids are described. 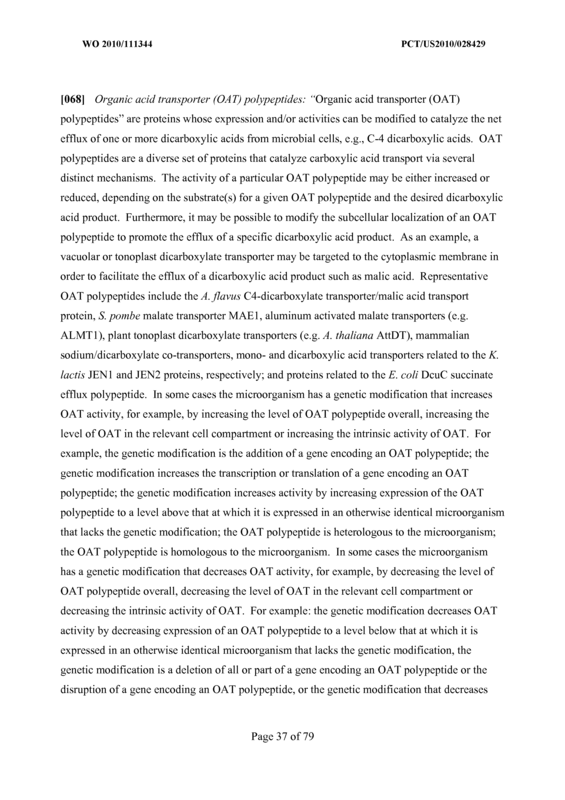 The recombinant microorganisms have increased production of OAA as compared to unmodified microorganisms. 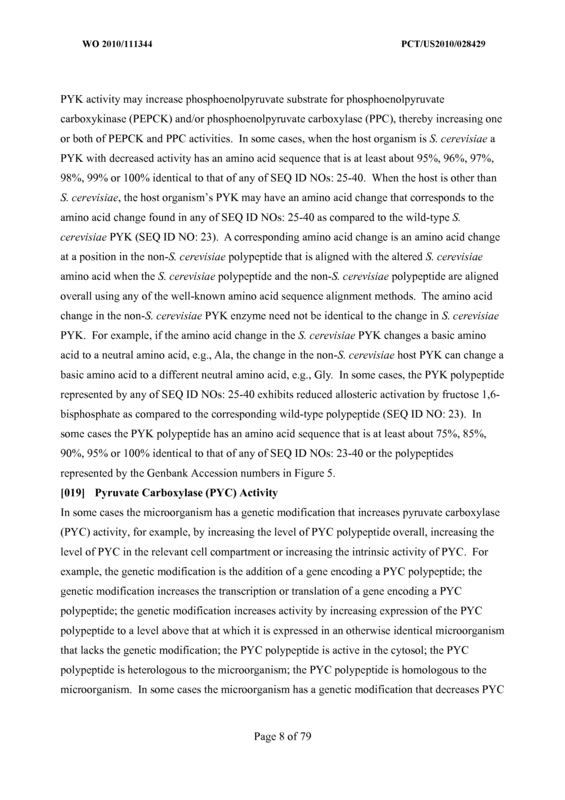 In some cases, the recombinant microorganisms have been modified to reduce production of pyruvate and/or reduce conversion of pyruvate to acetaldehyde. 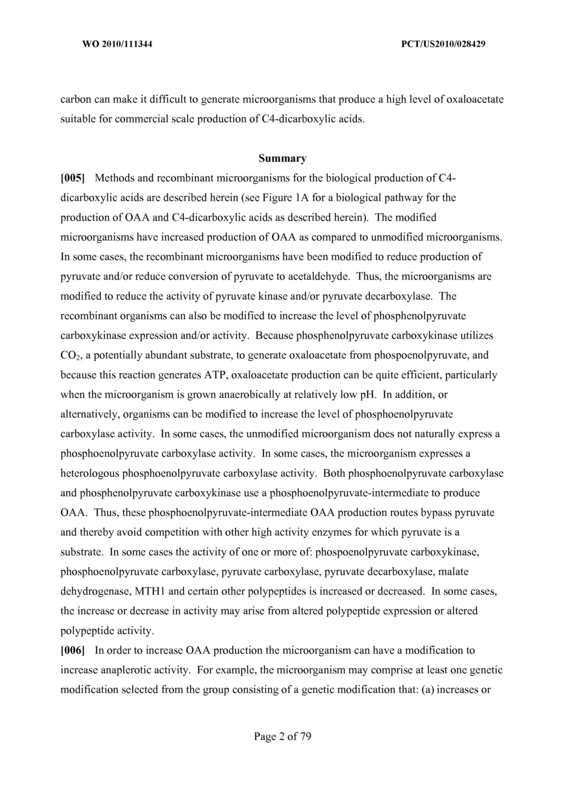 Thus, the microorganisms are modified to reduce the activity of pyruvate kinase and/or pyruvate decarboxylase. 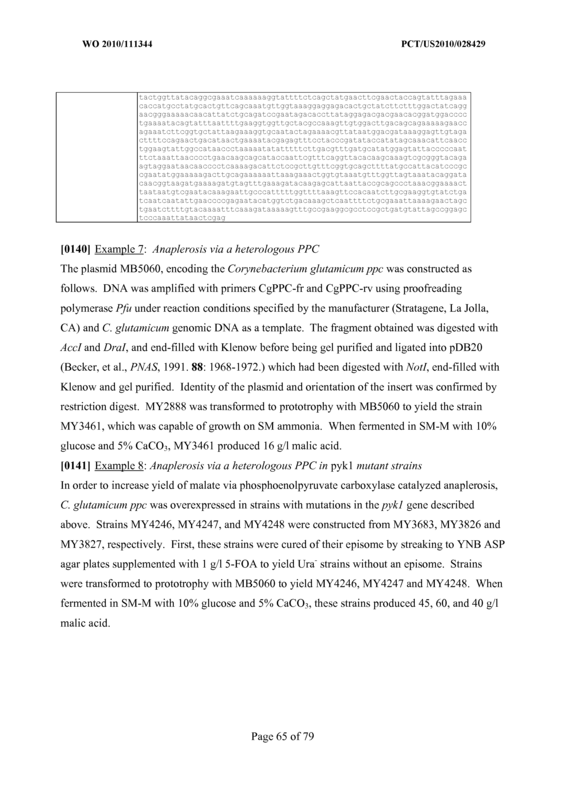 A recombinant fungal cell having a first genetic modification that decreases pyruvate kinase activity and a second genetic modification that increases phosphoenolpyruvate carboxykinase activity, wherein the recombinant fungal cell, when cultured under conditions that produce a C4 dicarboxylic acid, produces more of at least one C4 dicarboxylic acid than an otherwise identical fungal cell not having the first and second genetic modifications. 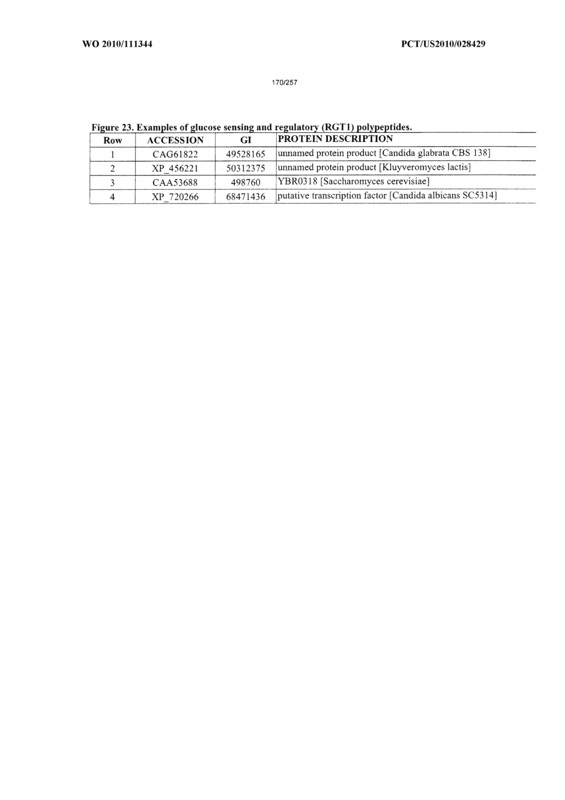 A recombinant fungal cell having a genetic modification that increases the activity of a dicarboxylic acid transporter, wherein the dicarboxylic transporter has at least 90% identity to any of SEQ ID NOs: 104, 109, and 110. 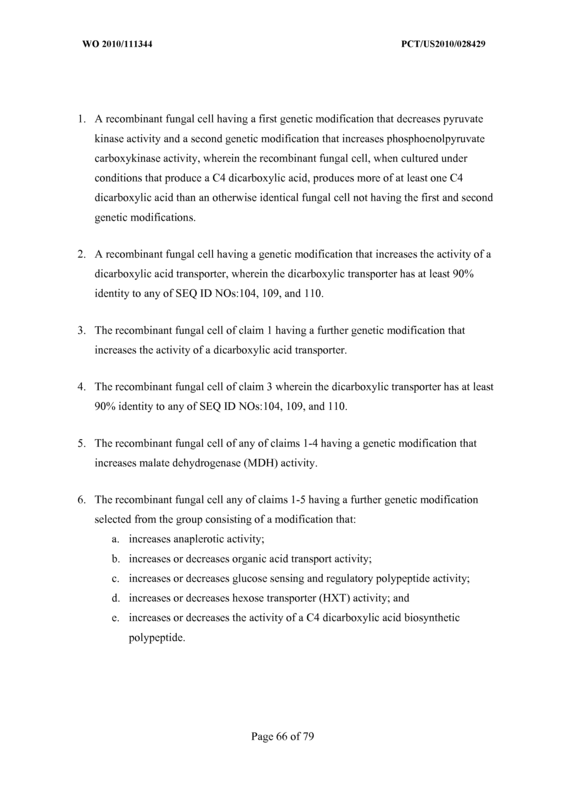 The recombinant fungal cell of claim 1 having a further genetic modification that increases the activity of a dicarboxylic acid transporter. 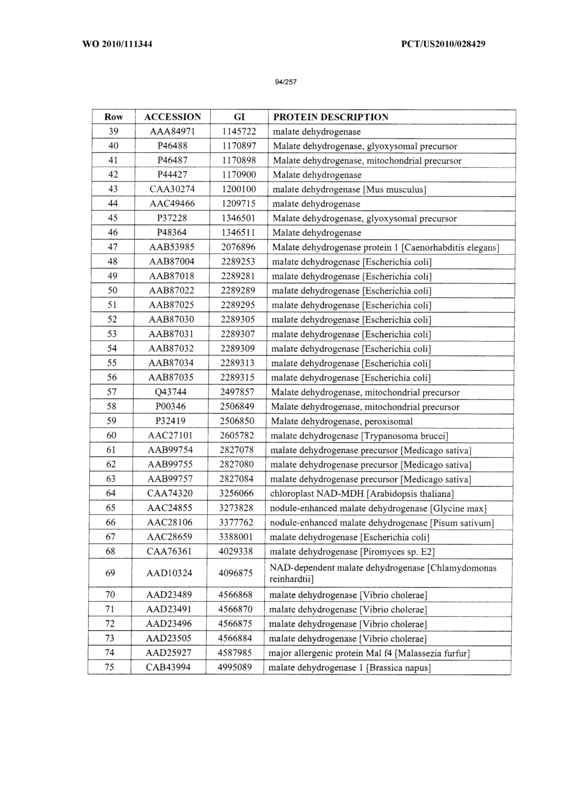 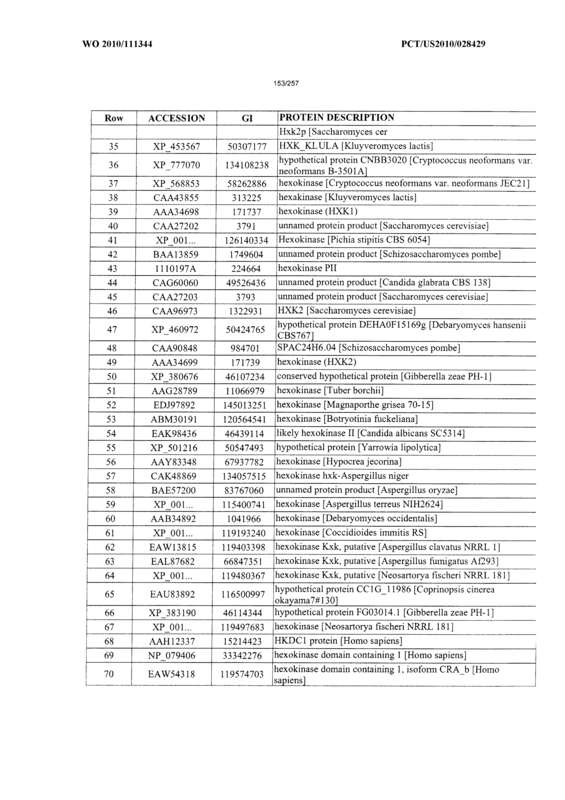 The recombinant fungal cell of claim 3 wherein the dicarboxylic transporter has at least 90% identity to any of SEQ ID NOs: 104, 109, and 110. 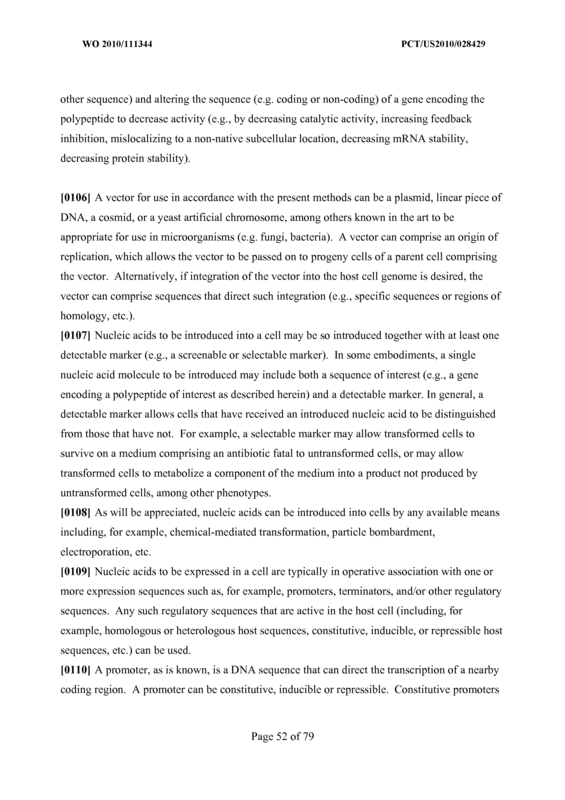 The recombinant fungal cell of any of claims 1-4 having a genetic modification that increases malate dehydrogenase (MDH) activity. 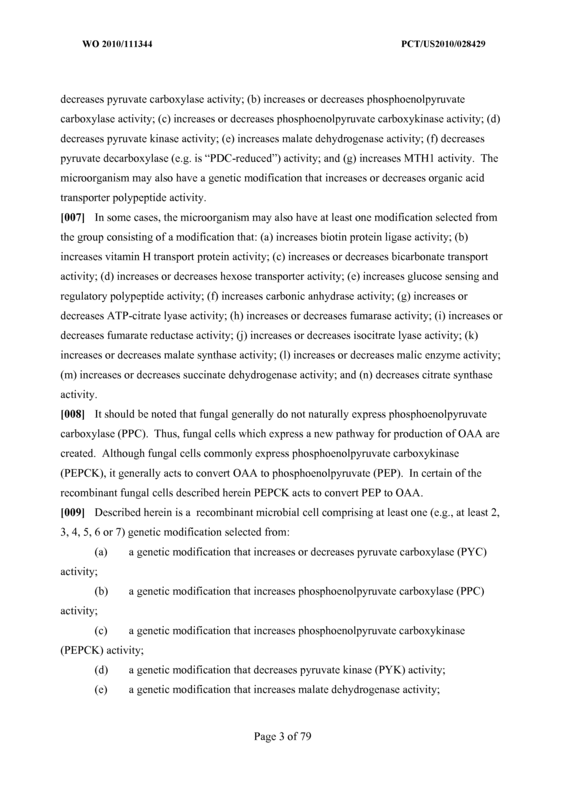 The recombinant fungal cell any of claims 1-5 having a further genetic modification selected from the group consisting of a modification that: a. increases anaplerotic activity; b. increases or decreases organic acid transport activity; c. increases or decreases glucose sensing and regulatory polypeptide activity; d. increases or decreases hexose transporter (HXT) activity; and e. increases or decreases the activity of a C4 dicarboxylic acid biosynthetic polypeptide. 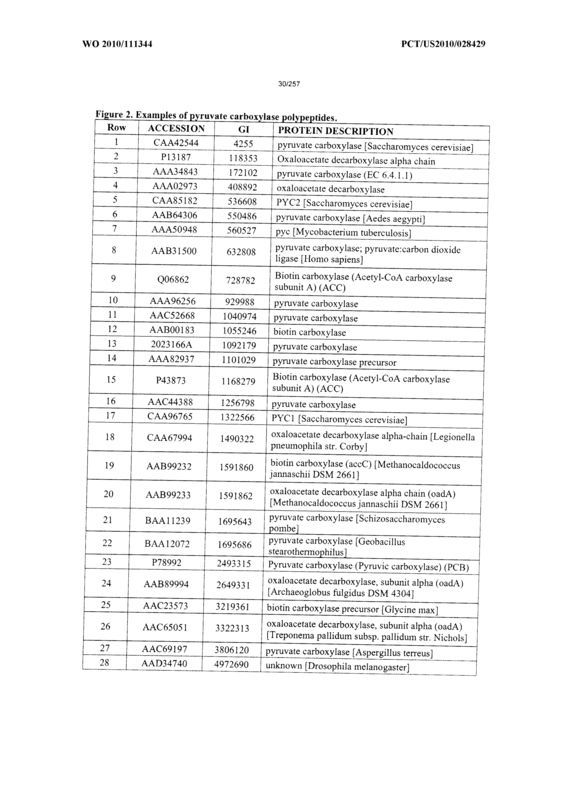 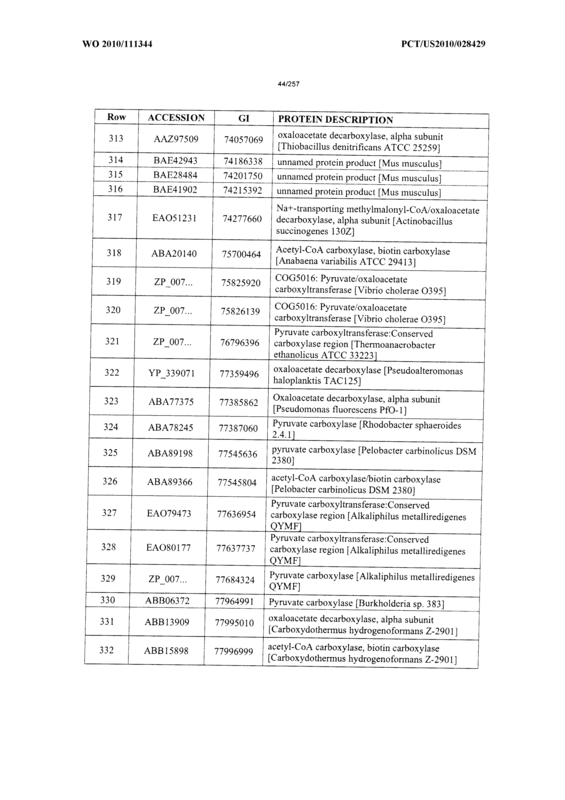 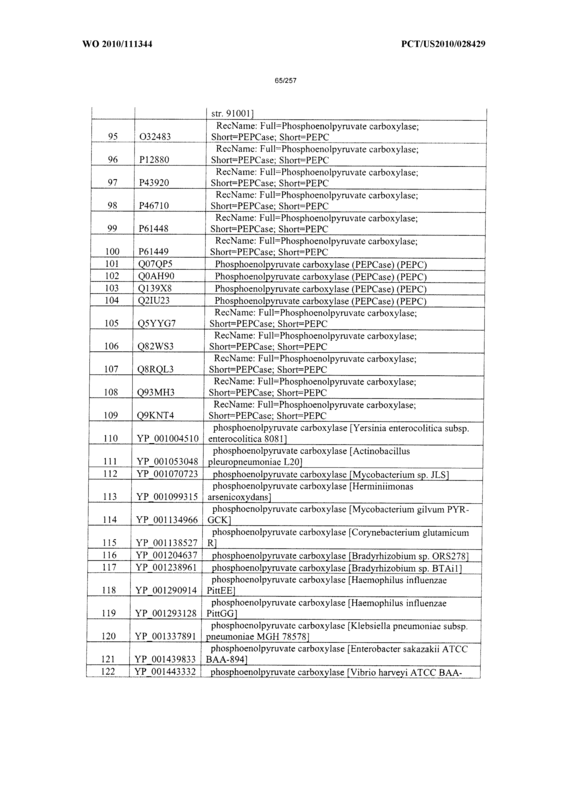 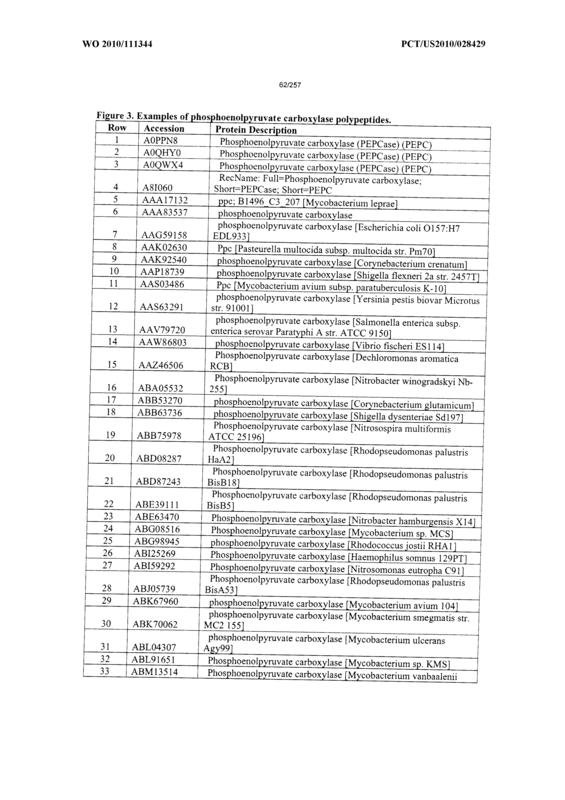 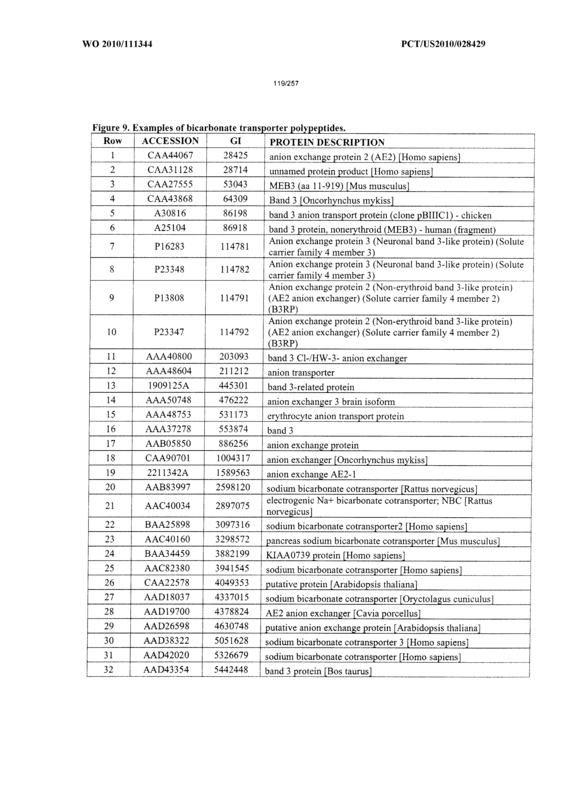 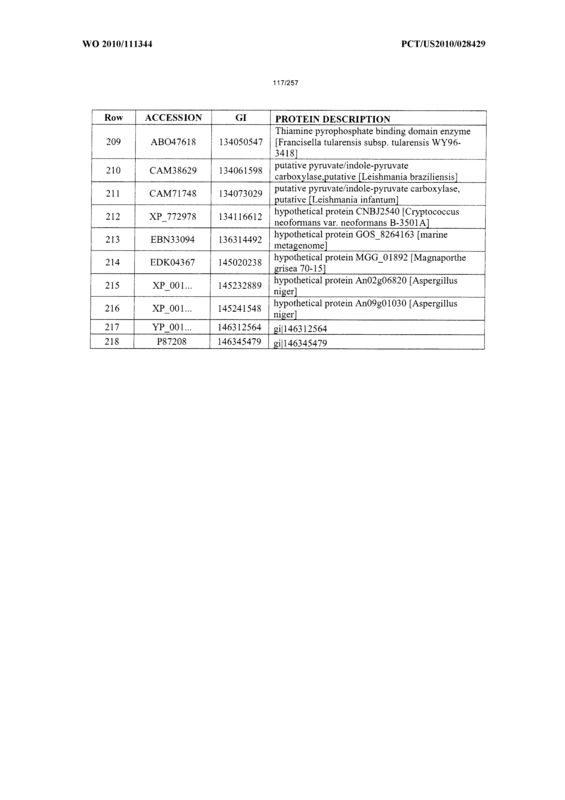 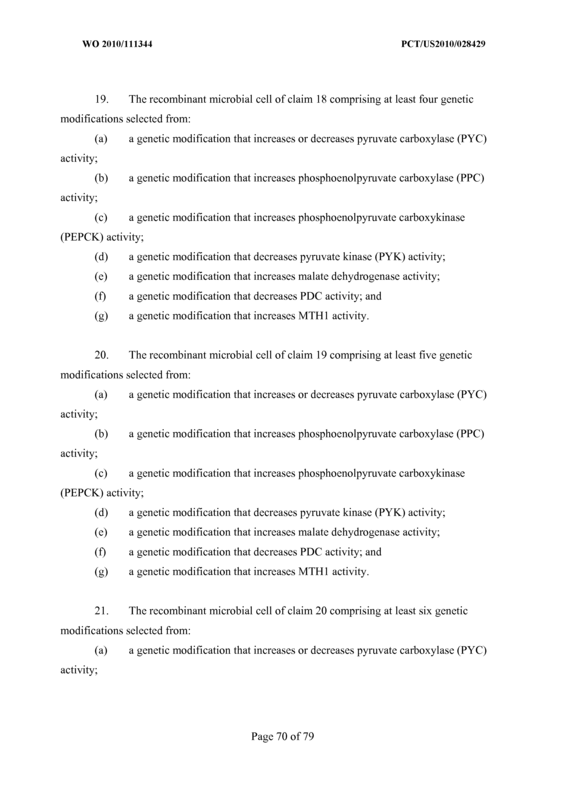 The recombinant fungal cell of claim 6, wherein the further genetic modification to increase anaplerotic activity comprises at least one modification selected from the group consisting of a modification that: a. increases pyruvate carboxylase (PYC) activity; b. increases phosphoenolpyruvate carboxylase (PPC) activity; c. decreases pyruvate decarboxylase (PDC) activity; d. increases biotin protein ligase (BPL) activity; e. increases biotin transport protein (VHT) activity; f. increases or decreases bicarbonate transport activity; g. increases carbonic anhydrase activity. 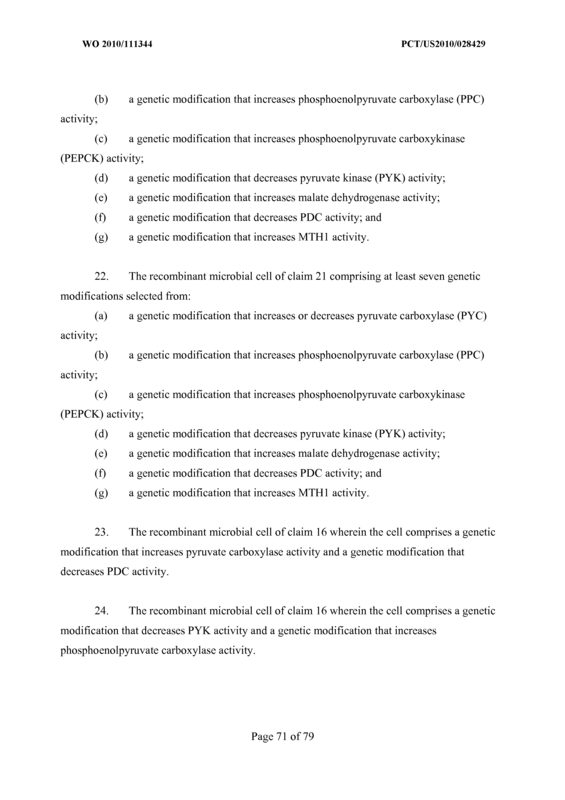 The recombinant fungal cell claim 6, wherein the modification to increase or decrease the activity of a C4 dicarboxylic acid polypeptide comprises at least one modification selected from the group consisting of a modification that: a. increases malate dehydrogenase (MDH) activity; b. increases or decreases fumarase activity; c. increases or decreases fumarate reductase activity; d. increases or decreases malate synthase activity; e. increases or decreases malic enzyme activity; f. increases or decreases isocitrate lyase activity; g. increases or decreases ATP-citrate lyase activity; h. increases or decreases succinate dehydrogenase activity. 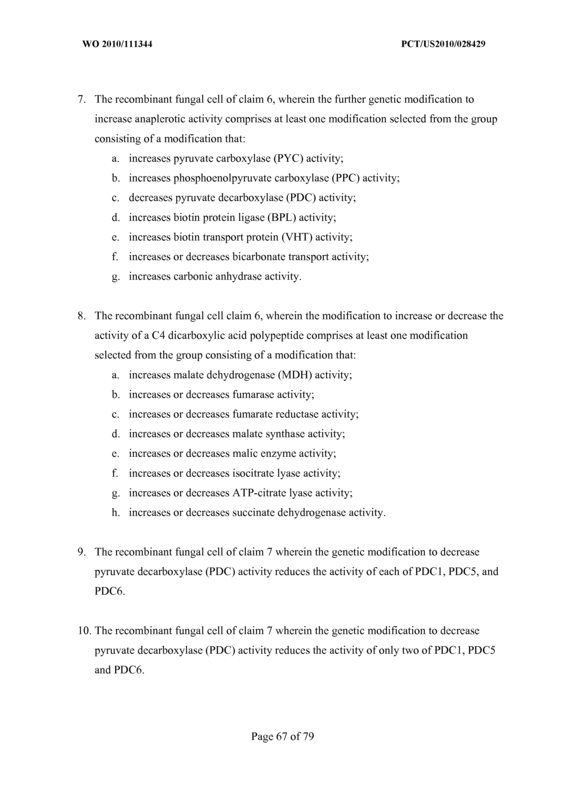 The recombinant fungal cell of claim 7 wherein the genetic modification to decrease pyruvate decarboxylase (PDC) activity reduces the activity of each of PDCl, PDC5, and PDC6. 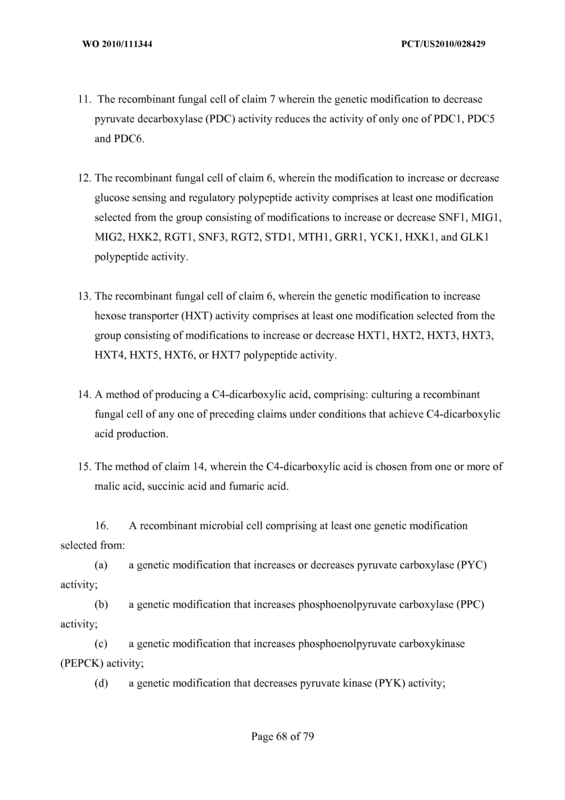 The recombinant fungal cell of claim 7 wherein the genetic modification to decrease pyruvate decarboxylase (PDC) activity reduces the activity of only two of PDCl, PDC5 and PDC6. 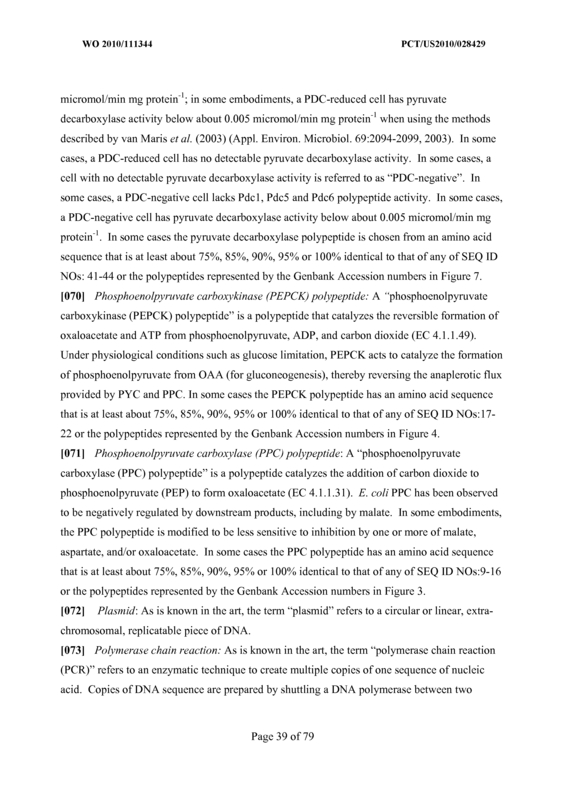 The recombinant fungal cell of claim 7 wherein the genetic modification to decrease pyruvate decarboxylase (PDC) activity reduces the activity of only one of PDCl, PDC5 and PDC6. 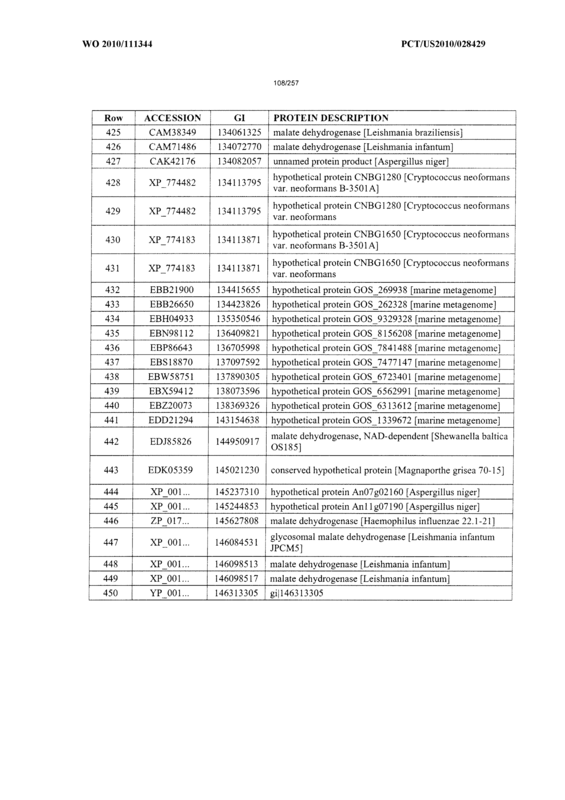 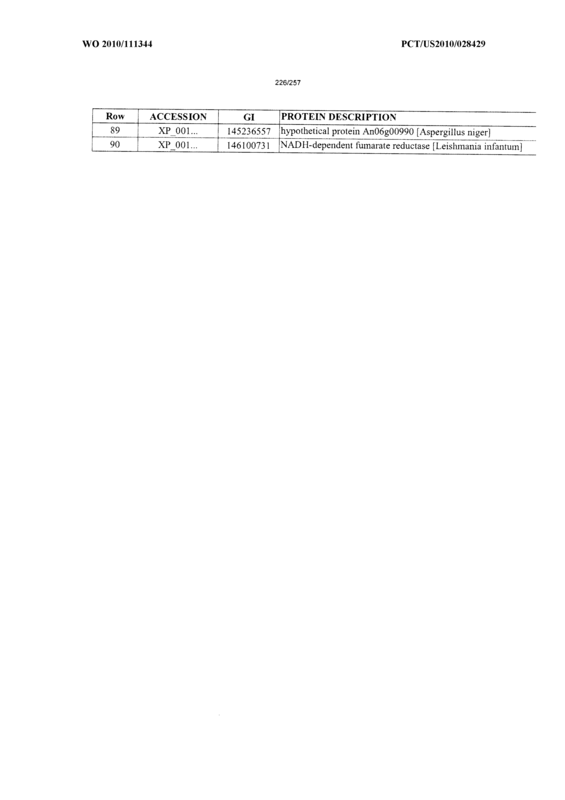 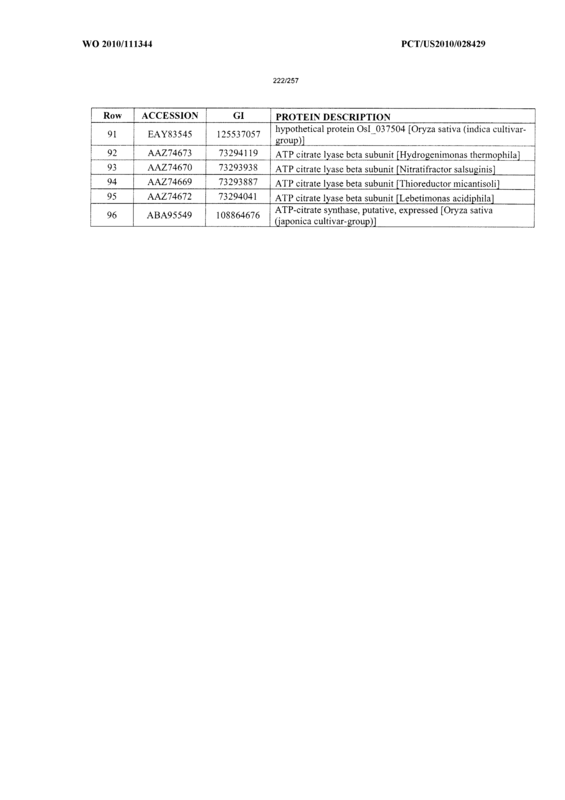 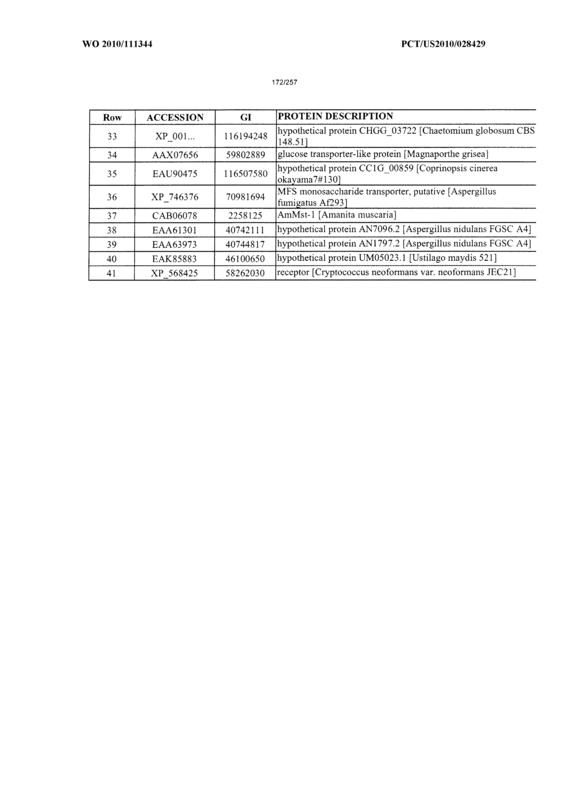 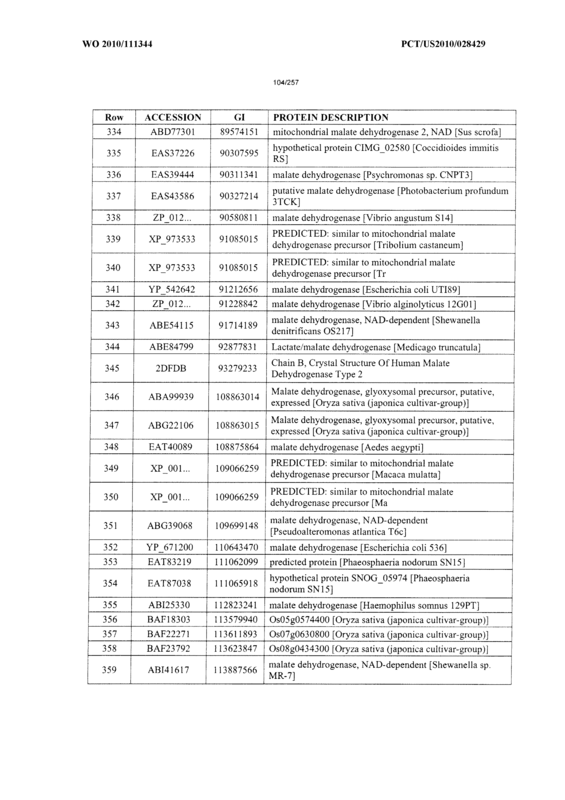 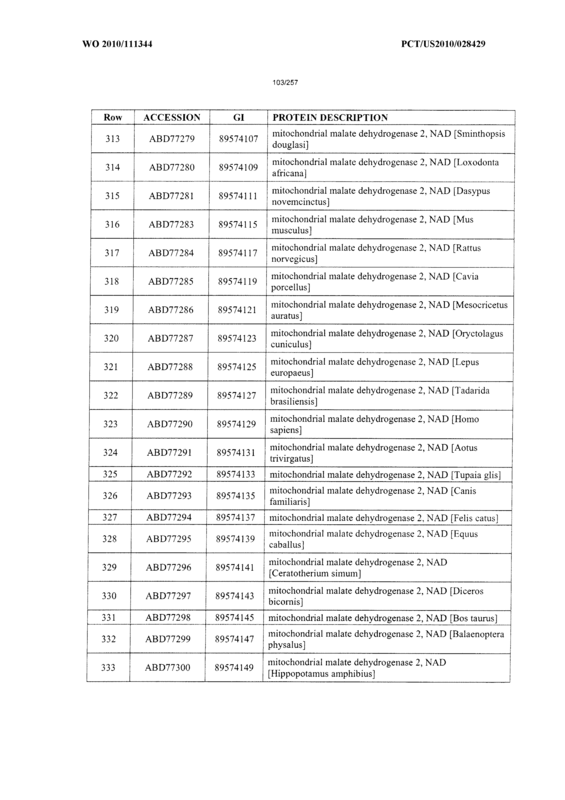 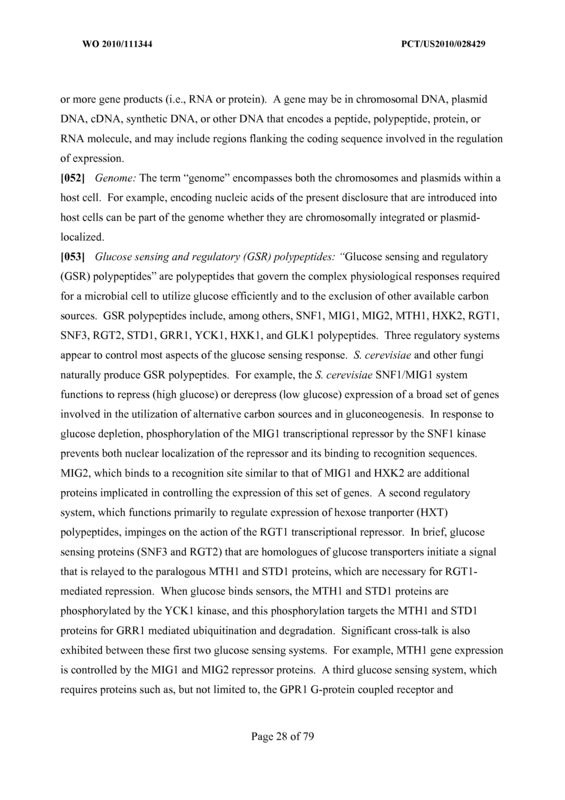 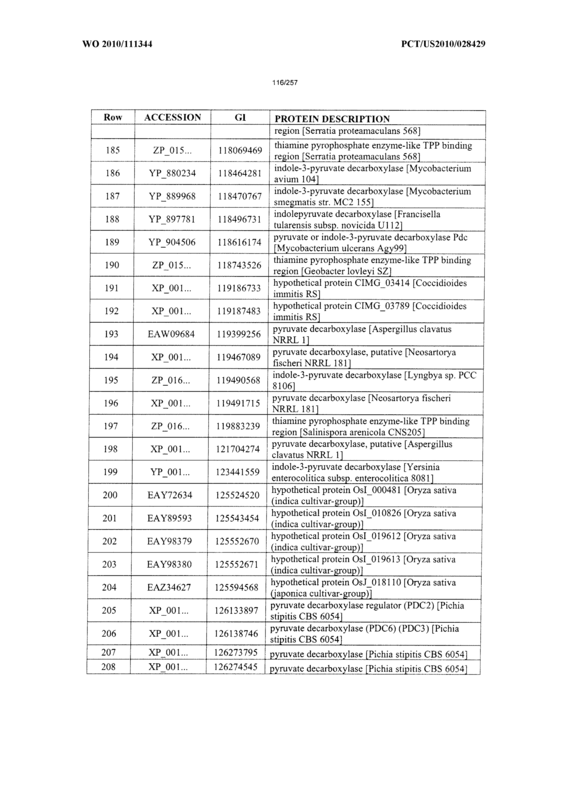 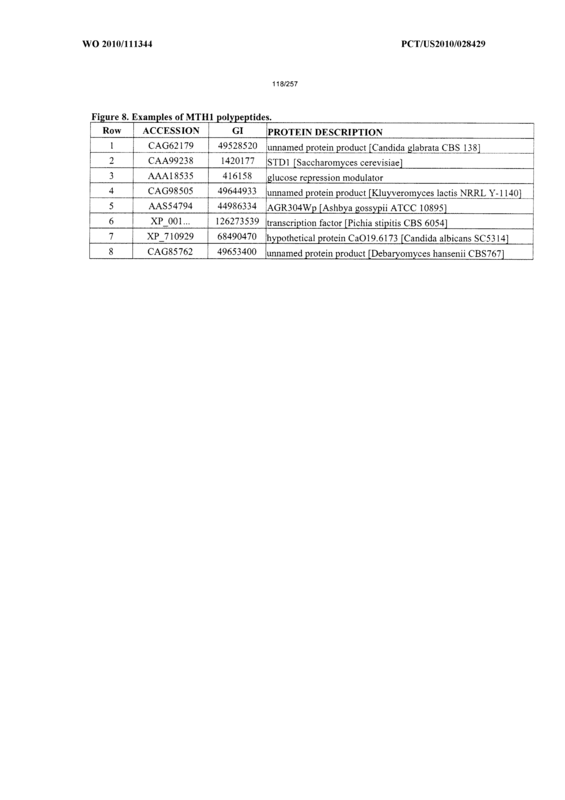 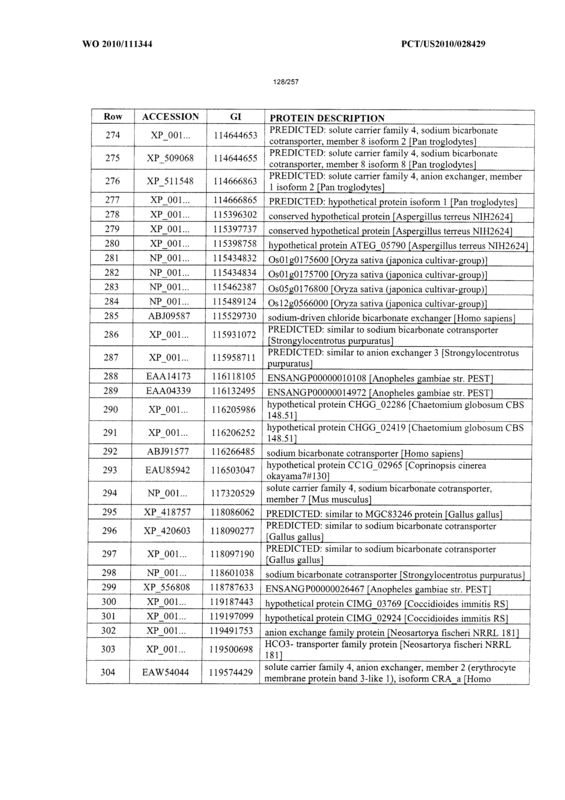 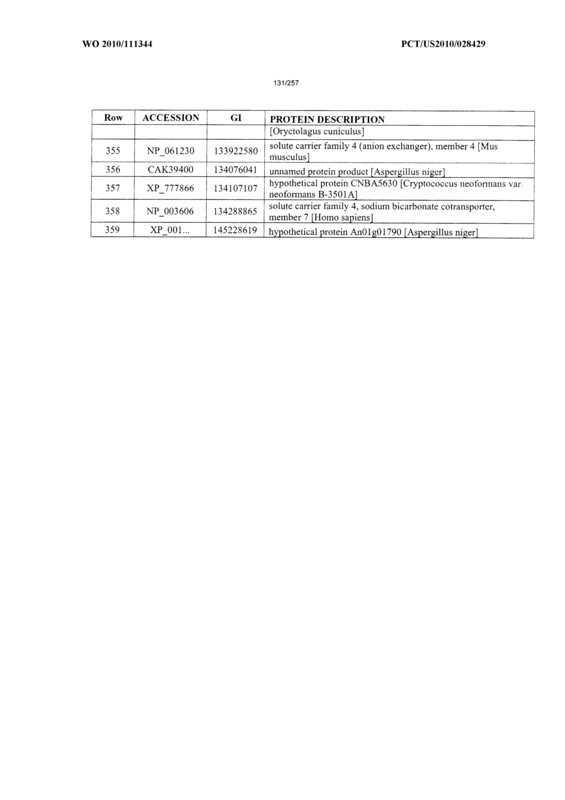 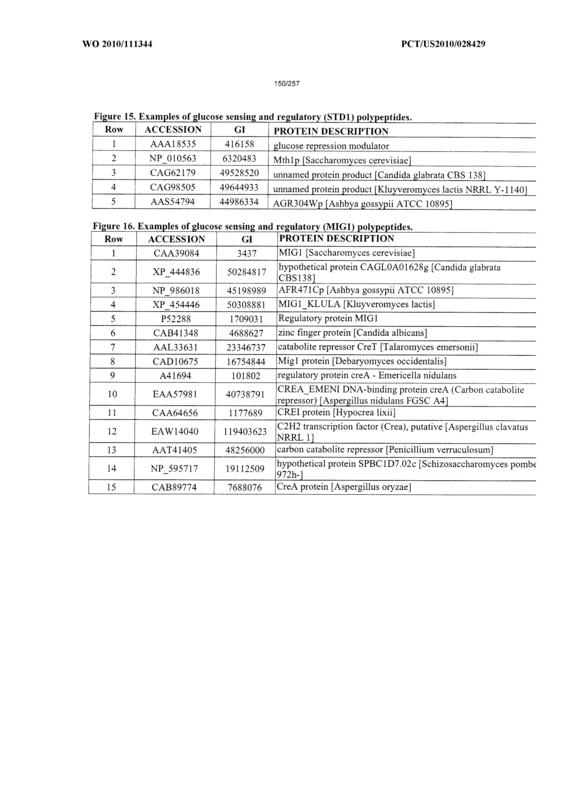 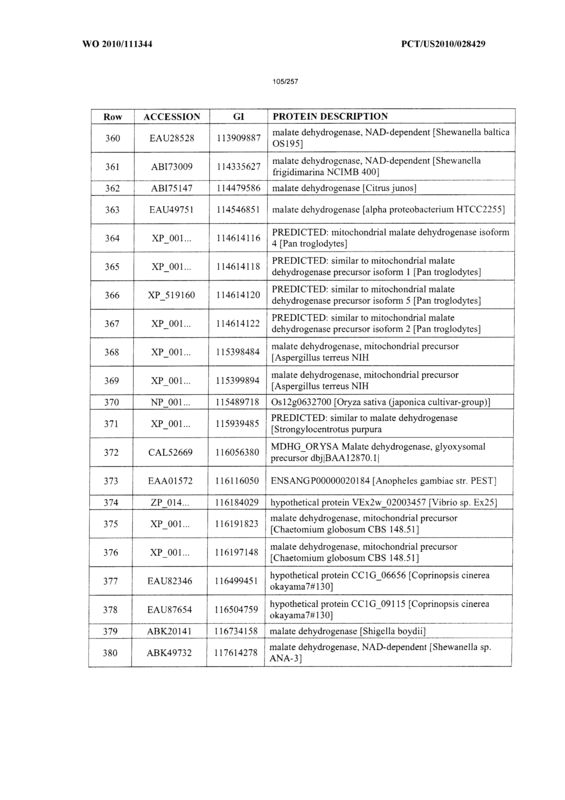 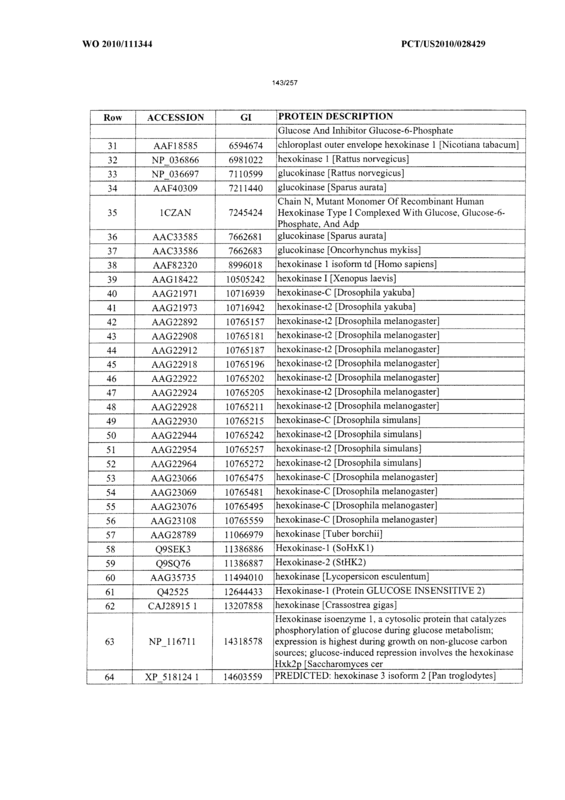 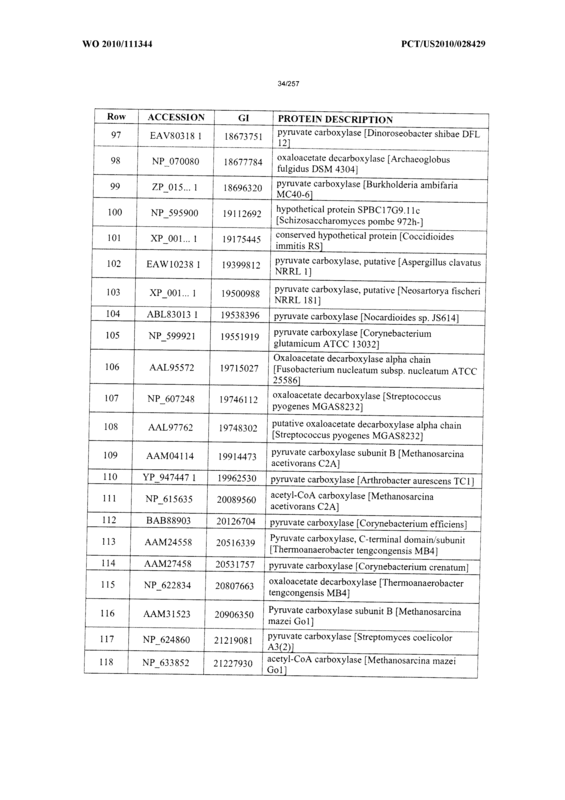 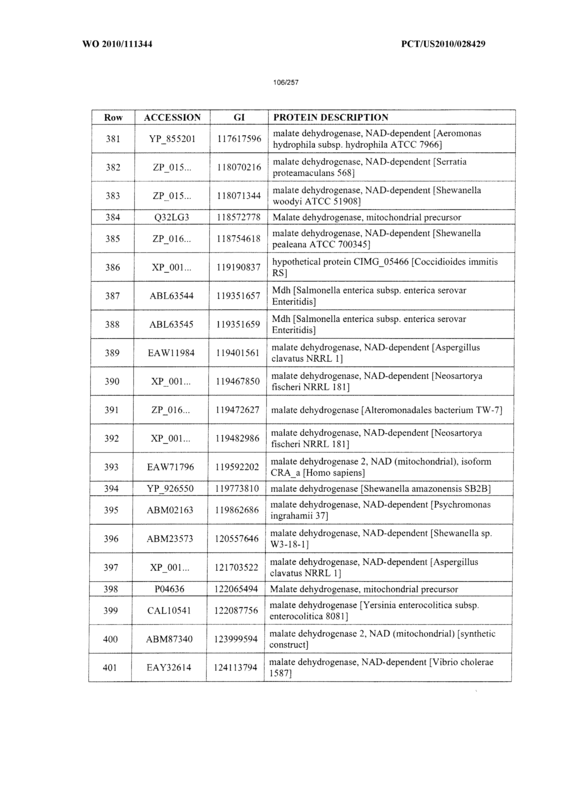 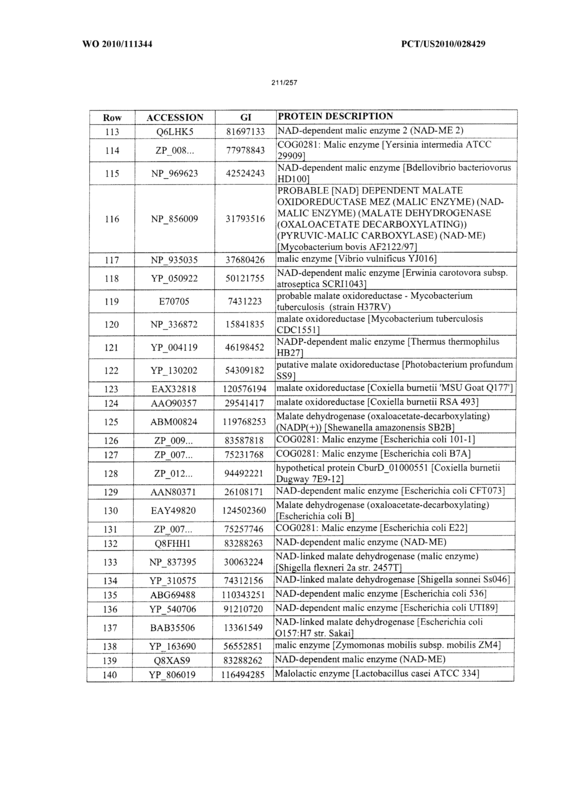 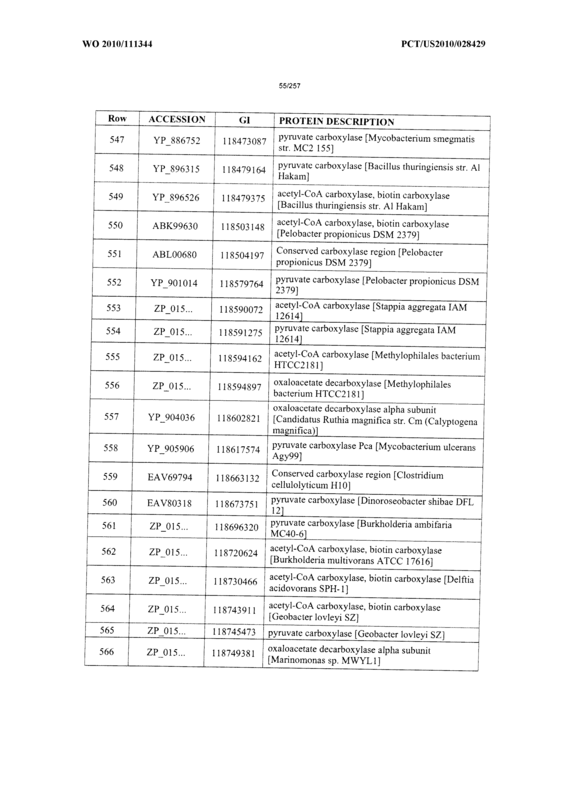 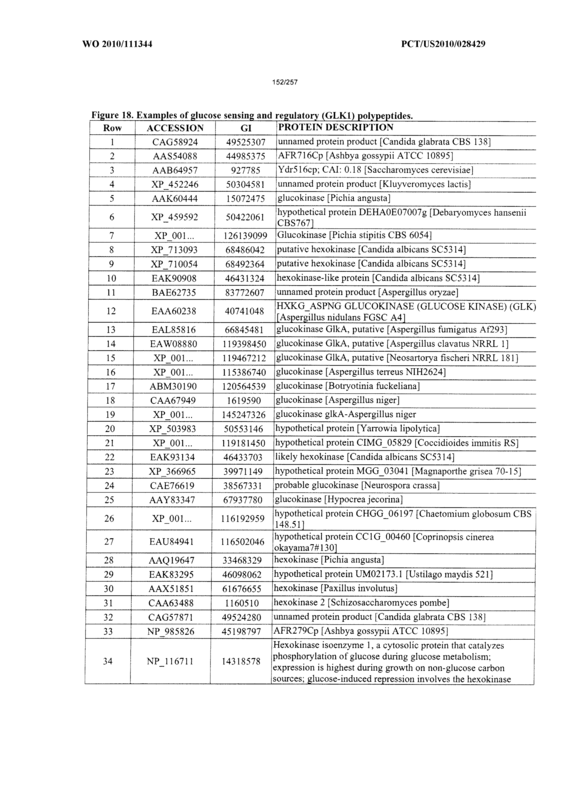 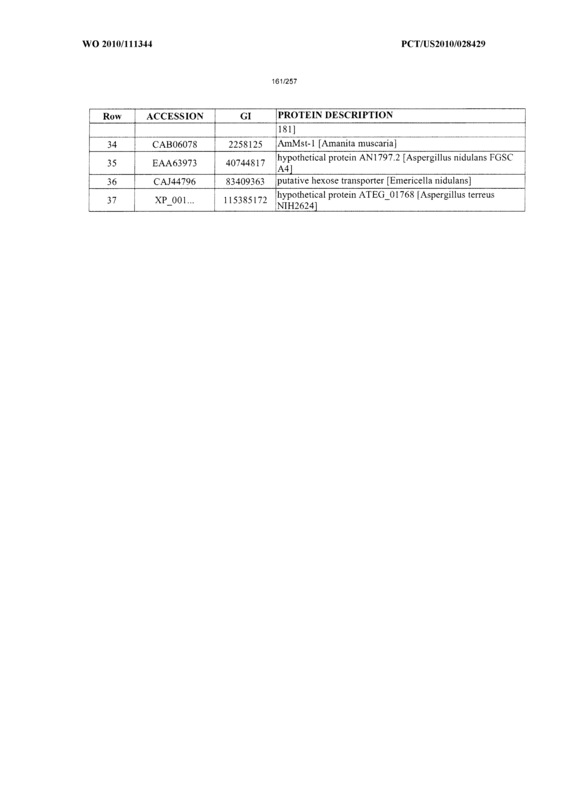 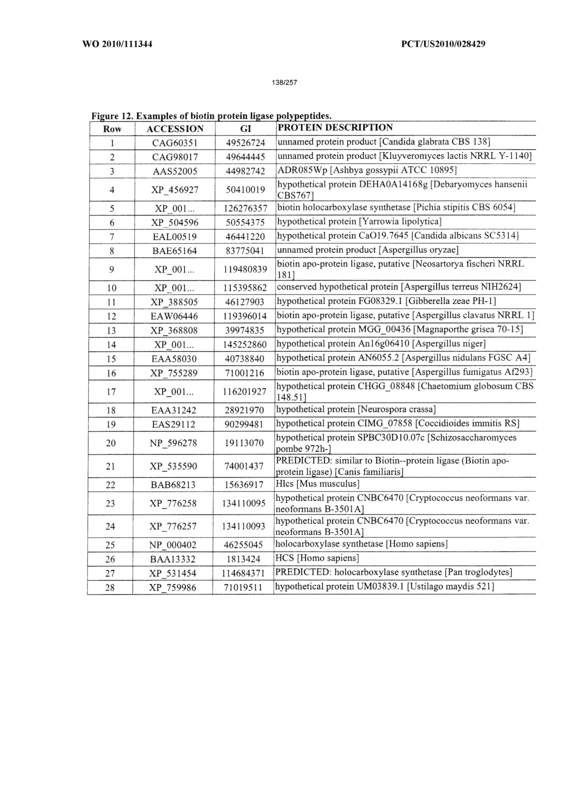 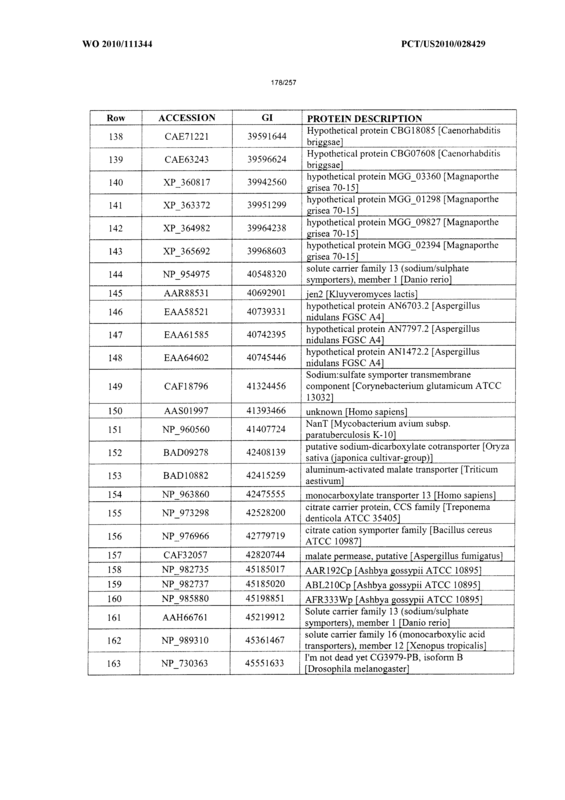 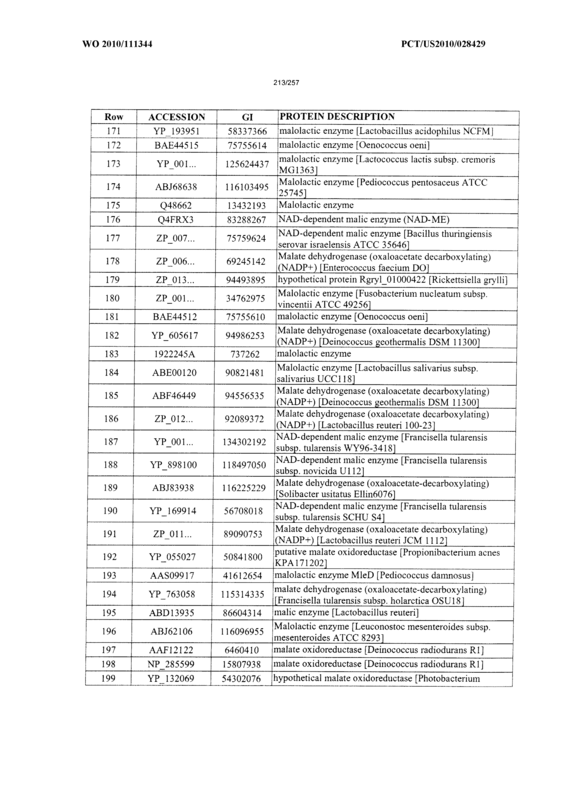 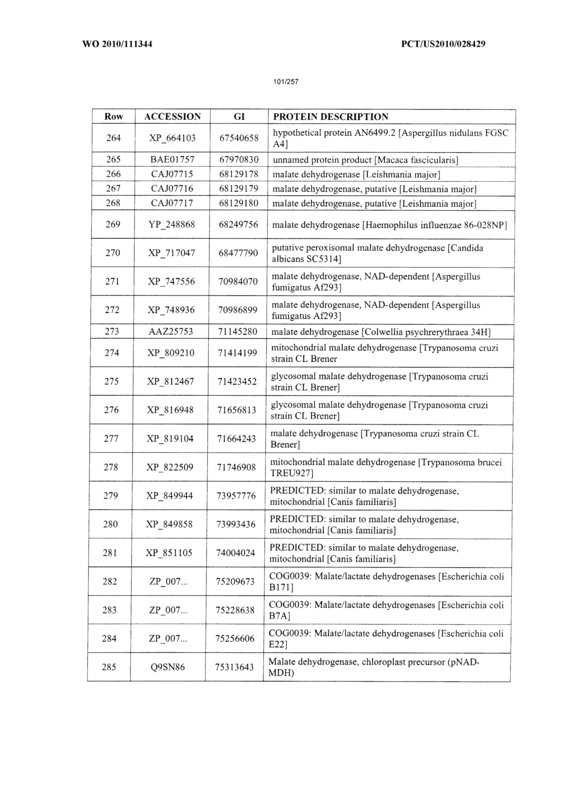 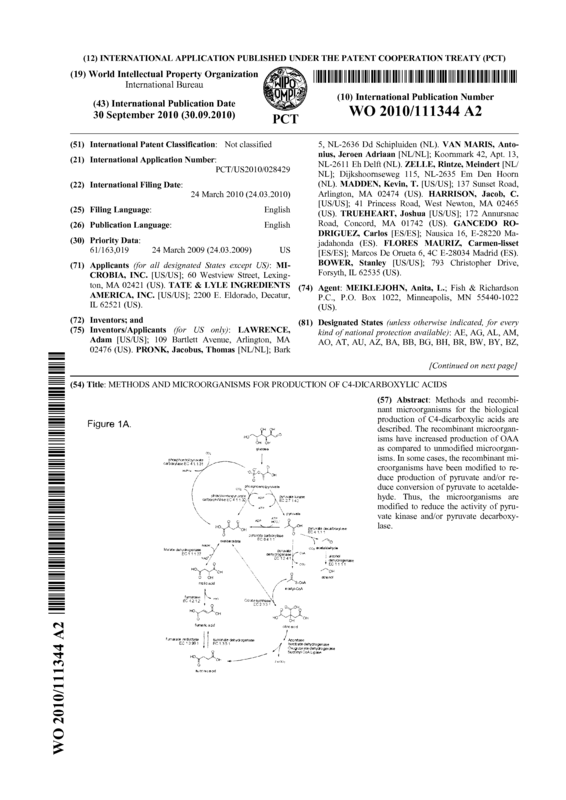 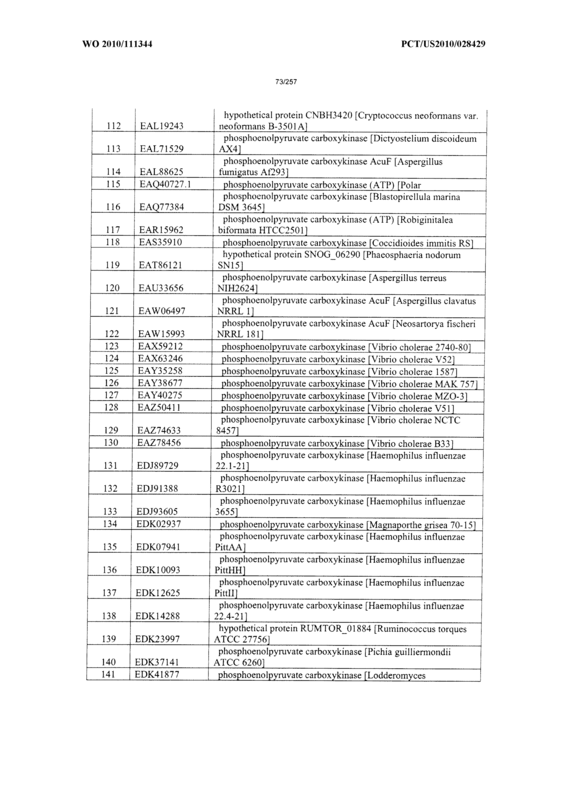 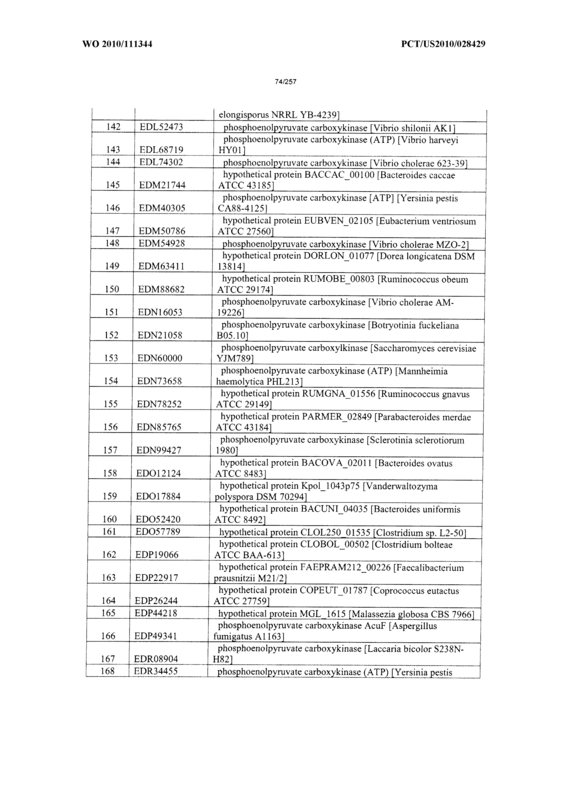 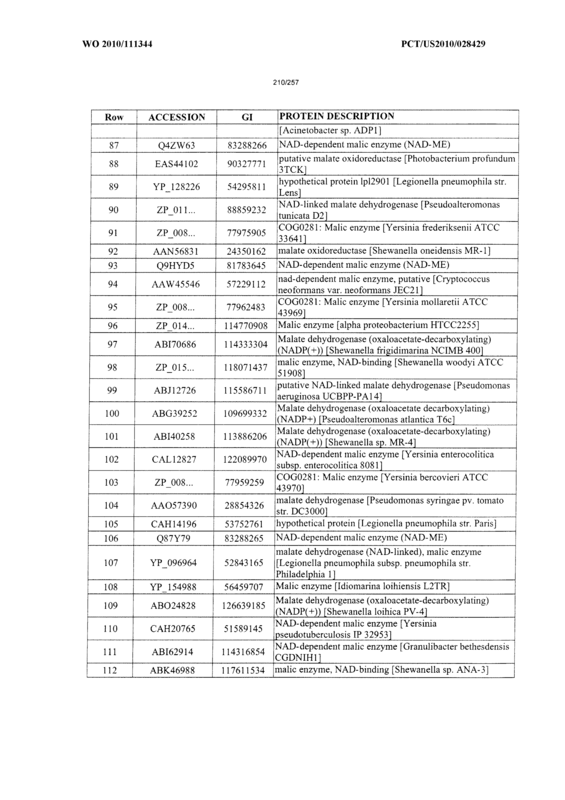 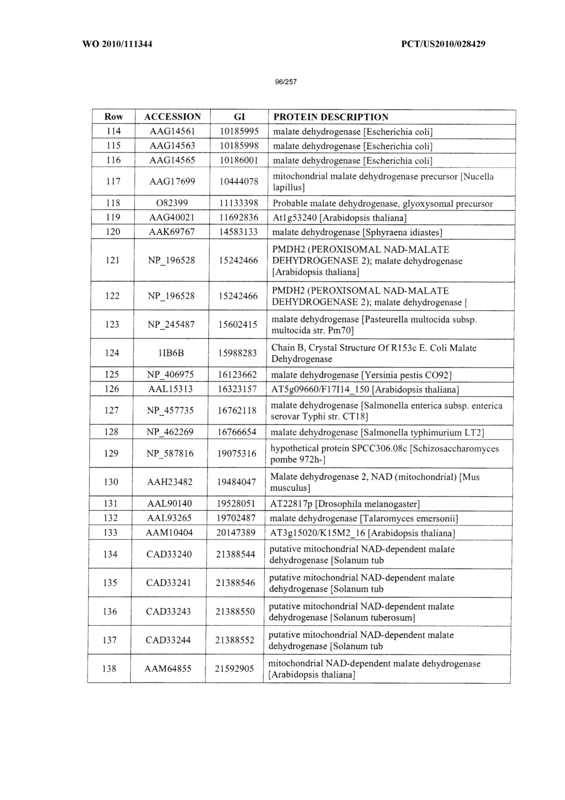 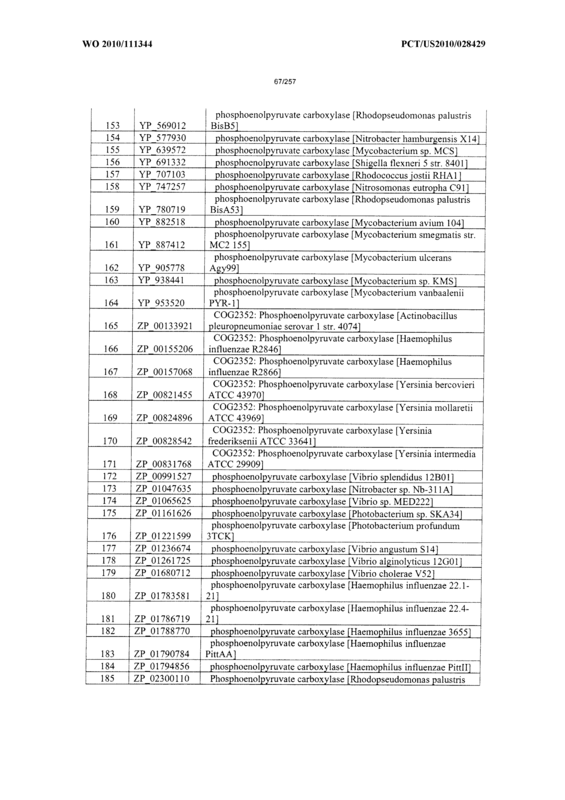 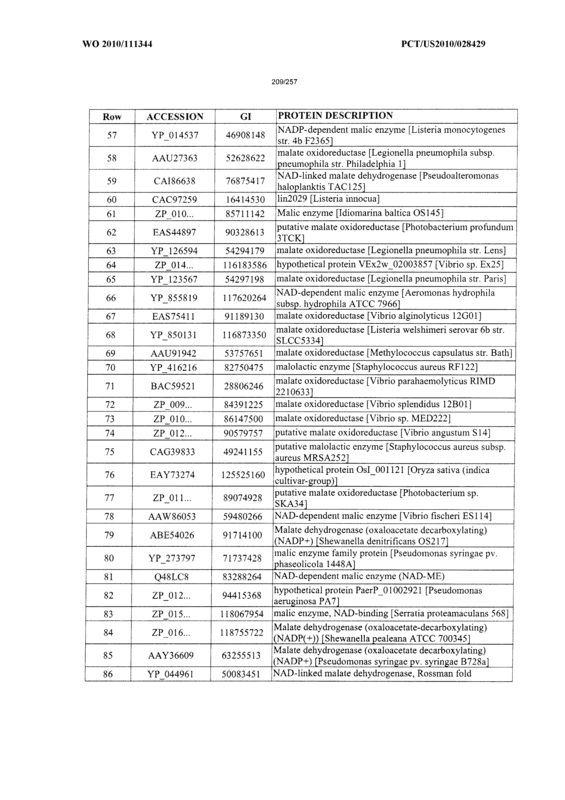 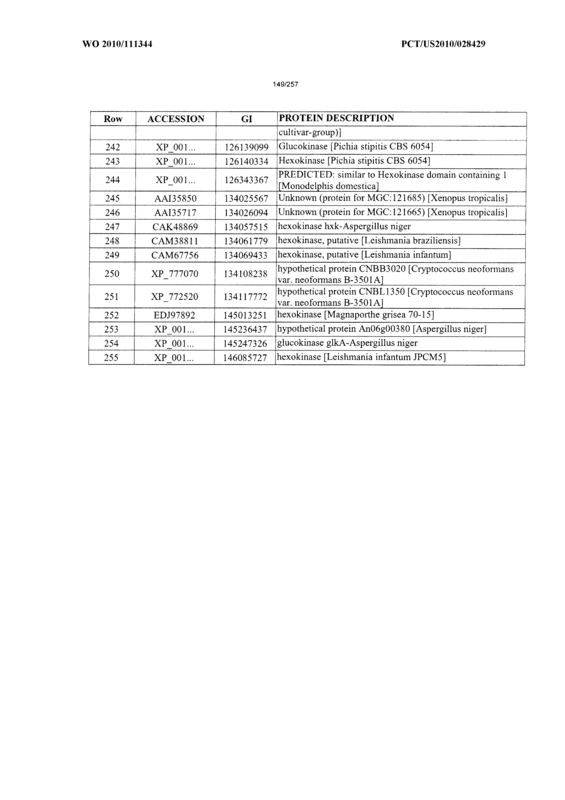 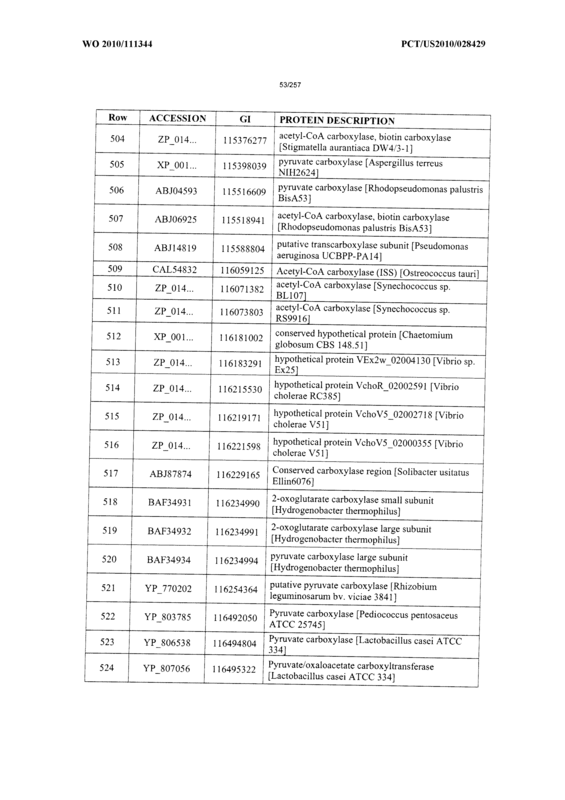 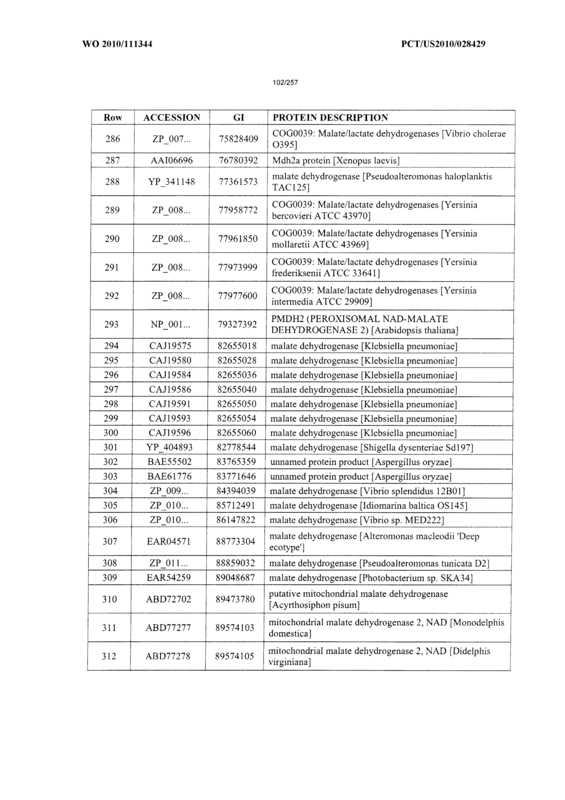 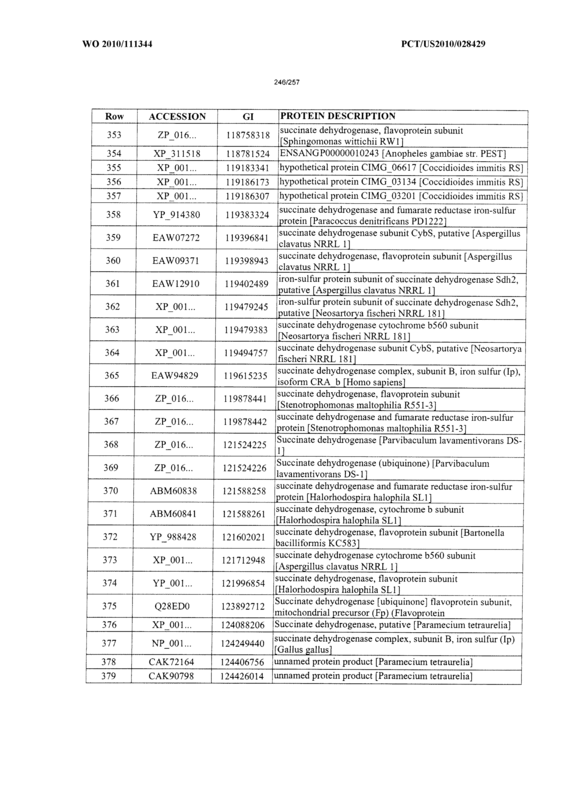 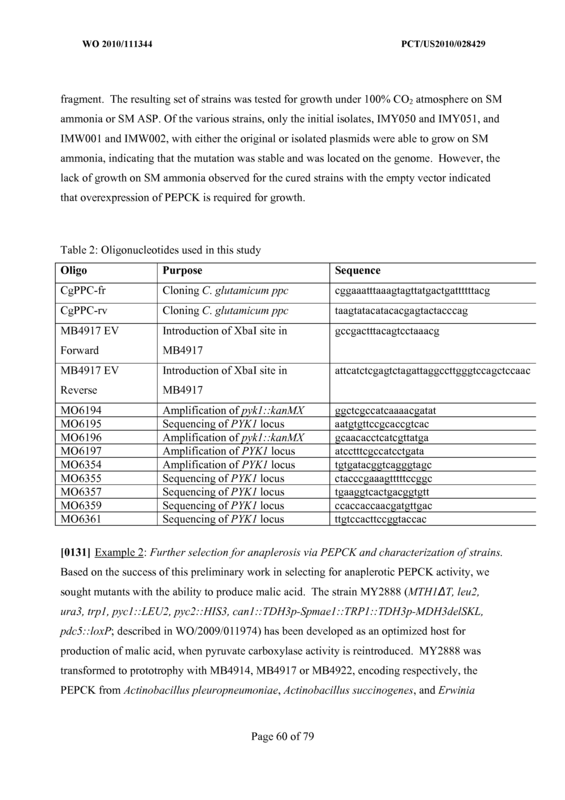 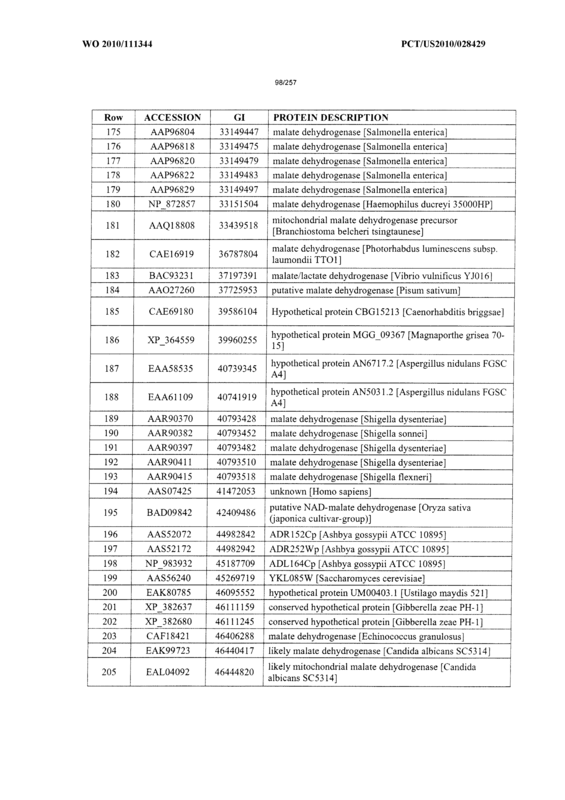 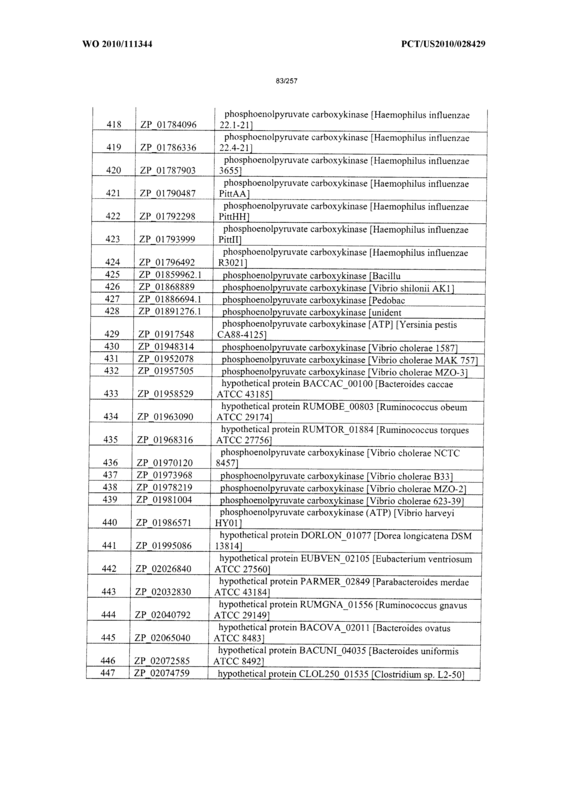 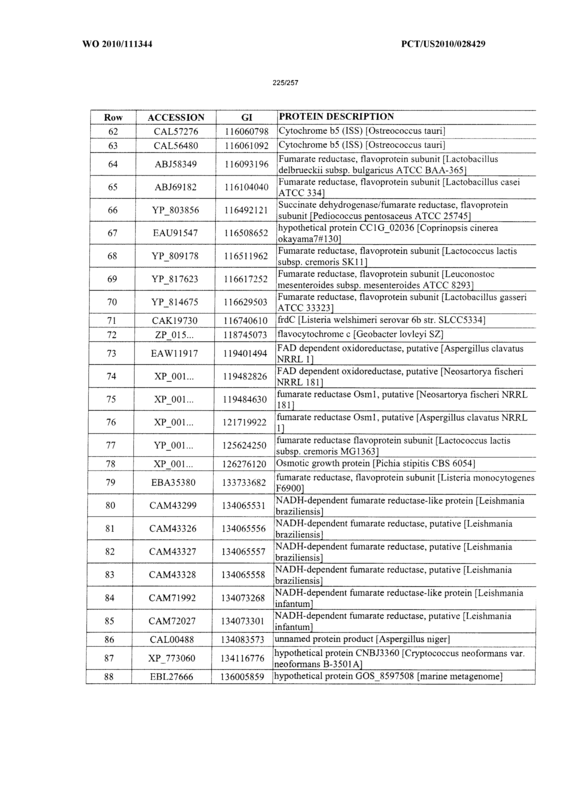 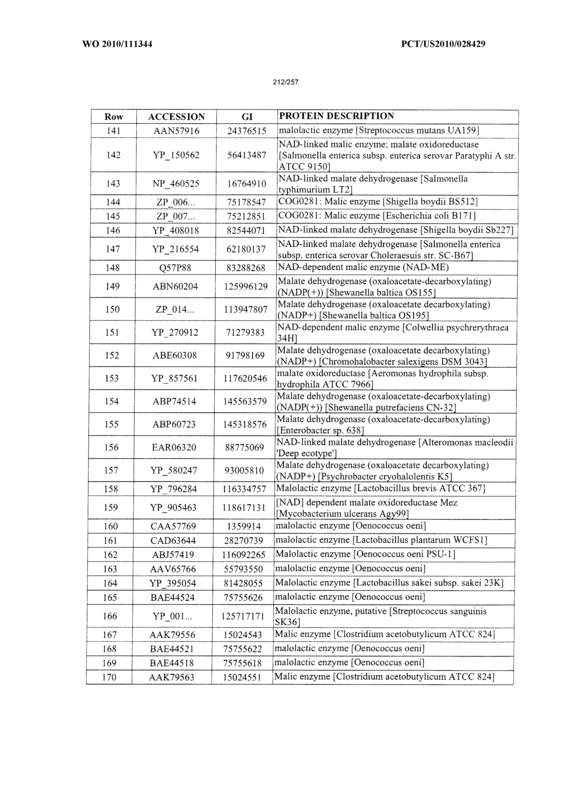 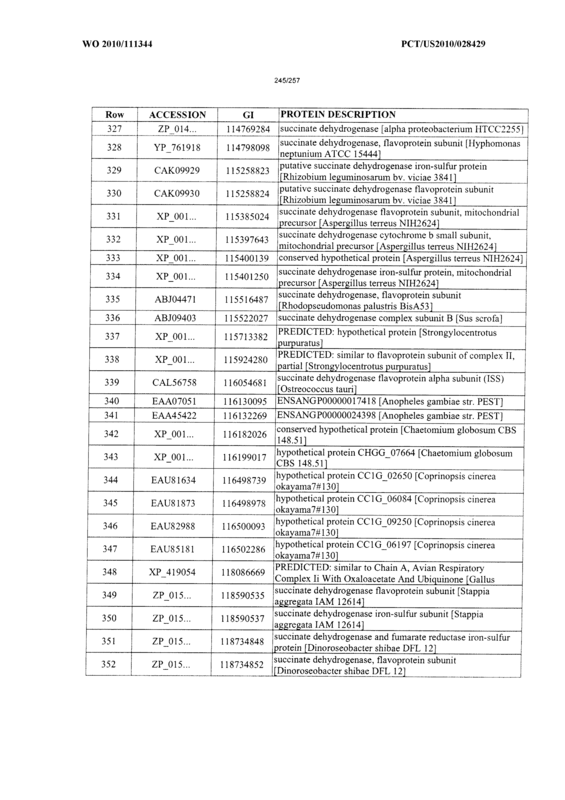 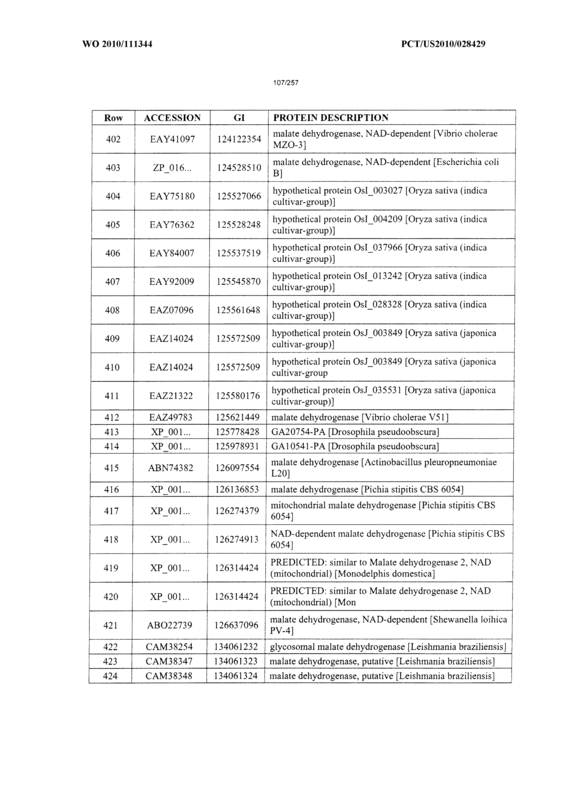 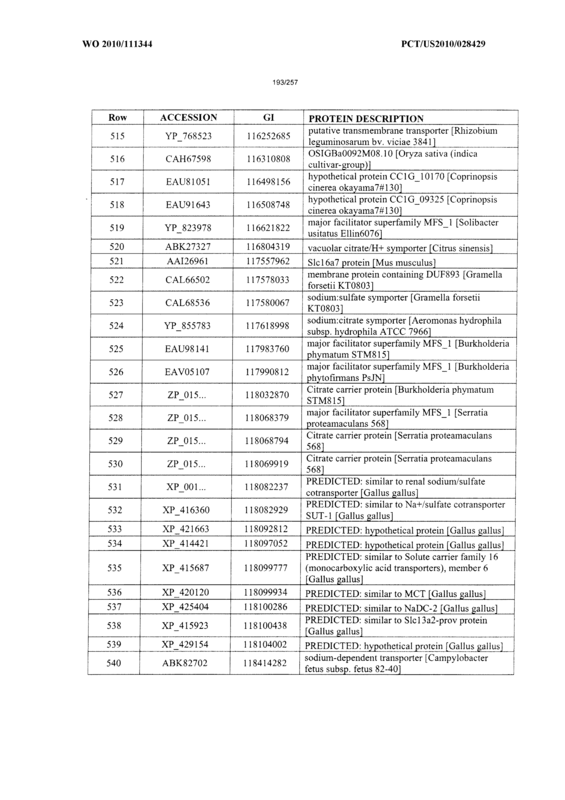 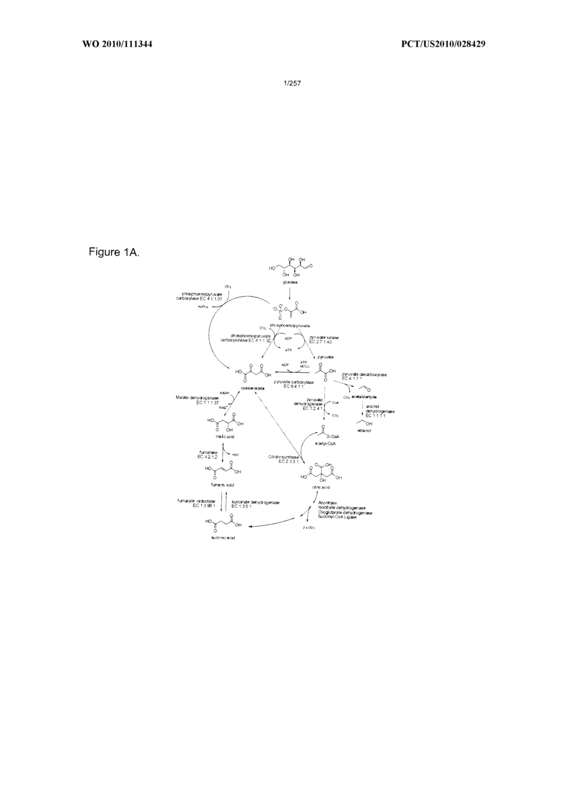 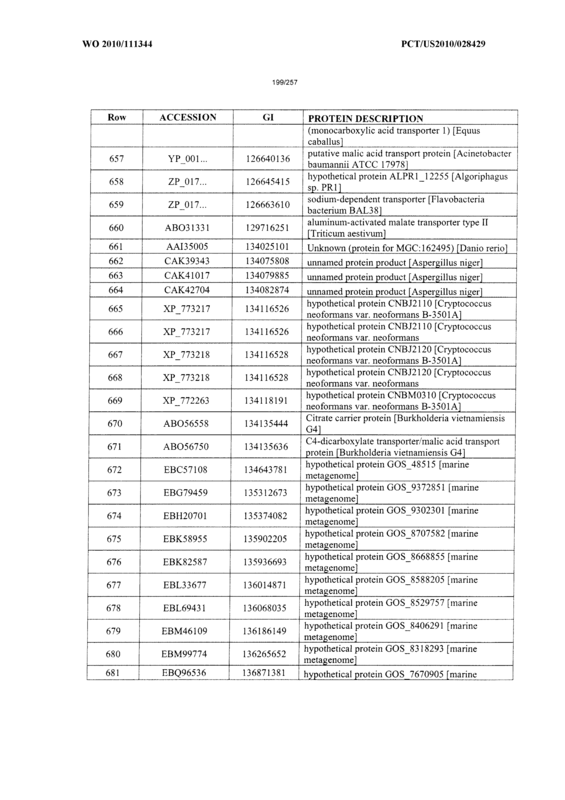 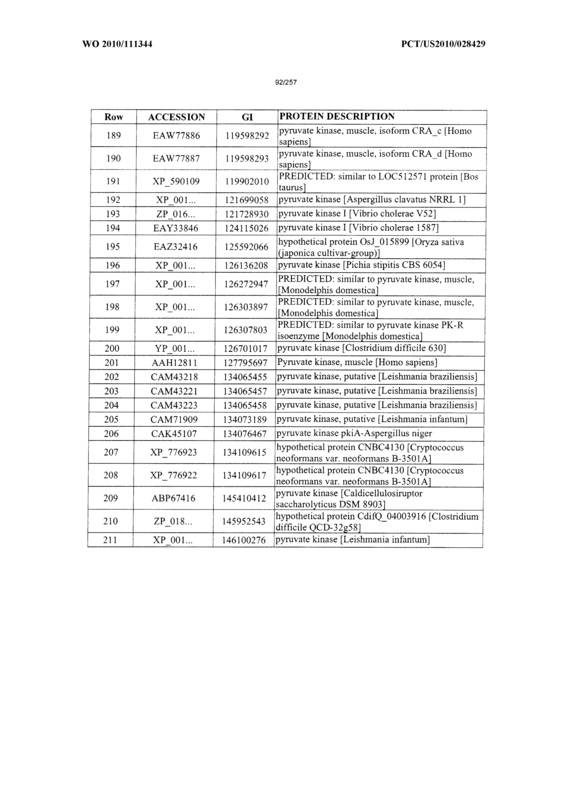 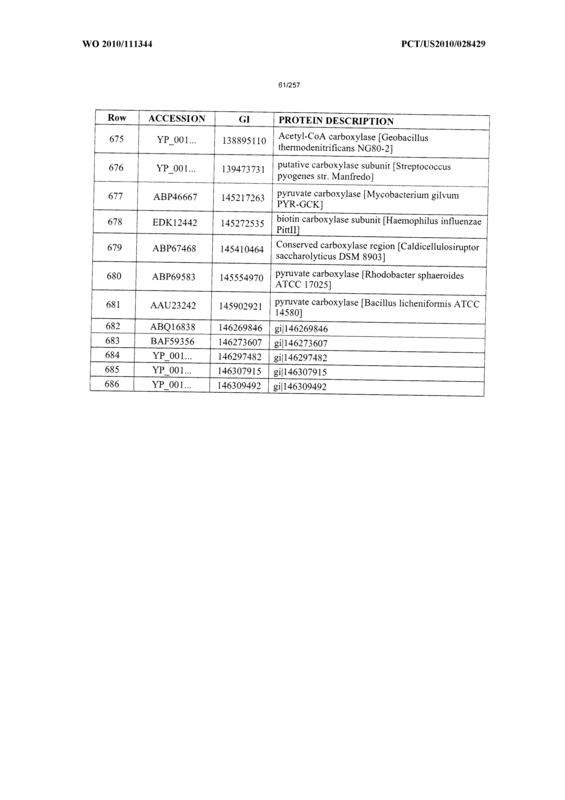 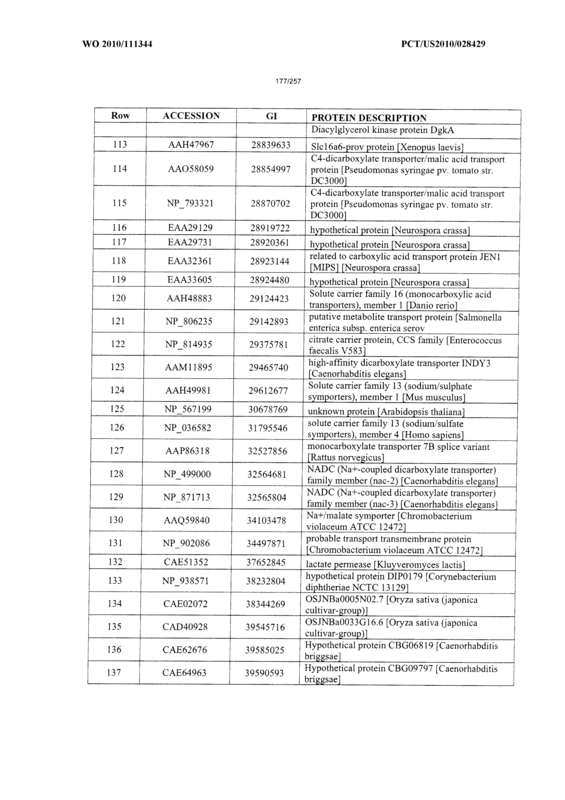 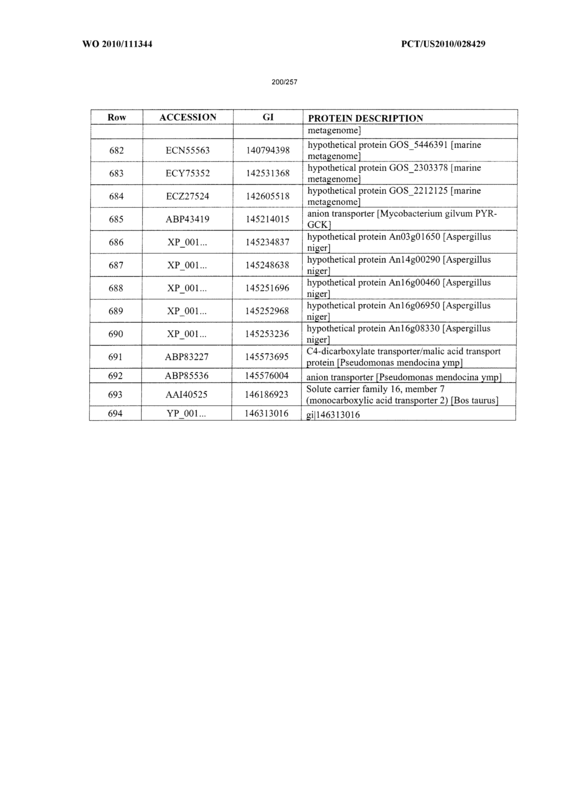 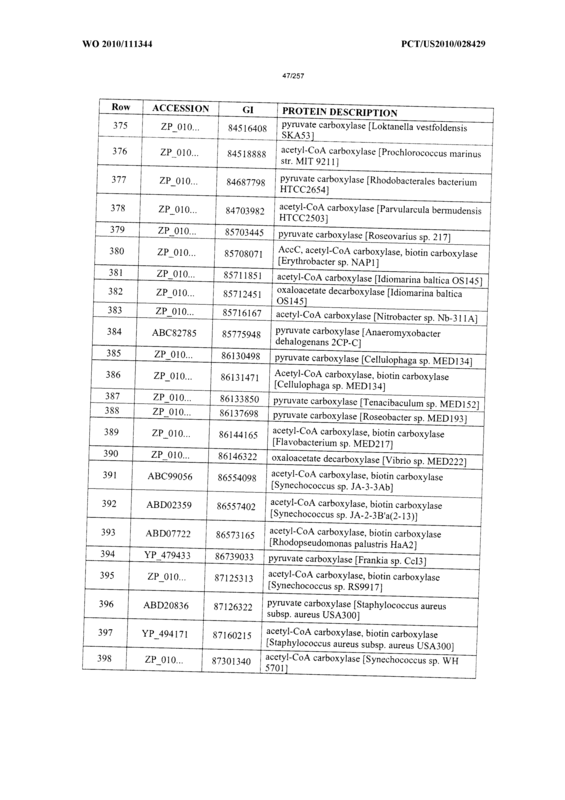 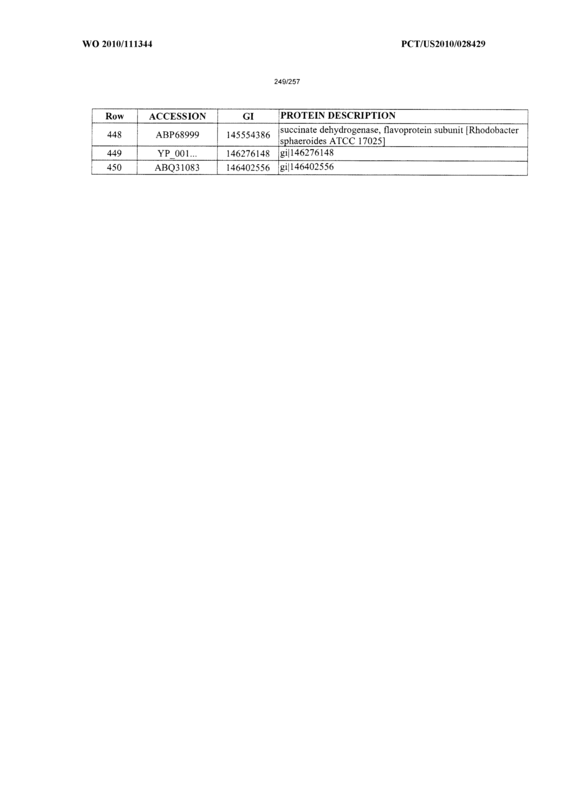 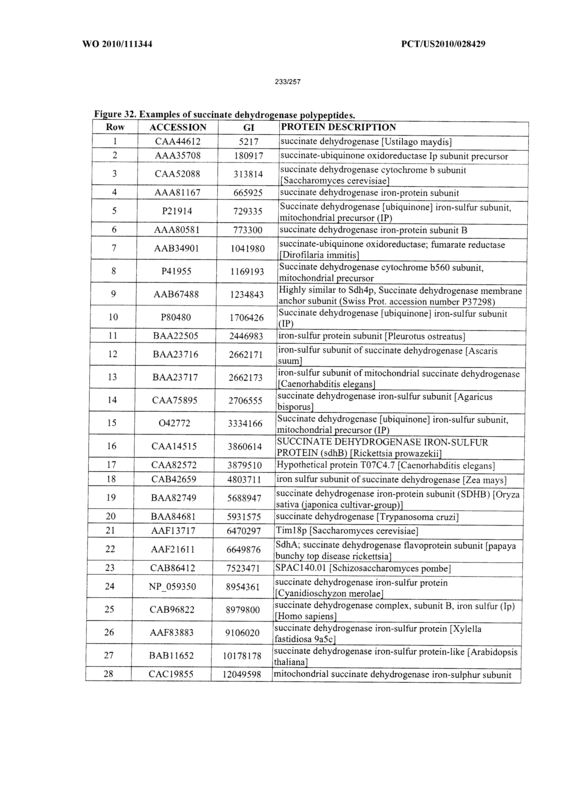 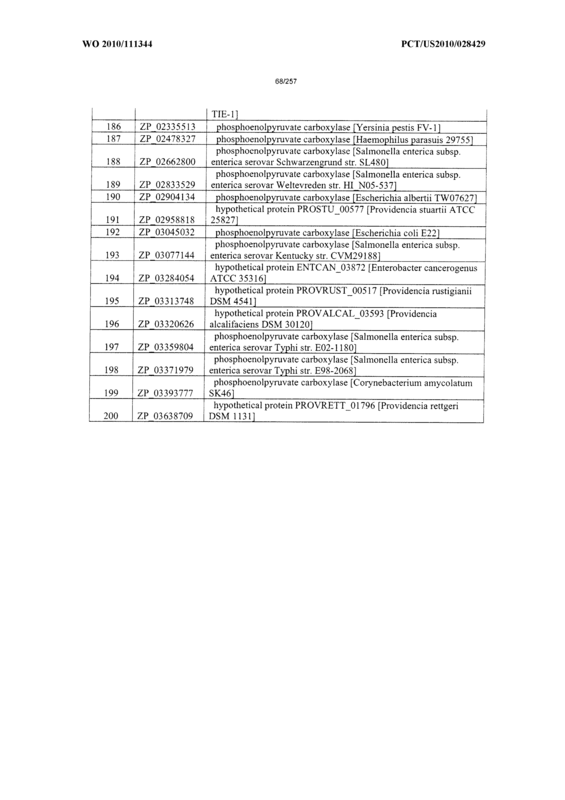 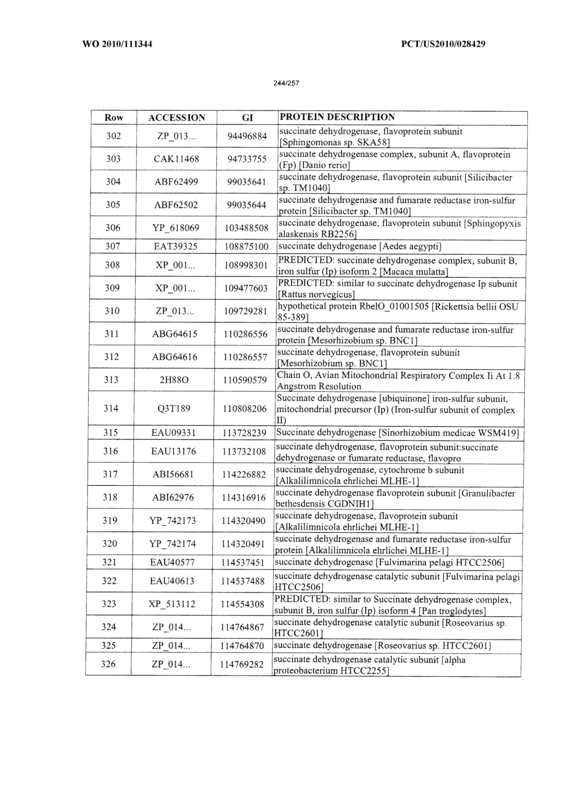 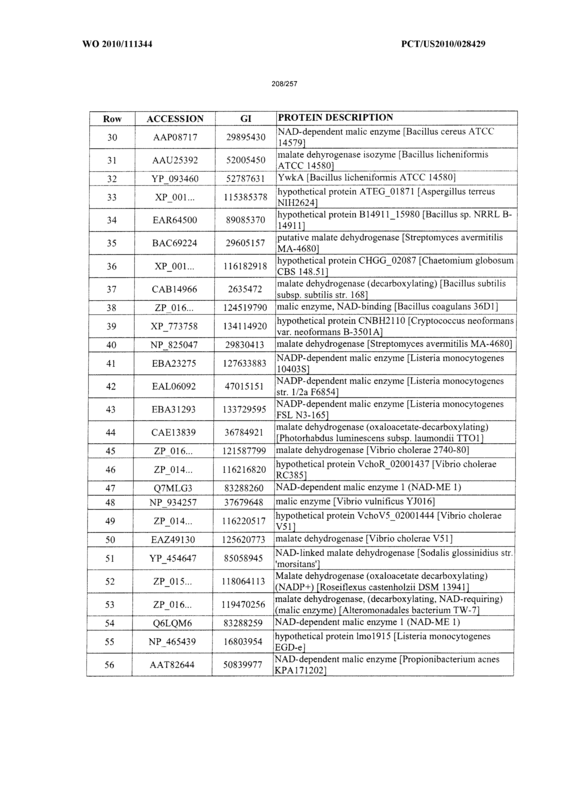 The recombinant fungal cell of claim 6, wherein the modification to increase or decrease glucose sensing and regulatory polypeptide activity comprises at least one modification selected from the group consisting of modifications to increase or decrease SNFl, MIGl, MIG2, HXK2, RGTl, SNF3, RGT2, STDl, MTHl, GRRl, YCKl, HXKl, and GLKl polypeptide activity. 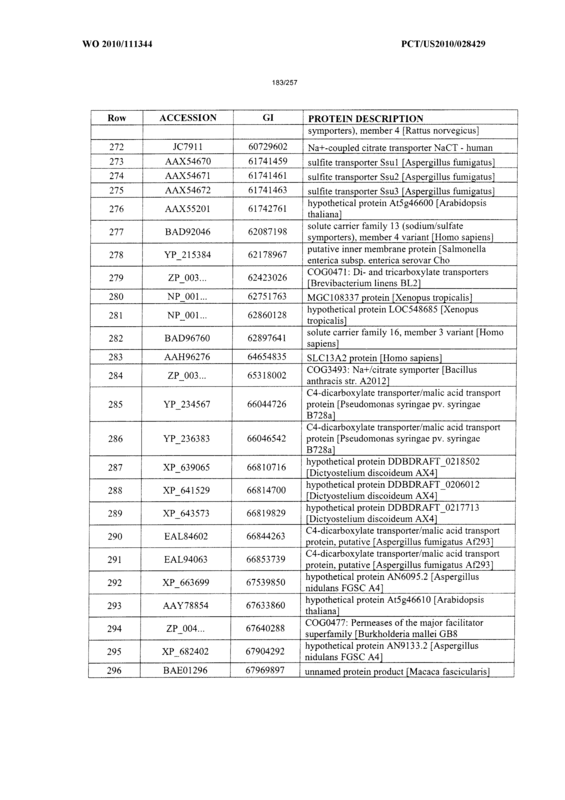 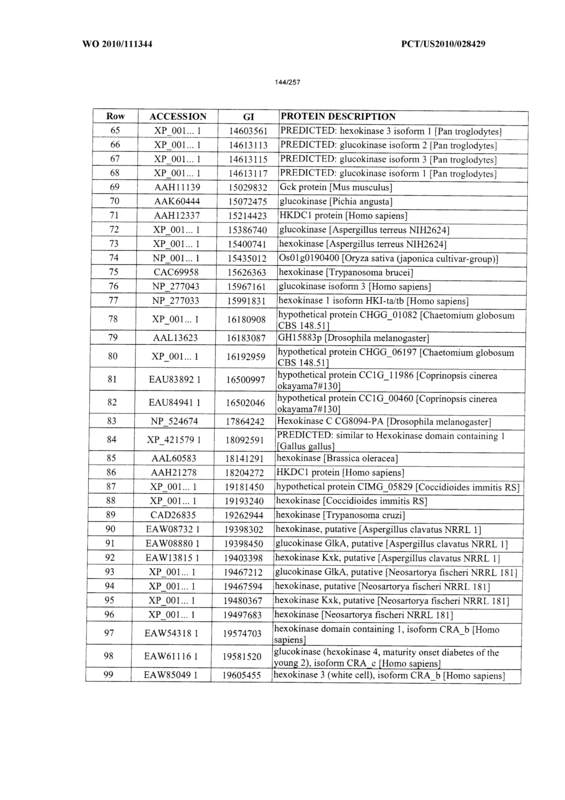 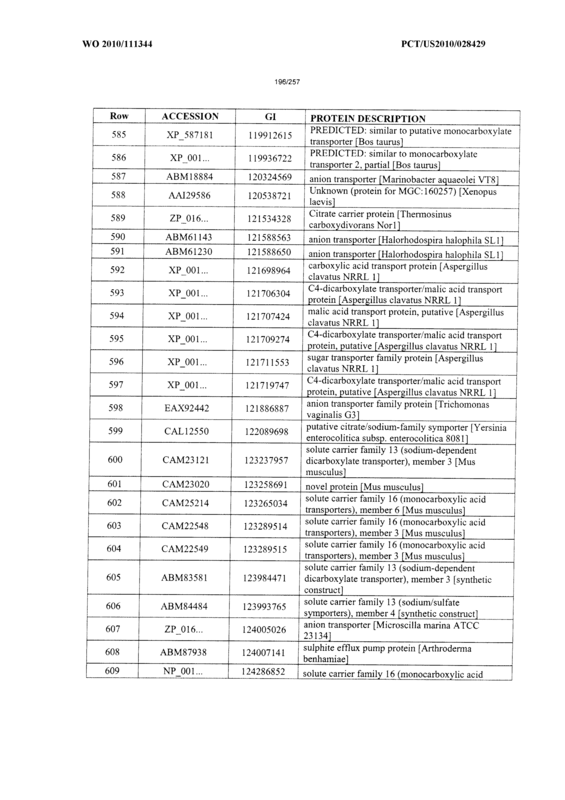 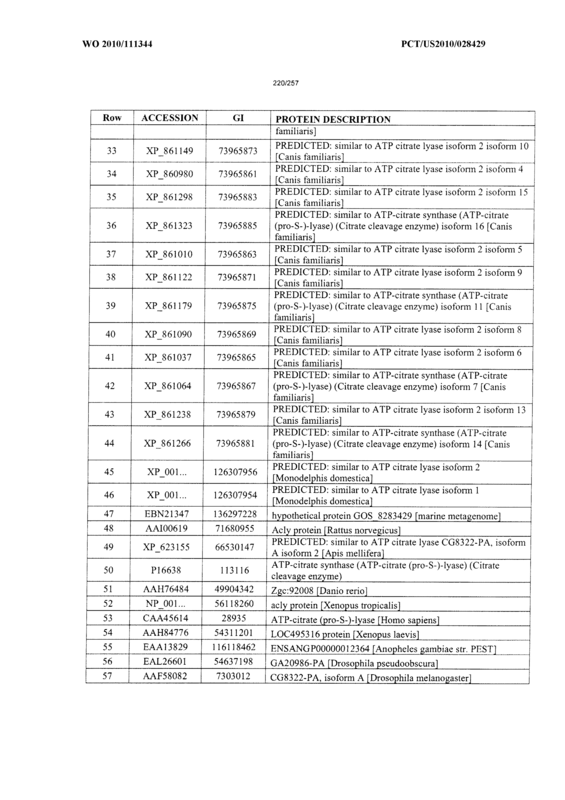 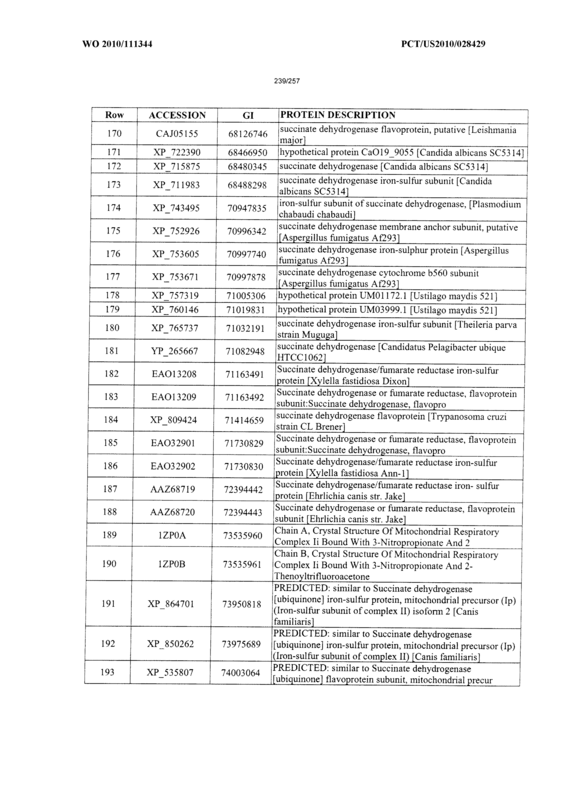 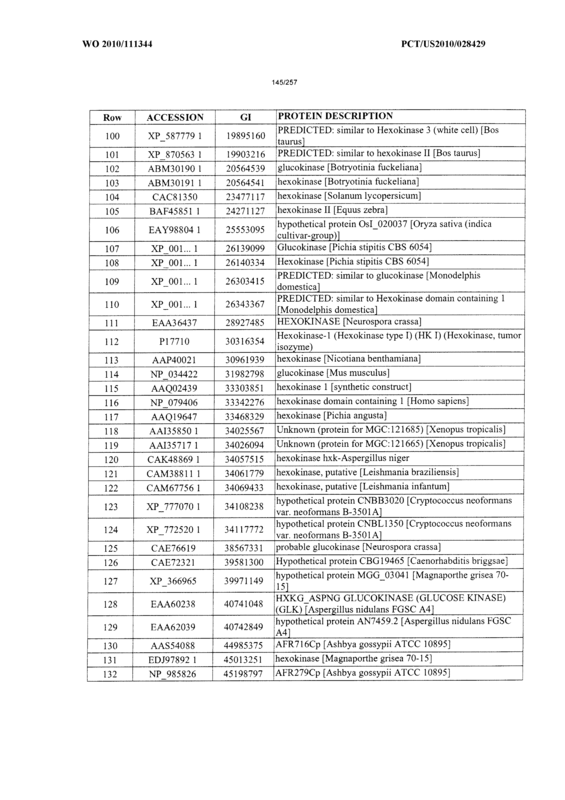 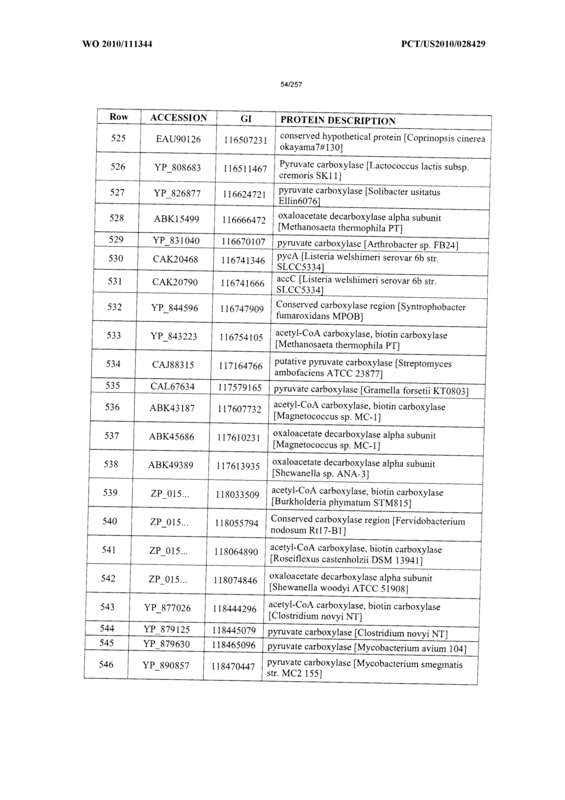 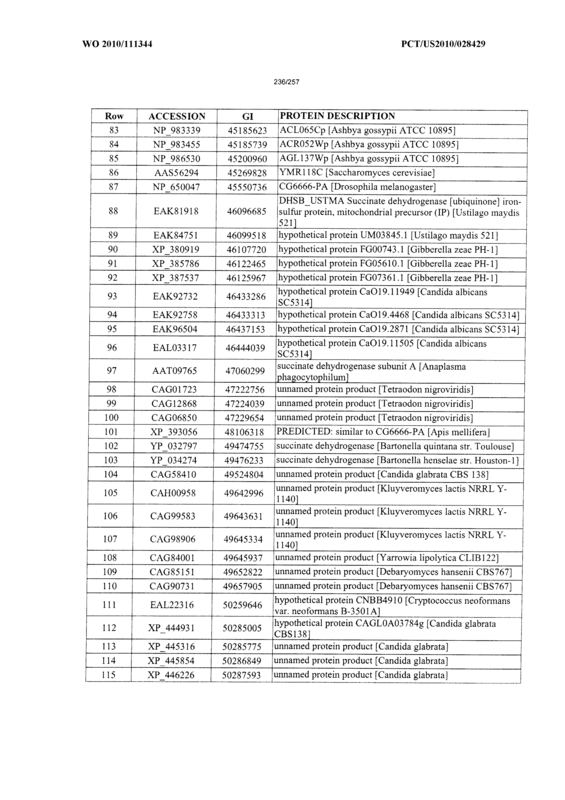 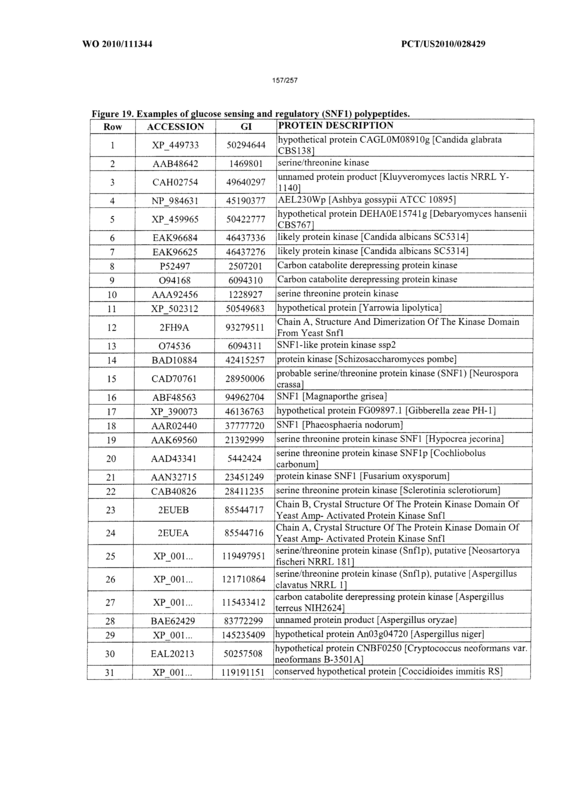 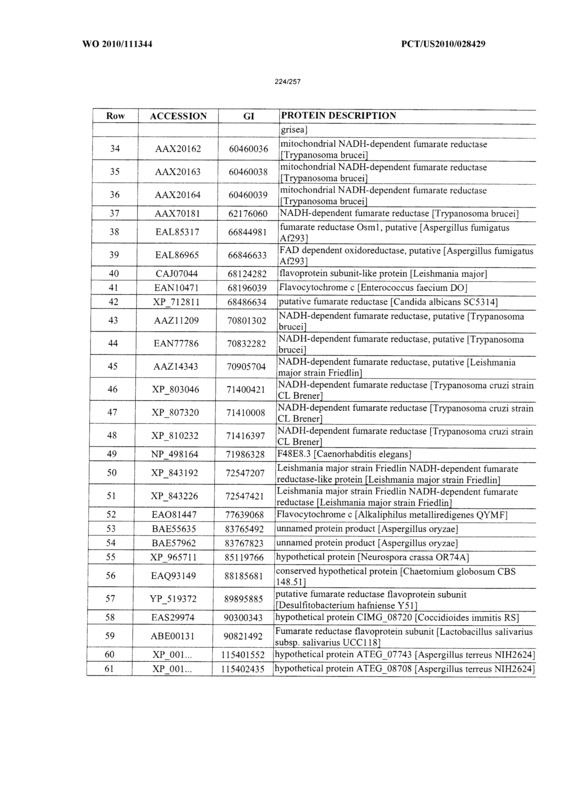 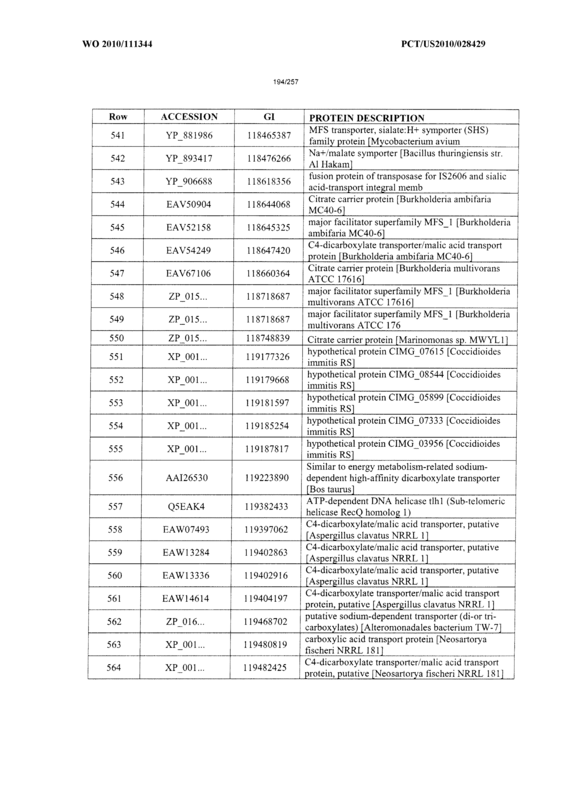 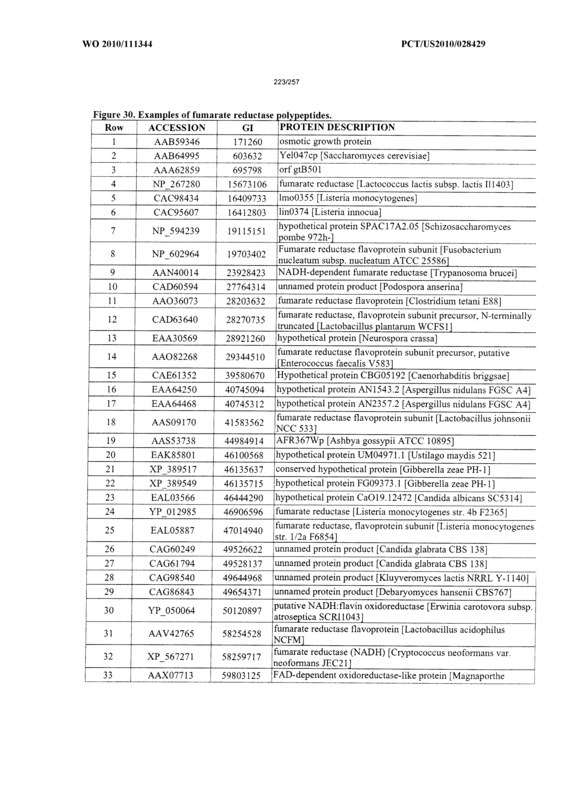 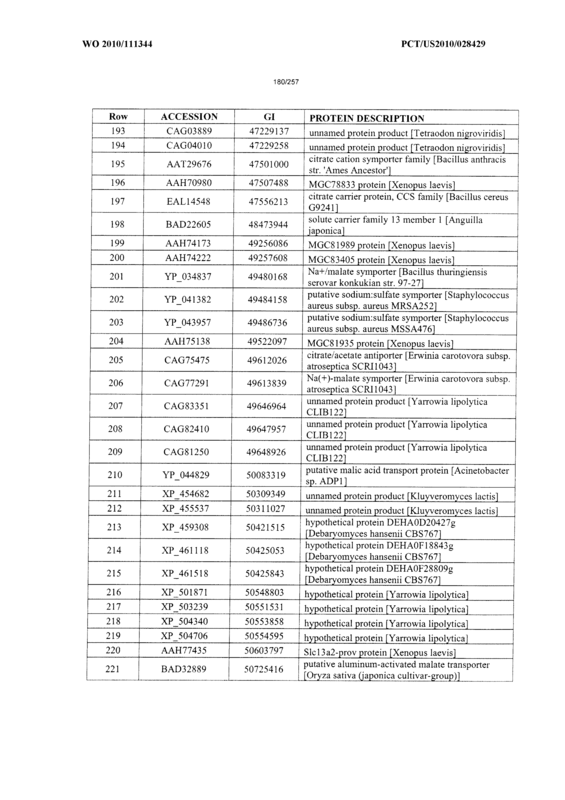 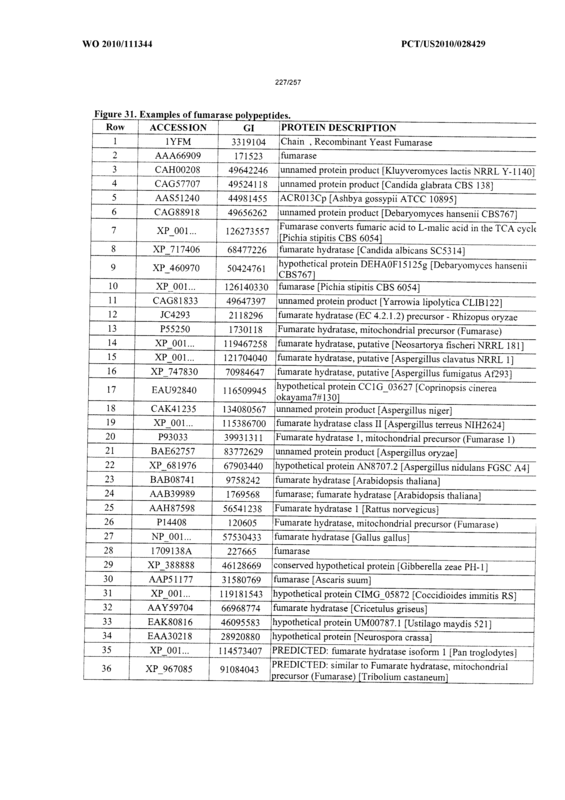 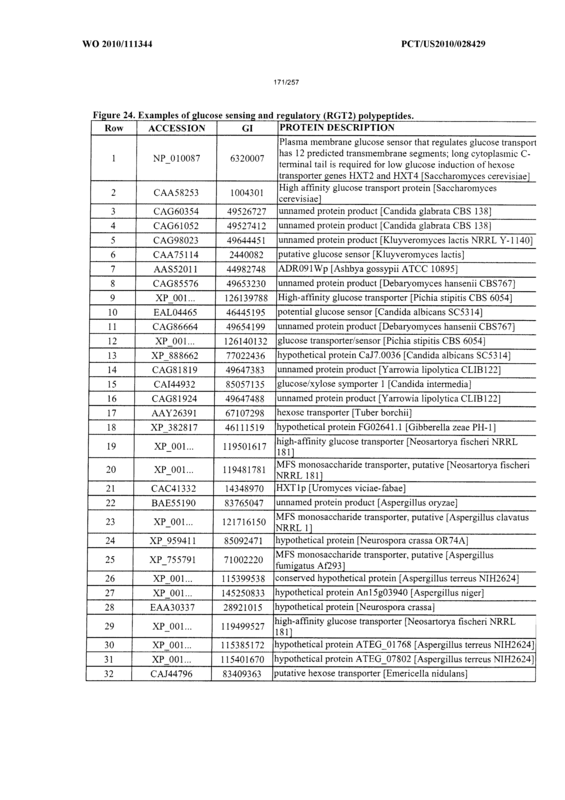 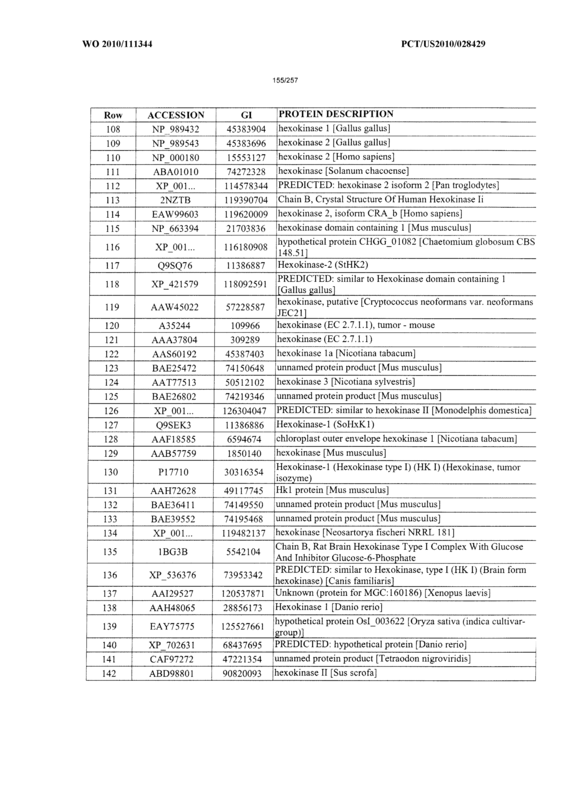 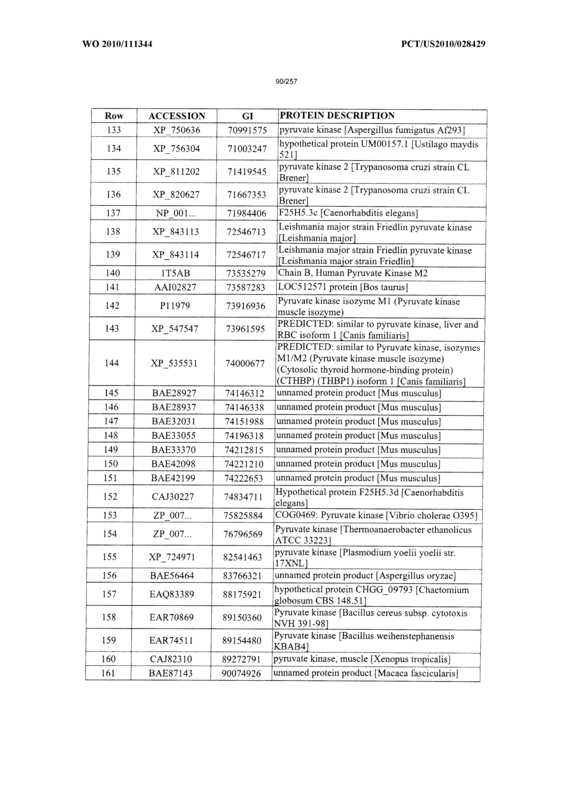 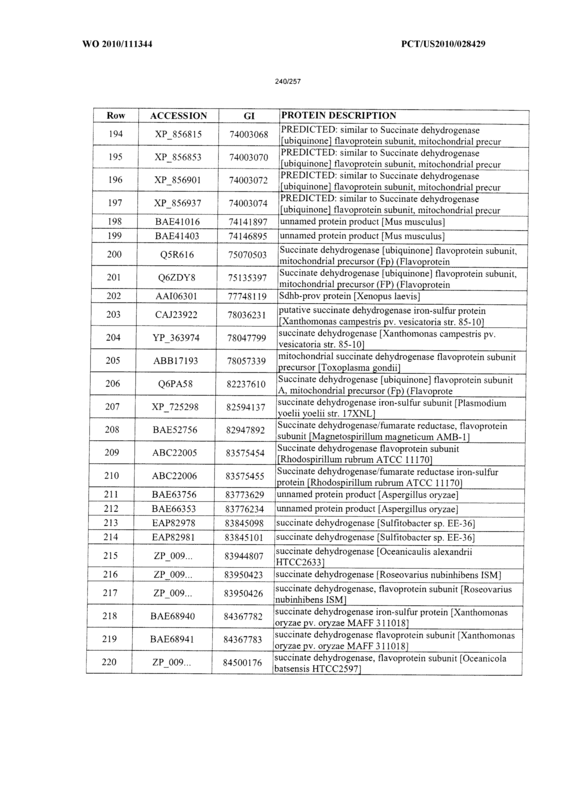 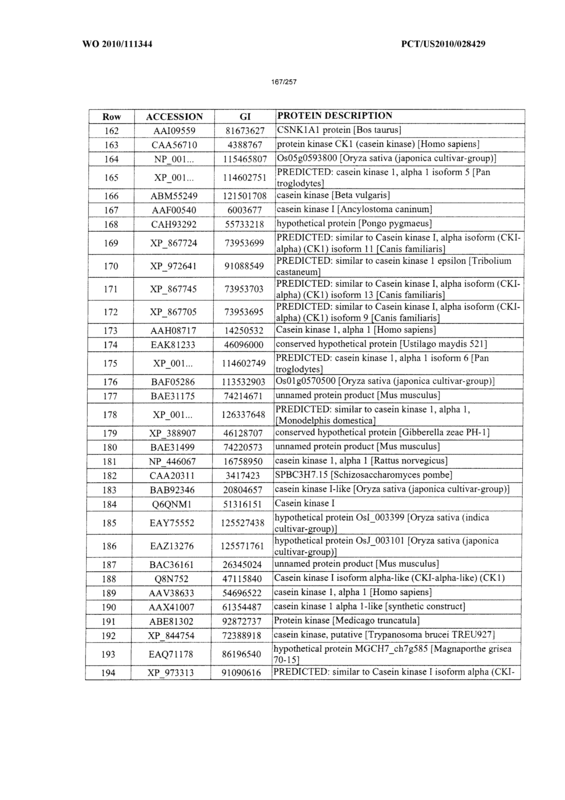 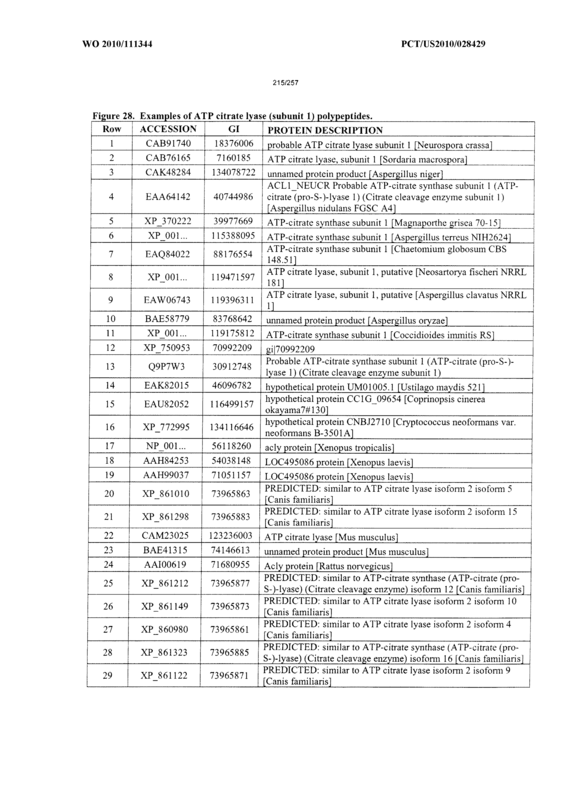 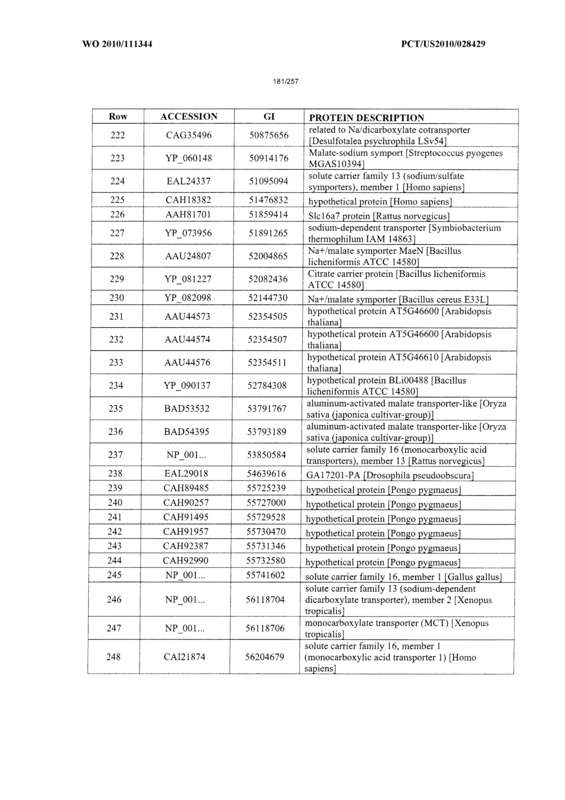 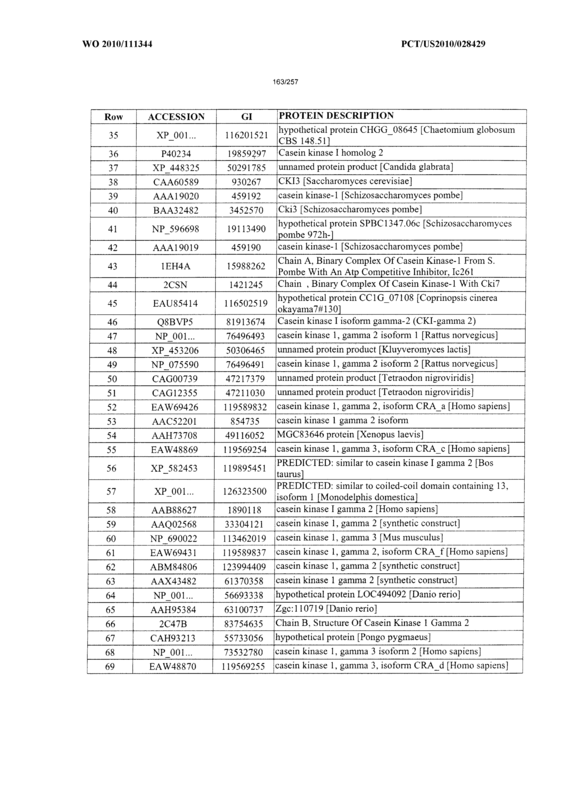 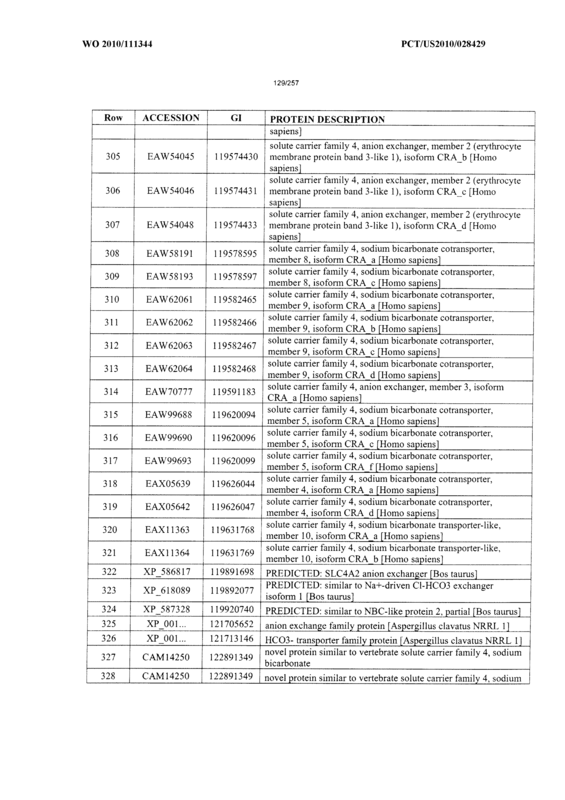 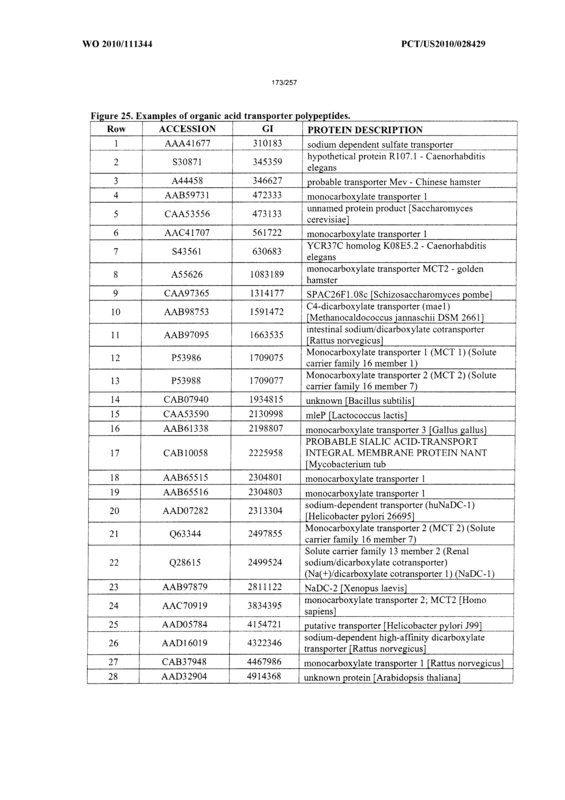 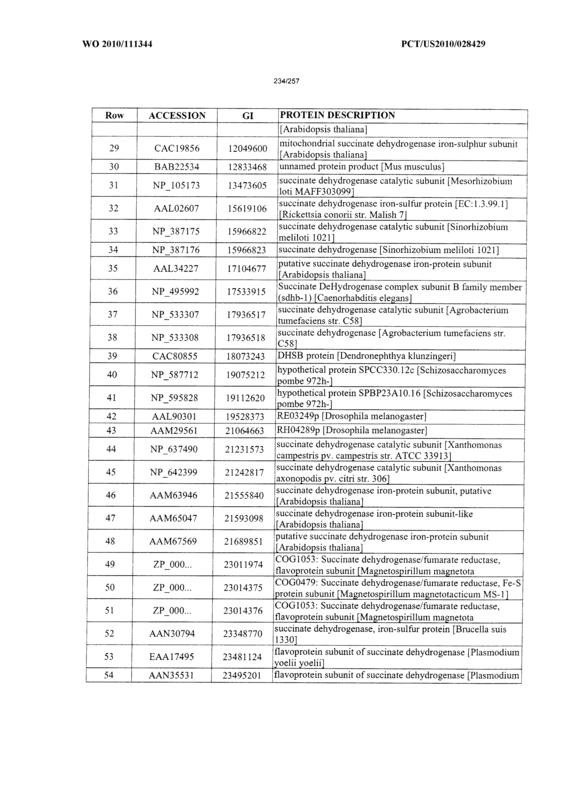 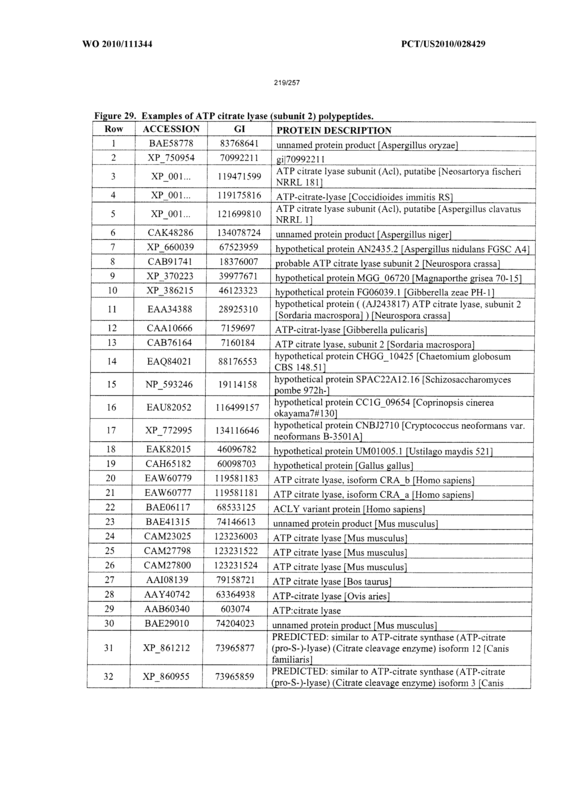 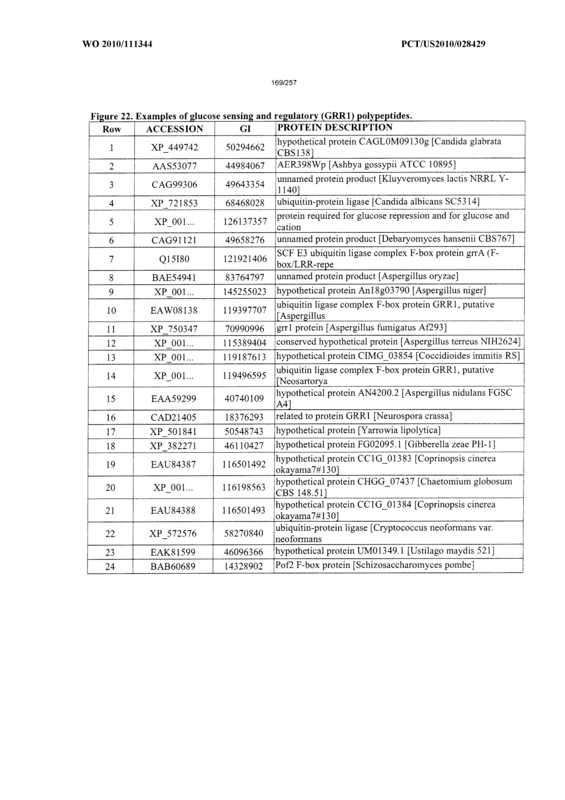 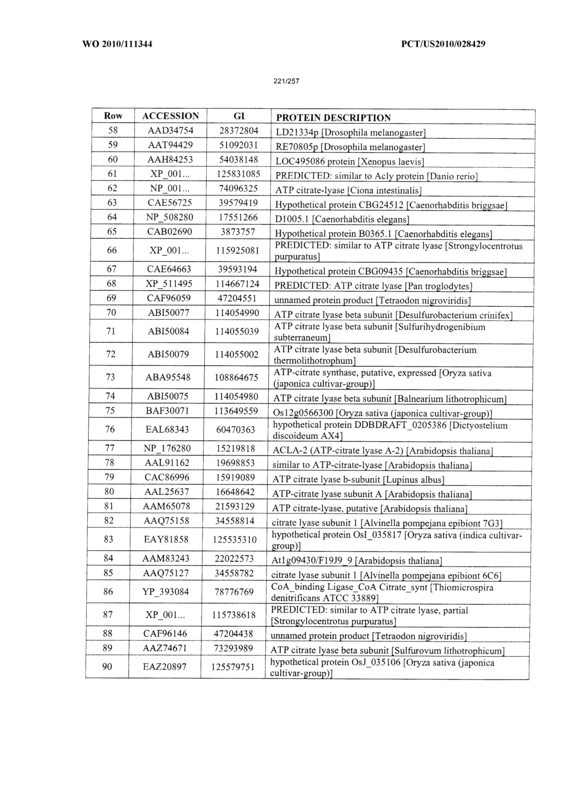 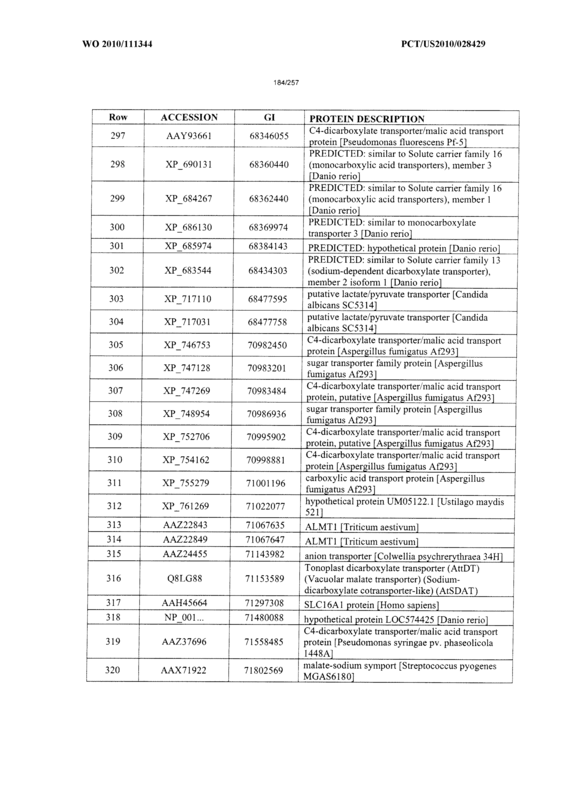 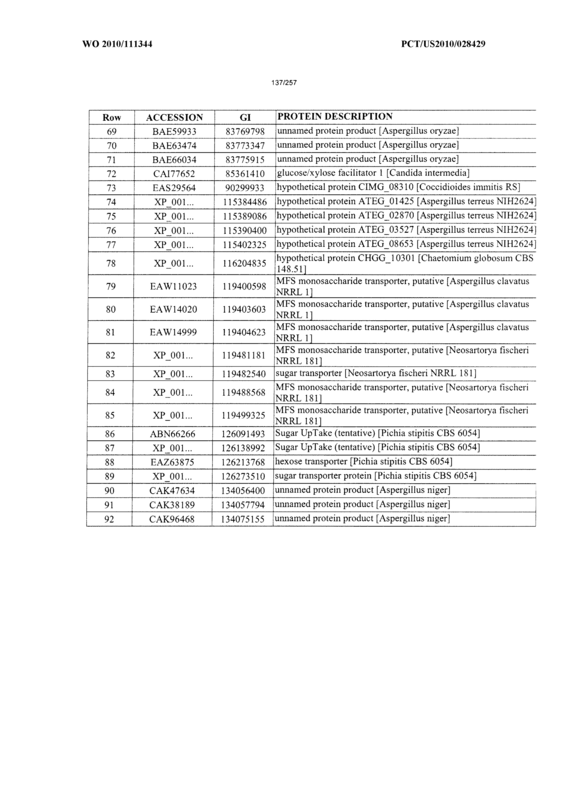 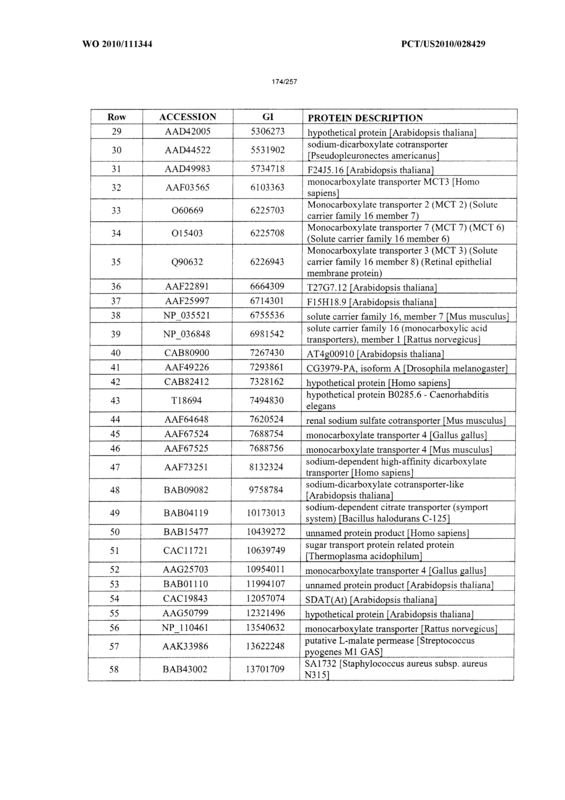 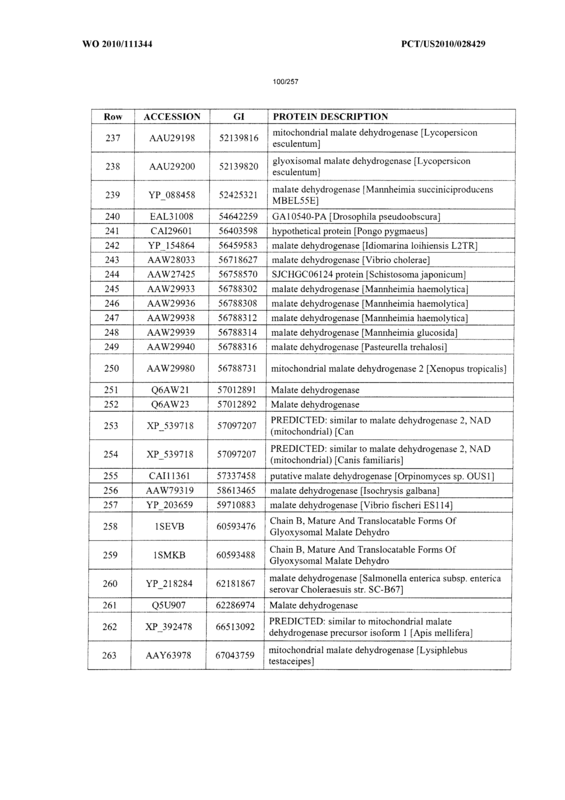 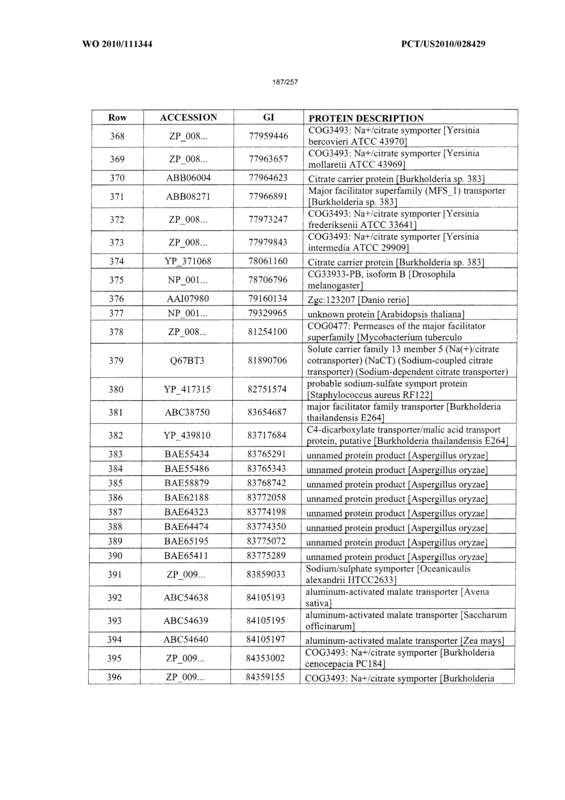 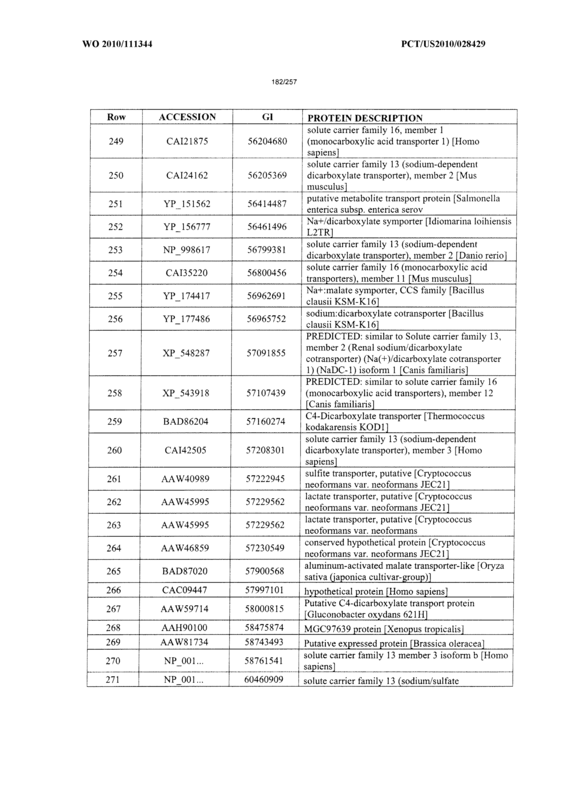 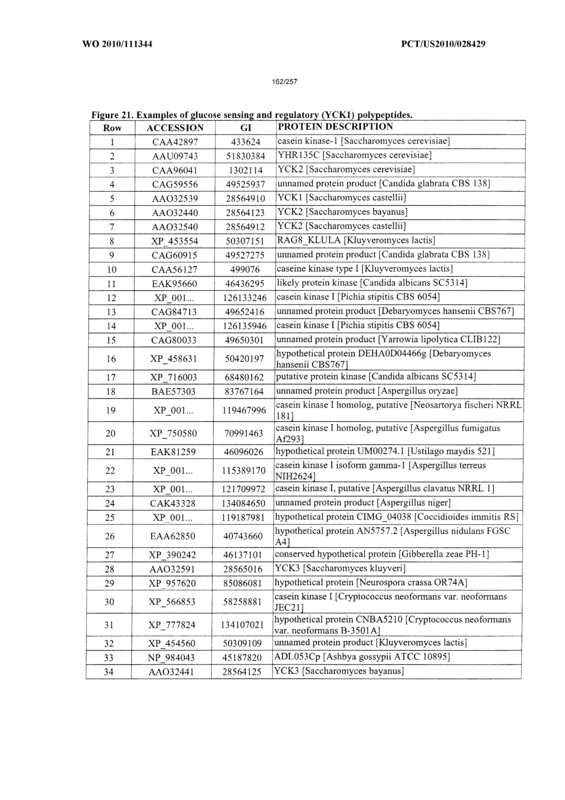 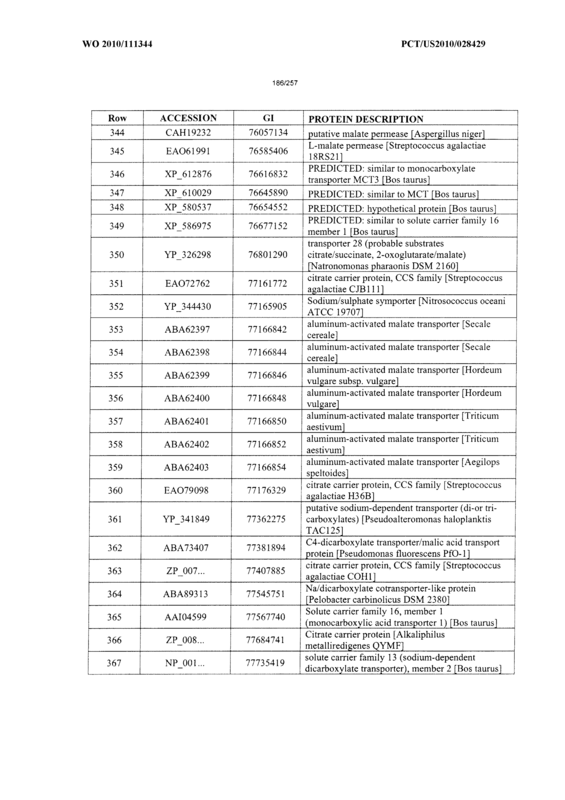 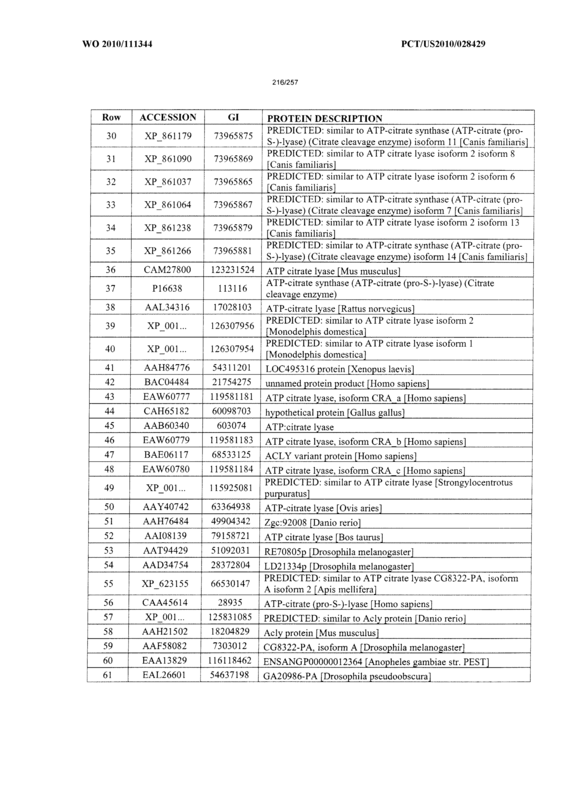 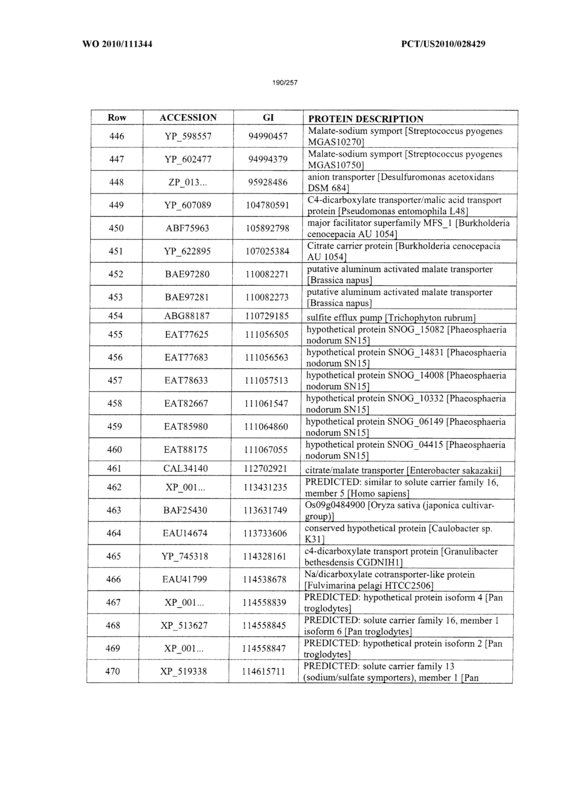 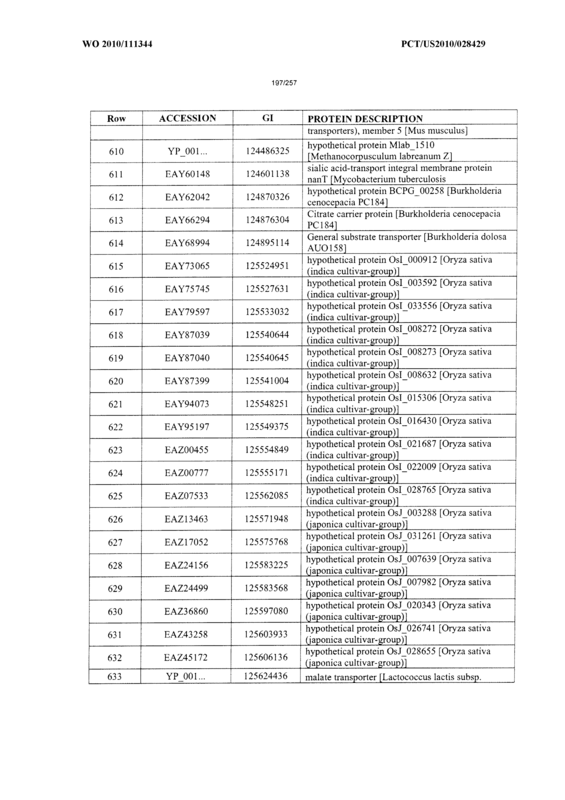 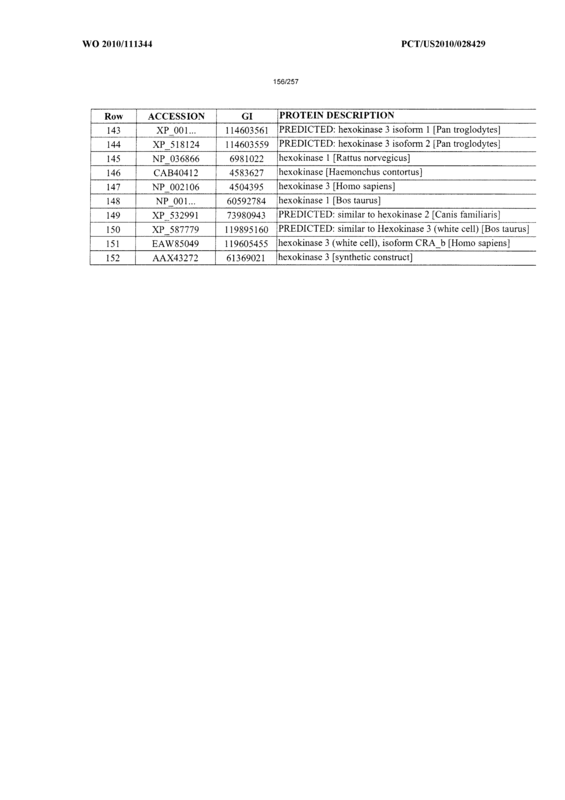 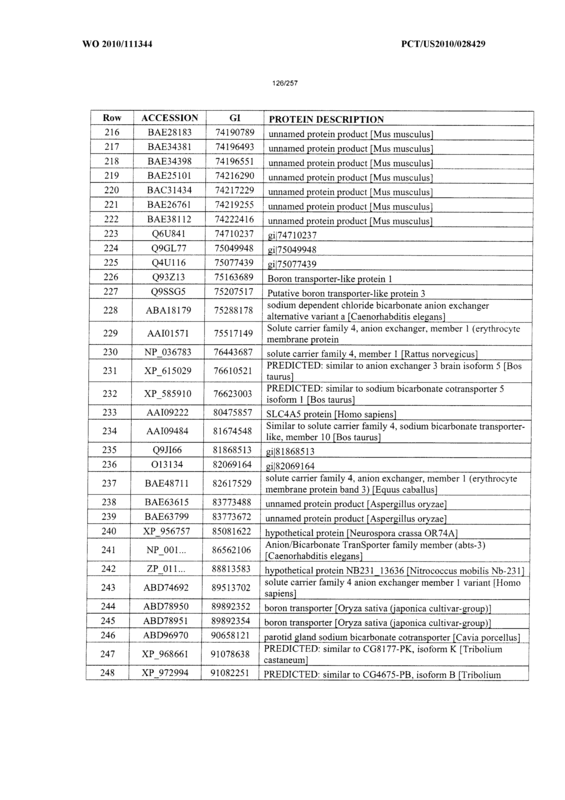 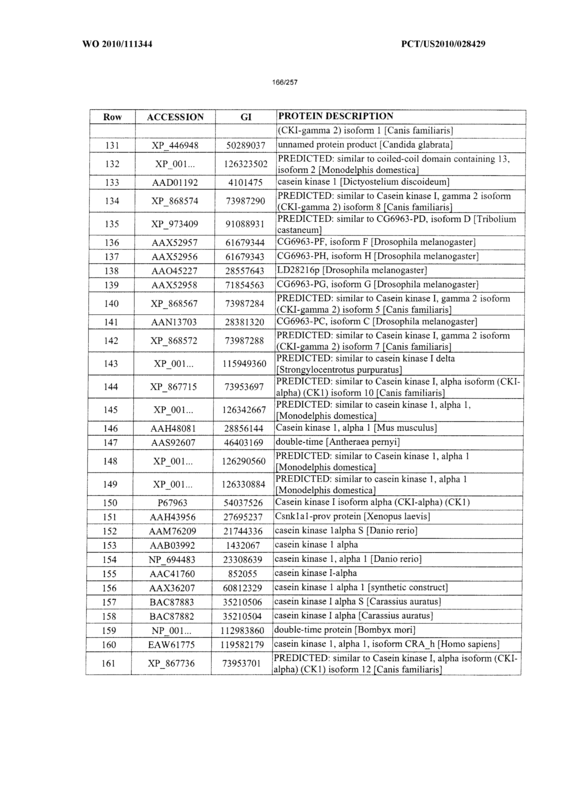 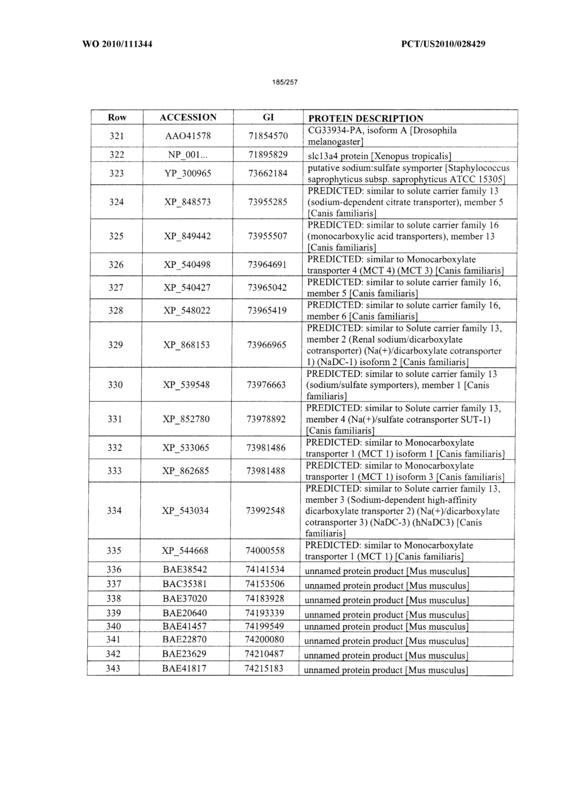 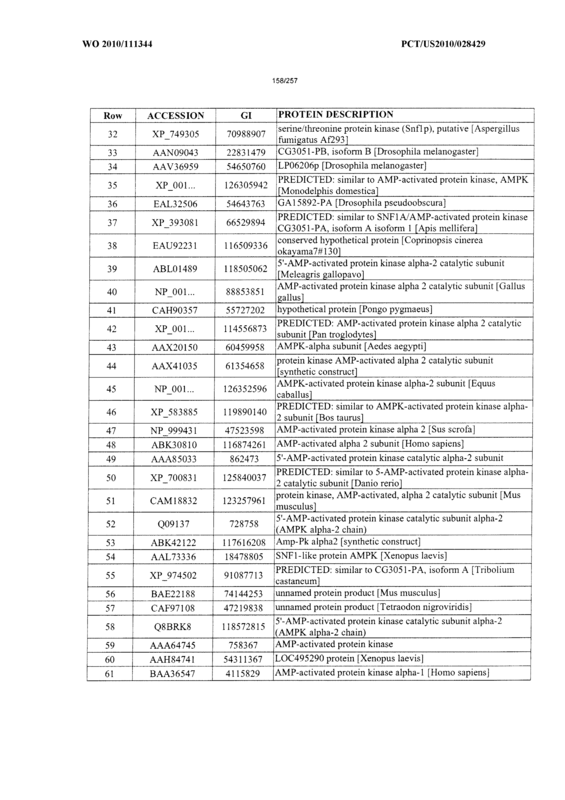 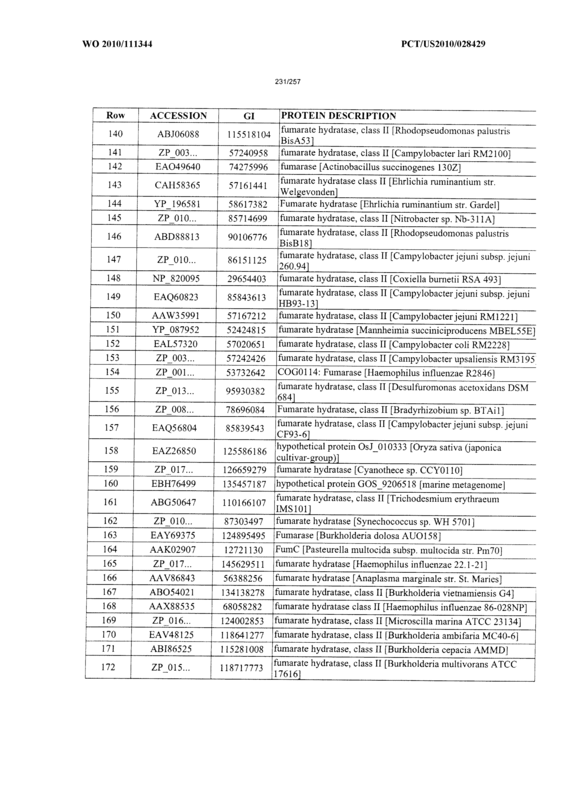 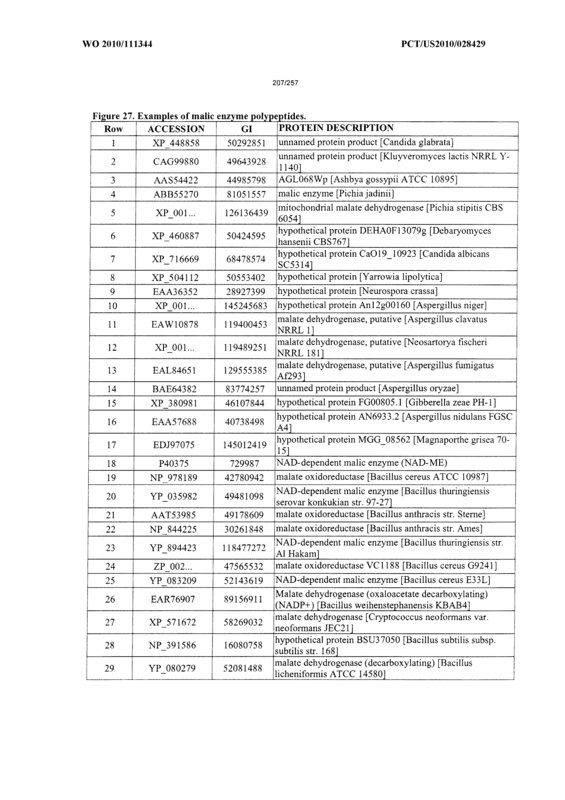 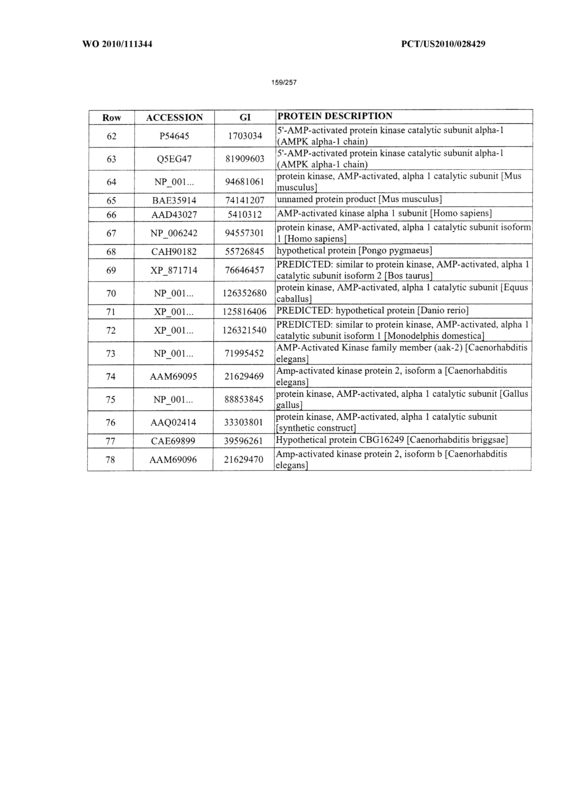 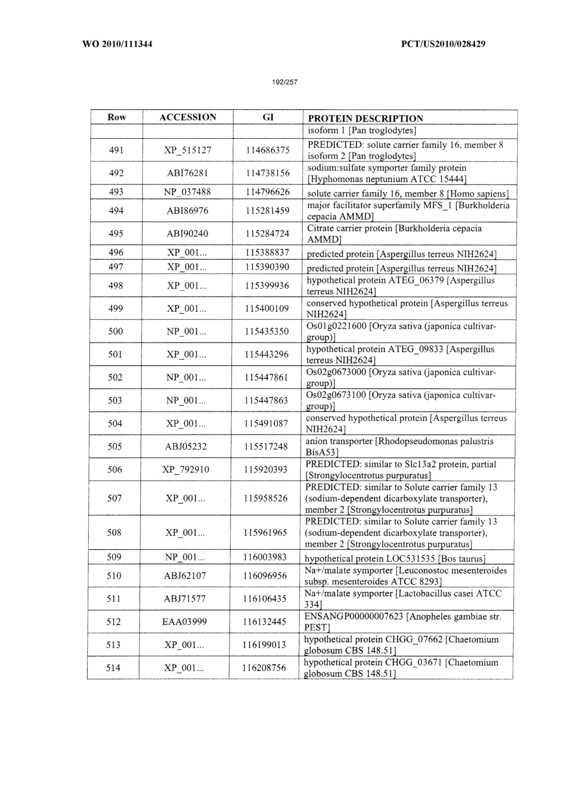 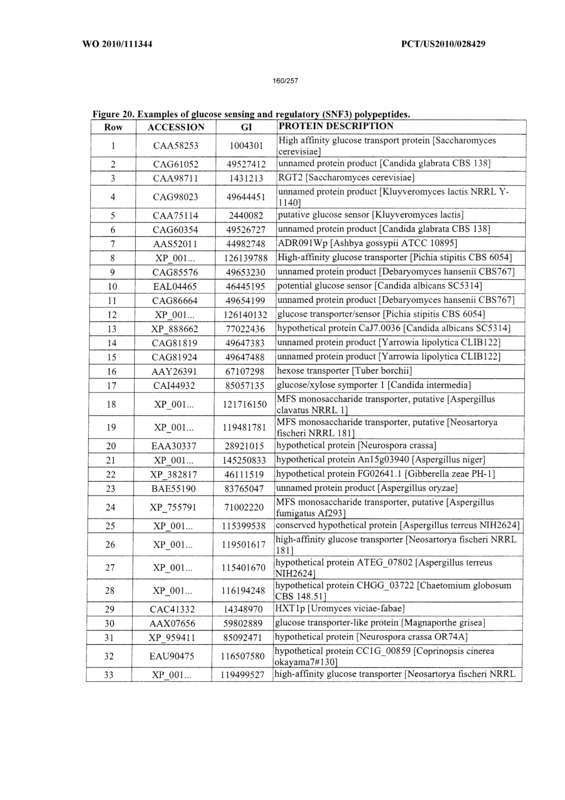 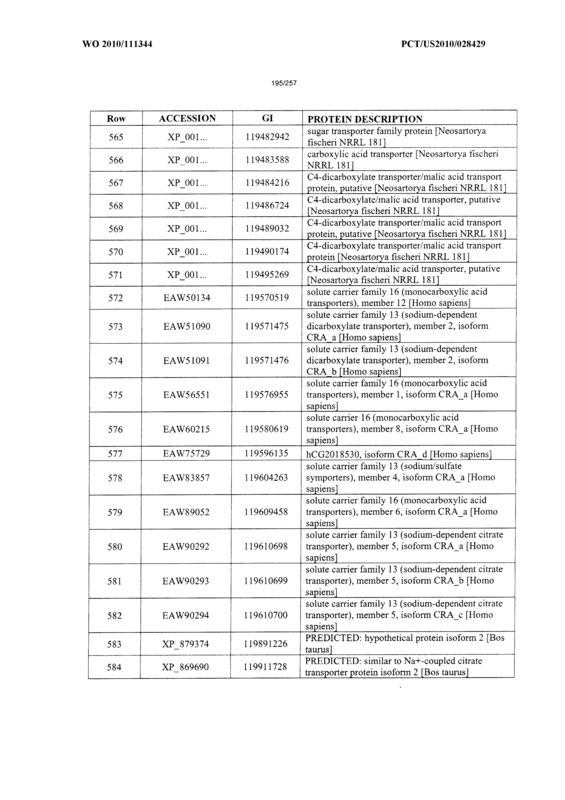 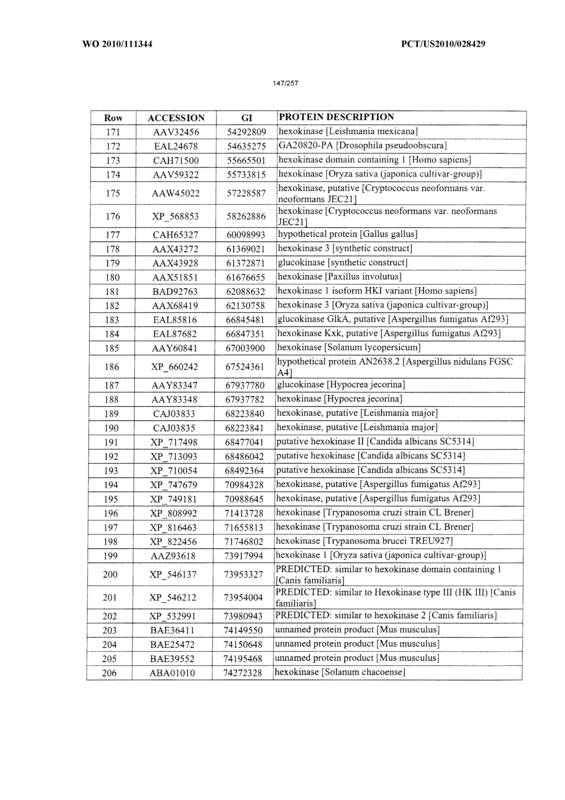 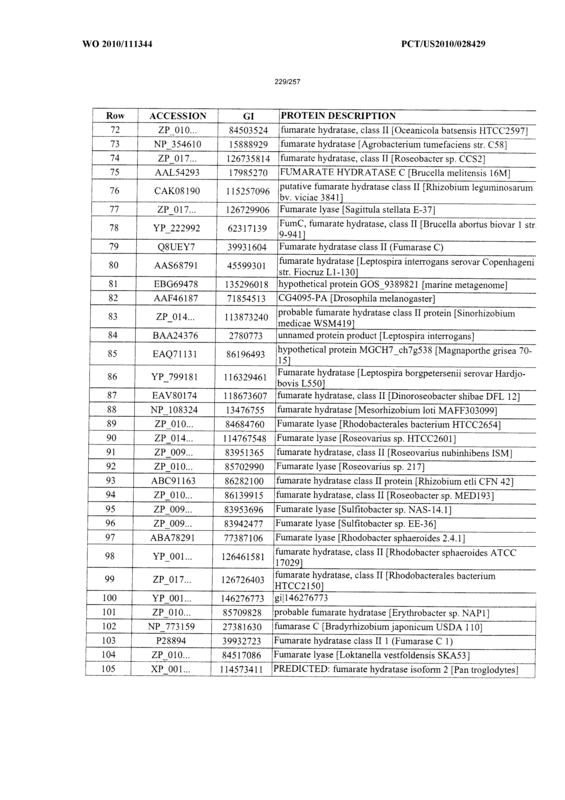 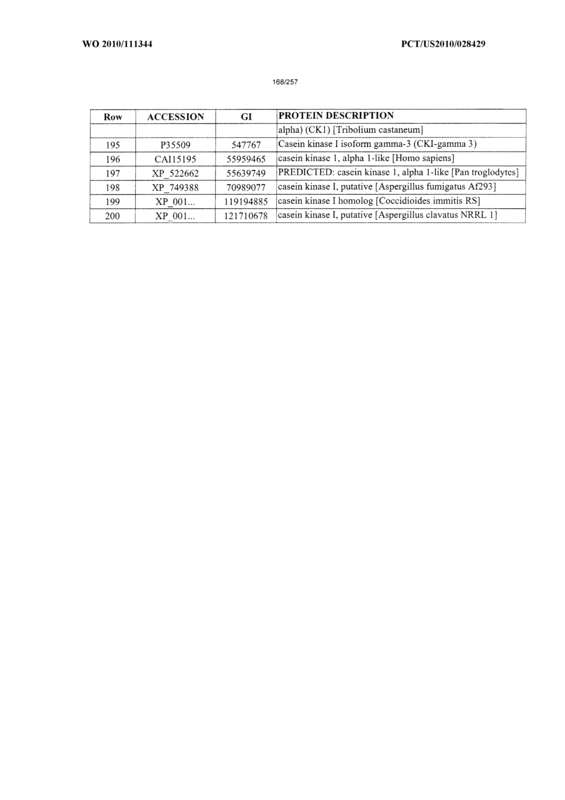 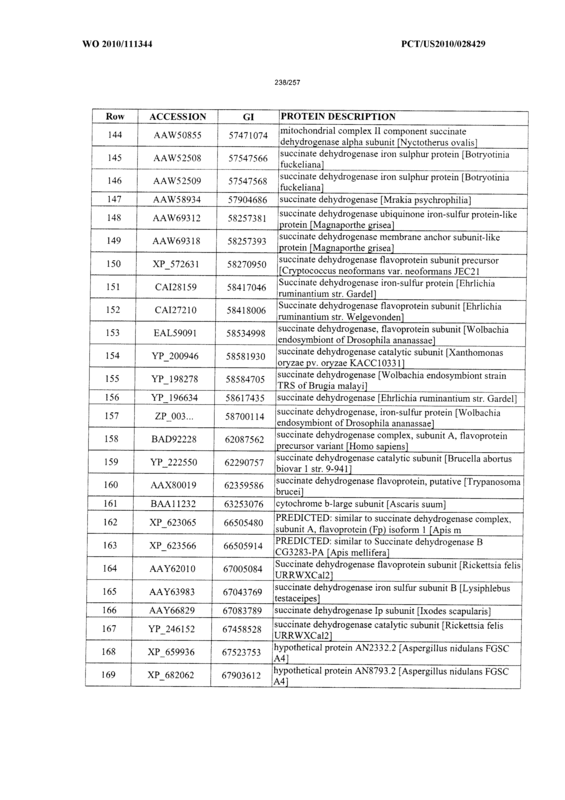 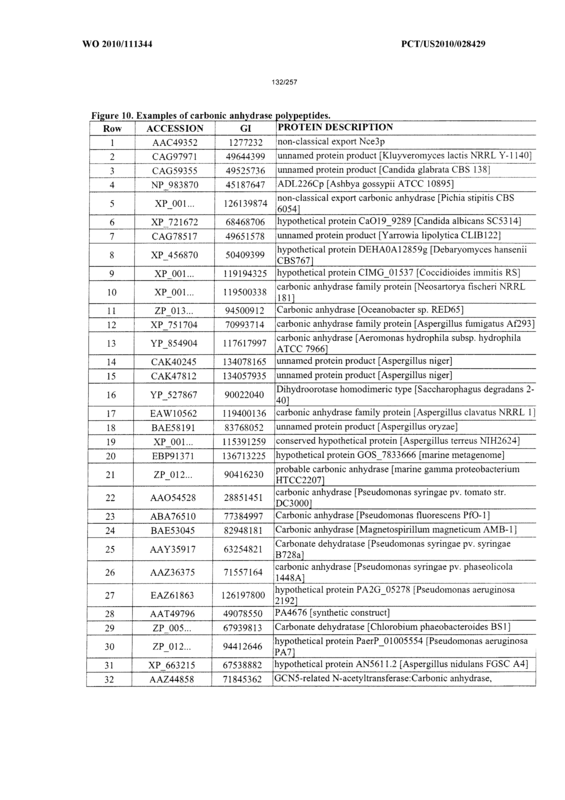 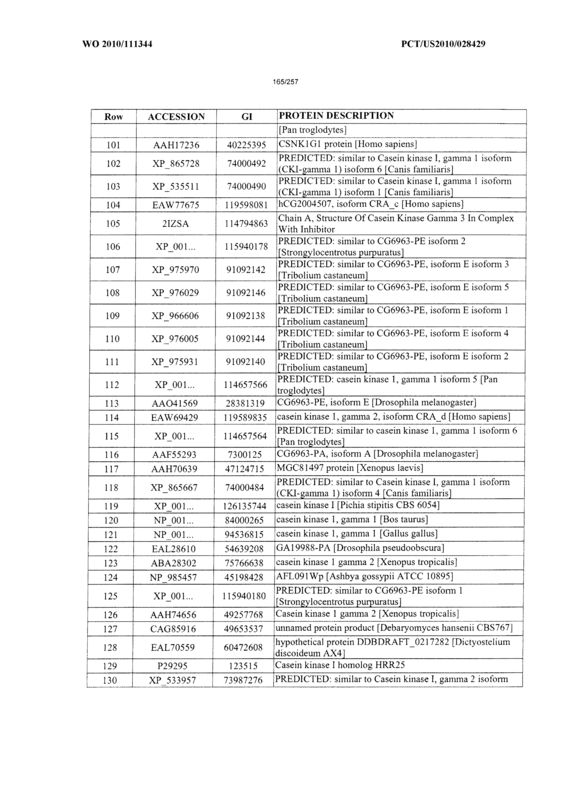 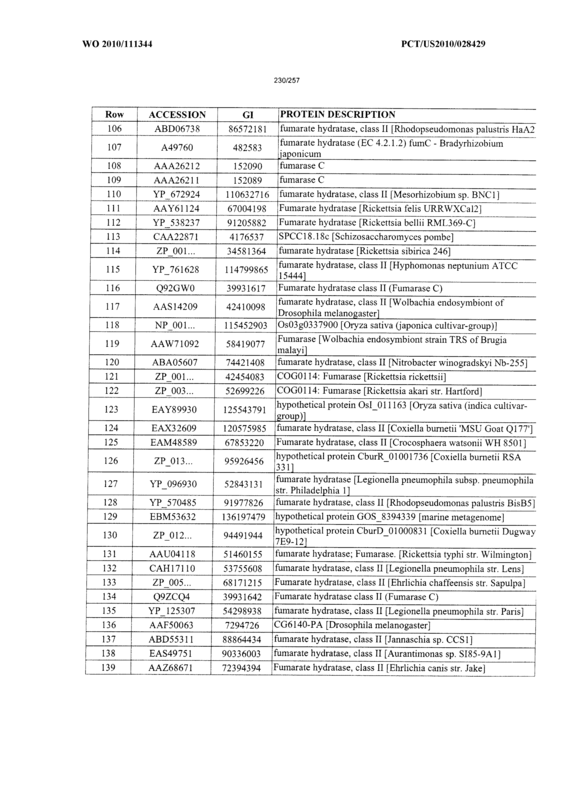 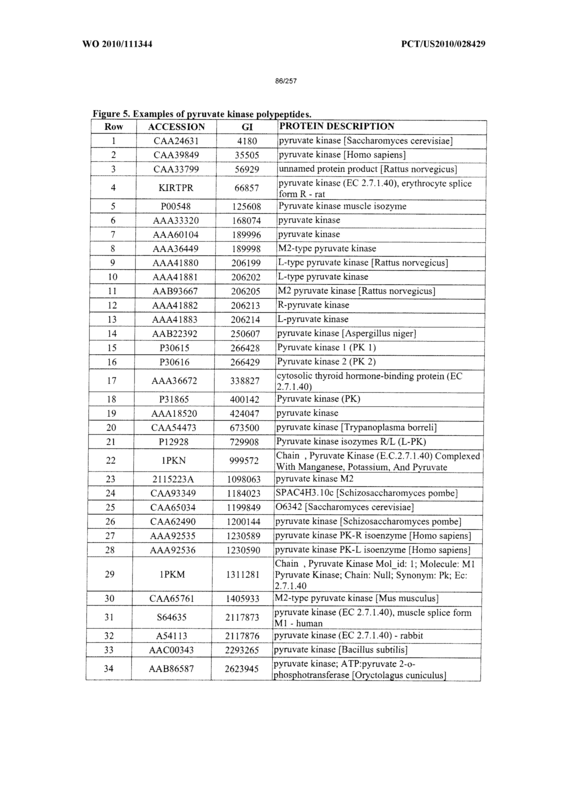 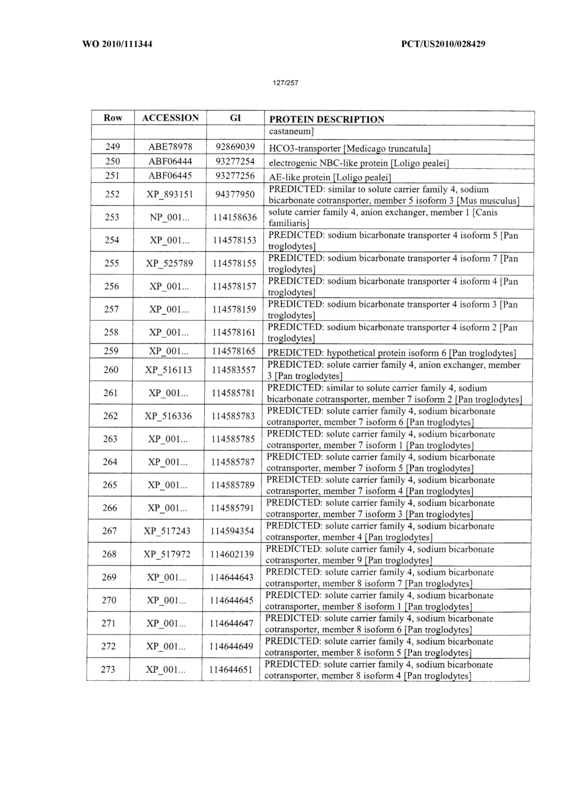 The recombinant fungal cell of claim 6, wherein the genetic modification to increase hexose transporter (HXT) activity comprises at least one modification selected from the group consisting of modifications to increase or decrease HXTl, HXT2, HXT3, HXT3, HXT4, HXT5, HXT6, or HXT7 polypeptide activity. 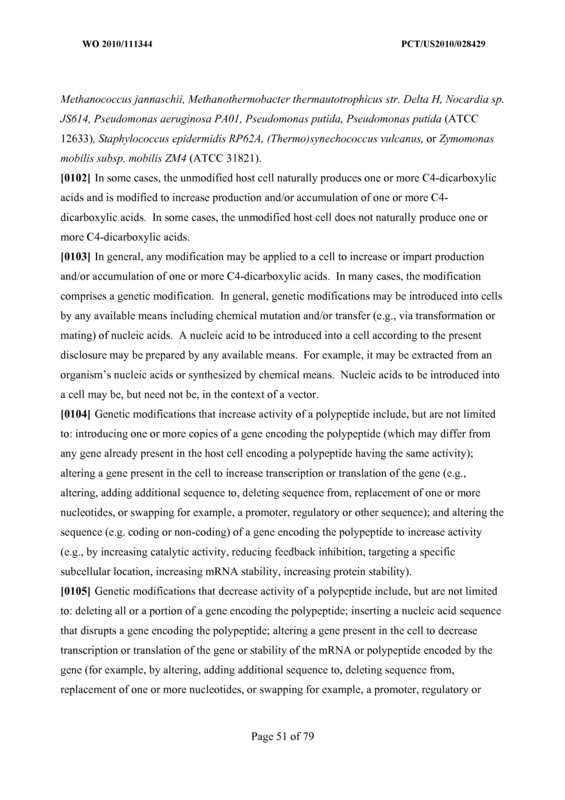 A method of producing a C4-dicarboxylic acid, comprising: culturing a recombinant fungal cell of any one of preceding claims under conditions that achieve C4-dicarboxylic acid production. 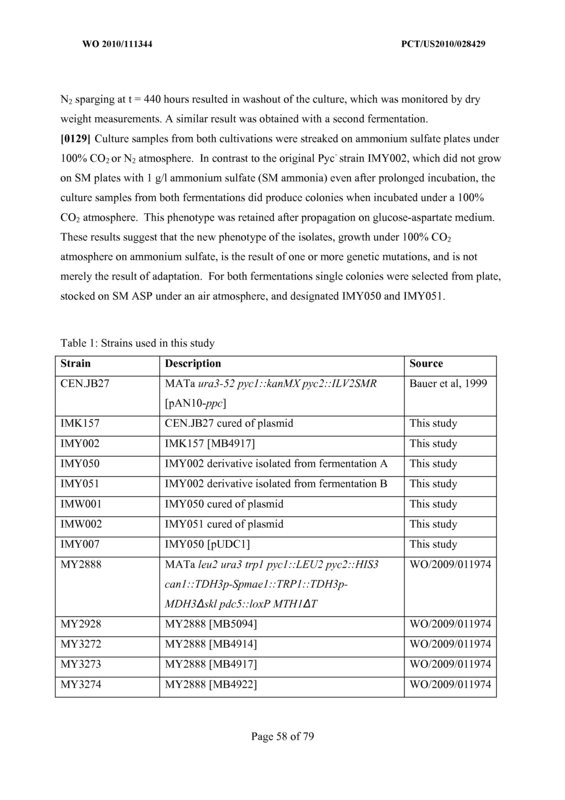 The method of claim 14, wherein the C4-dicarboxylic acid is chosen from one or more of malic acid, succinic acid and fumaric acid. 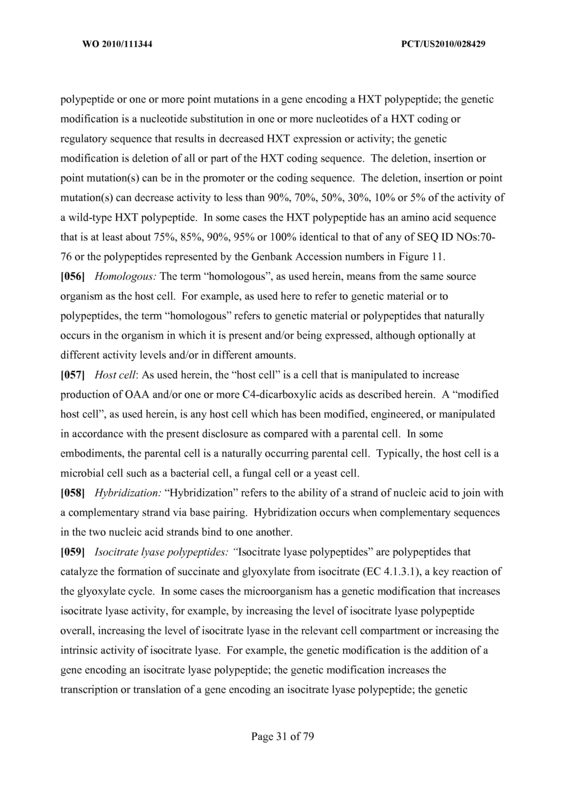 (g) a genetic modification that increases MTHl activity. 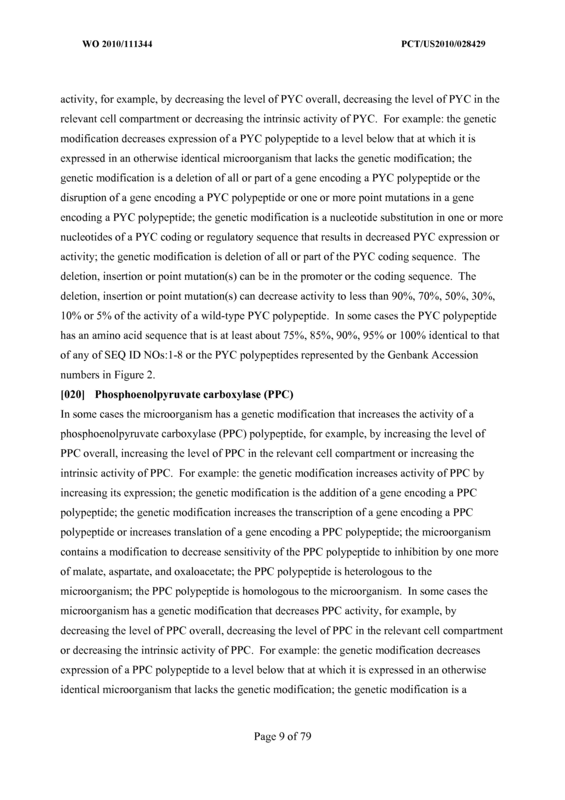 The recombinant microbial cell of claim 16 wherein the cell comprises a genetic modification that increases pyruvate carboxylase activity and a genetic modification that decreases PDC activity. 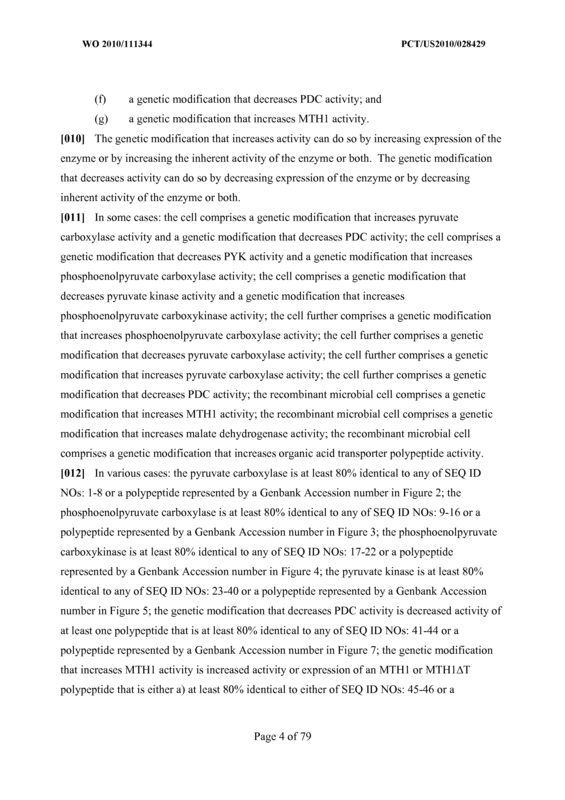 The recombinant microbial cell of claim 16 wherein the cell comprises a genetic modification that decreases PYK activity and a genetic modification that increases phosphoenolpyruvate carboxylase activity. 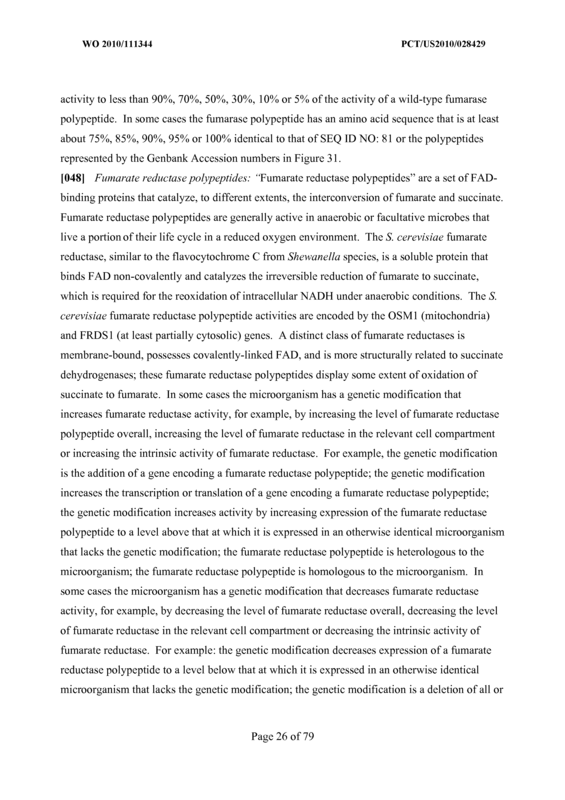 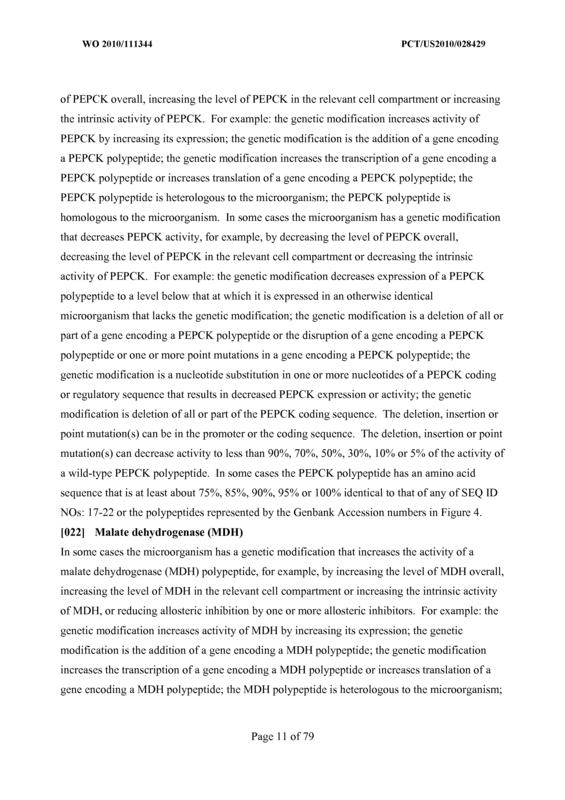 The recombinant microbial cell of claim 16 wherein the cell comprises a genetic modification that decreases pyruvate kinase activity and a genetic modification that increases phosphoenolpyruvate carboxykinase activity. 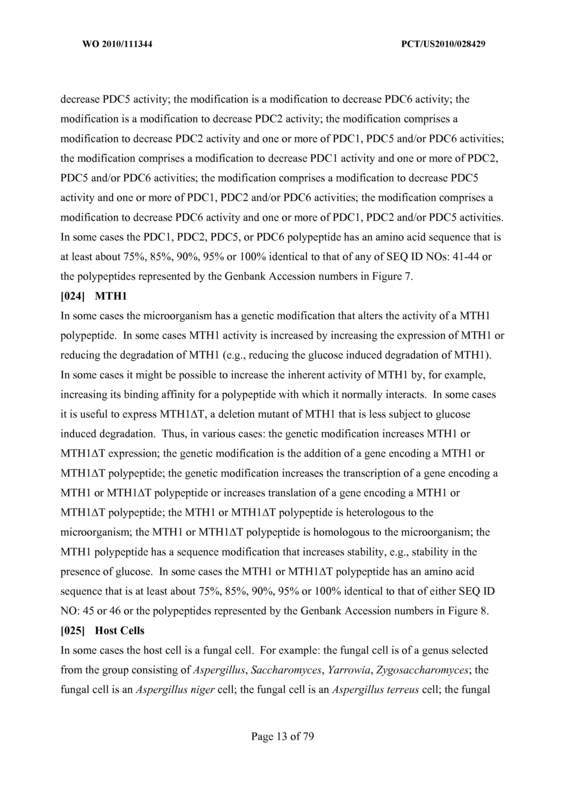 The recombinant microbial cell of claim 25 wherein the cell further comprises a genetic modification that increases phosphoenolpyruvate carboxylase activity. 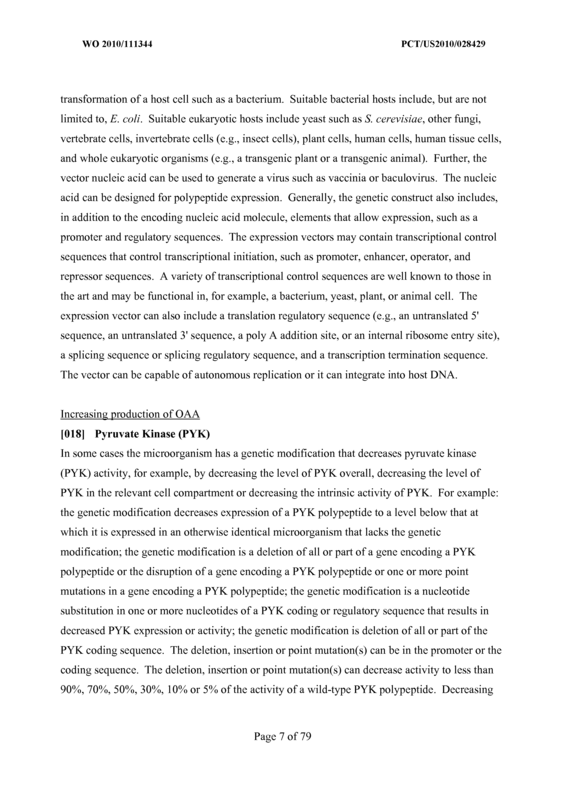 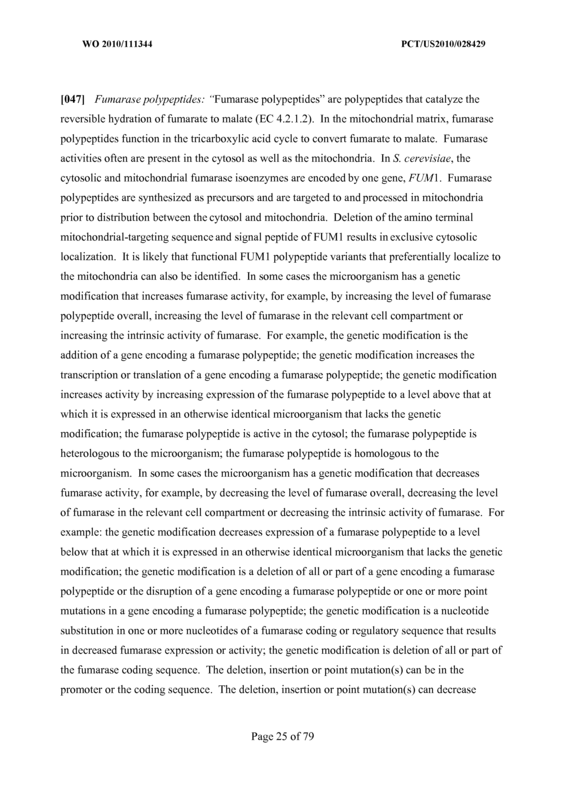 The recombinant microbial cell of any of claims 24-26 wherein the cell further comprises a genetic modification that decreases pyruvate carboxylase activity. 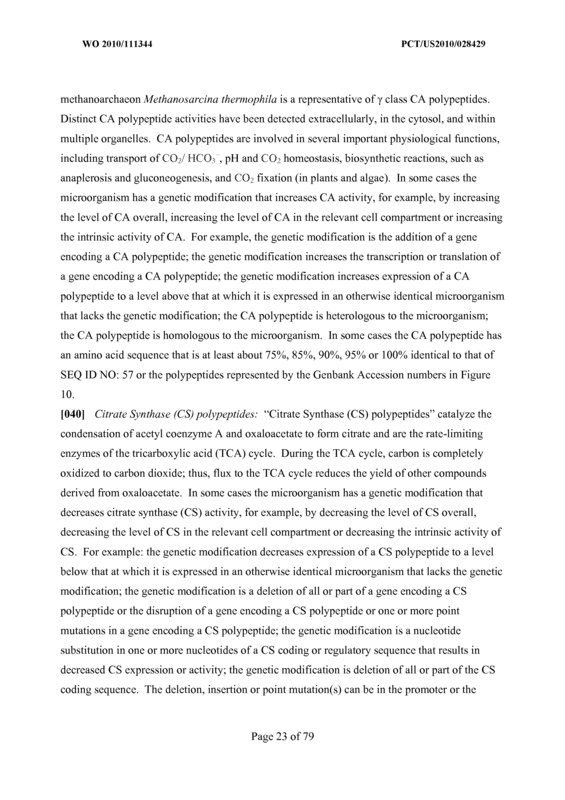 The recombinant microbial cell of any of claims 24-26 where in the cell further comprises a genetic modification that increases pyruvate carboxylase activity. 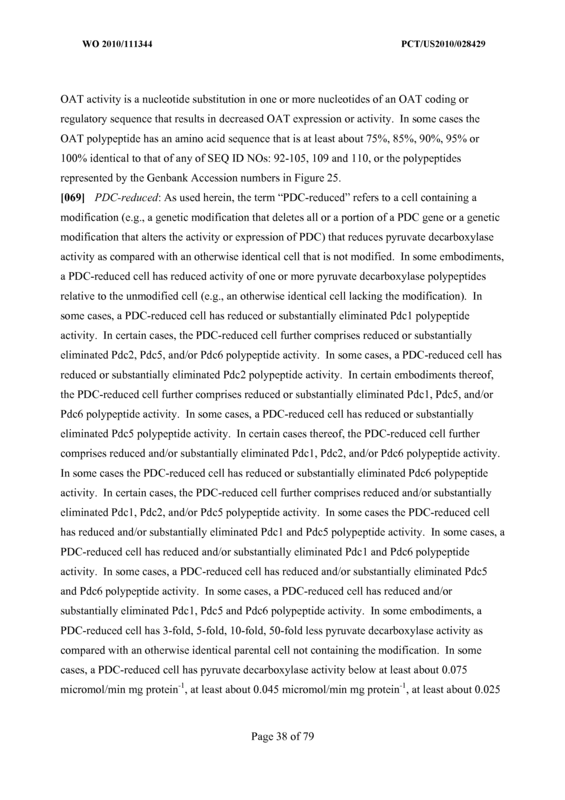 The recombinant cell of claims 9-13 wherein the cell further comprises a genetic modification that decreases PDC activity. 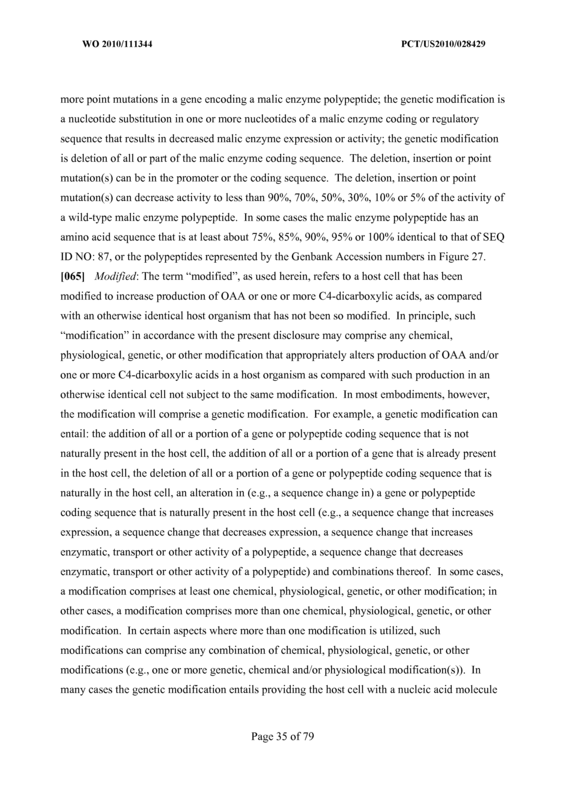 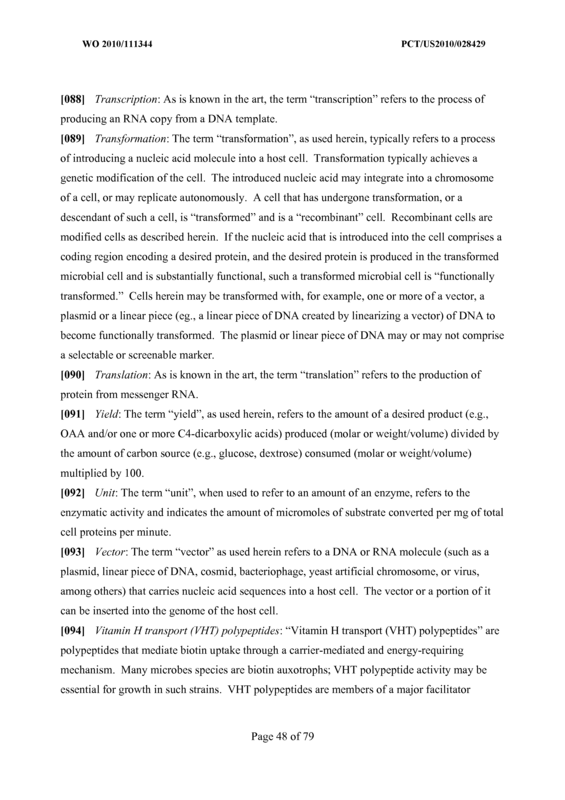 The recombinant microbial cell of any of claims 23-29 further comprising a genetic modification that increases MTHl activity. 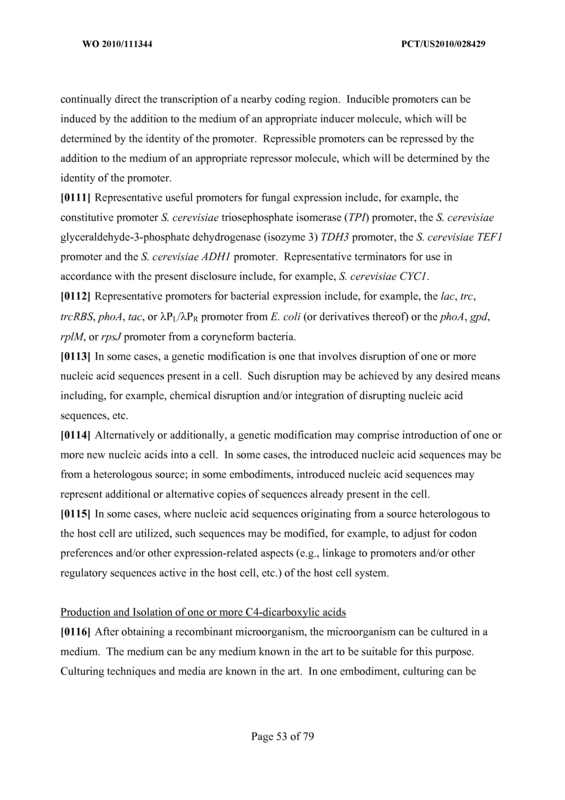 The recombinant microbial cell of any of claims 23-30 further comprising a genetic modification that increases malate dehydrogenase activity. 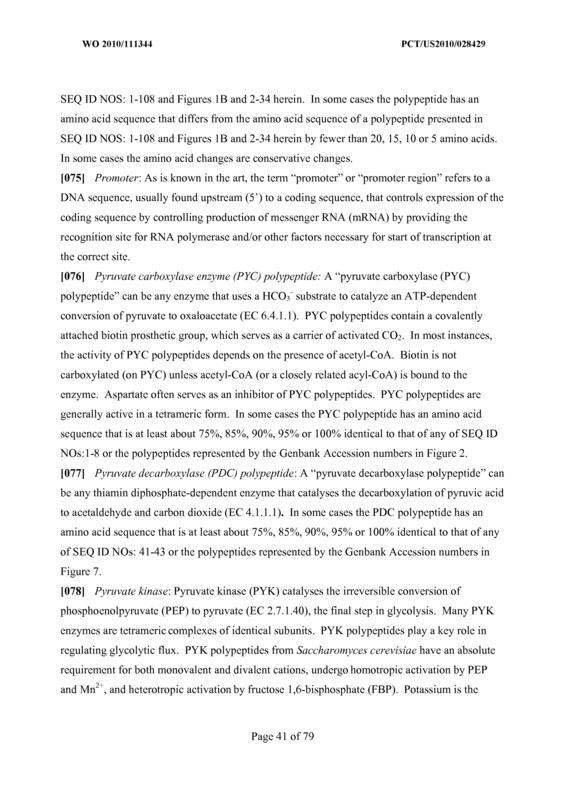 The recombinant microbial cell of any of claims 16-32 wherein the pyruvate carboxylase is at least 80% identical to any of SEQ ID NOs: 1-8 or a polypeptide represented by a Genbank Accession number in Figure 2. 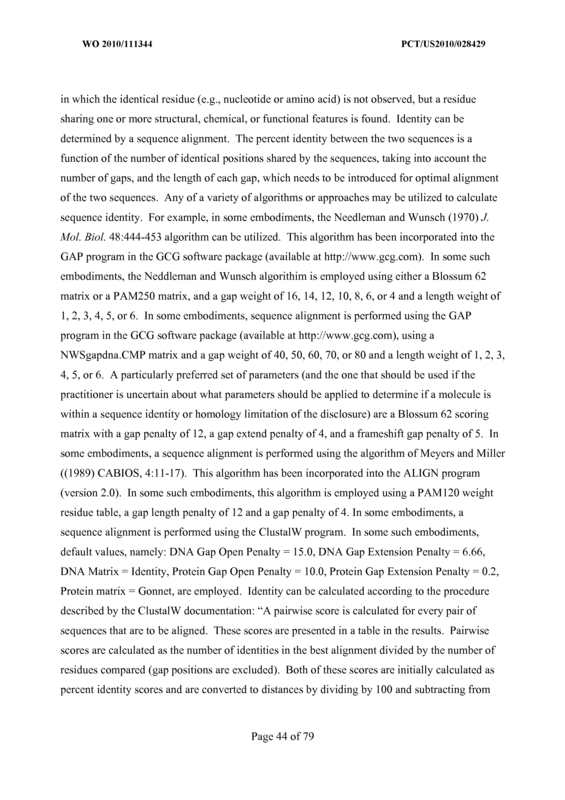 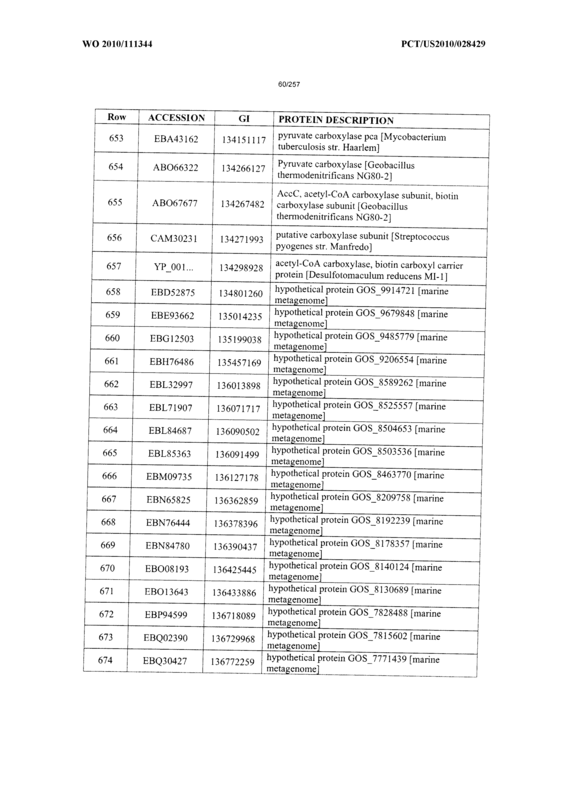 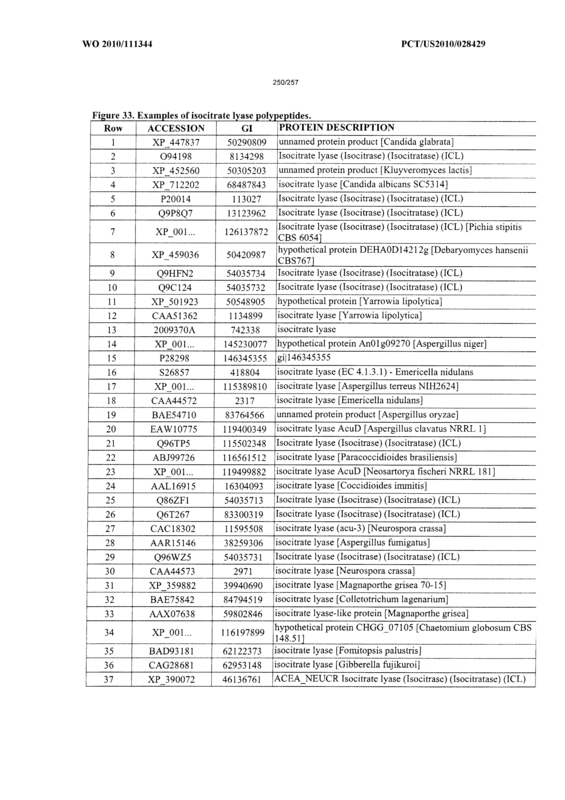 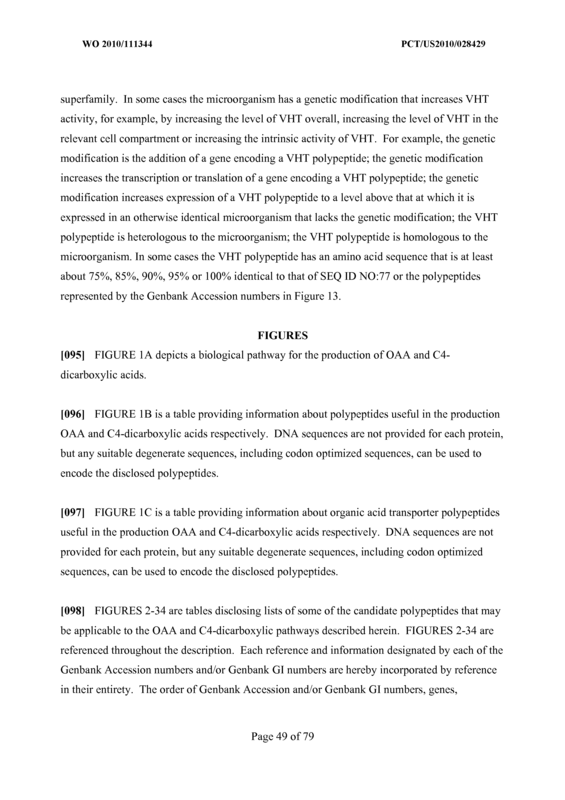 The recombinant microbial cell of any of claims 16-33wherein the phosphoenolpyruvate carboxylase is at least 80% identical to any of SEQ ID NOs: 9-16 or a polypeptide represented by a Genbank Accession number in Figure 3. 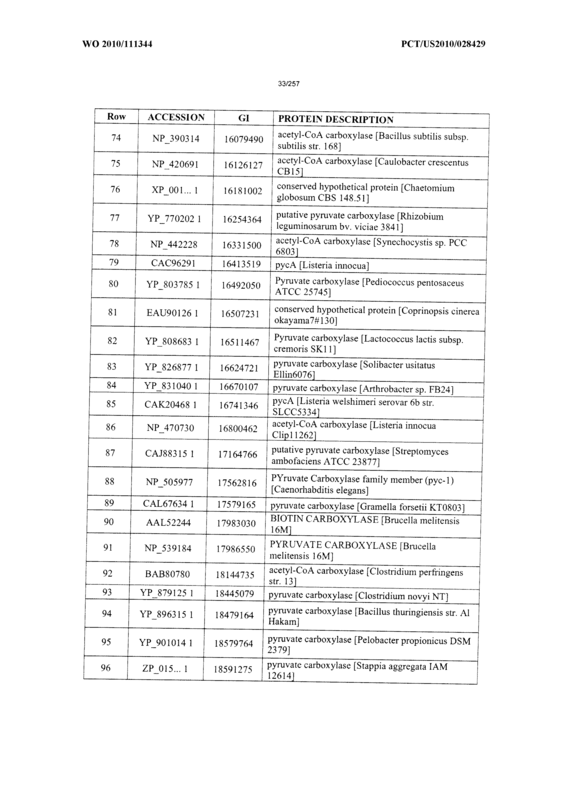 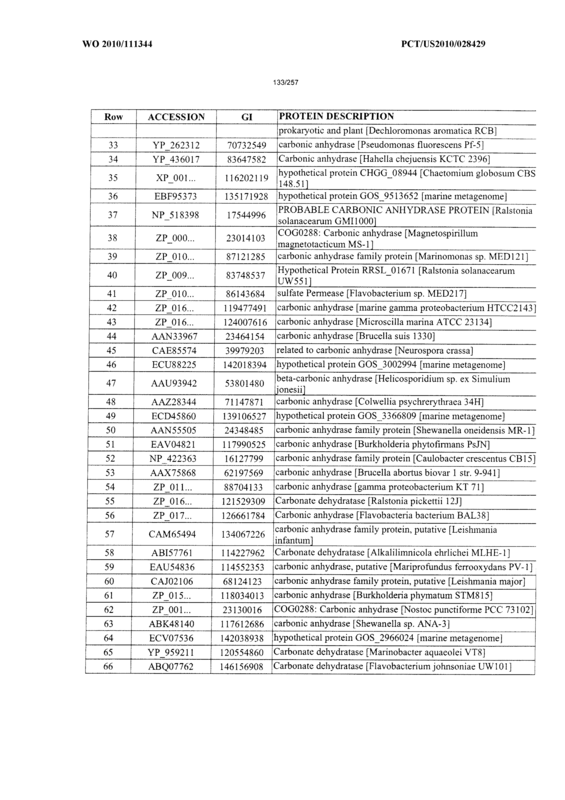 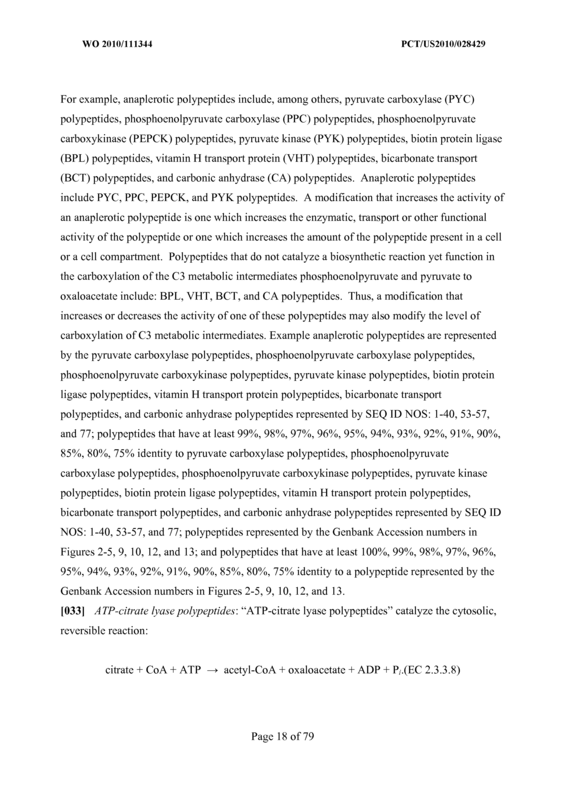 The recombinant microbial cell of any of claims 16-34 wherein the phosphoenolpyruvate carboxykinase is at least 80% identical to any of SEQ ID NOs: 17-22 or a polypeptide represented by a Genbank Accession number in Figure 4. 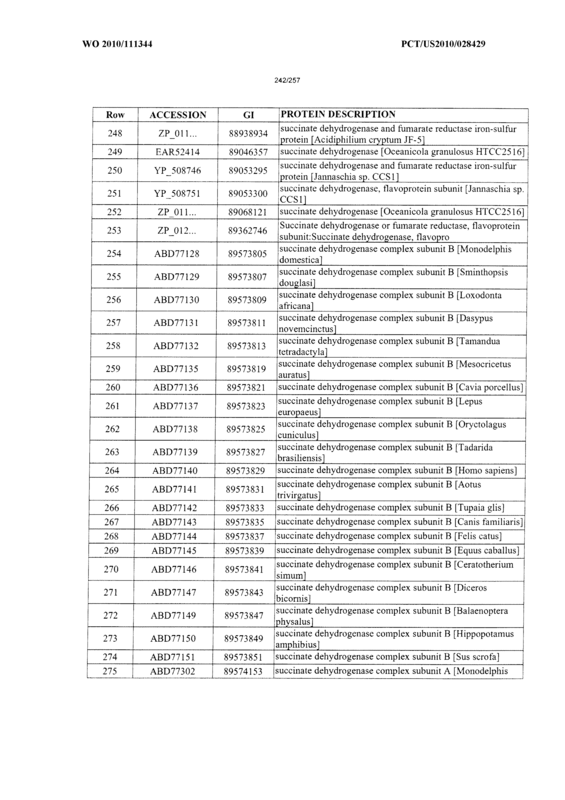 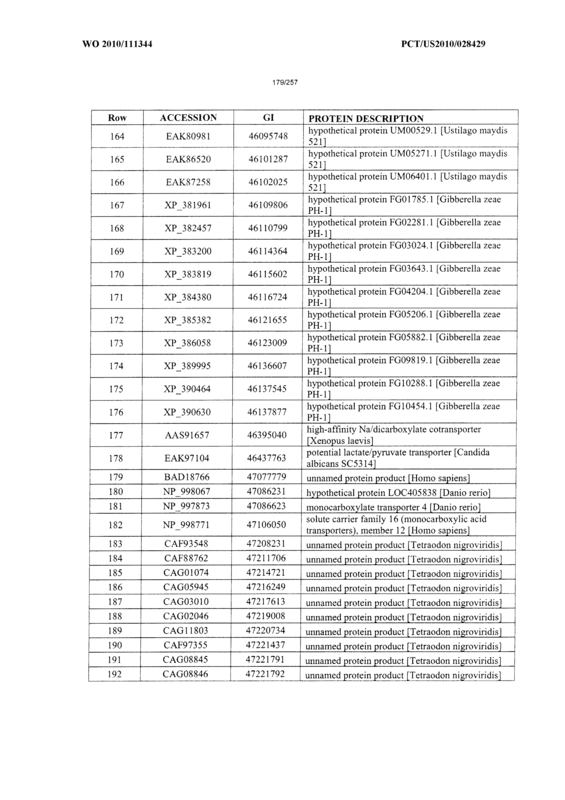 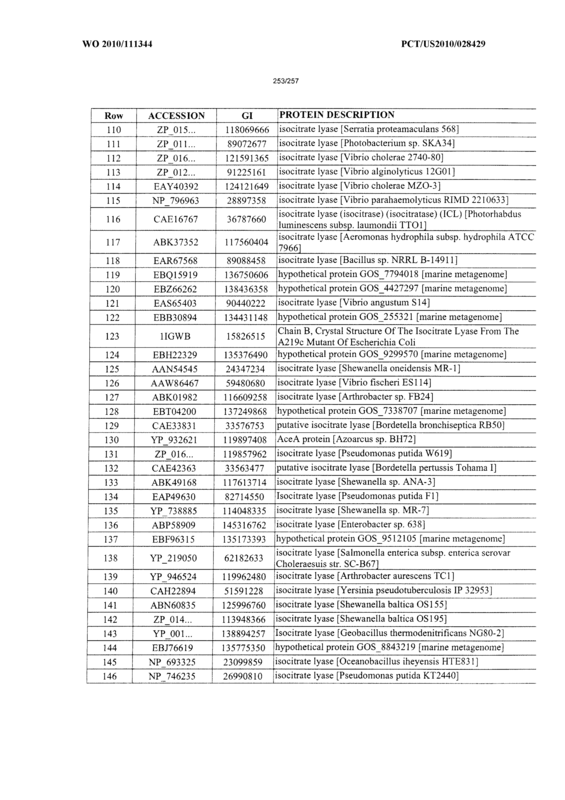 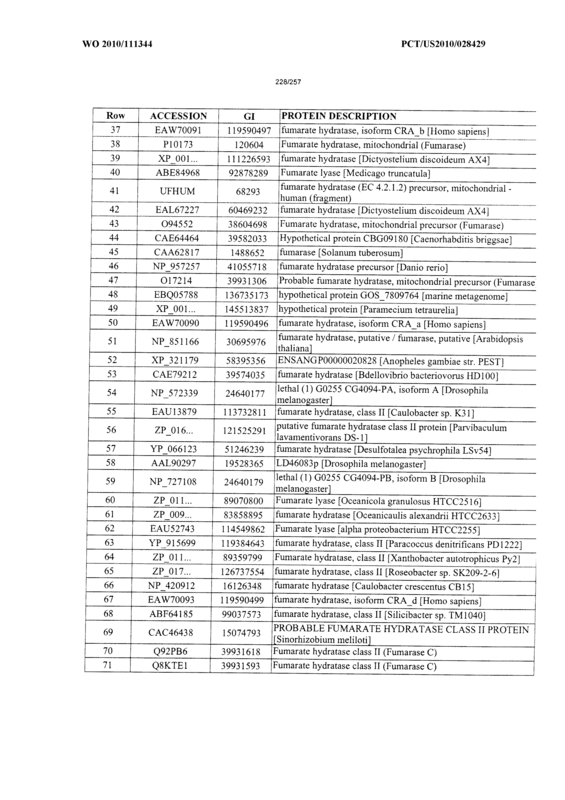 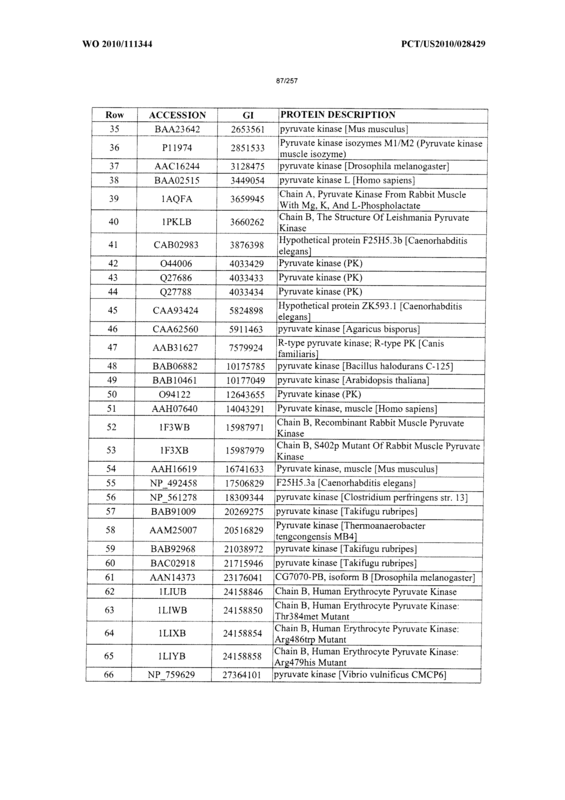 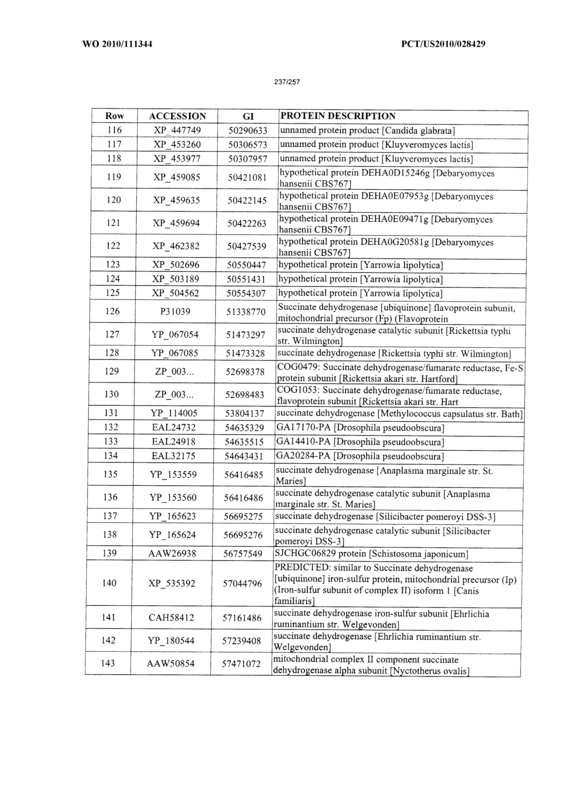 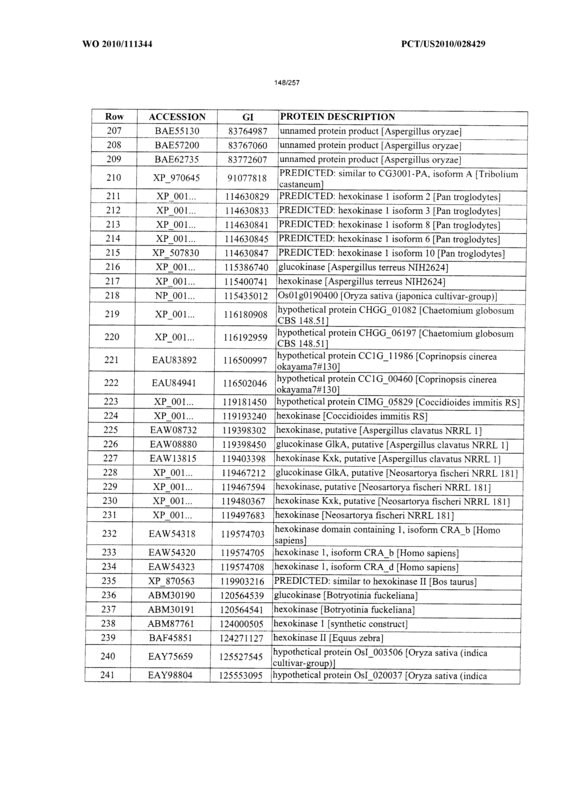 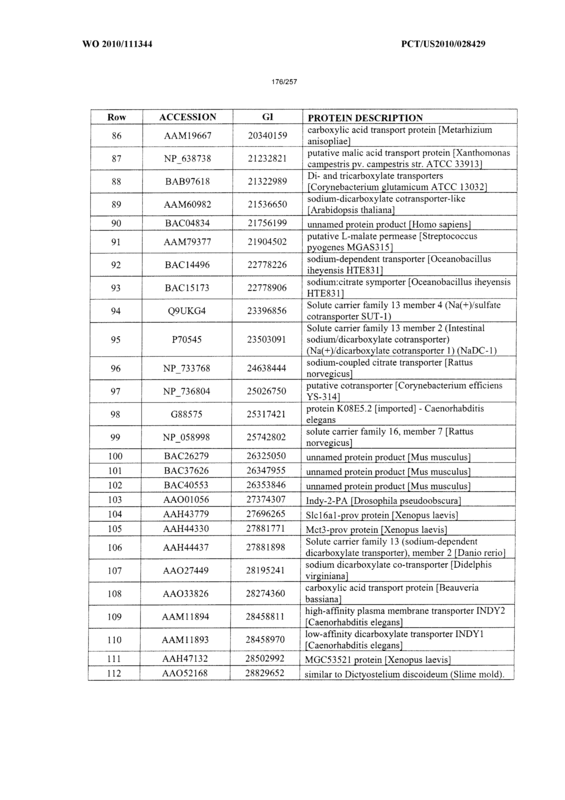 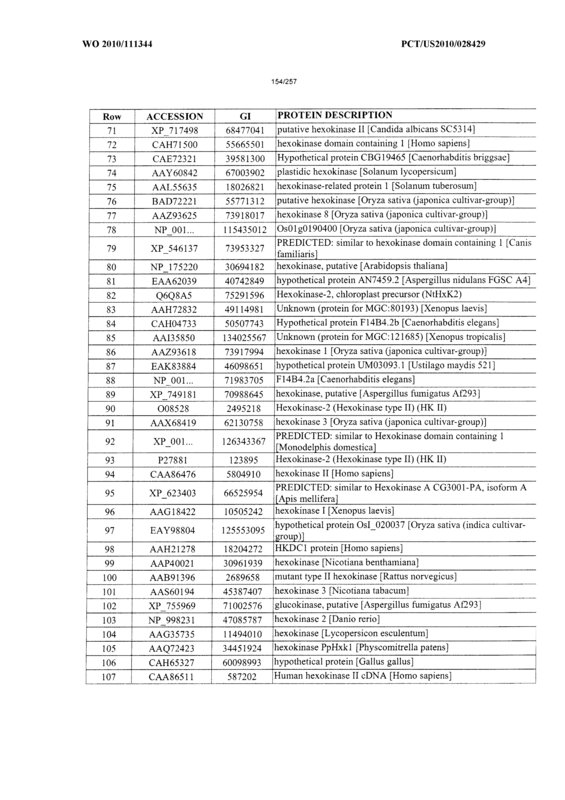 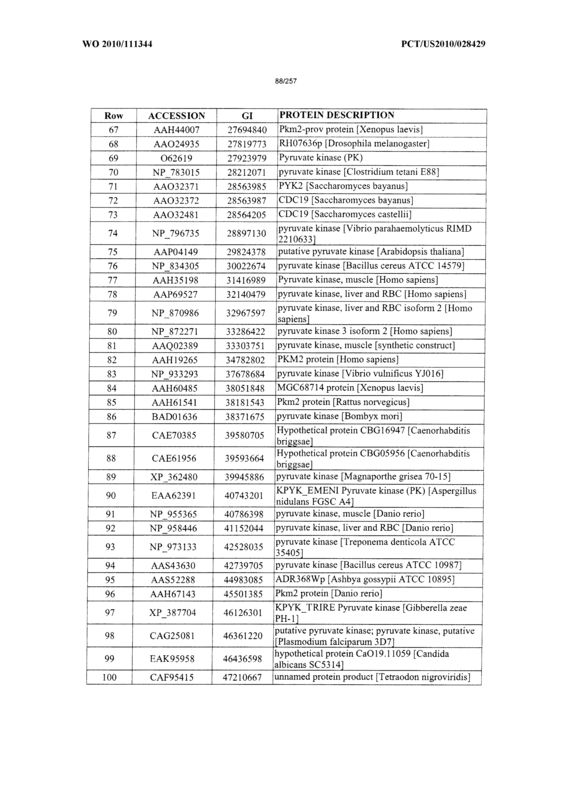 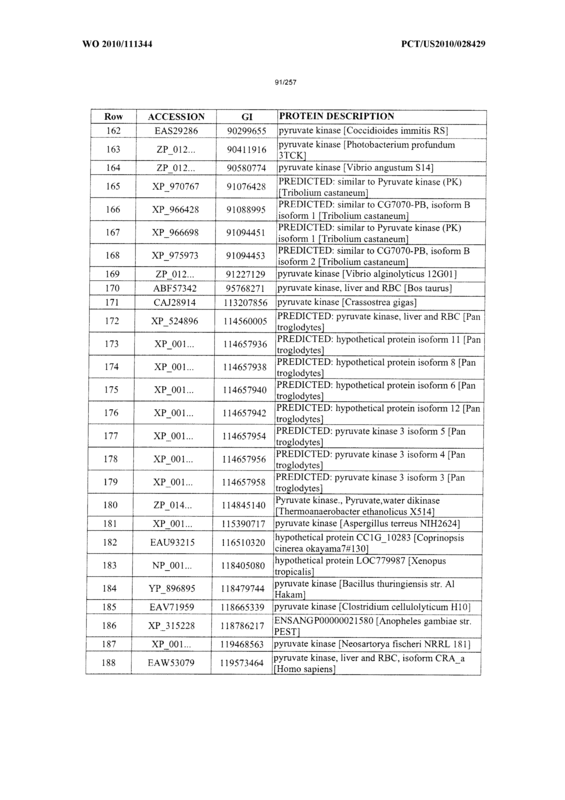 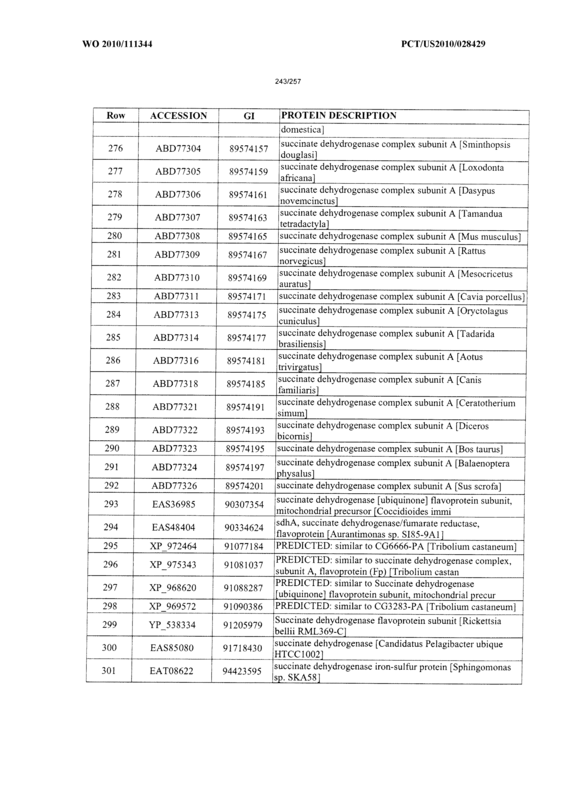 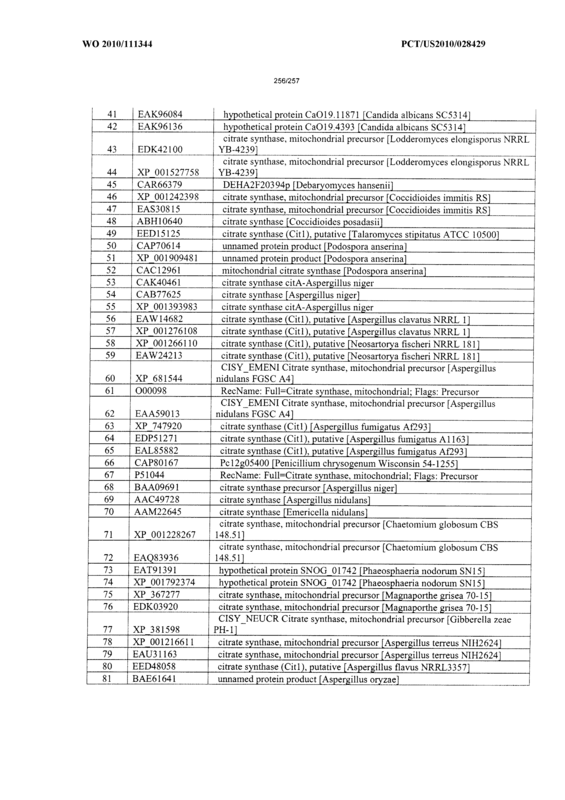 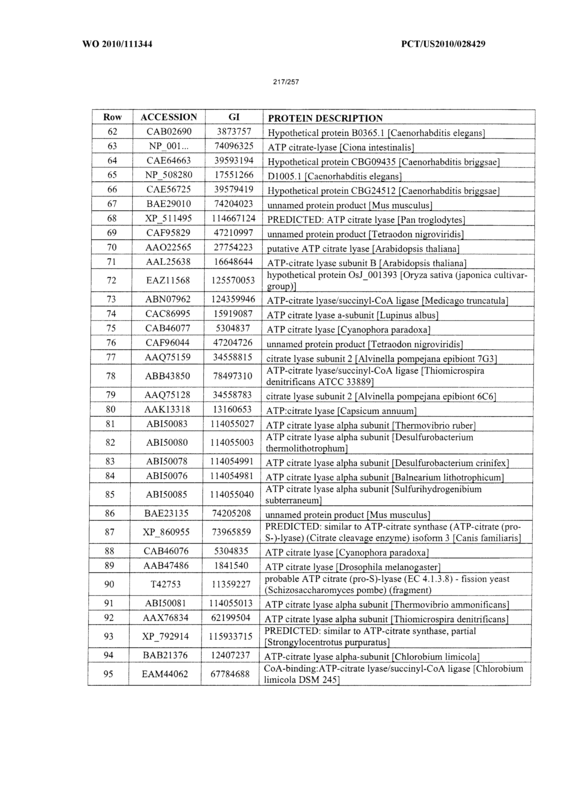 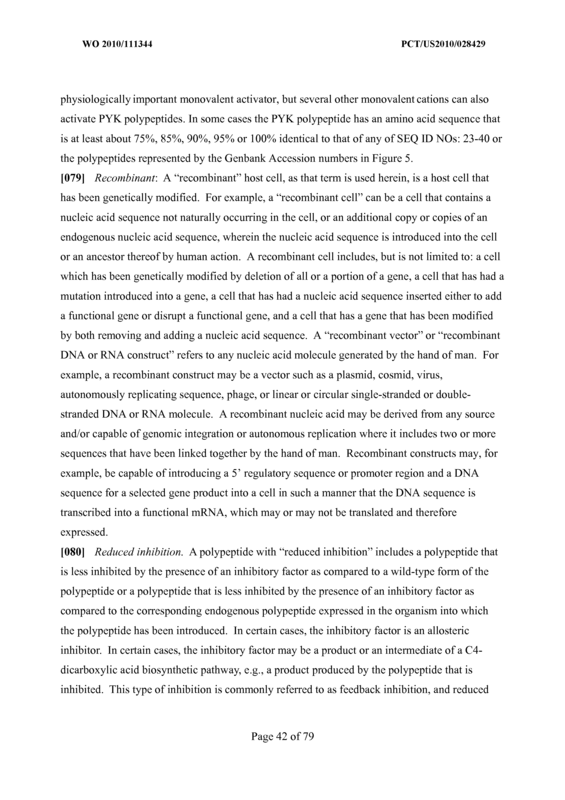 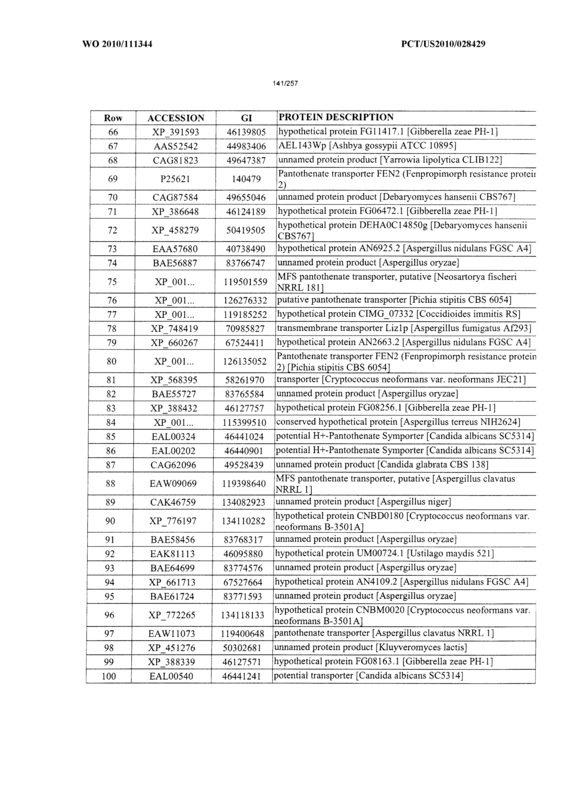 The recombinant microbial cell of any of claims 16-35 wherein the pyruvate kinase is at least 80% identical to any of SEQ ID NOs: 23-40 or a polypeptide represented by a Genbank Accession number in Figure 5. 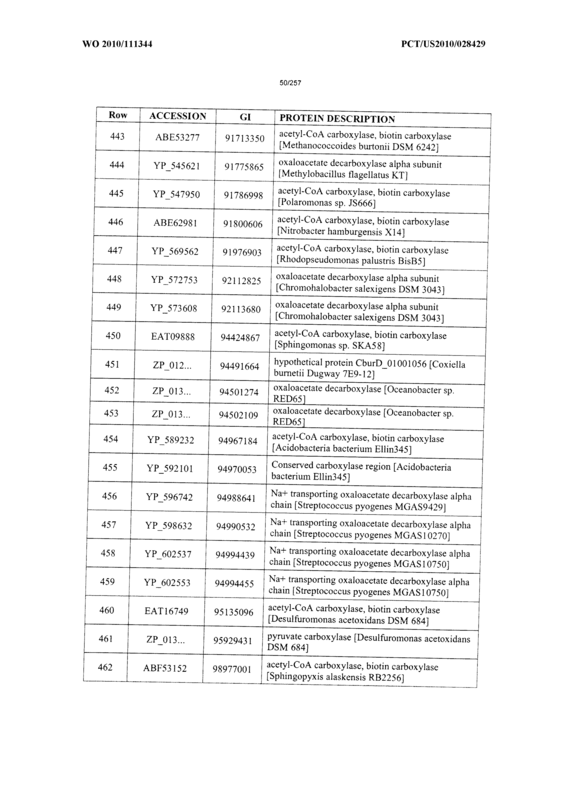 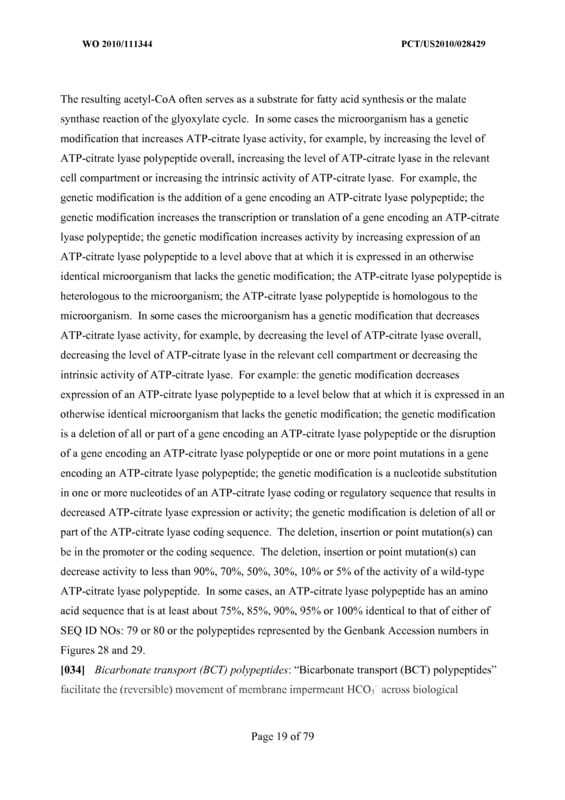 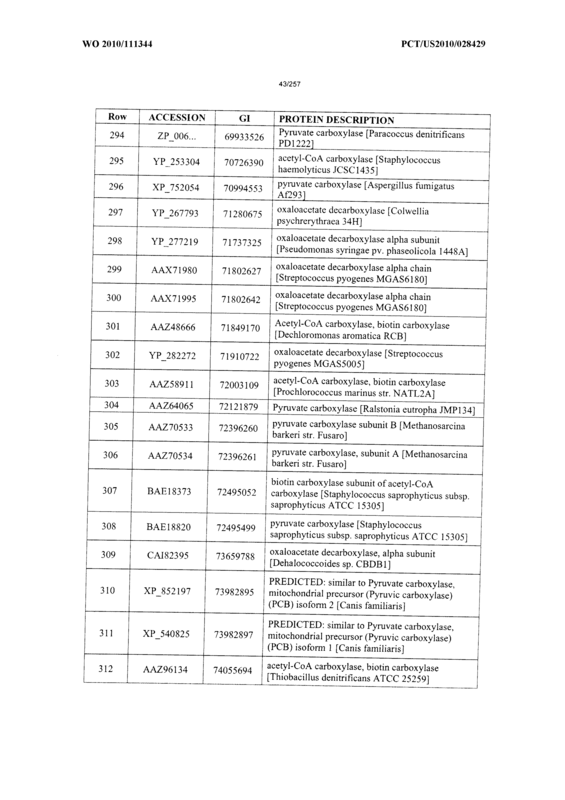 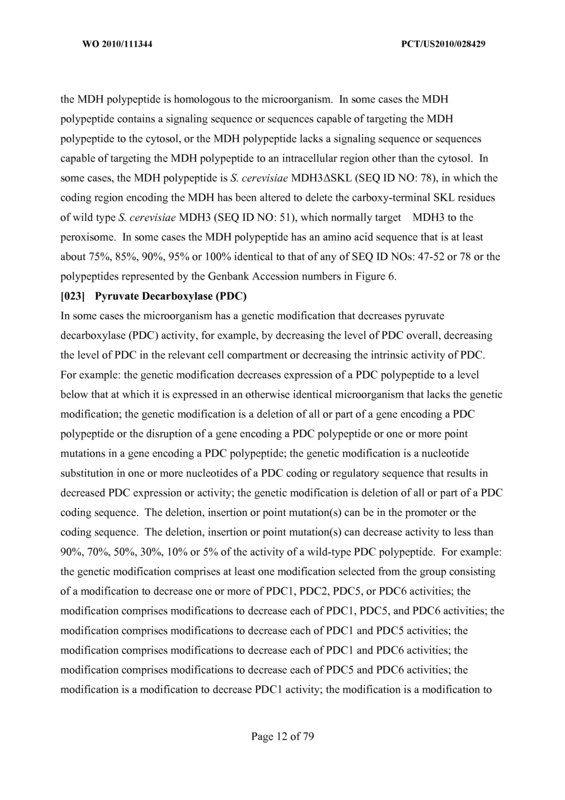 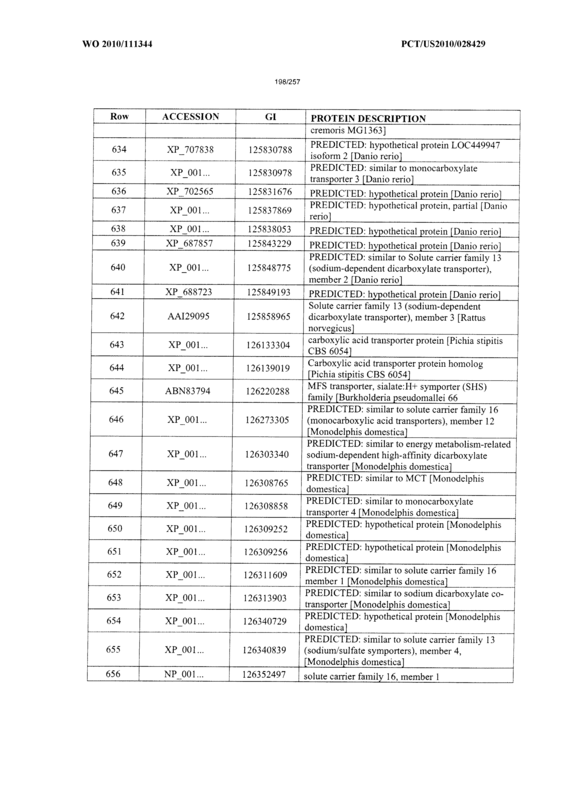 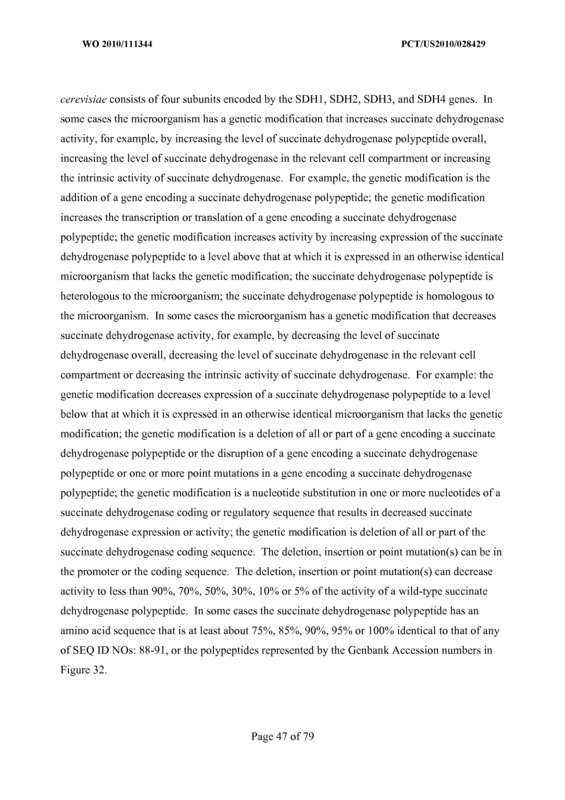 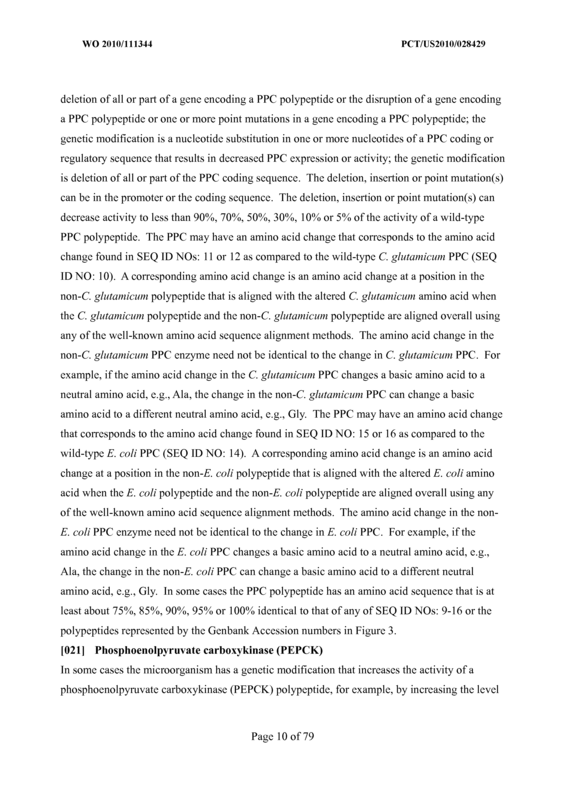 The recombinant microbial cell of any of claims 16-36 wherein the genetic modification that decreases PDC activity is decreased activity of at least one polypeptide that is at least 80% identical to any of SEQ ID NOs: 41-44 or a polypeptide represented by a Genbank Accession number in Figure 7. 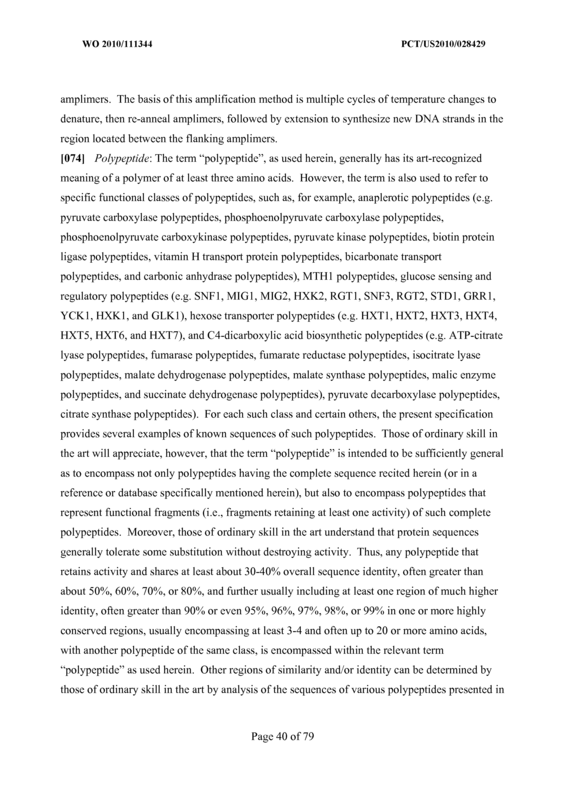 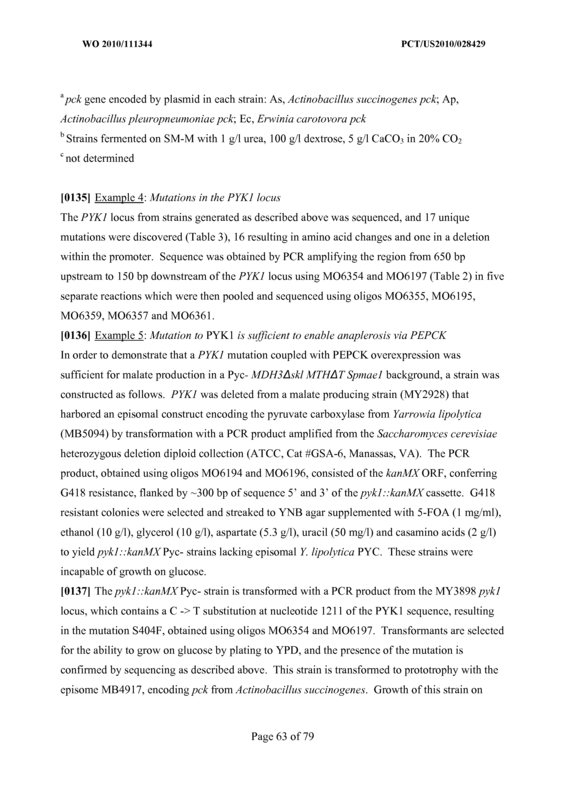 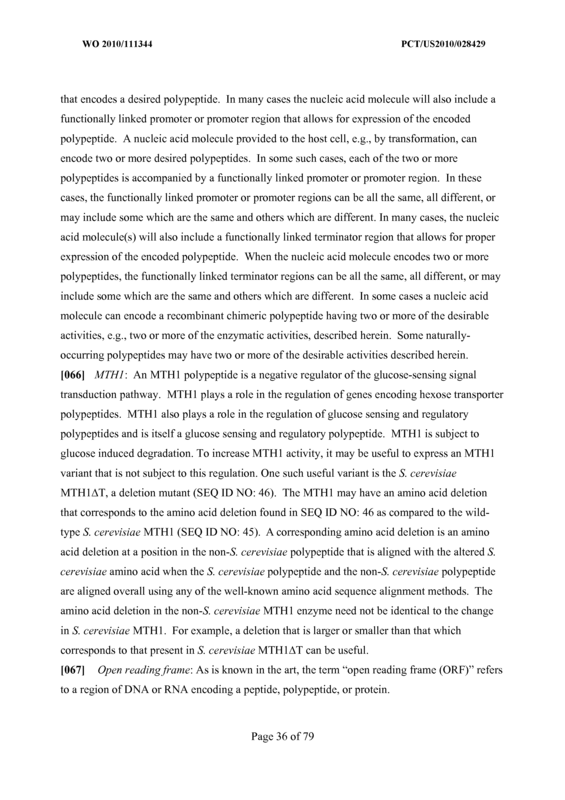 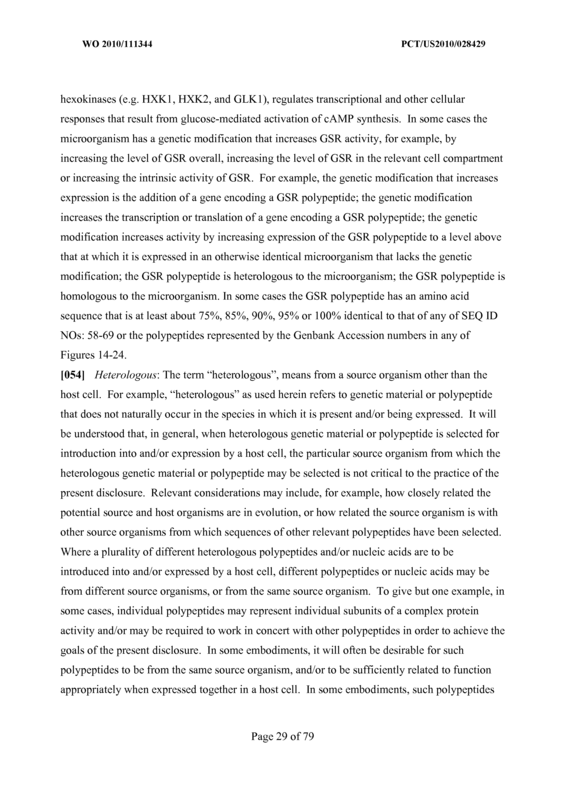 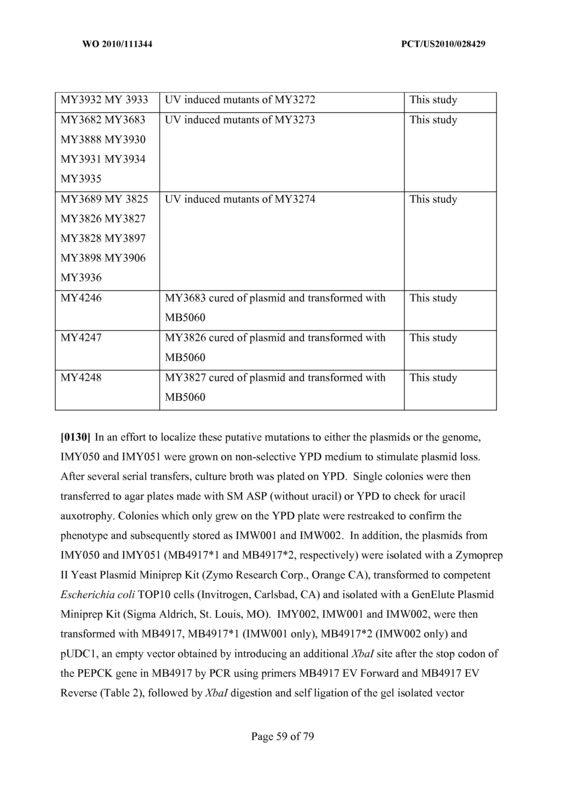 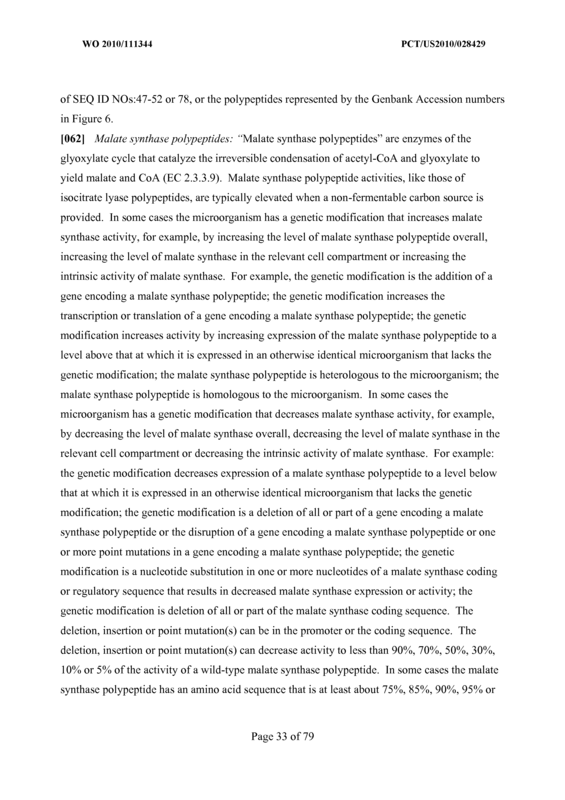 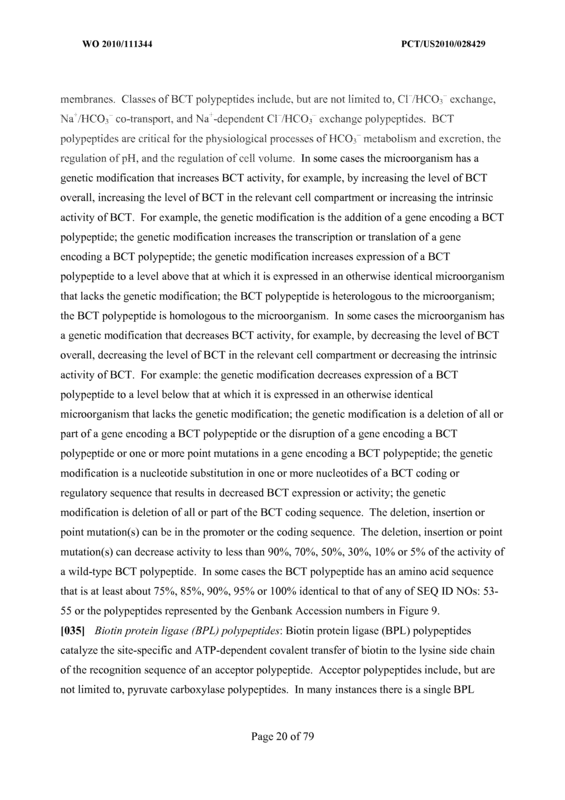 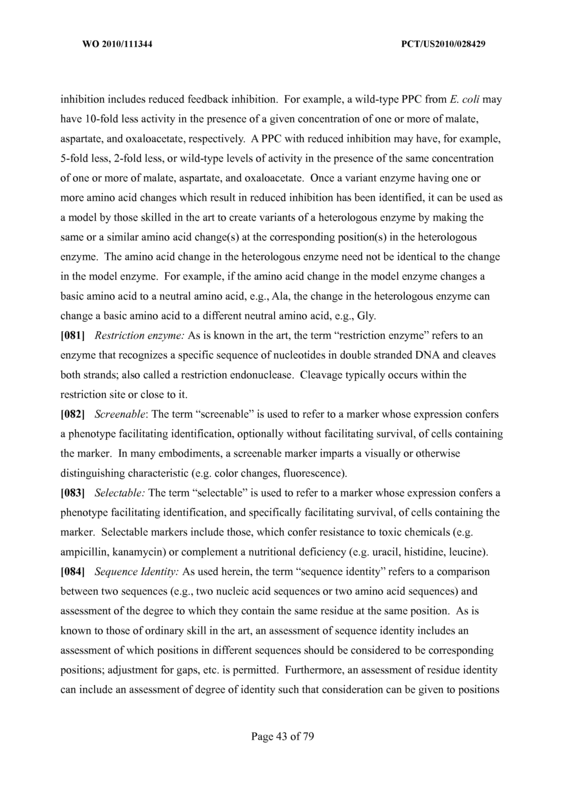 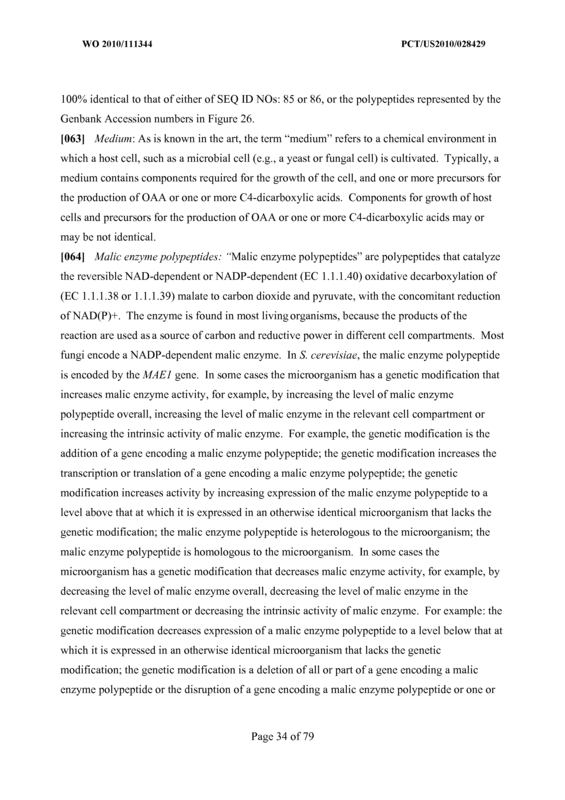 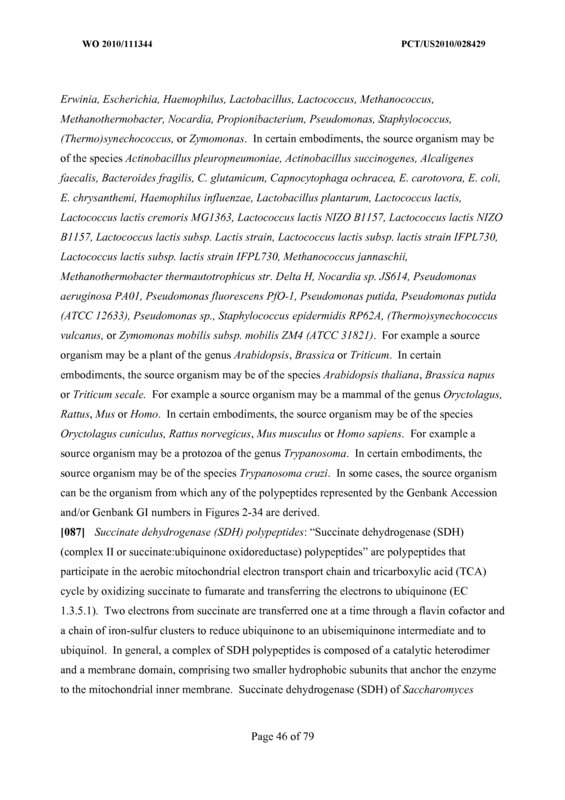 The recombinant microbial cell of any of claims 16-37 wherein the genetic modification that increases MTHl activity is increased activity or expression of an MTHl or MTH 1ΔT polypeptide that is either a) at least 80% identical to either of SEQ ID NOs: 45-46 or a polypeptide represented by a Genbank Accession number in Figure 8; or b) at least 90, 95, 100% identical to SEQ ID NO: 46 (S. cerevisiae MTH1ΔT). 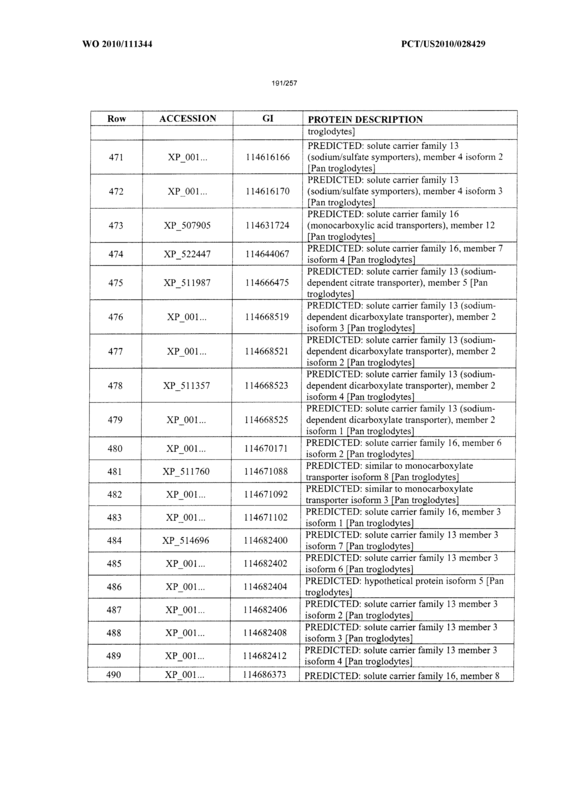 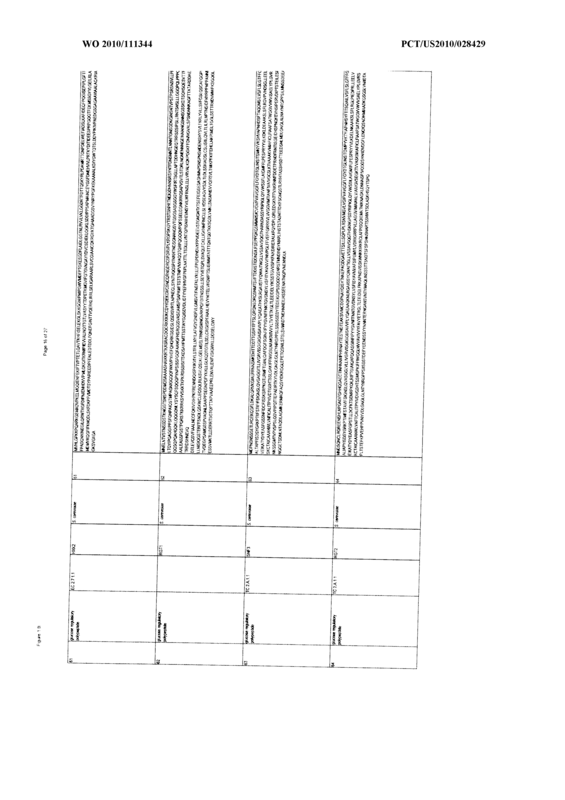 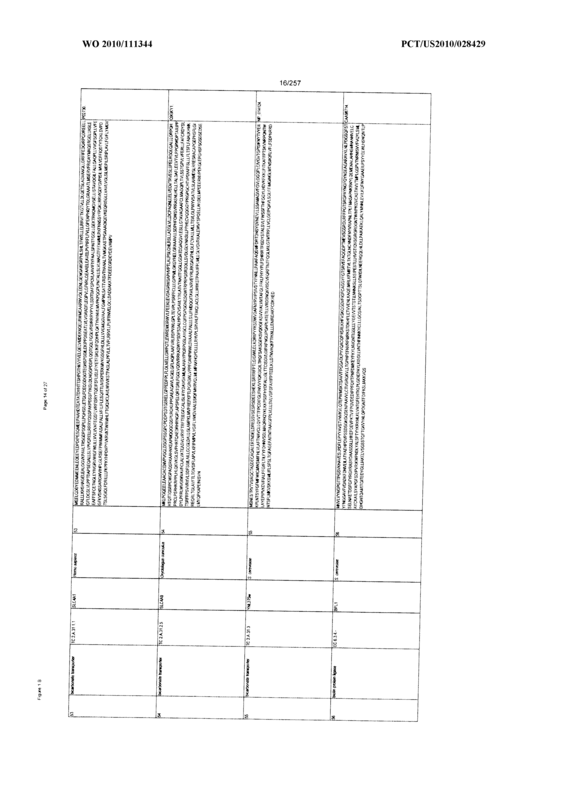 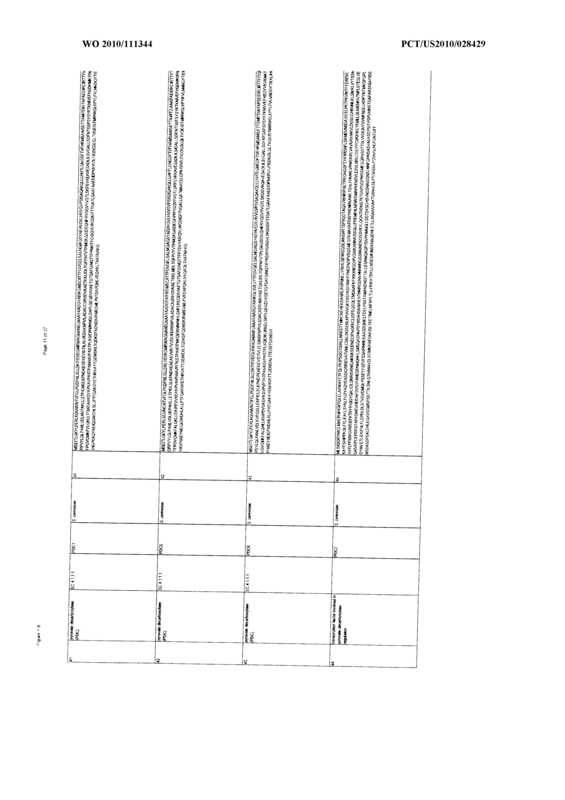 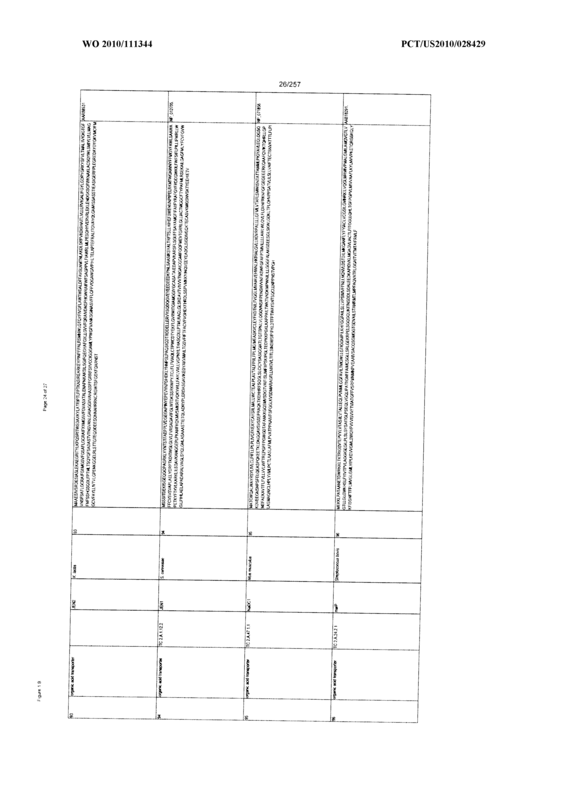 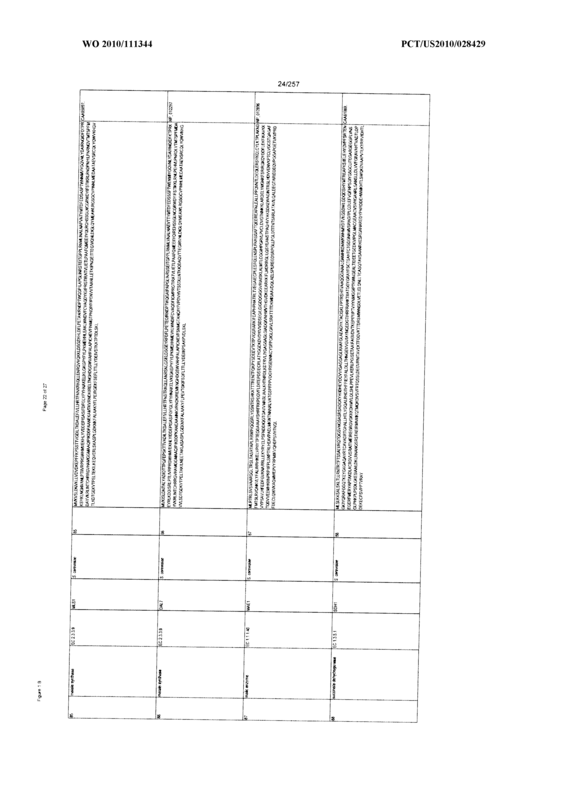 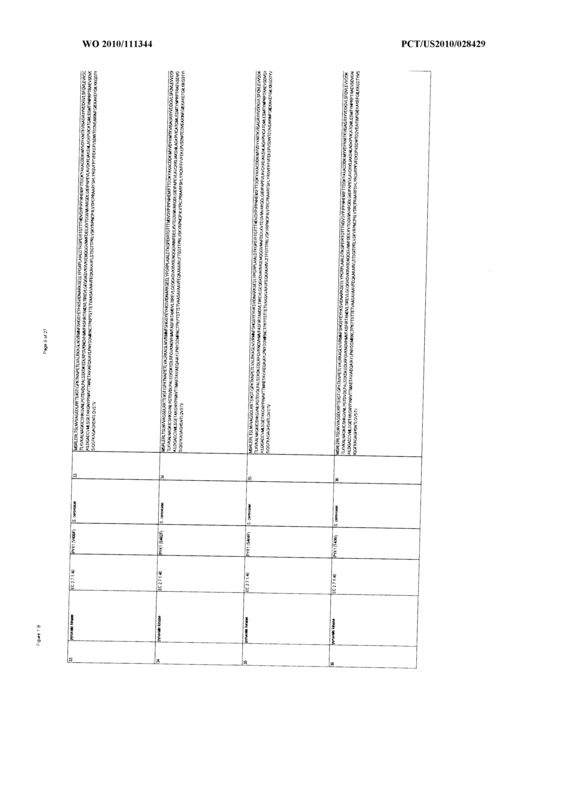 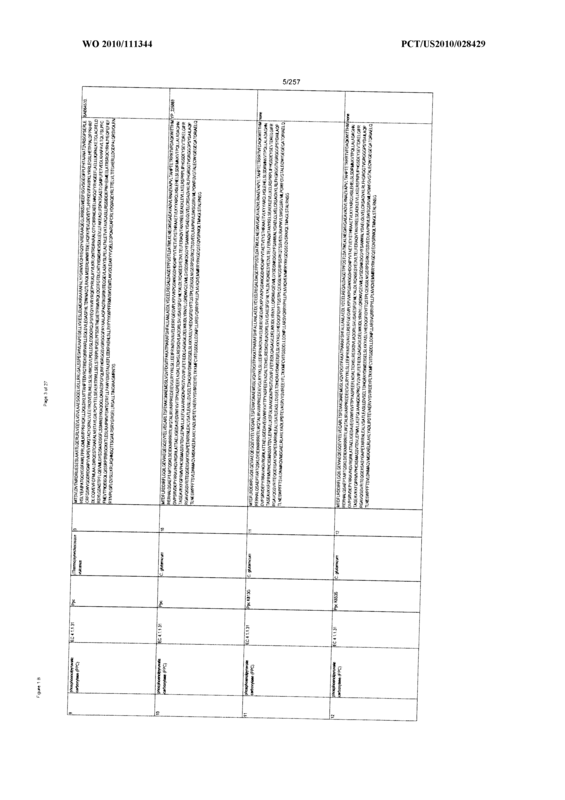 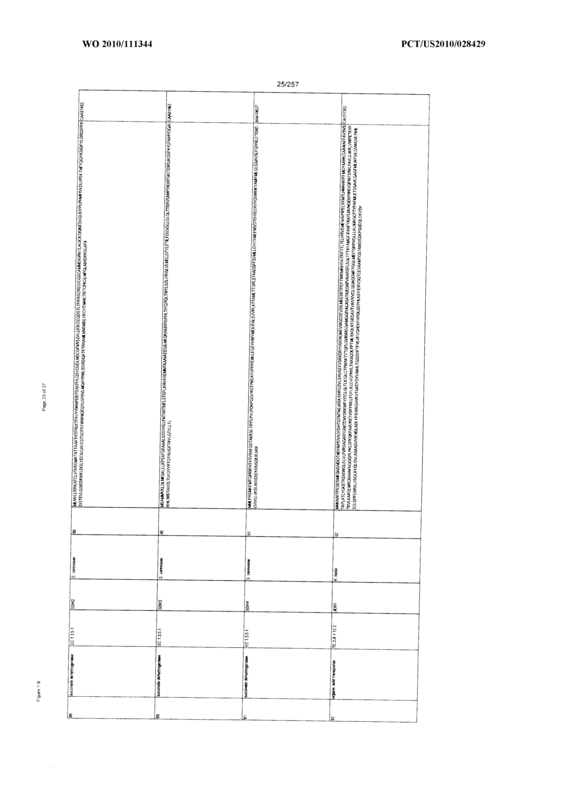 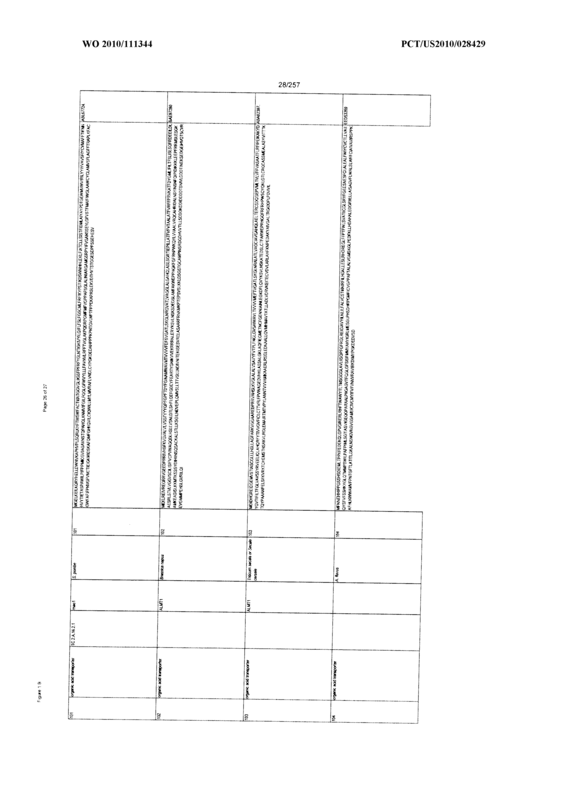 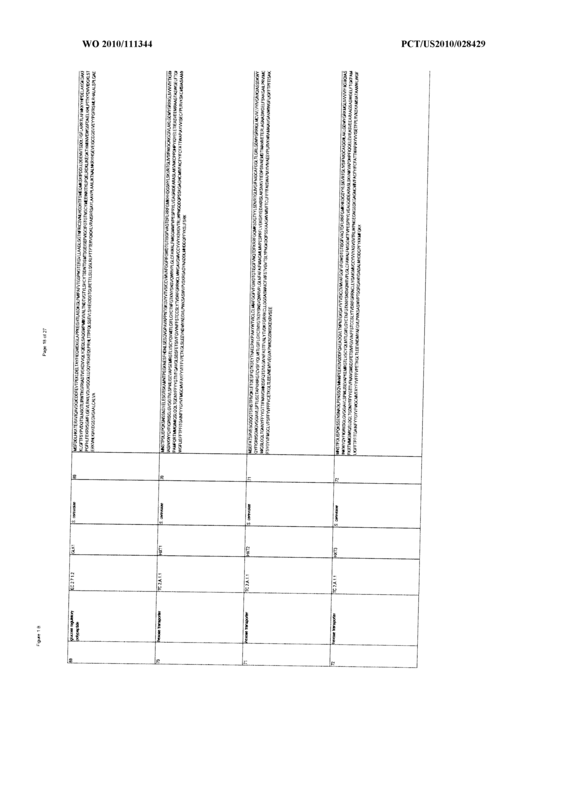 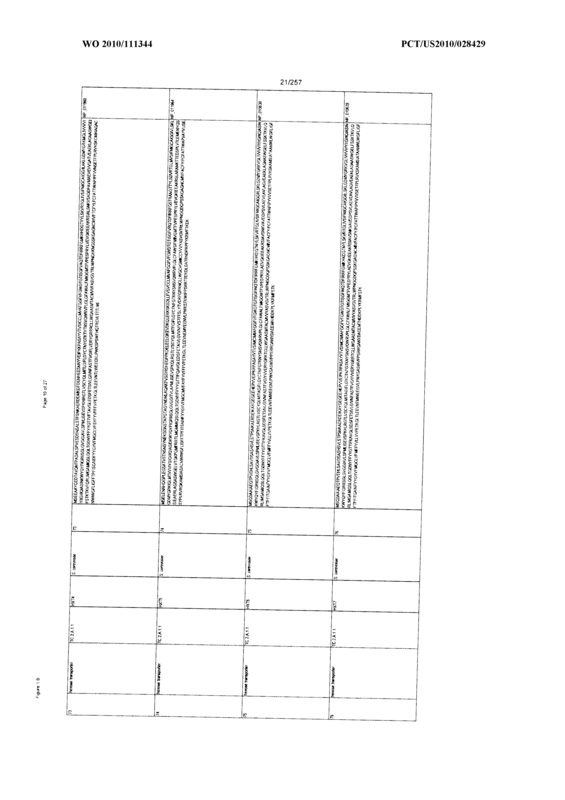 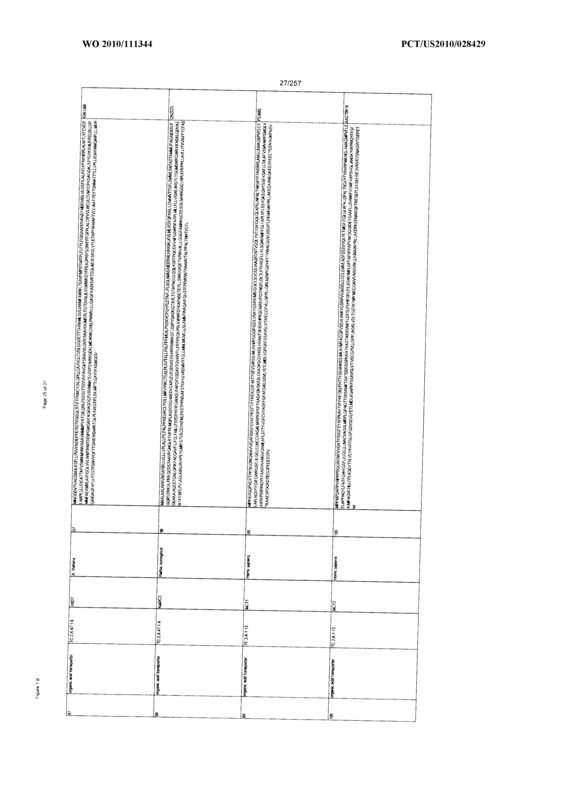 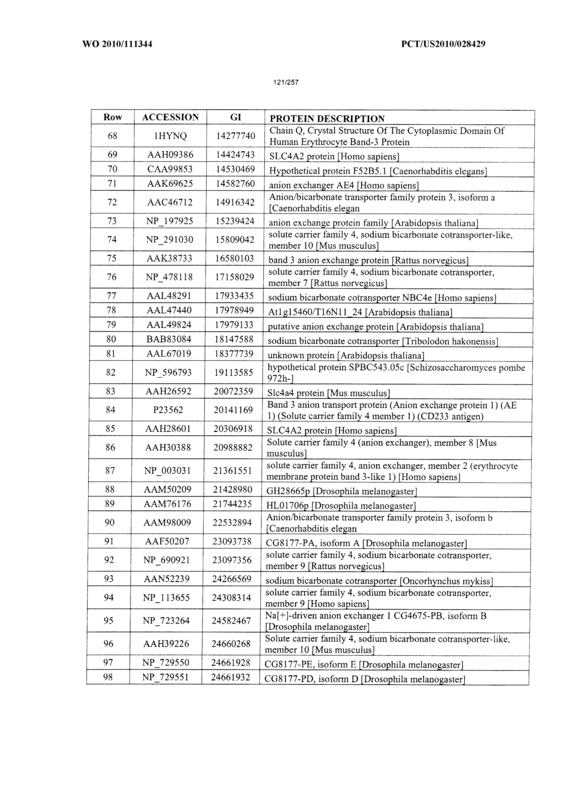 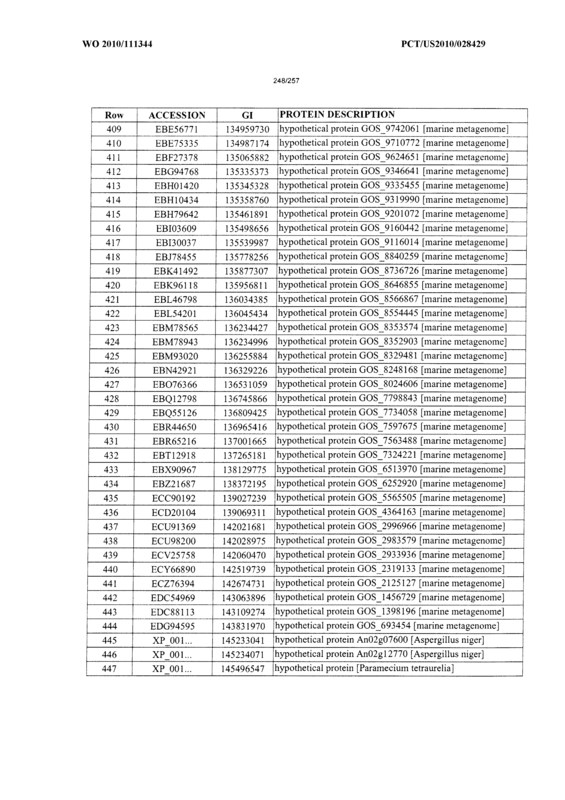 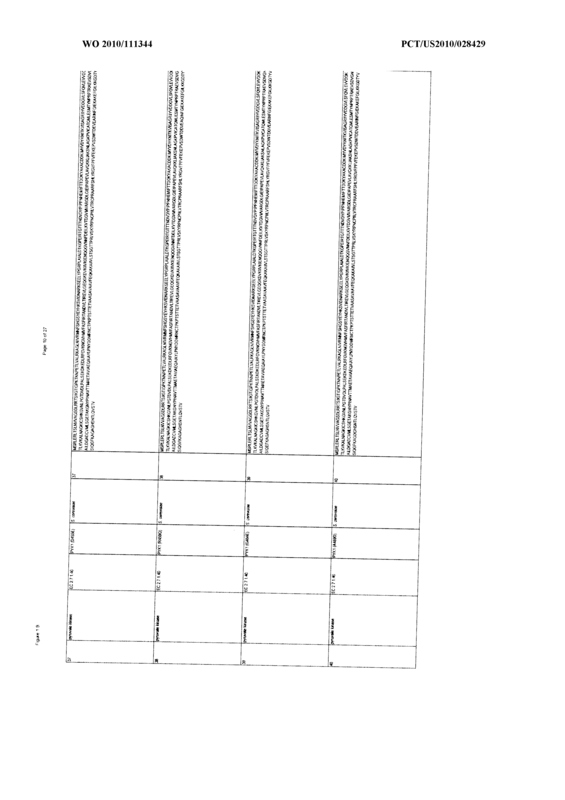 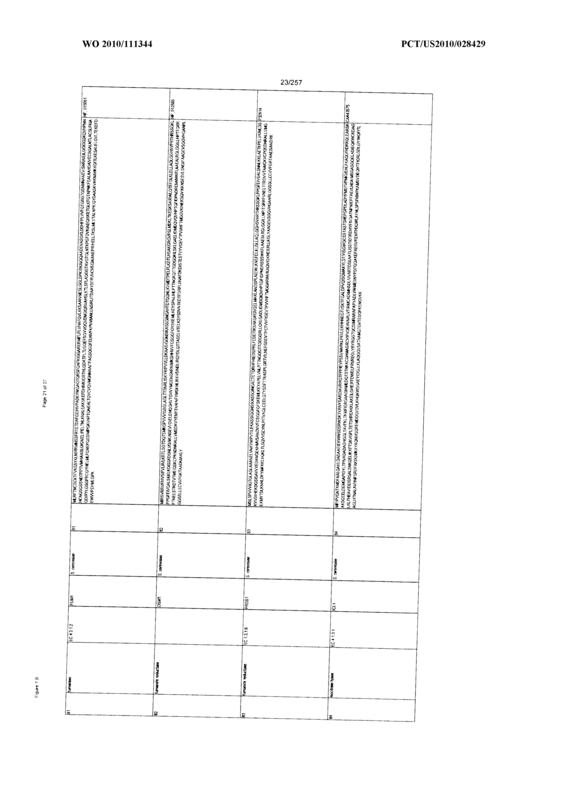 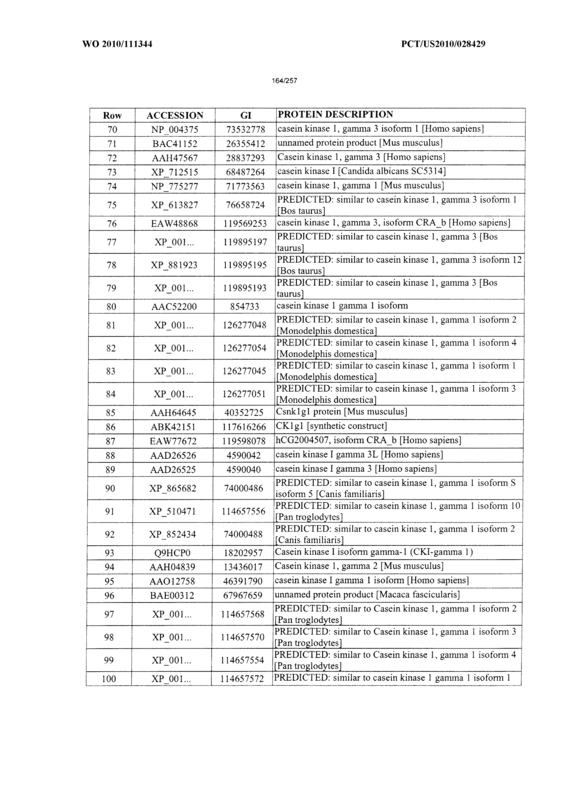 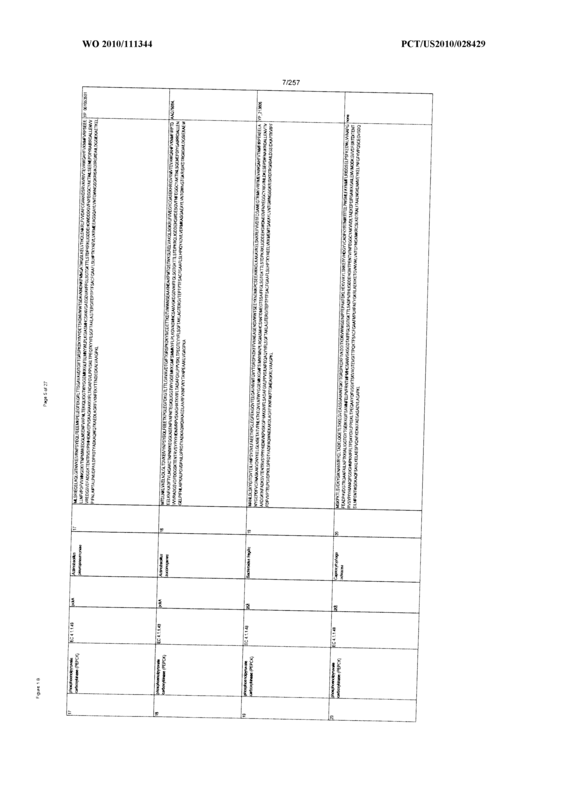 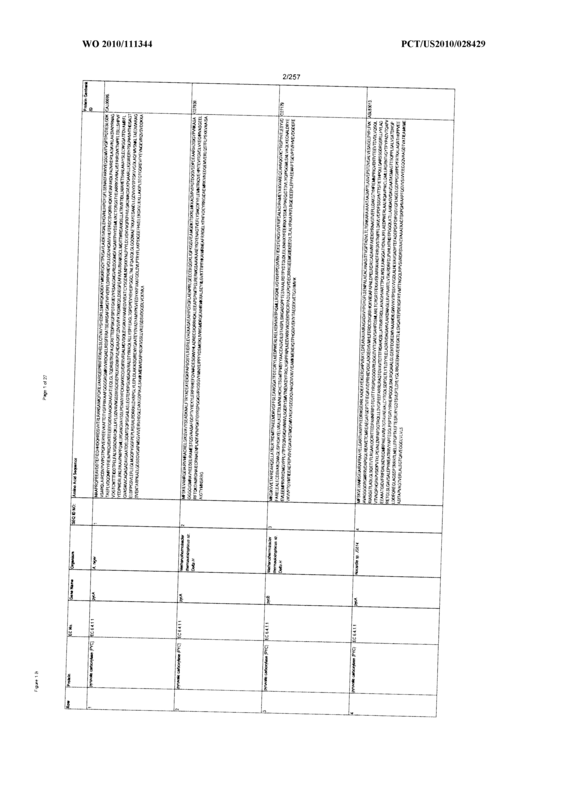 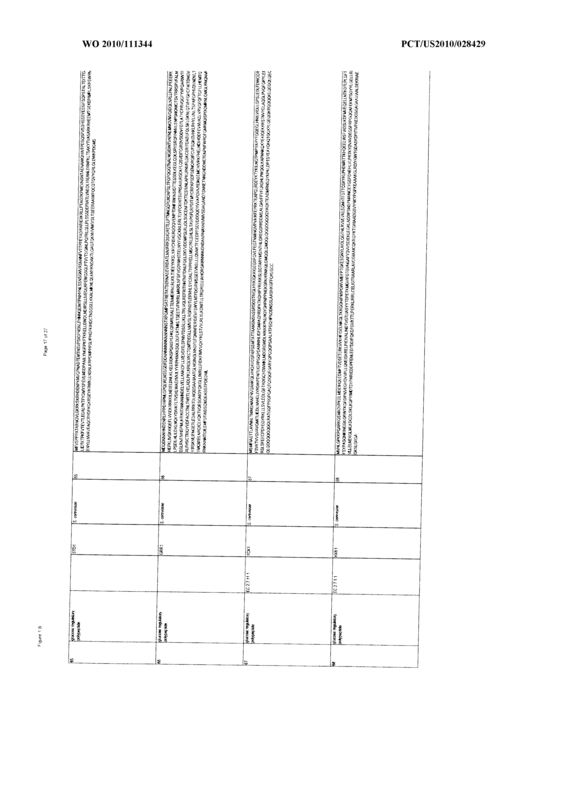 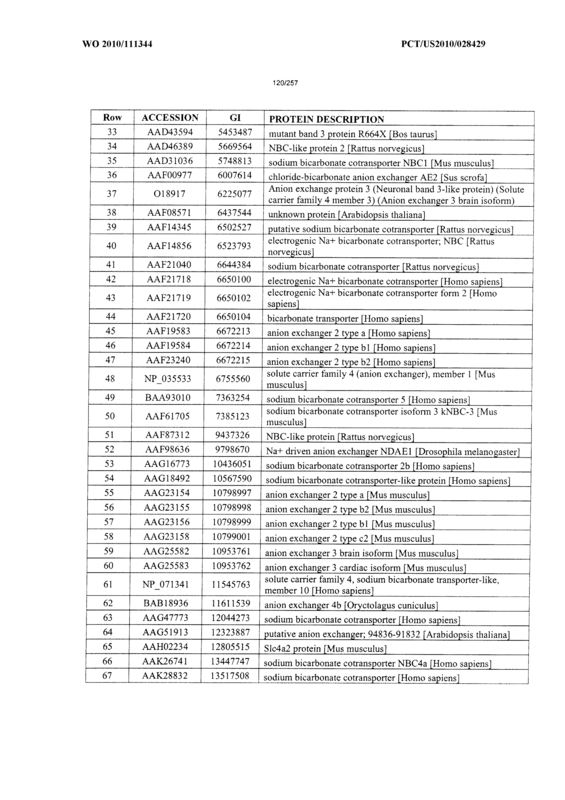 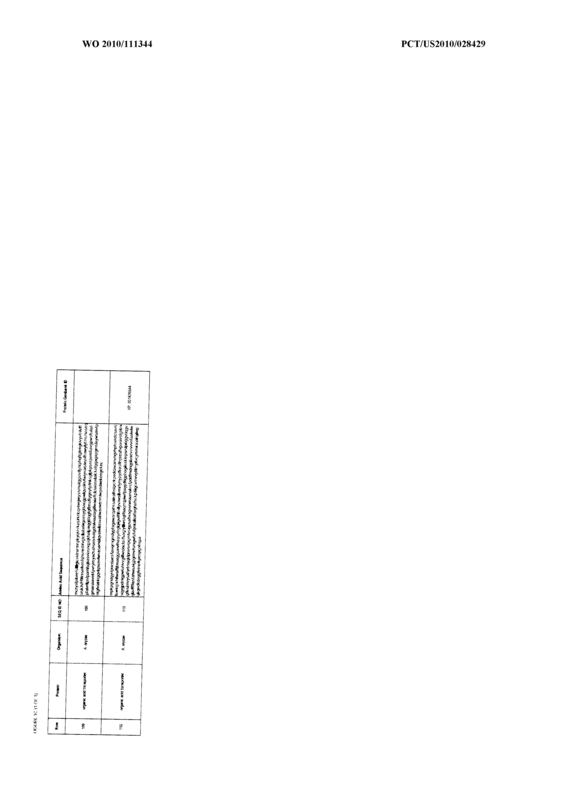 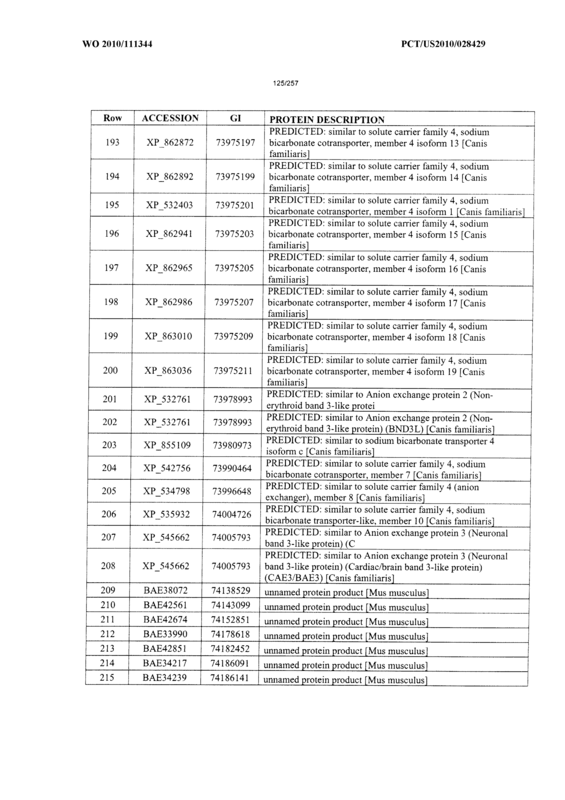 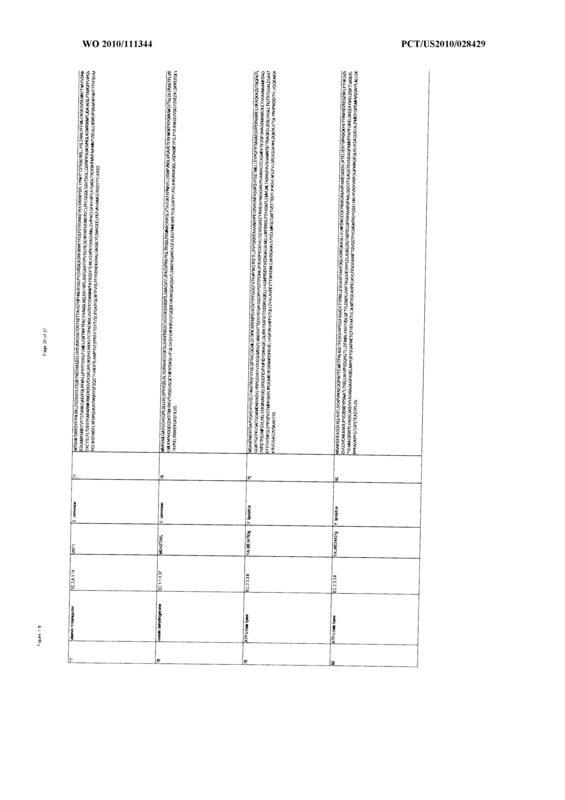 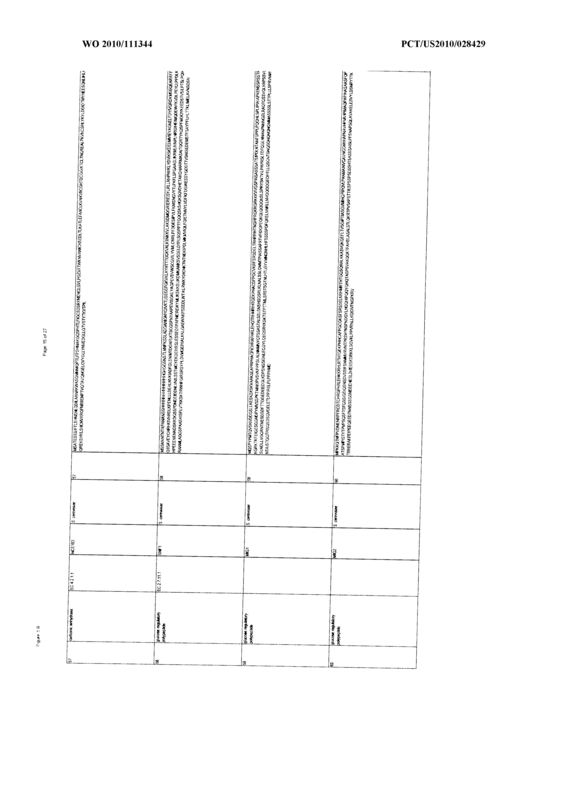 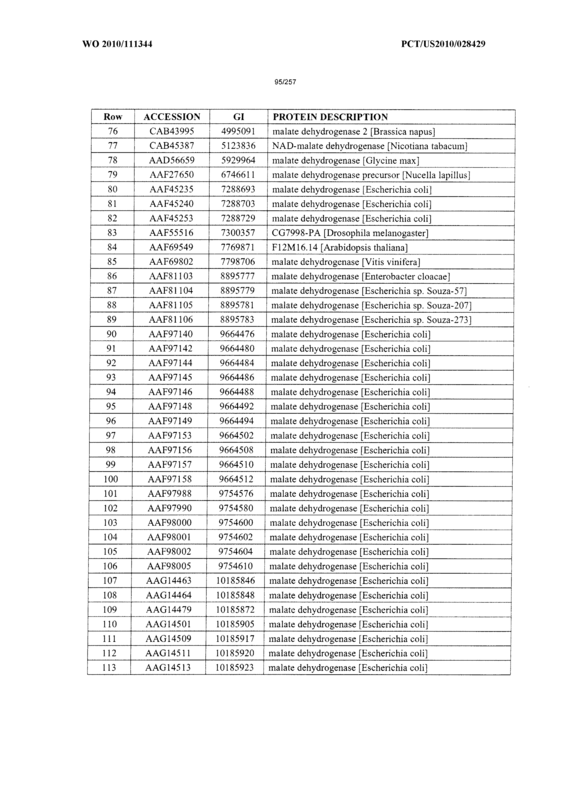 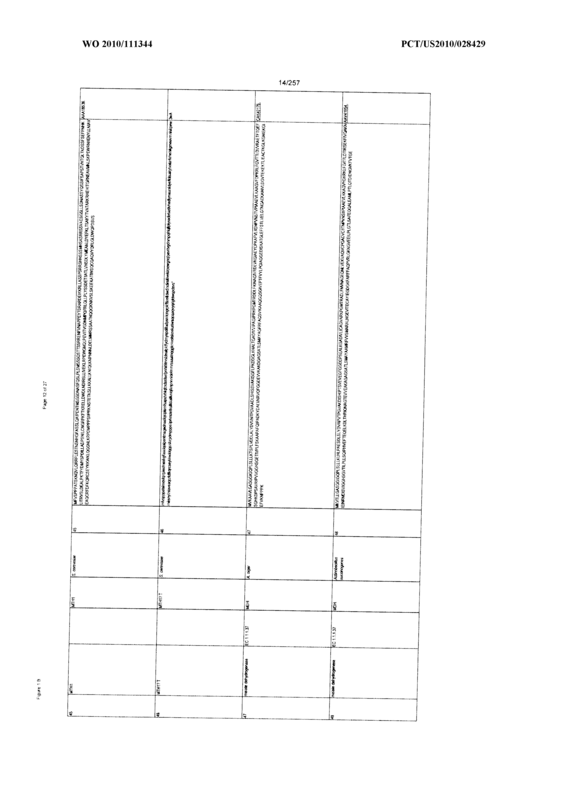 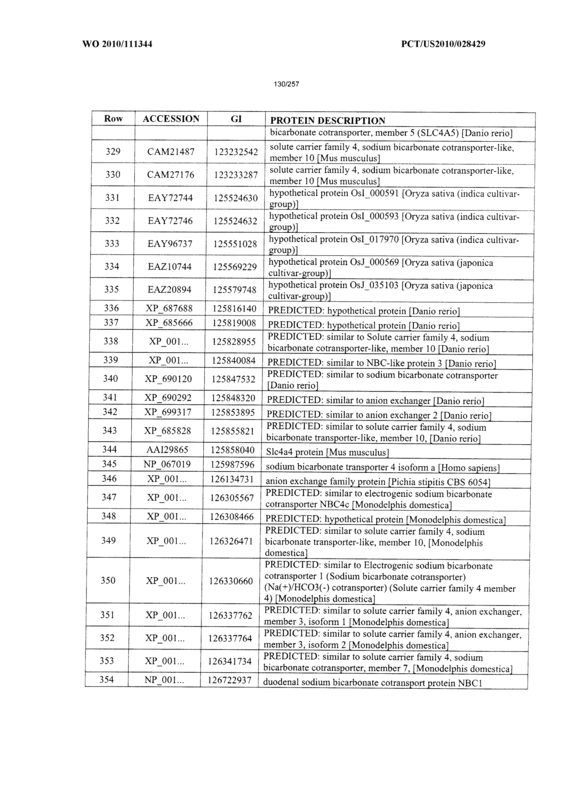 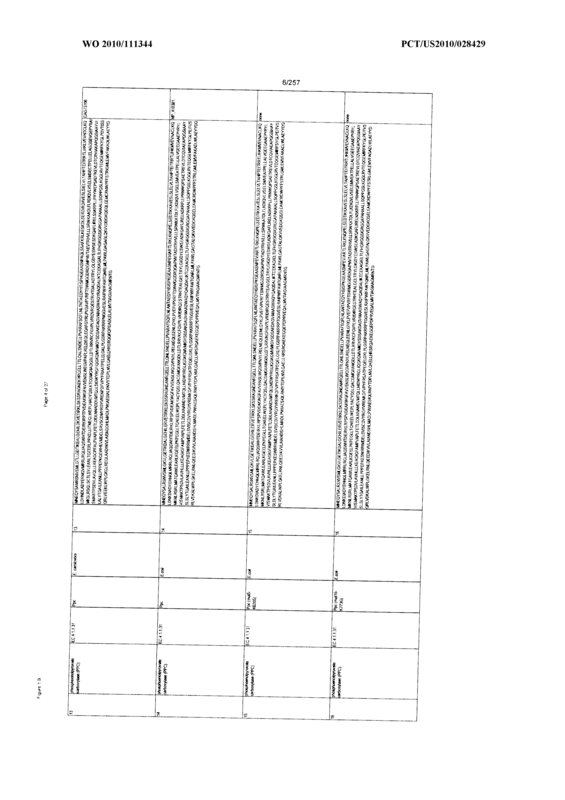 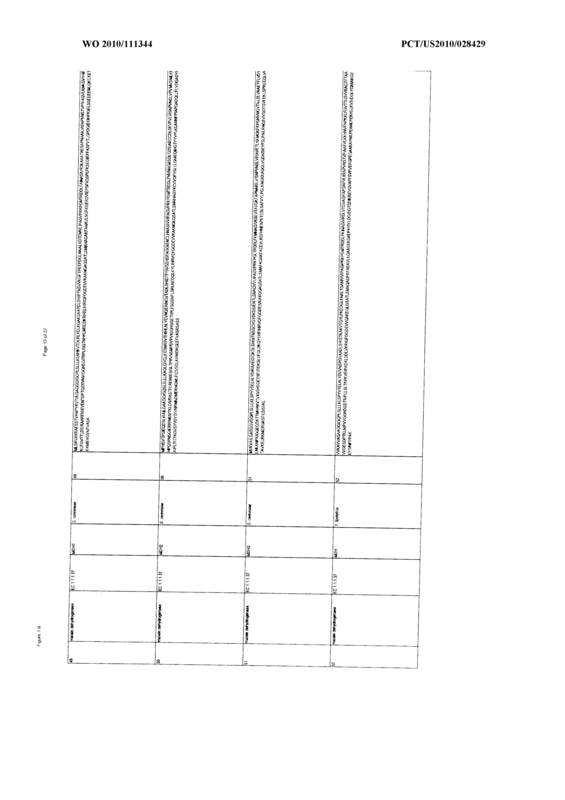 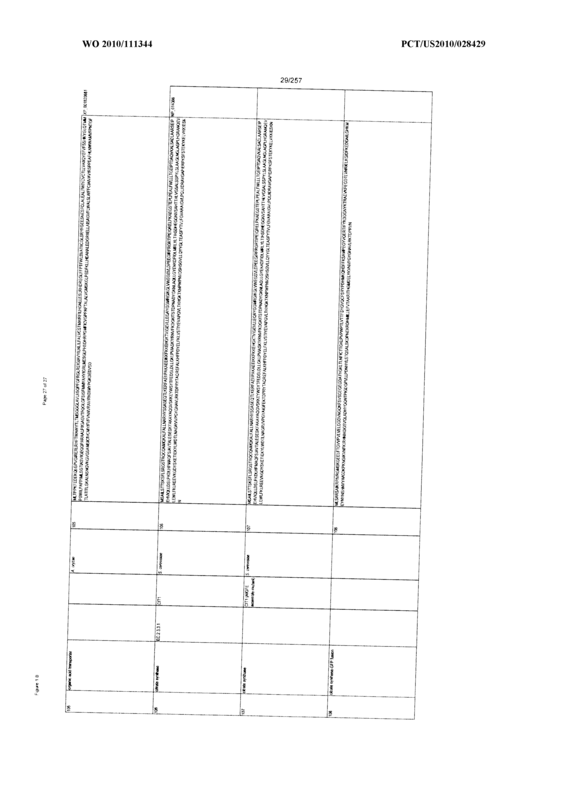 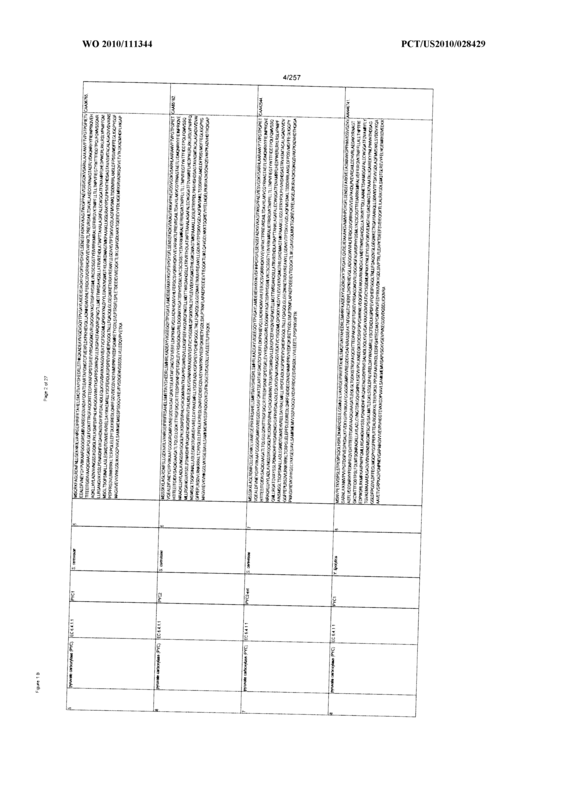 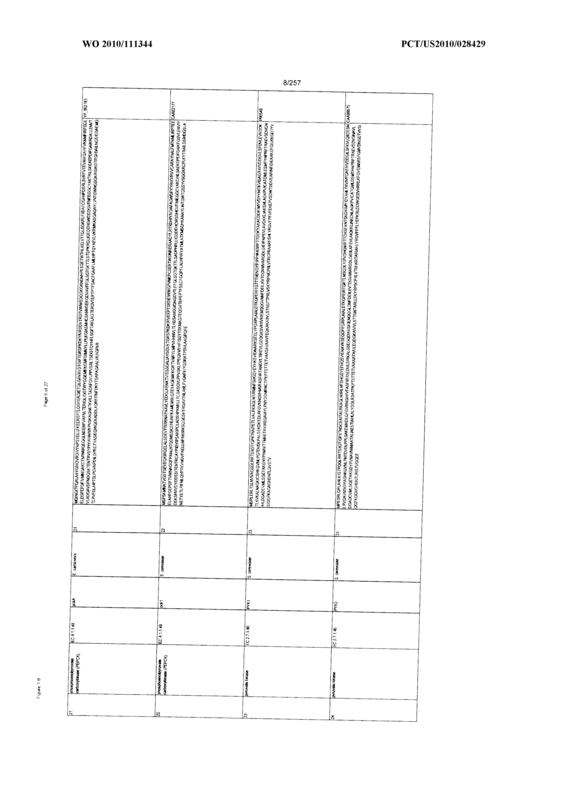 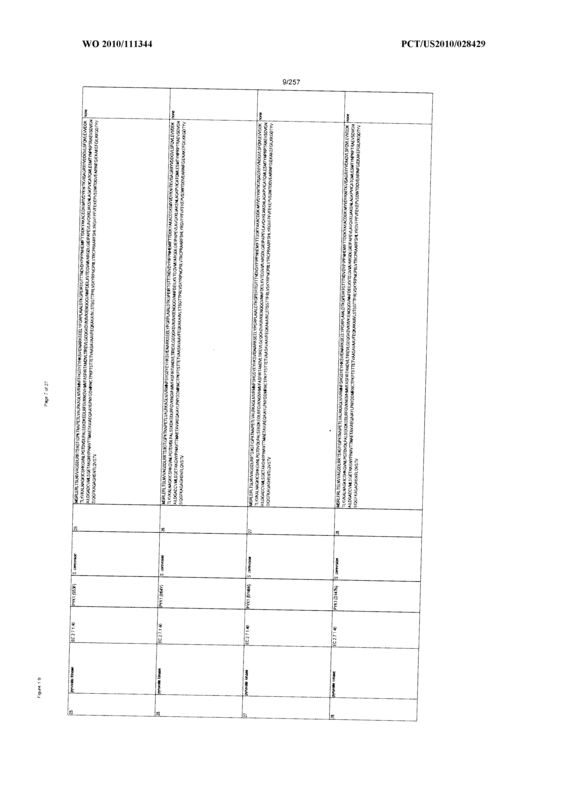 Genbank Accession number in Figure 6; or at least 90, 95, 100% identical to SEQ ID NO: 78 (MDH3ΔSKL). 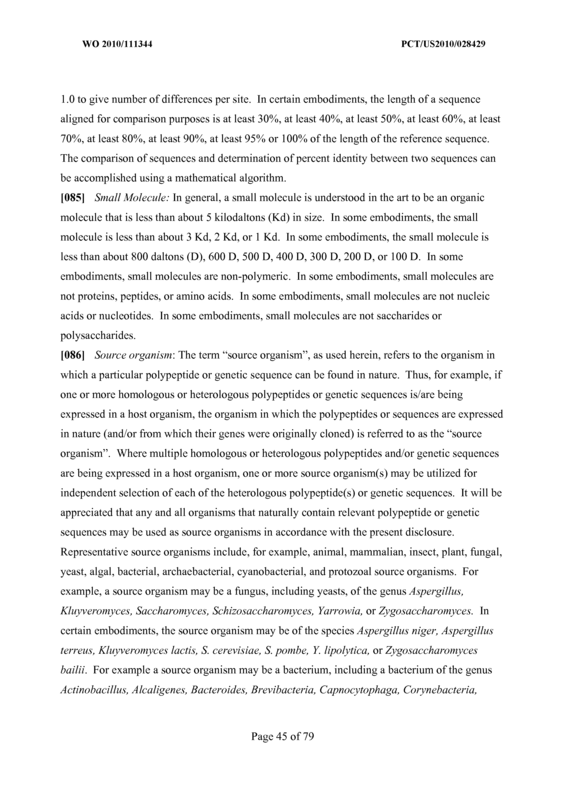 The recombinant microbial cell of any of claims 16-39 wherein the organic acid transporter polypeptide is at least 80% identical to any of SEQ ID NOs: 92-105, 109, 110 or a polypeptide represented by a Genbank Accession number in Figure 25. 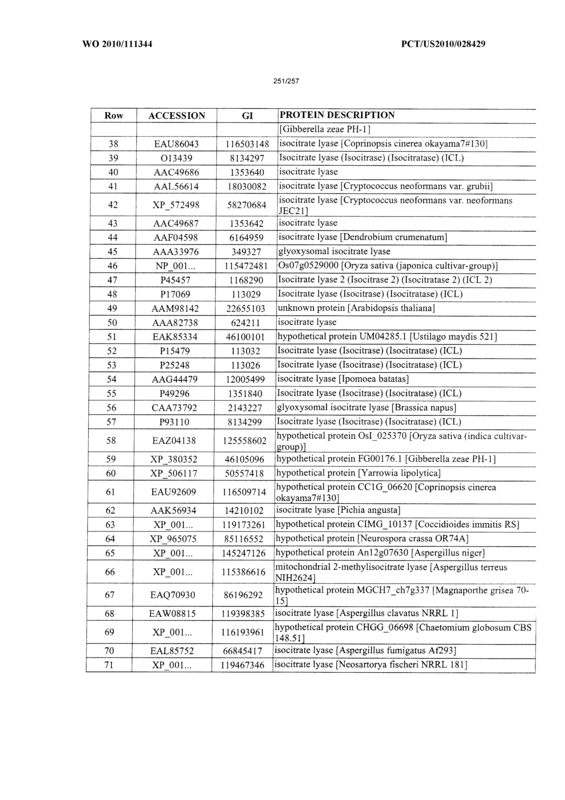 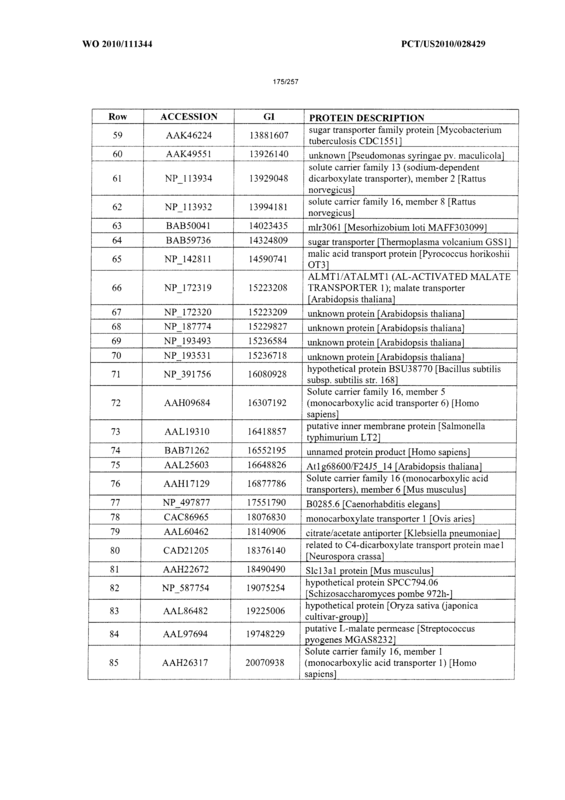 The recombinant microbial cell of claim 40 wherein the organic acid transporter polypeptide is at least 90, 95, 96, 97, 98, 99, or 100% identical to SEQ ID NO: 101 (S. pombe MAEl). 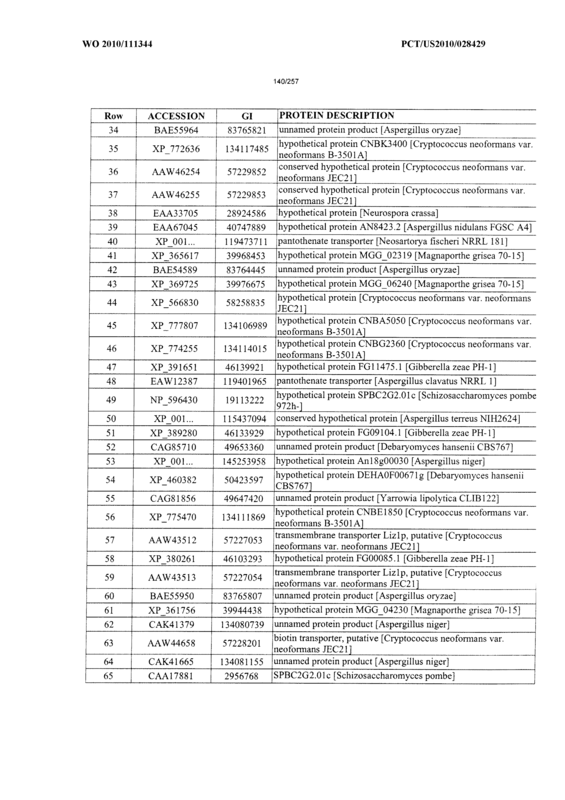 The recombinant microbial cell of claim 40 wherein the organic acid transporter polypeptide is at least 90, 95, 96, 97, 98, 99, or 100% identical to SEQ ID NO: 105 (A. oryzae OAT). 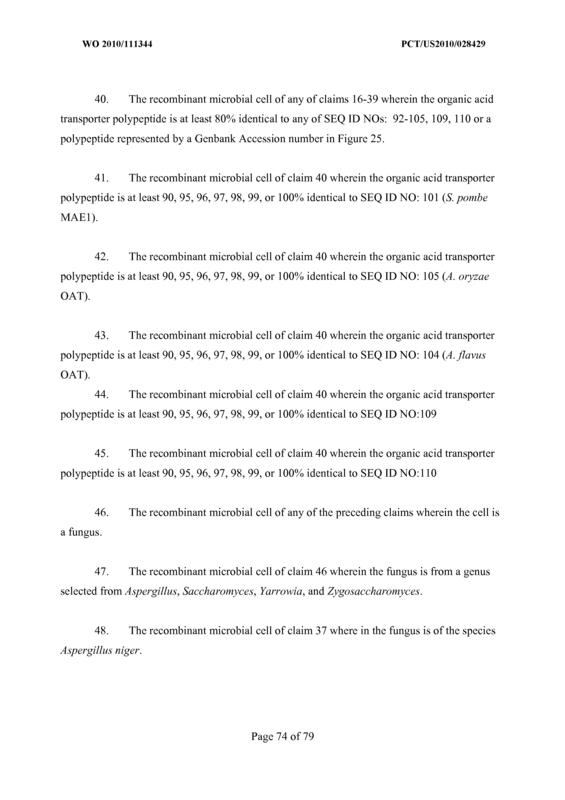 The recombinant microbial cell of claim 40 wherein the organic acid transporter polypeptide is at least 90, 95, 96, 97, 98, 99, or 100% identical to SEQ ID NO: 104 (A.flavus OAT). 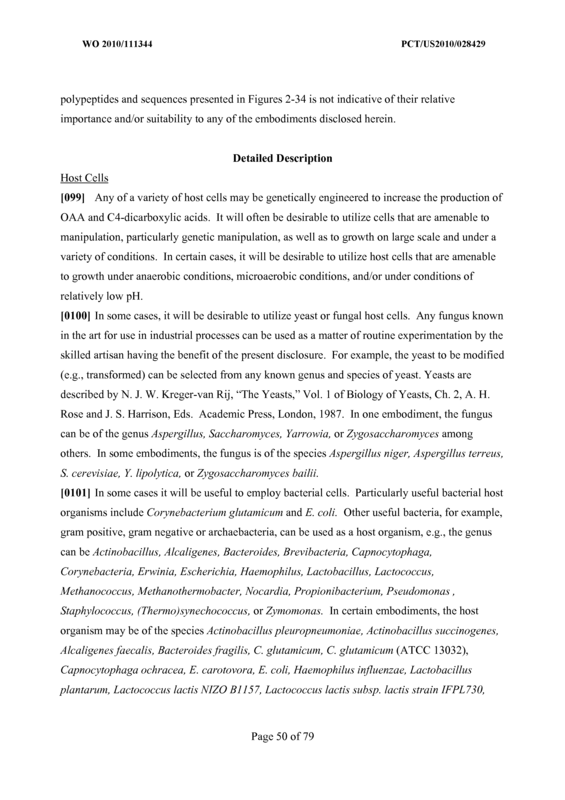 The recombinant microbial cell of any of the preceding claims wherein the cell is a fungus. 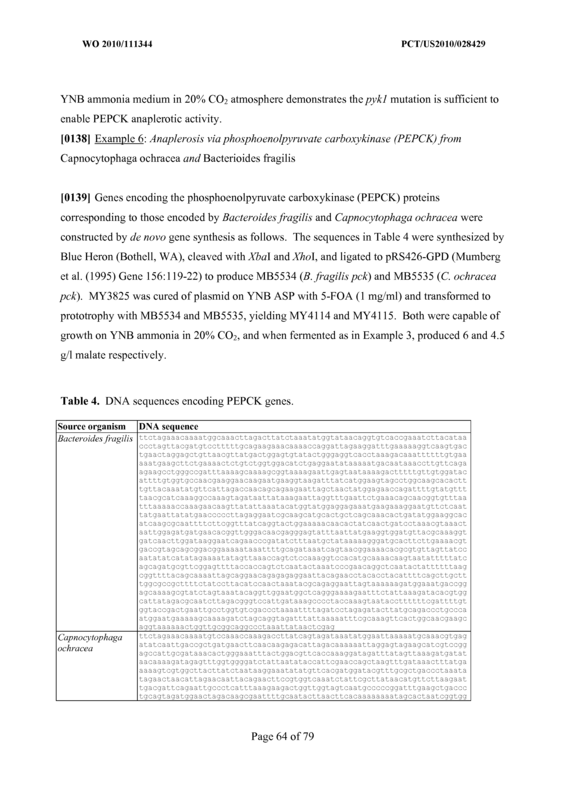 The recombinant microbial cell of claim 46 wherein the fungus is from a genus selected from Aspergillus, Saccharomyces, Yarrowia, and Zygosaccharomyces. 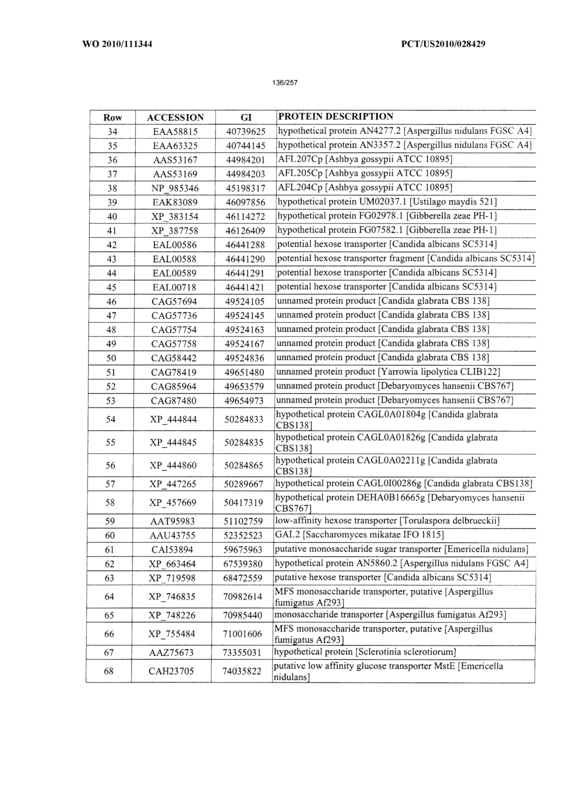 The recombinant microbial cell of claim 37 where in the fungus is of the species Aspergillus niger. 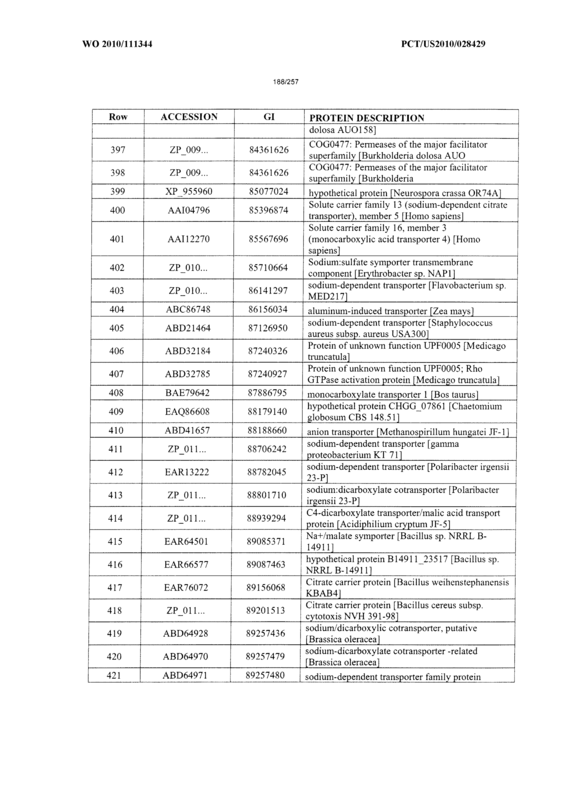 The recombinant microbial cell of claim 47 where in the fungus is of the species Aspergillus terreus. 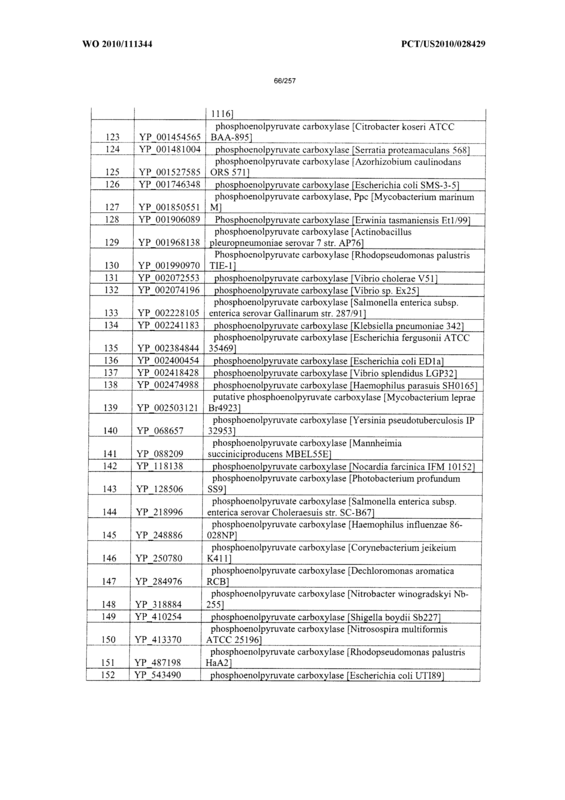 The recombinant microbial cell of claim 47 where in the fungus is of the species Yarrowia lipolytica. 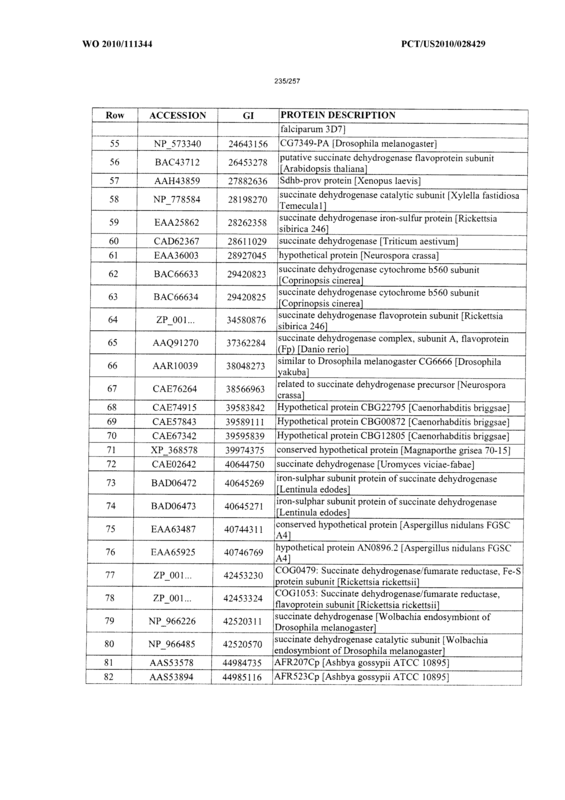 The recombinant microbial cell of claim 47 where in the fungus is of the species Zygosaccharomyces bailii. 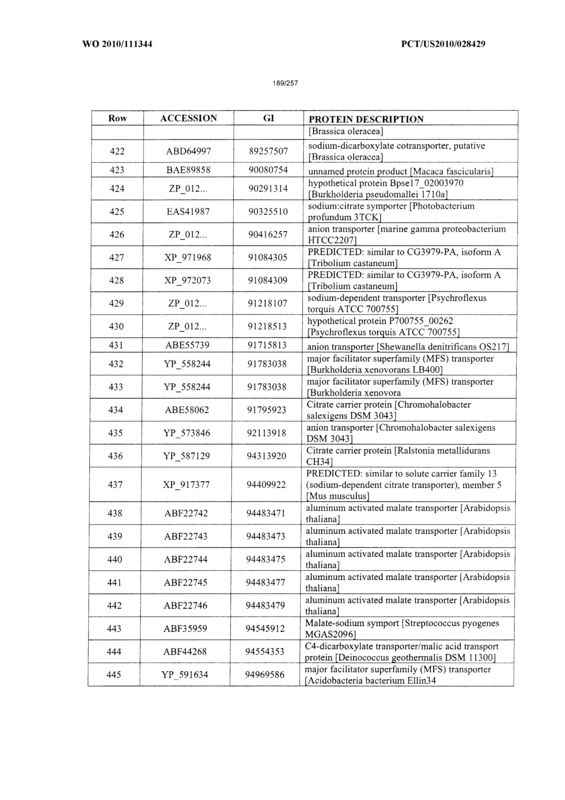 The recombinant microbial cell of claim 47 where in the fungus is of the species Saccharomyces cerevisiae. 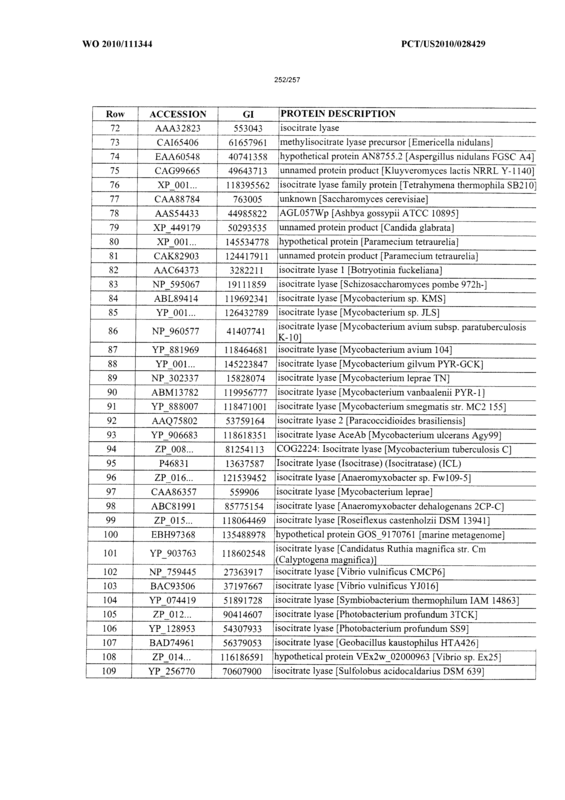 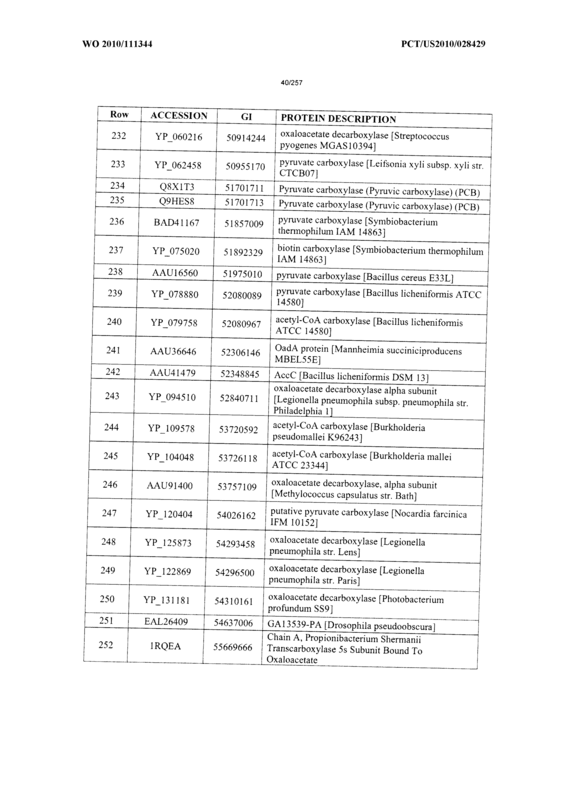 53 The recombinant microbial cell of claim 52 where in the Saccharomyces cerevisiae is TAM, Lp4f, m850, RWB837, MY2928, MY3825, MY3826 or derivatives thereof. 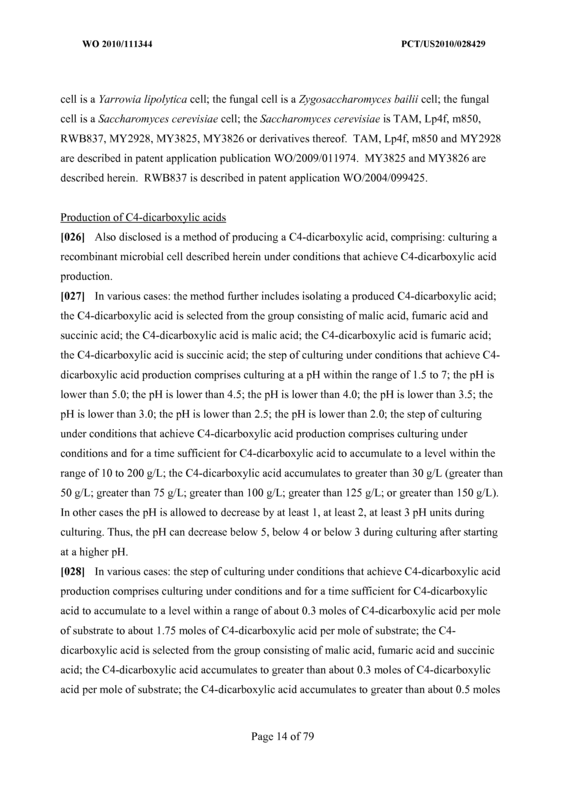 A method of producing a C4-dicarboxylic acid comprising: cultivating a recombinant microbial cell of any one of the preceding claims under conditions that achieve C4- dicarboxylic acid production. 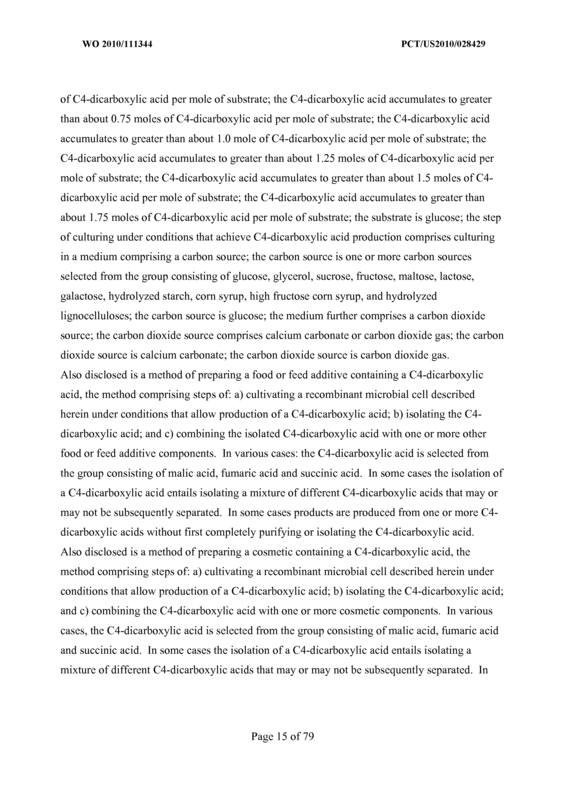 The method of claim 54, further comprising a step of isolating the C4- dicarboxylic acid. 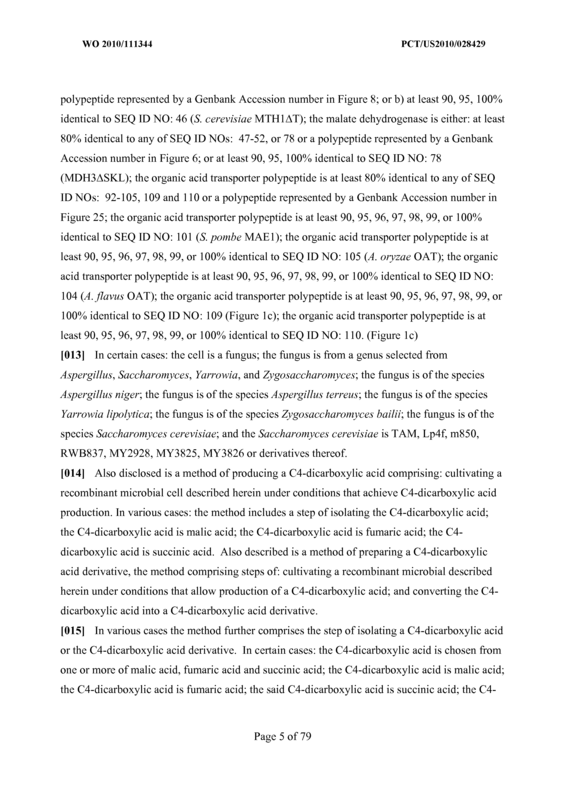 The method of claim 54 or 55 where in the C4-dicarboxylic acid is malic acid. 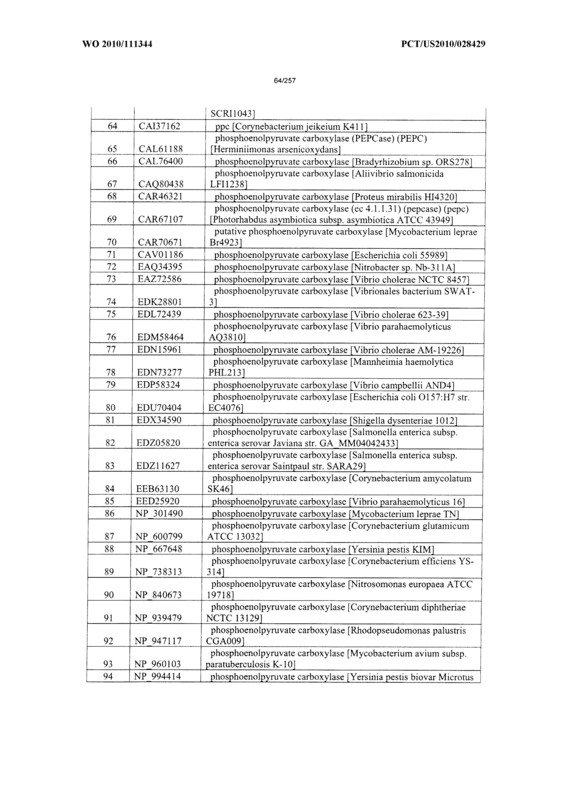 The method of claim 54 or 55 where in the C4-dicarboxylic acid is fumaric acid. 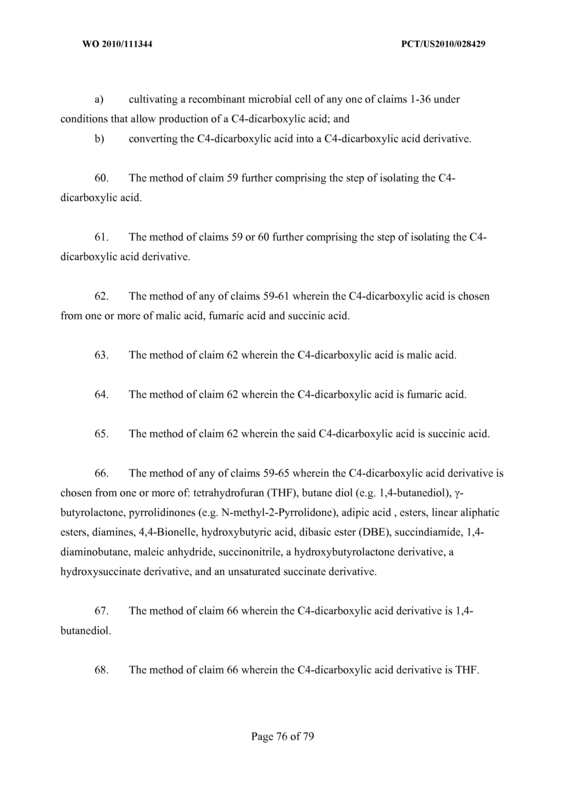 The method of claim 54 or 55 where in the C4-dicarboxylic acid is succinic acid. 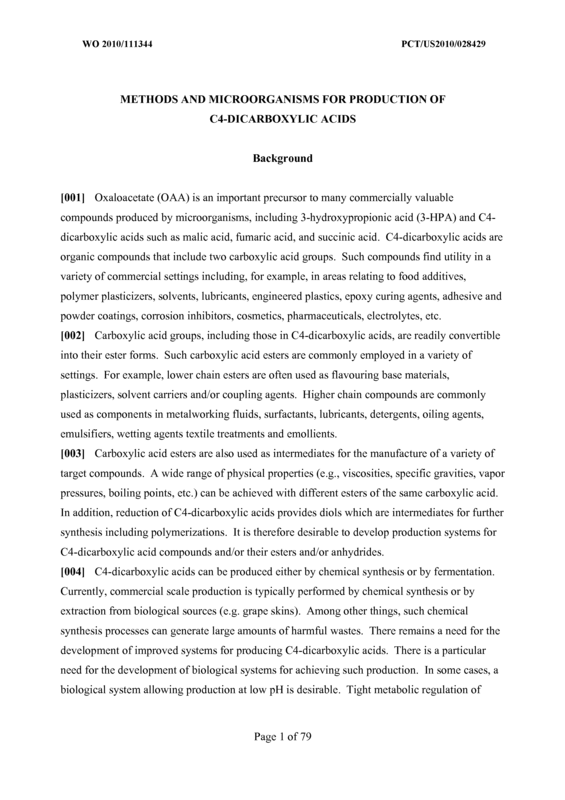 A method of preparing a C4-dicarboxylic acid derivative, the method comprising steps of: a) cultivating a recombinant microbial cell of any one of claims 1-36 under conditions that allow production of a C4-dicarboxylic acid; and b) converting the C4-dicarboxylic acid into a C4-dicarboxylic acid derivative. 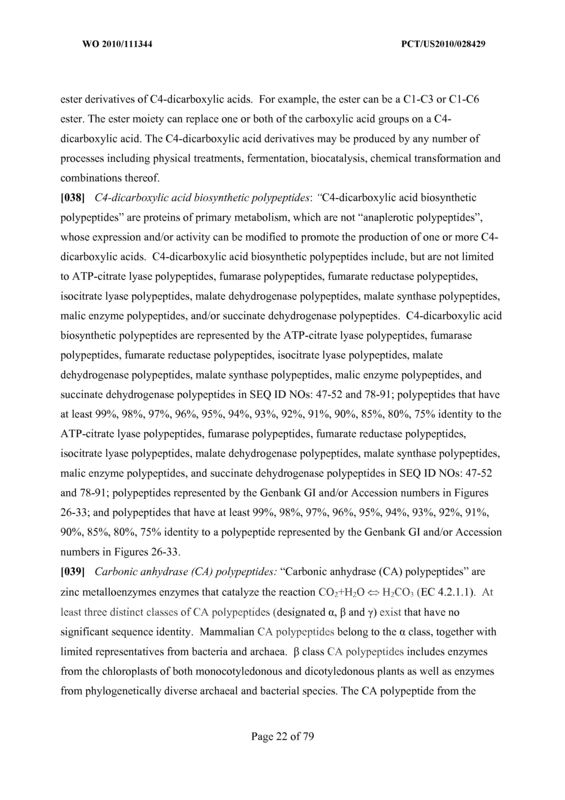 The method of claim 59 further comprising the step of isolating the C4- dicarboxylic acid. 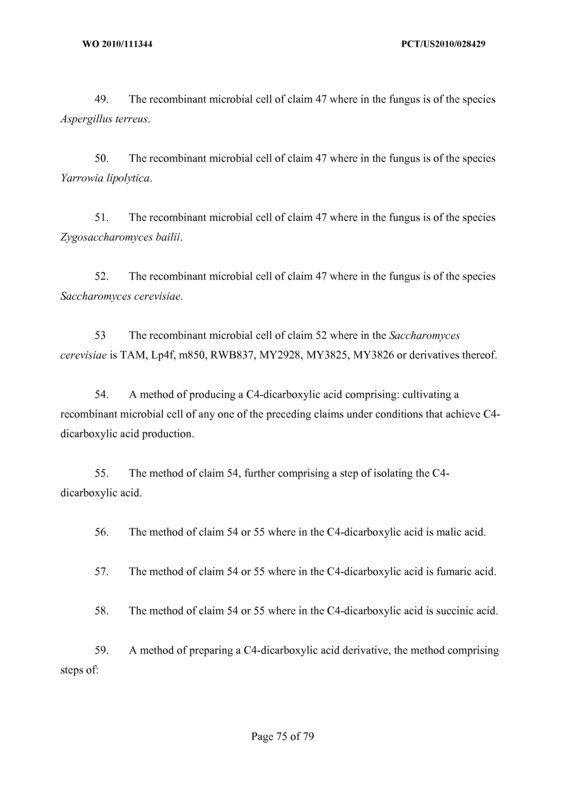 The method of claims 59 or 60 further comprising the step of isolating the C4- dicarboxylic acid derivative. 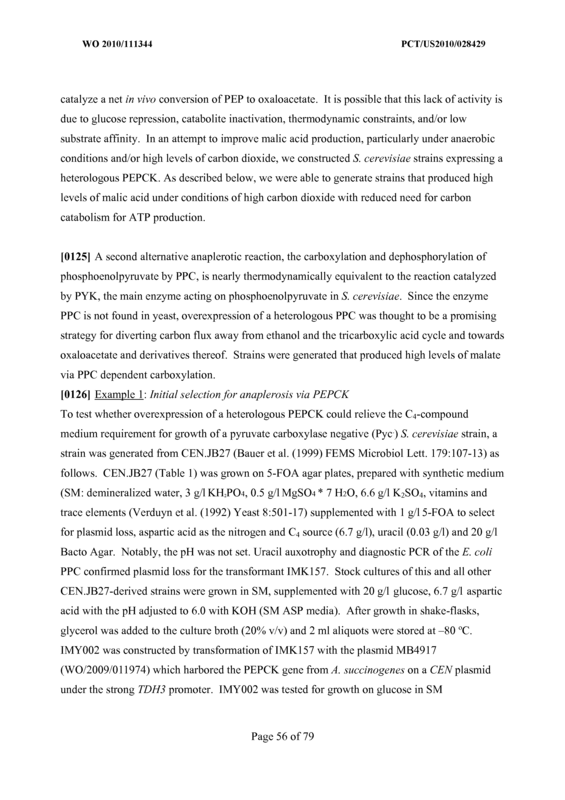 The method of any of claims 59-61 wherein the C4-dicarboxylic acid is chosen from one or more of malic acid, fumaric acid and succinic acid. 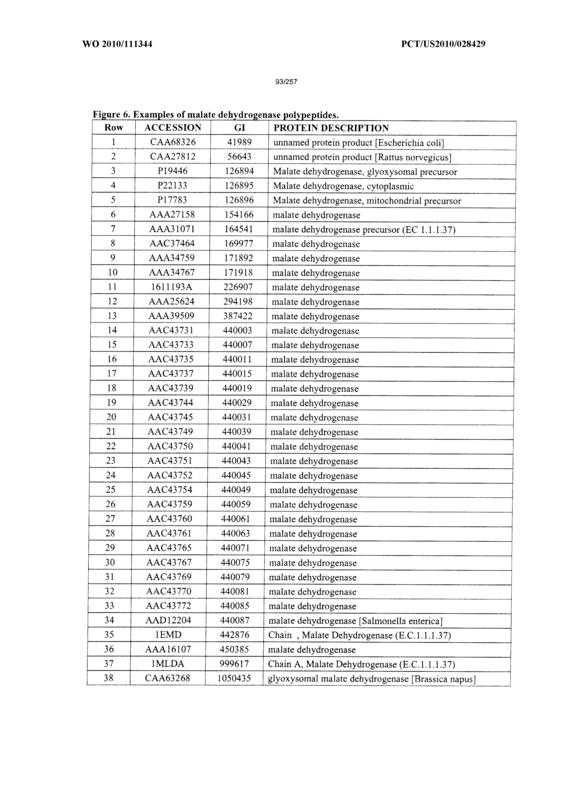 The method of claim 62 wherein the C4-dicarboxylic acid is malic acid. 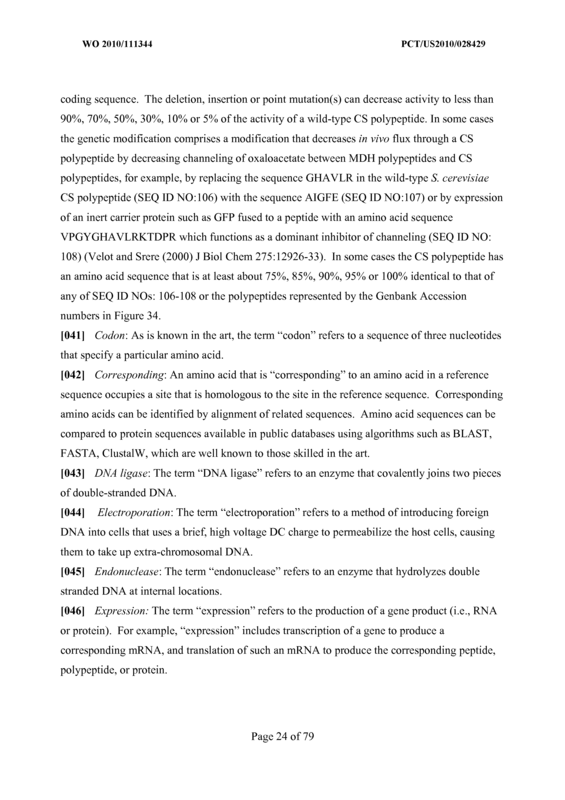 The method of claim 62 wherein the C4-dicarboxylic acid is fumaric acid. 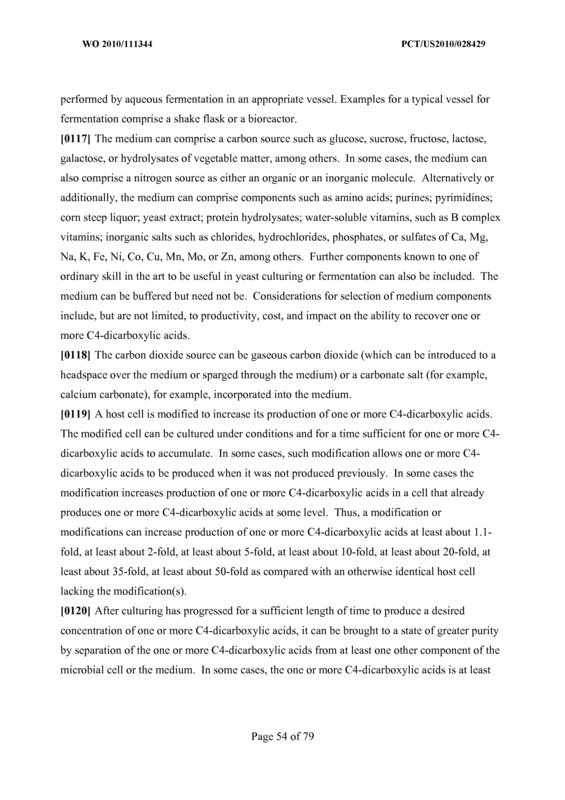 The method of claim 62 wherein the said C4-dicarboxylic acid is succinic acid. 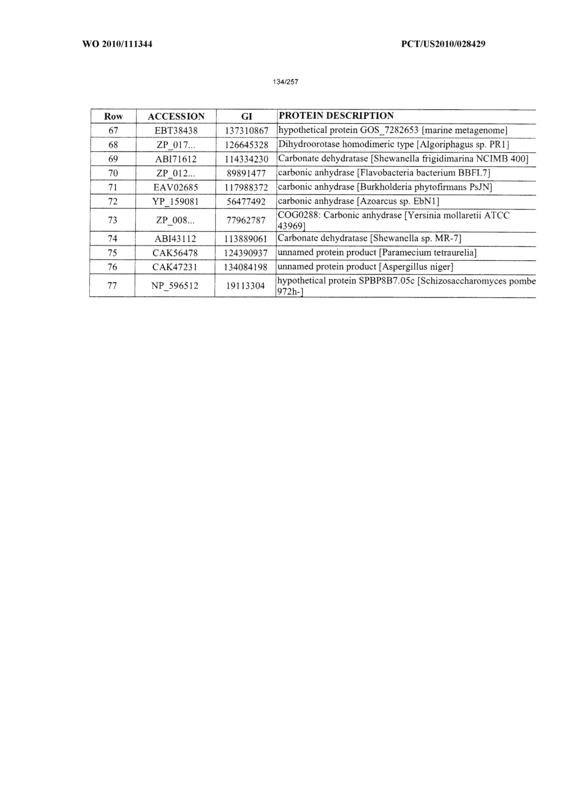 The method of any of claims 59-65 wherein the C4-dicarboxylic acid derivative is chosen from one or more of: tetrahydrofuran (THF), butane diol (e.g. 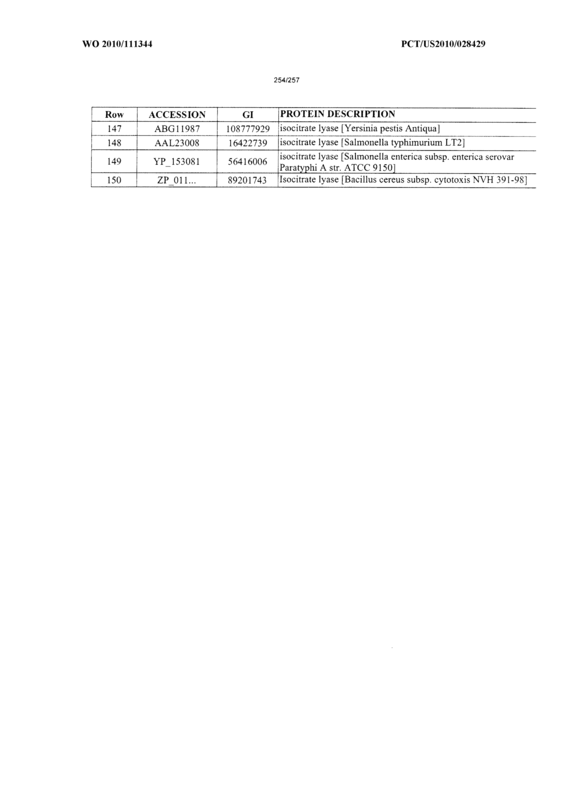 1,4-butanediol), γ- butyrolactone, pyrrolidinones (e.g. 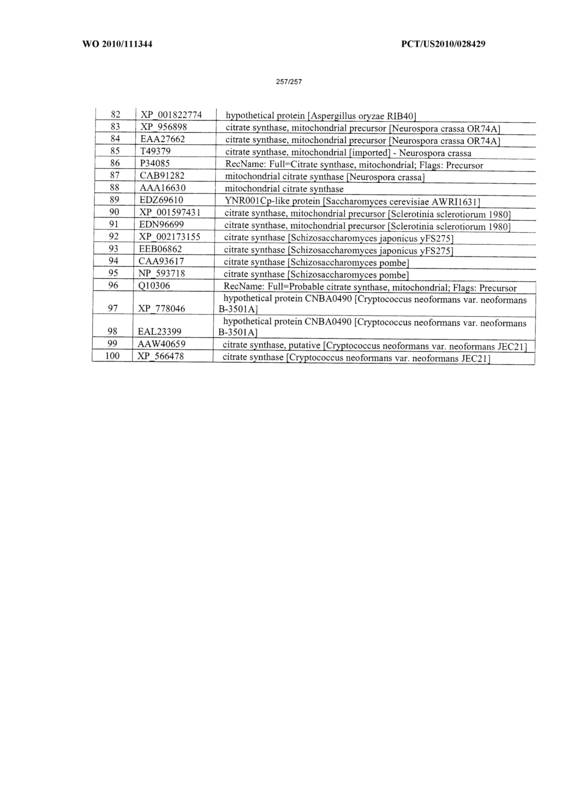 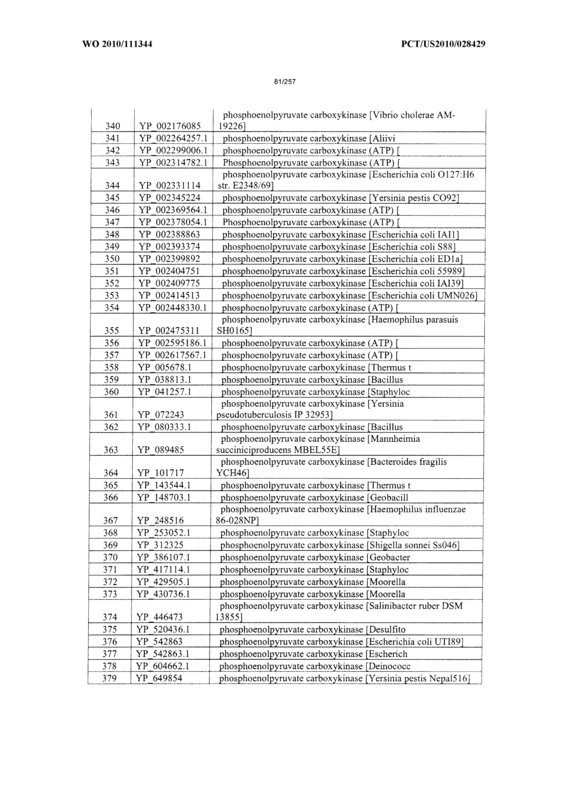 N-methyl-2-Pyrrolidone), adipic acid , esters, linear aliphatic esters, diamines, 4,4-Bionelle, hydroxybutyric acid, dibasic ester (DBE), succindiamide, 1,4- diaminobutane, maleic anhydride, succinonitrile, a hydroxybutyrolactone derivative, a hydroxysuccinate derivative, and an unsaturated succinate derivative. 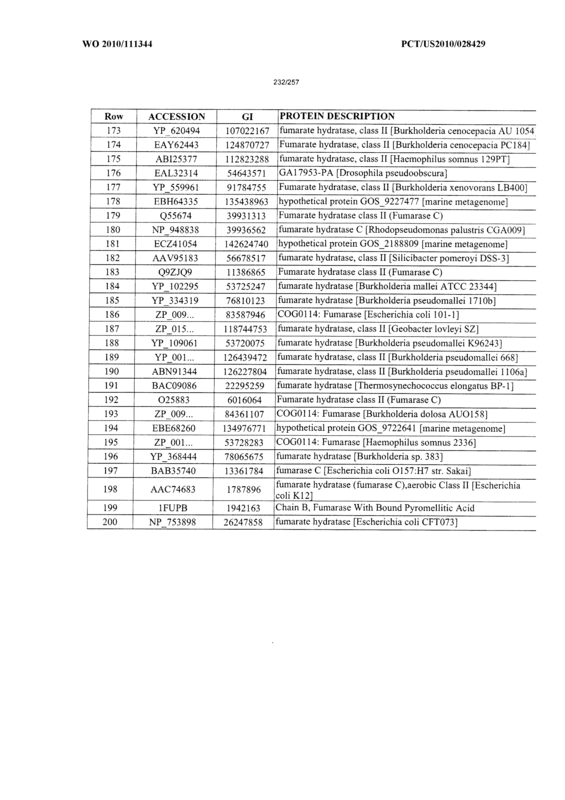 The method of claim 66 wherein the C4-dicarboxylic acid derivative is 1,4- butanediol. 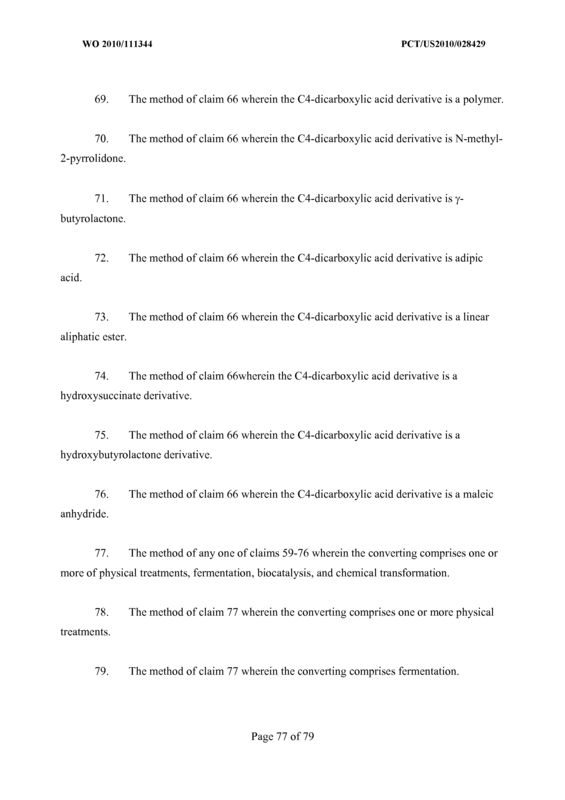 The method of claim 66 wherein the C4-dicarboxylic acid derivative is THF. 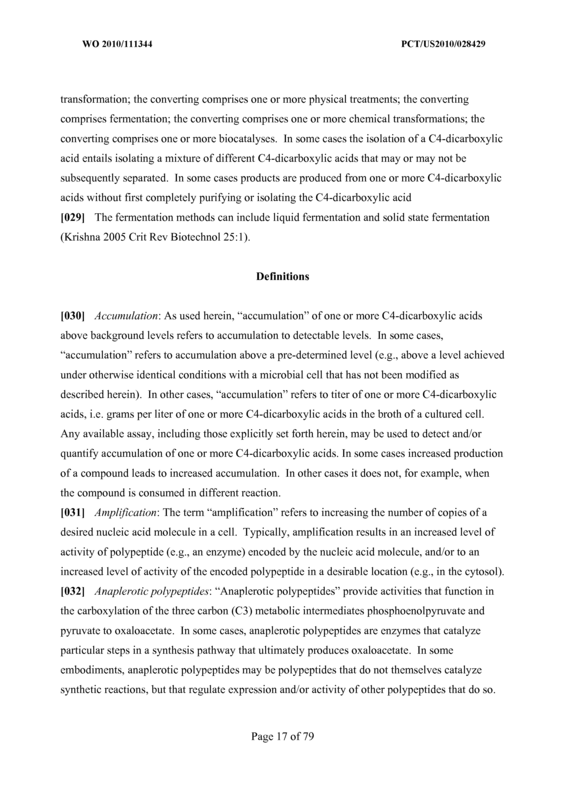 The method of claim 66 wherein the C4-dicarboxylic acid derivative is a polymer. 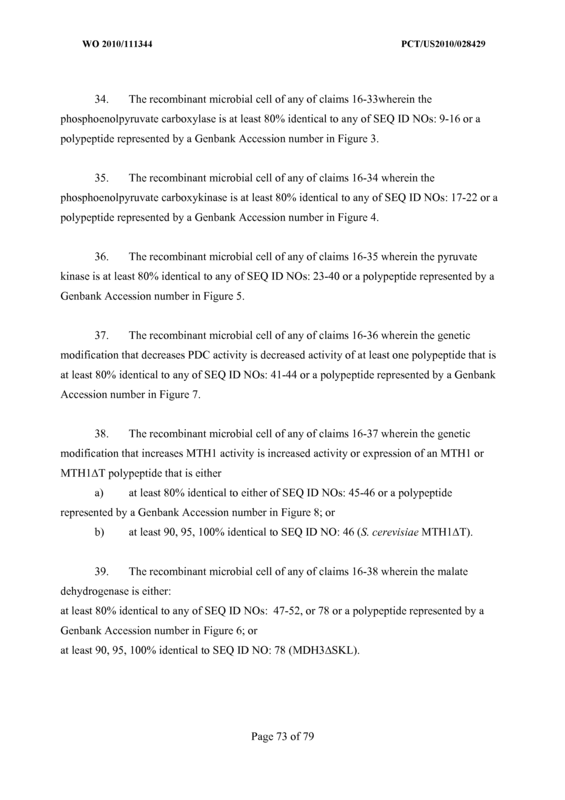 The method of claim 66 wherein the C4-dicarboxylic acid derivative is N-methyl- 2-pyrrolidone. 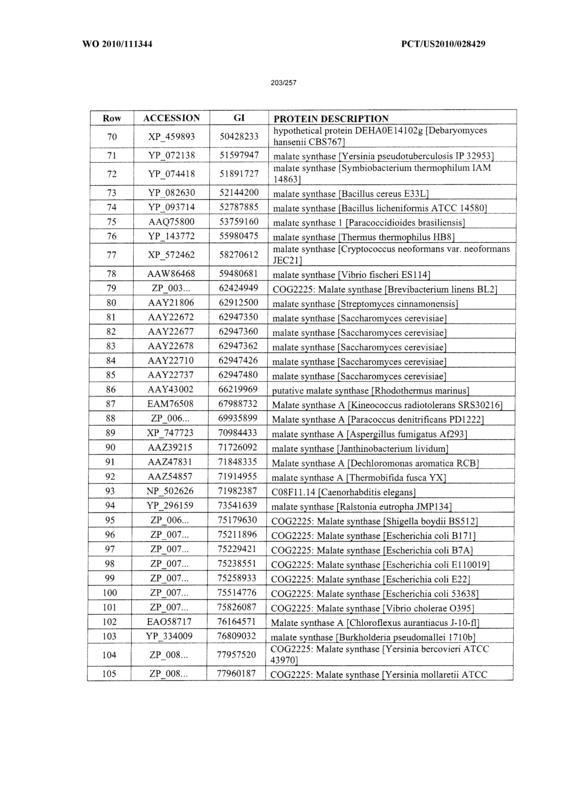 The method of claim 66 wherein the C4-dicarboxylic acid derivative is γ- butyrolactone. 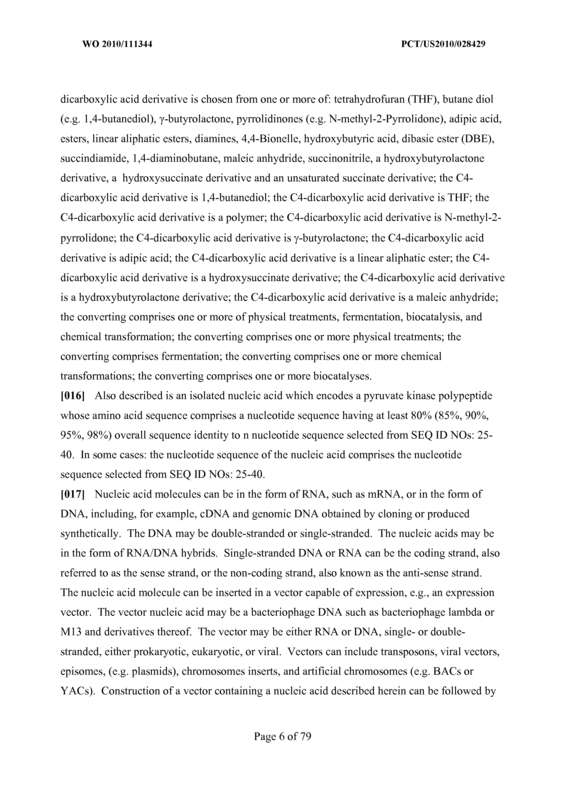 The method of claim 66 wherein the C4-dicarboxylic acid derivative is adipic acid. 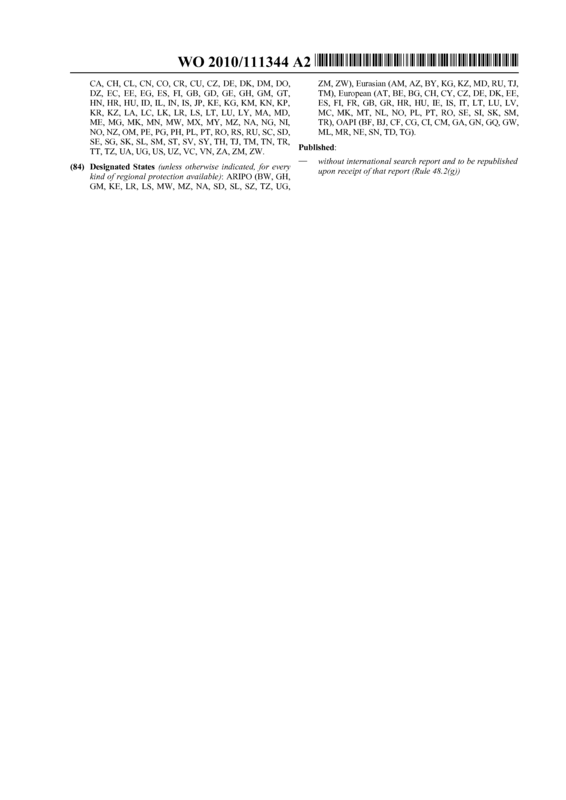 The method of claim 66 wherein the C4-dicarboxylic acid derivative is a linear aliphatic ester. 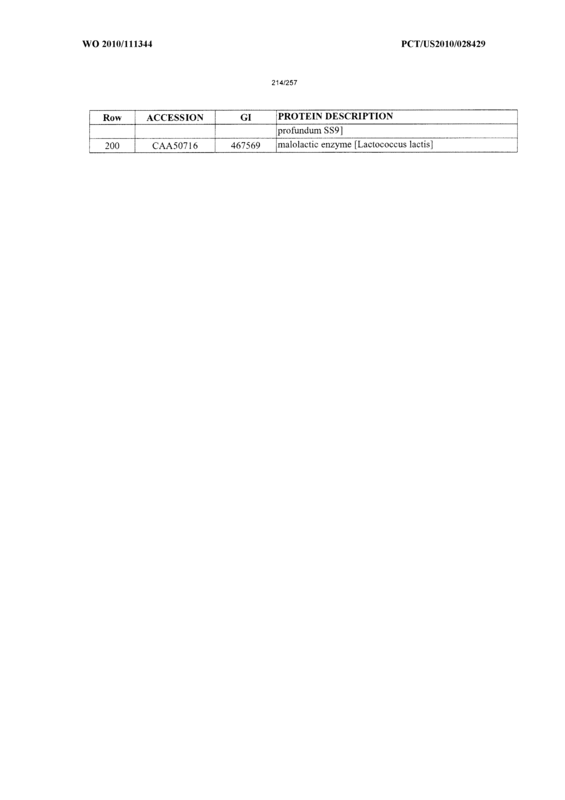 The method of claim 66wherein the C4-dicarboxylic acid derivative is a hydroxy succinate derivative. 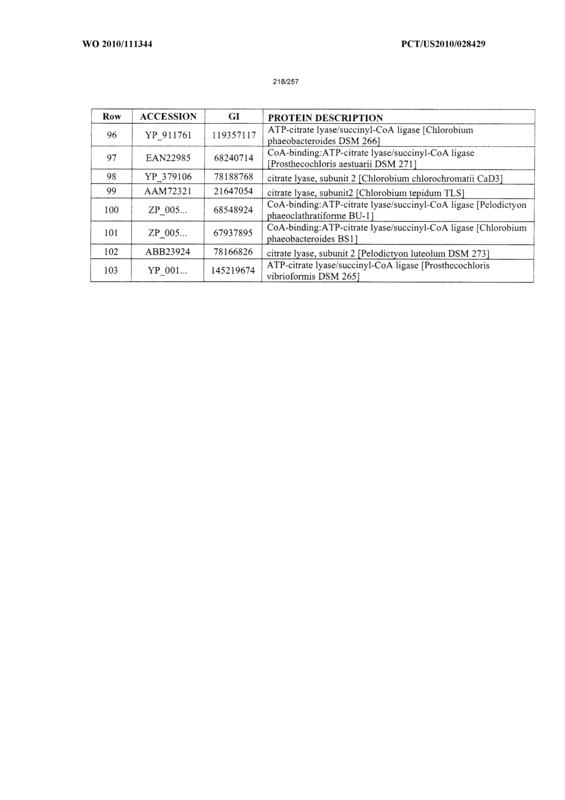 The method of claim 66 wherein the C4-dicarboxylic acid derivative is a hydroxybutyrolactone derivative. 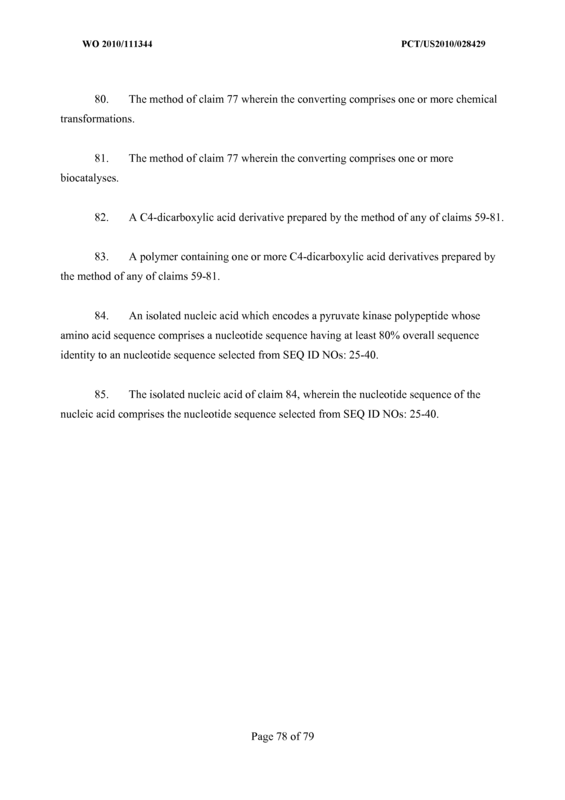 The method of claim 66 wherein the C4-dicarboxylic acid derivative is a maleic anhydride. 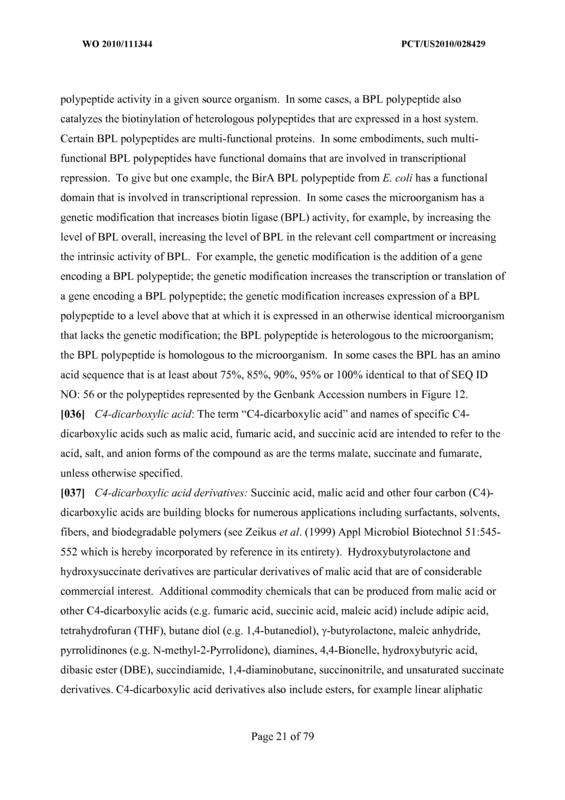 The method of any one of claims 59-76 wherein the converting comprises one or more of physical treatments, fermentation, biocatalysis, and chemical transformation. 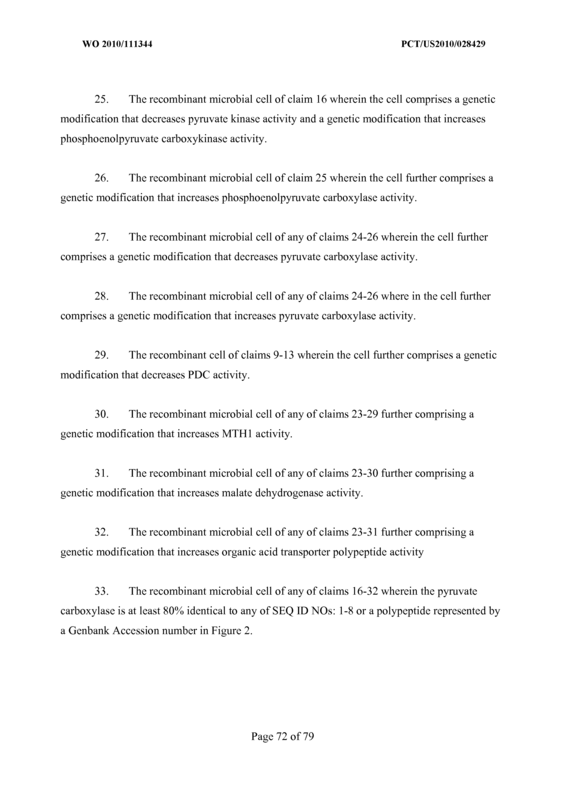 The method of claim 77 wherein the converting comprises one or more physical treatments. 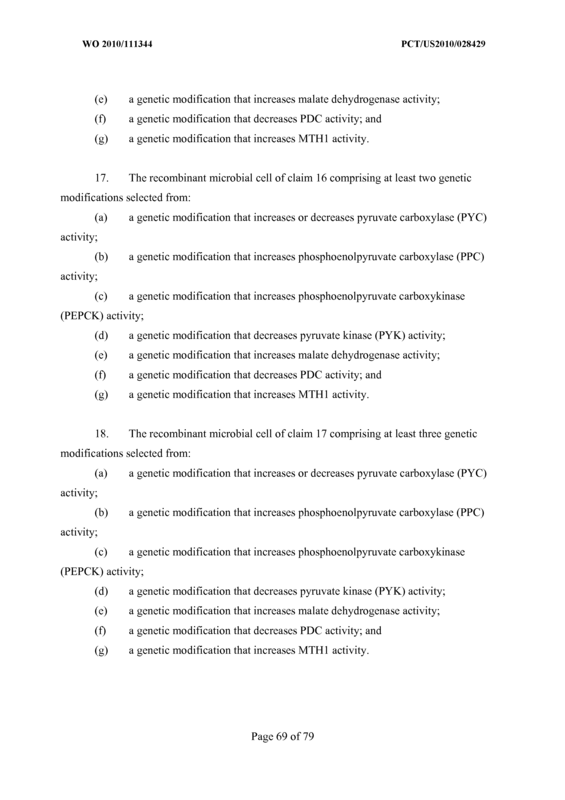 The method of claim 77 wherein the converting comprises fermentation. 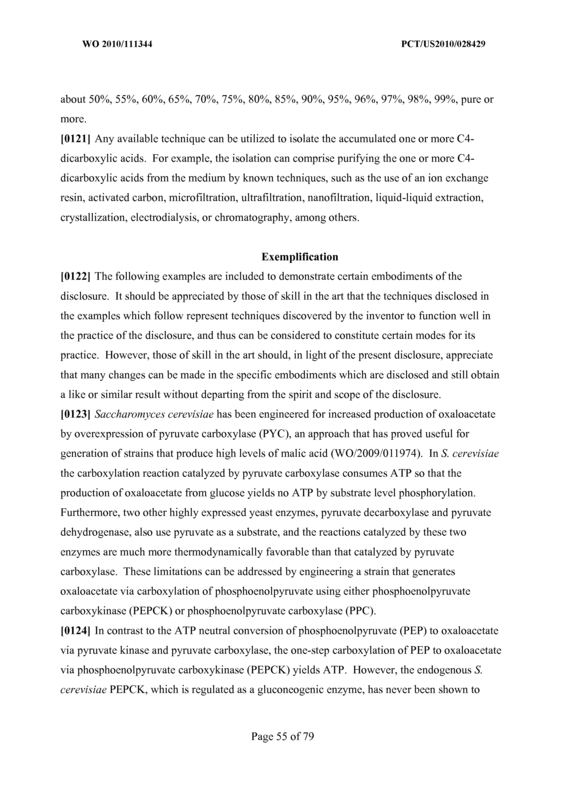 The method of claim 77 wherein the converting comprises one or more chemical transformations . 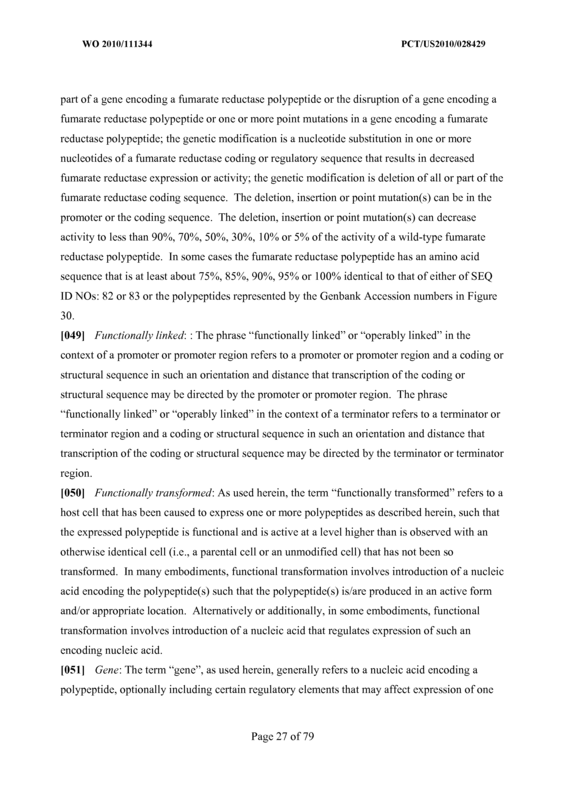 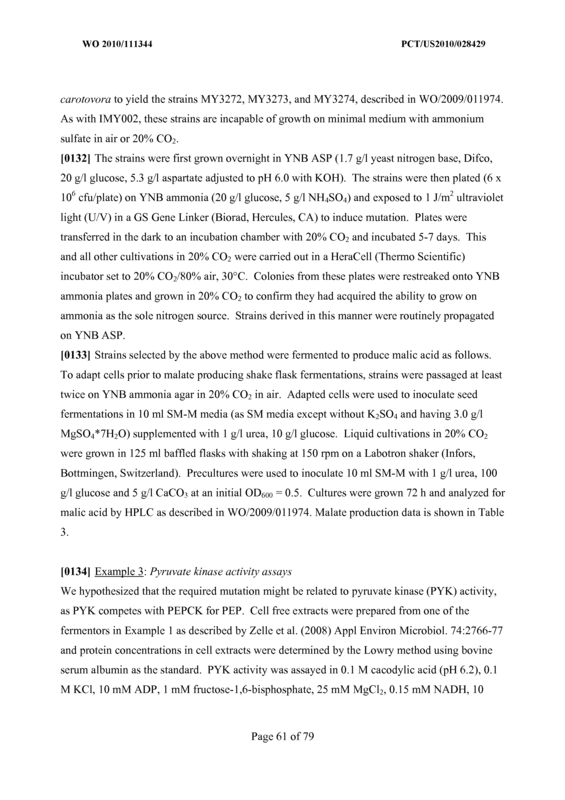 The method of claim 77 wherein the converting comprises one or more biocatalyses. 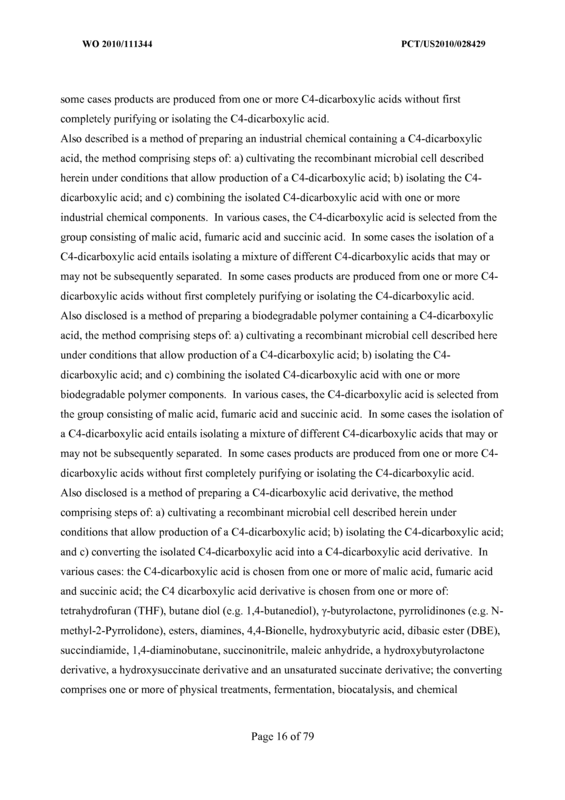 A C4-dicarboxylic acid derivative prepared by the method of any of claims 59-81. 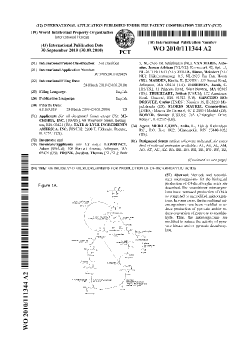 A polymer containing one or more C4-dicarboxylic acid derivatives prepared by the method of any of claims 59-81. 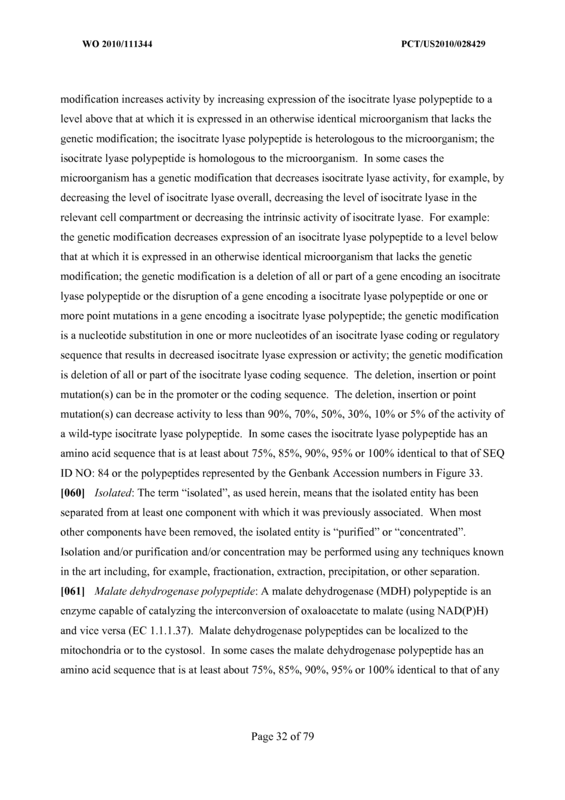 An isolated nucleic acid which encodes a pyruvate kinase polypeptide whose amino acid sequence comprises a nucleotide sequence having at least 80% overall sequence identity to an nucleotide sequence selected from SEQ ID NOs: 25-40. 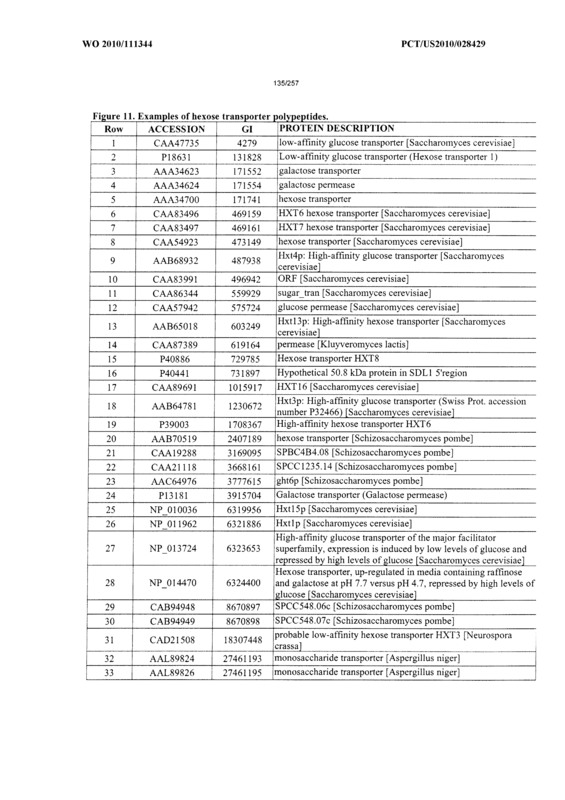 The isolated nucleic acid of claim 84, wherein the nucleotide sequence of the nucleic acid comprises the nucleotide sequence selected from SEQ ID NOs: 25-40.